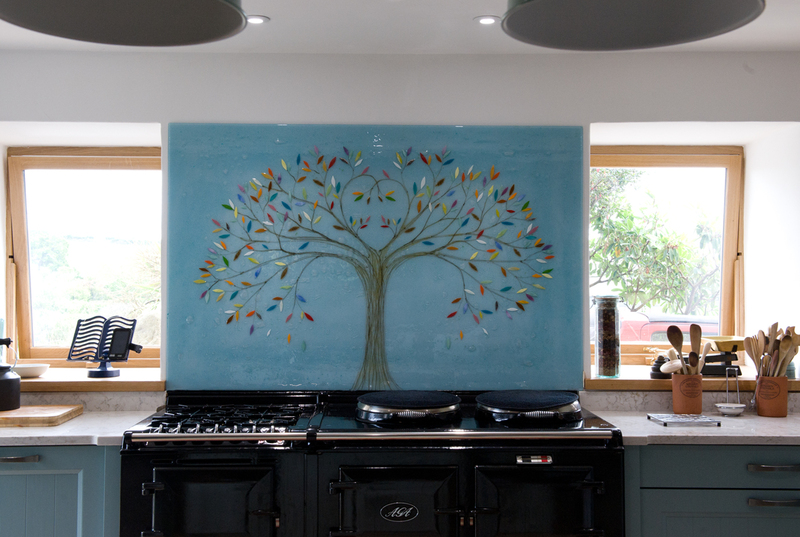 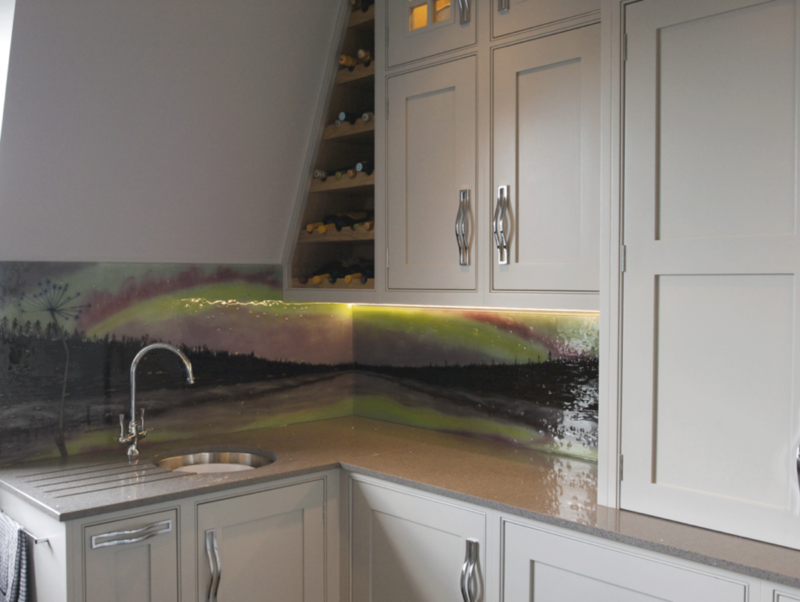 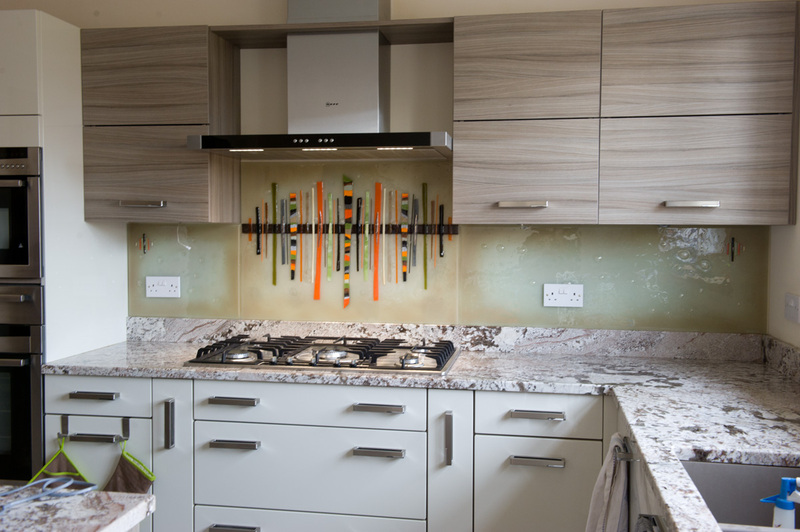 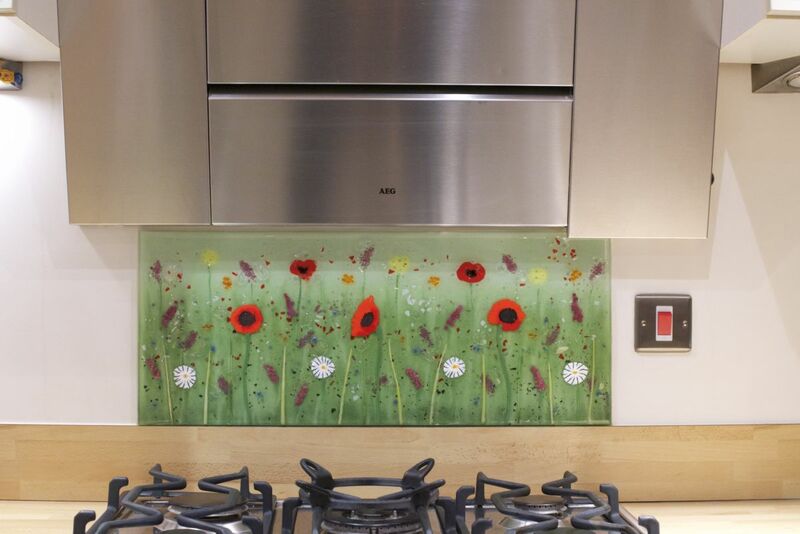 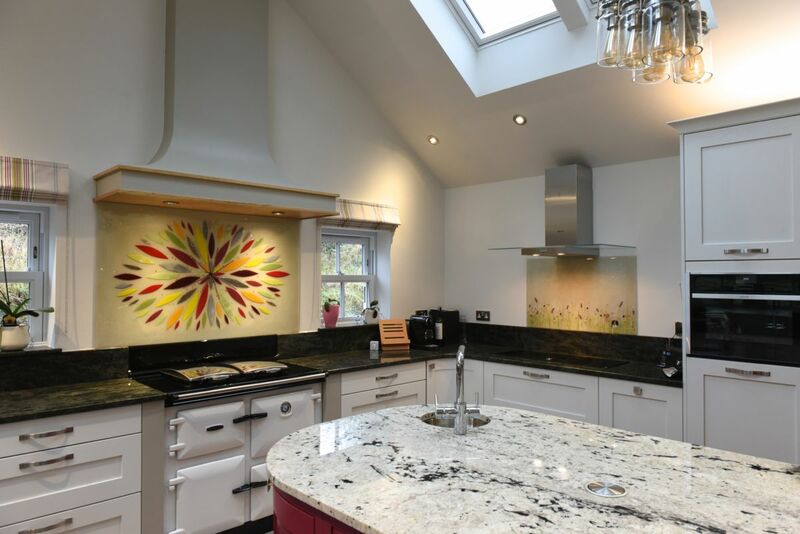 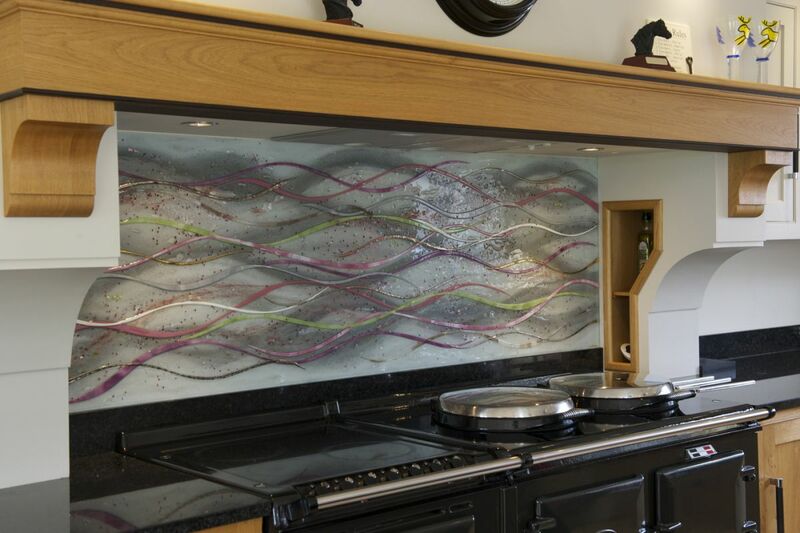 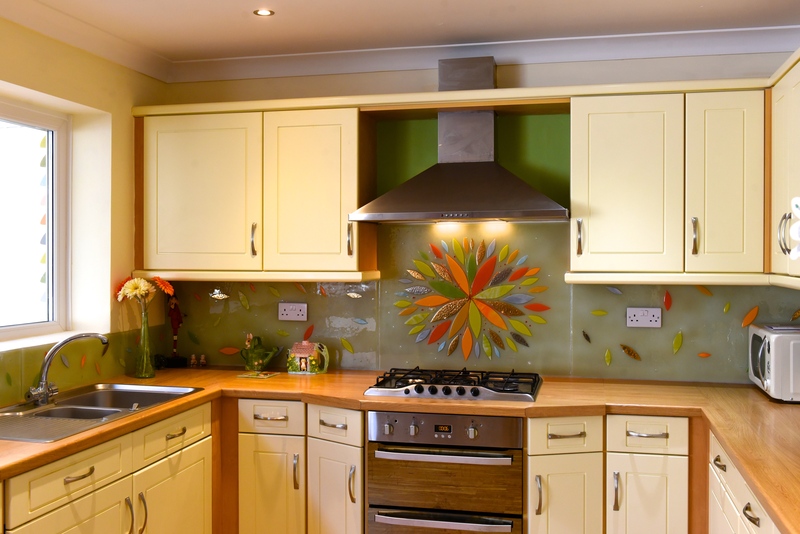 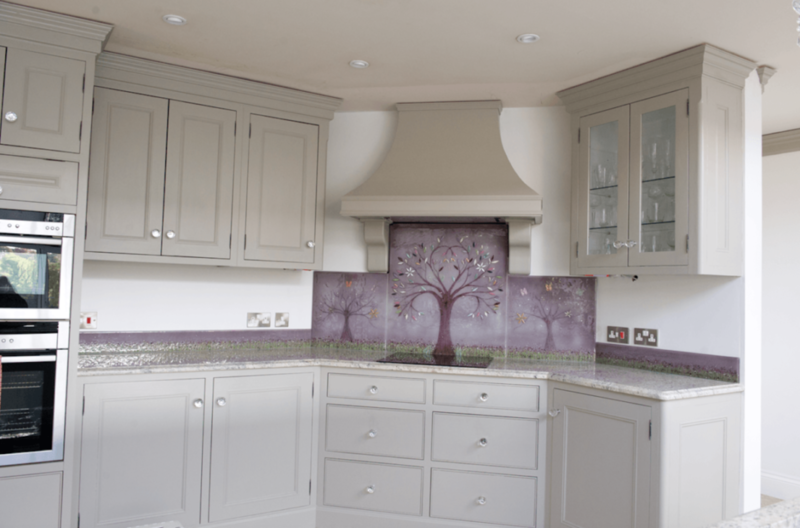 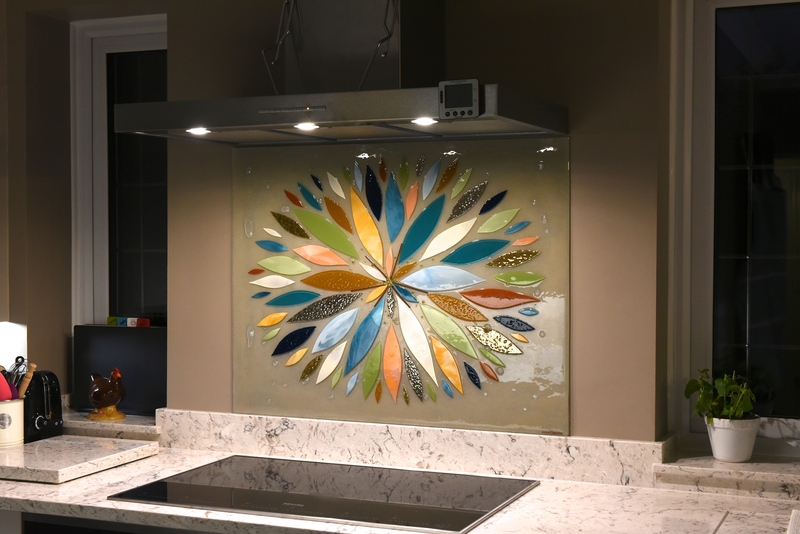 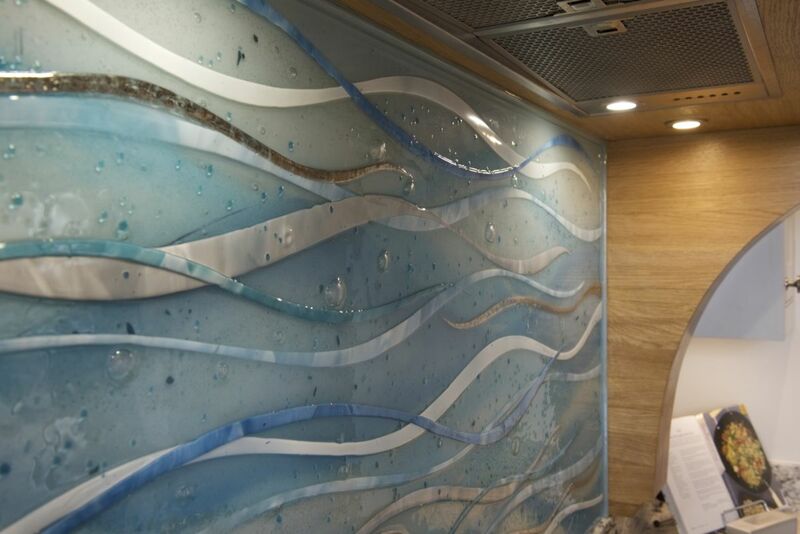 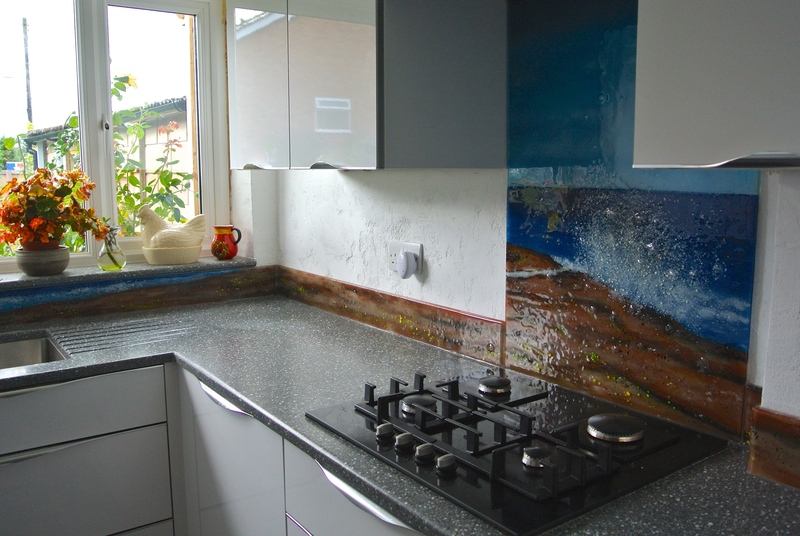 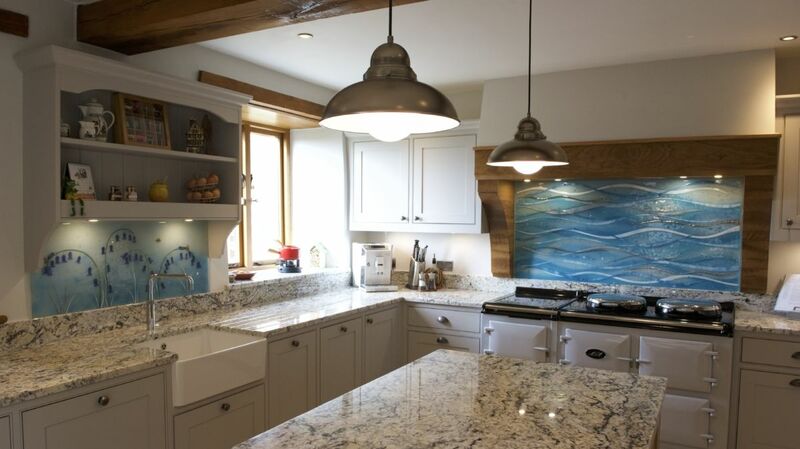 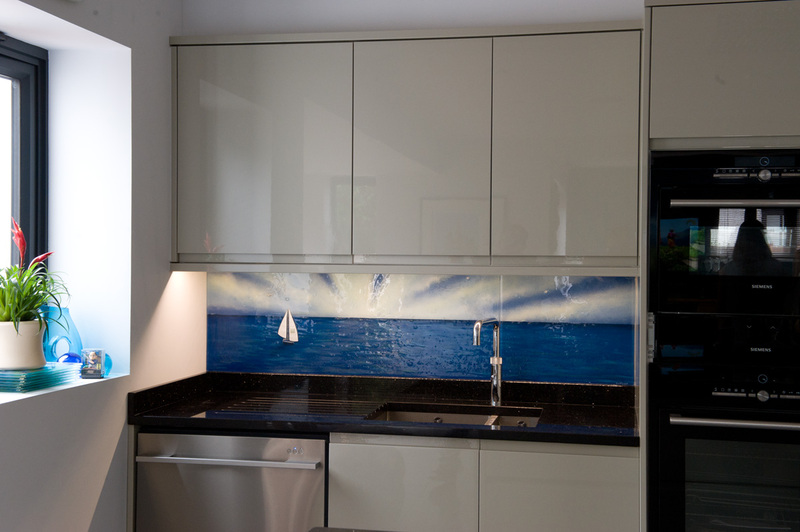 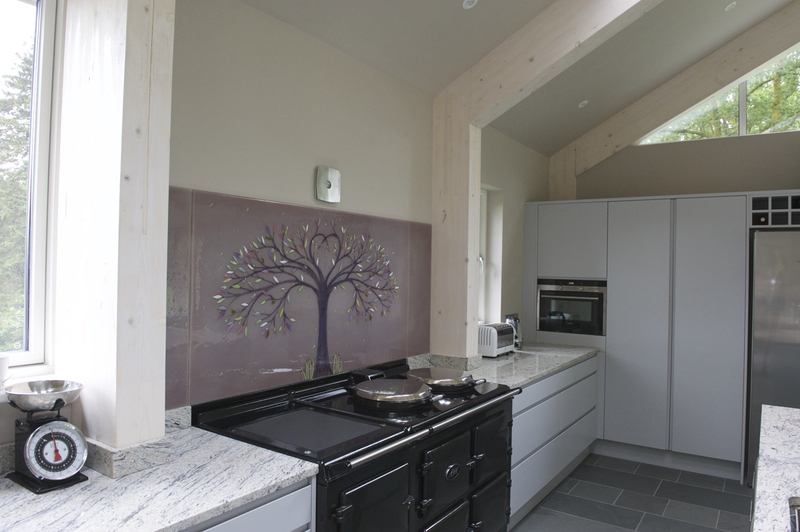 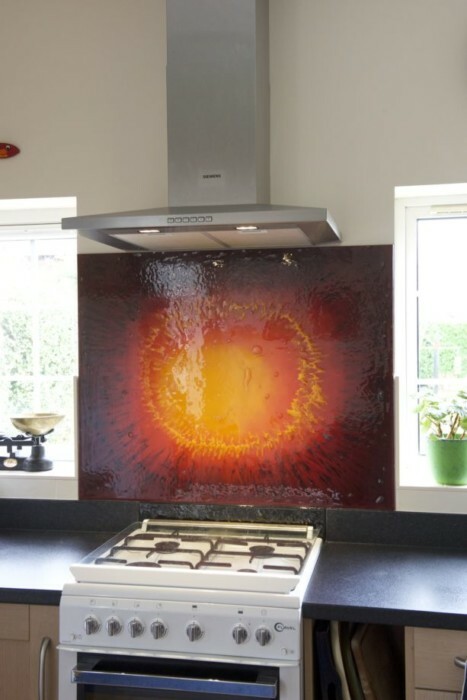 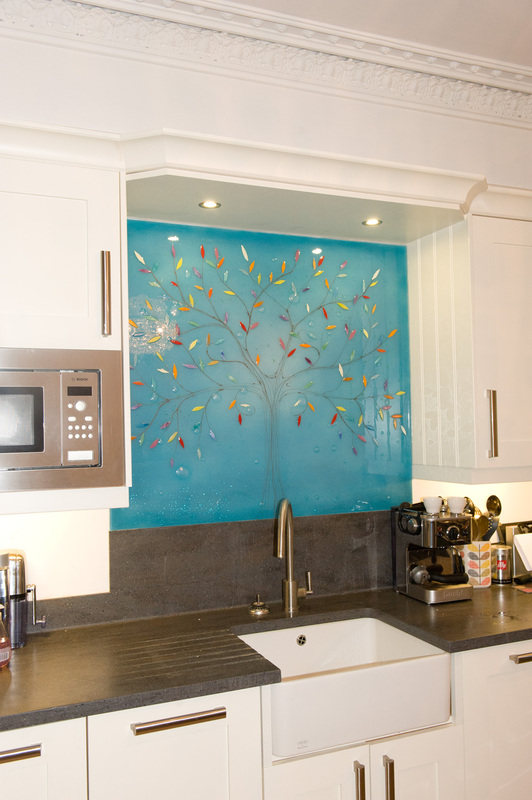 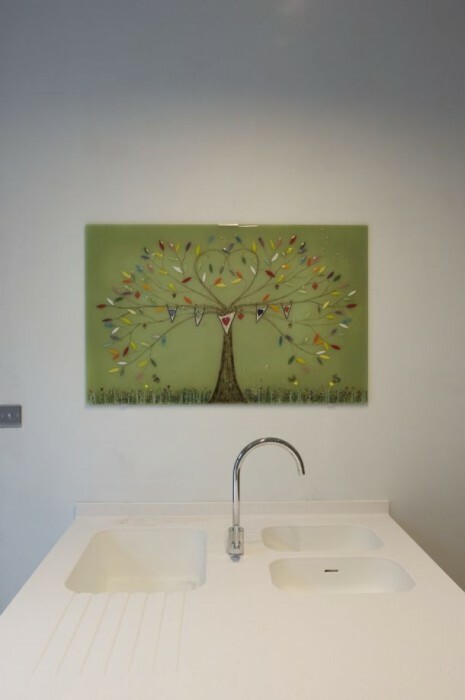 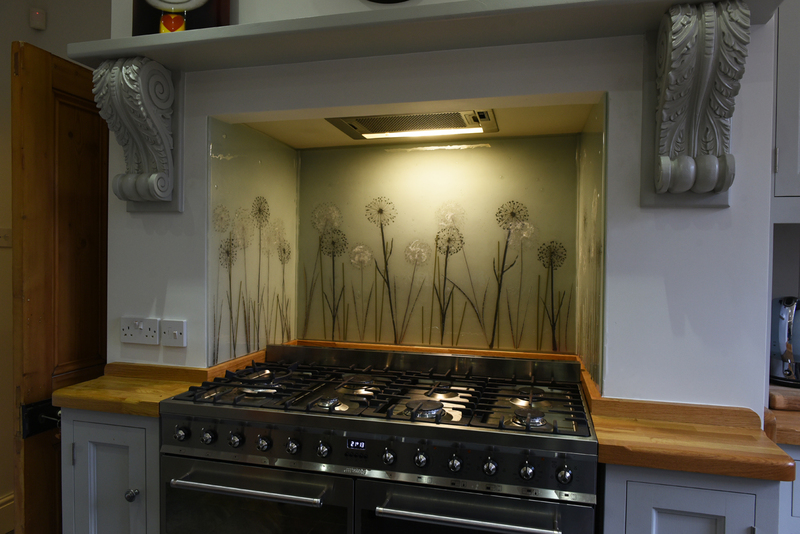 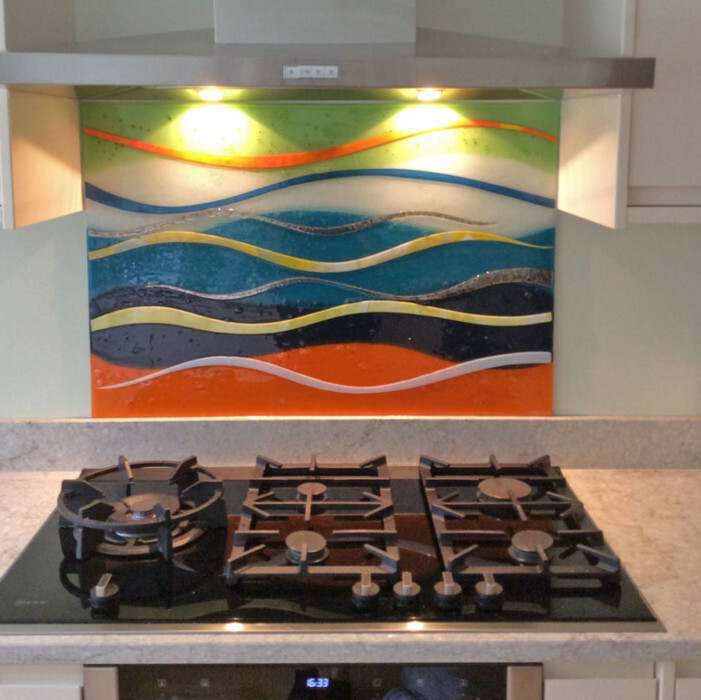 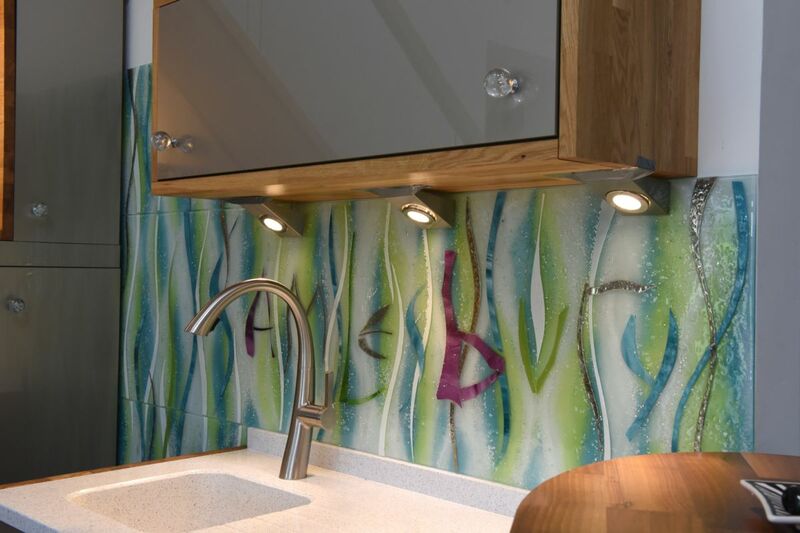 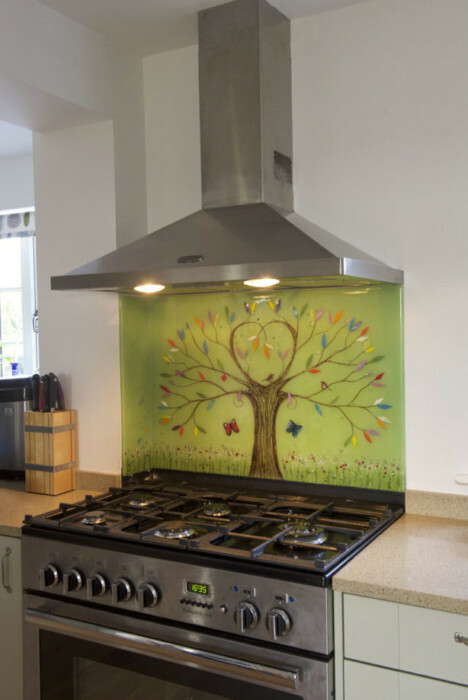 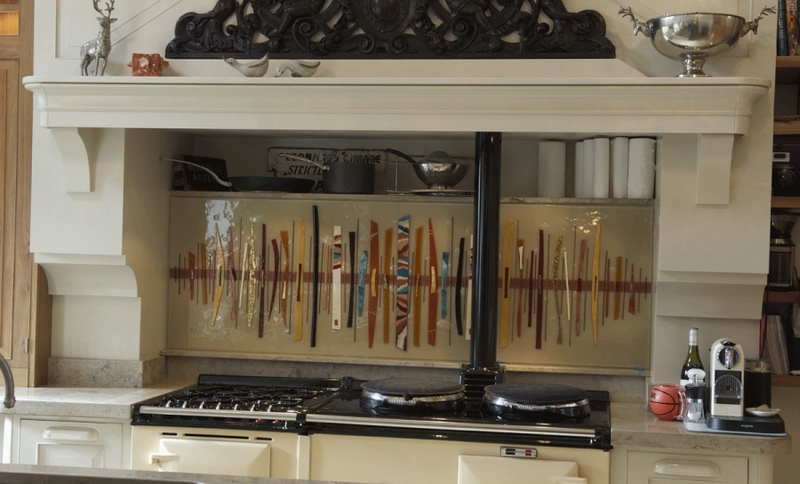 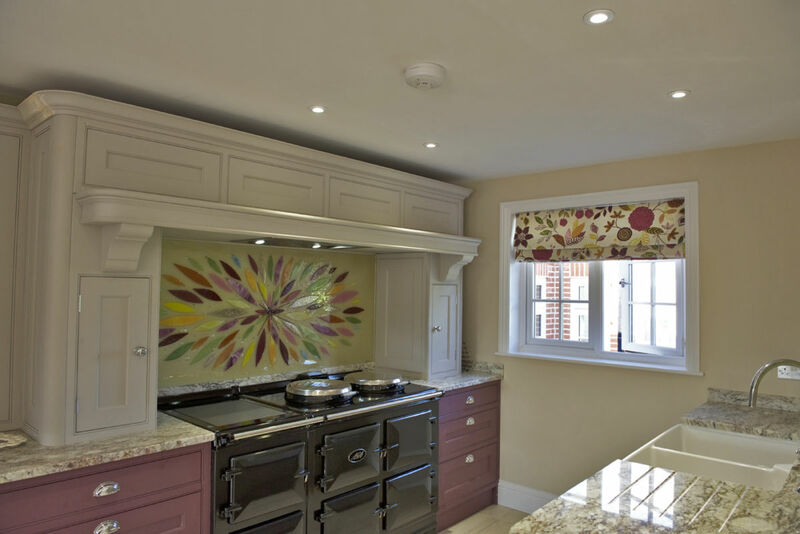 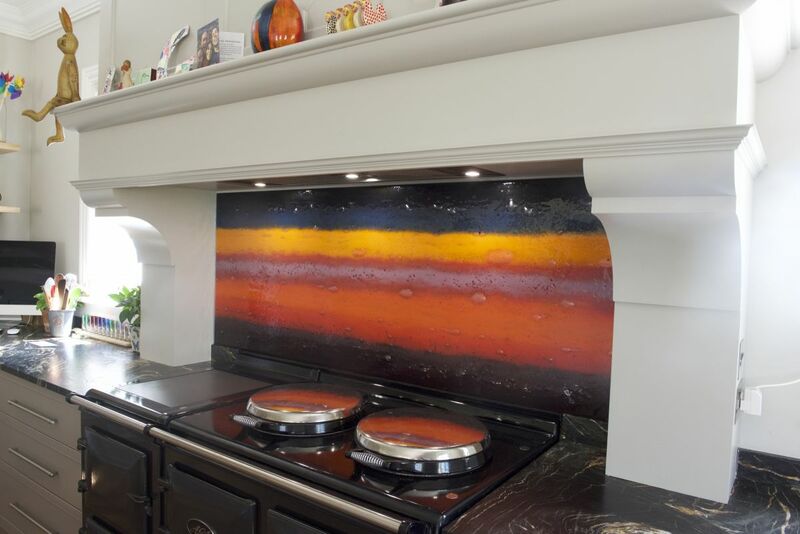 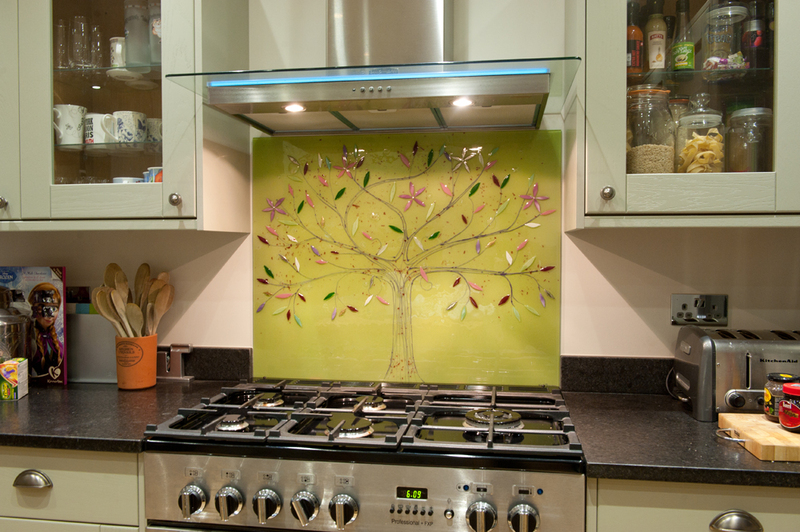 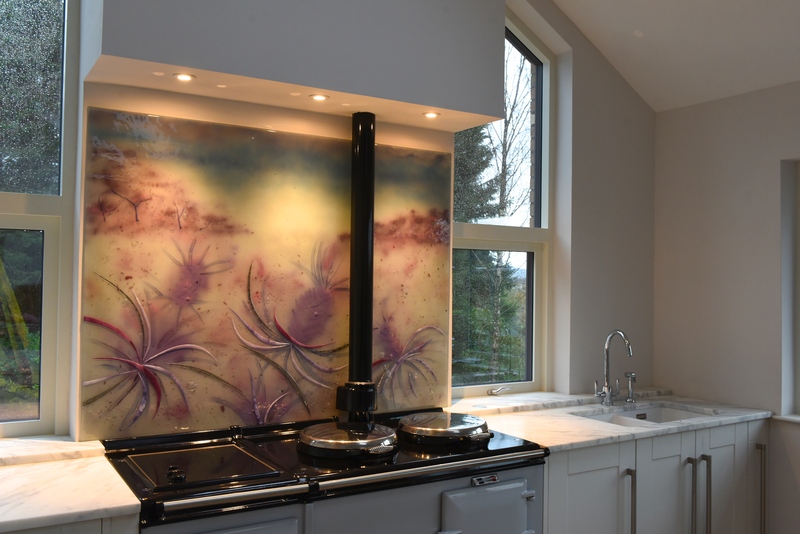 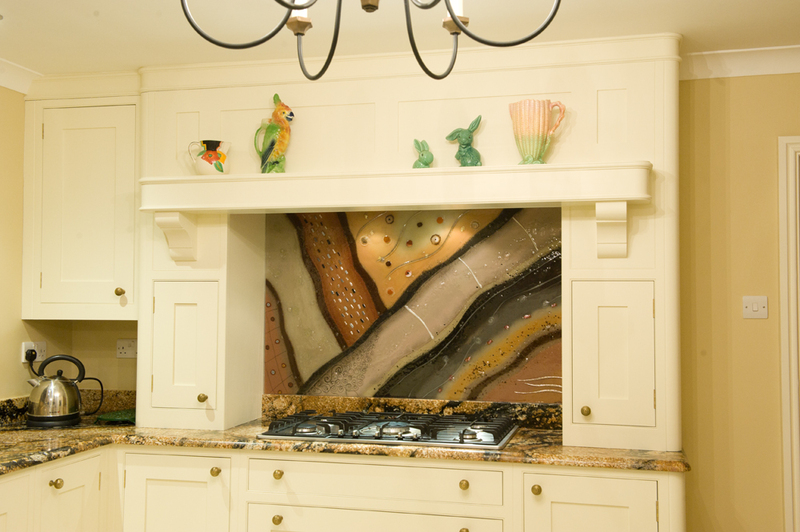 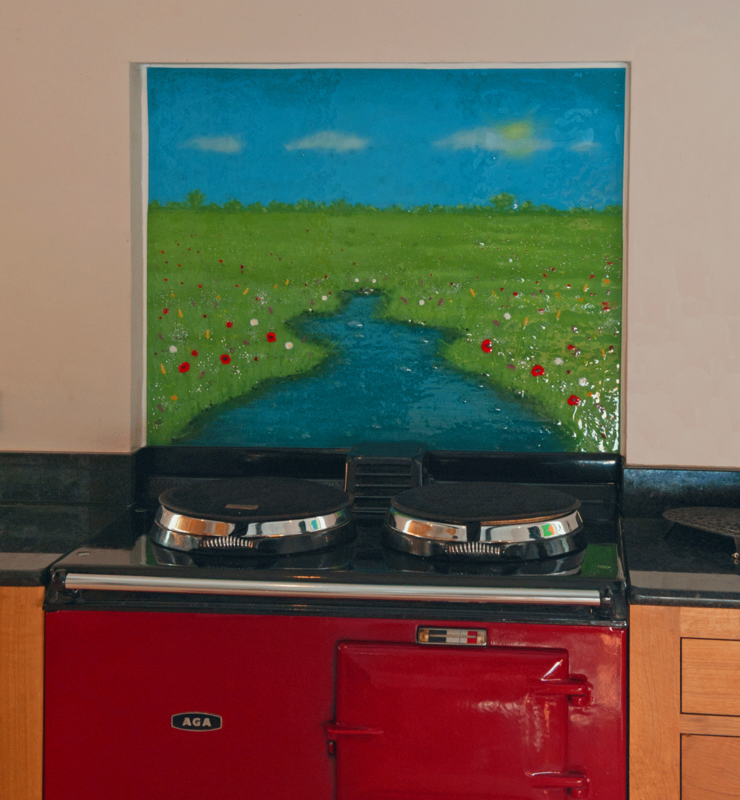 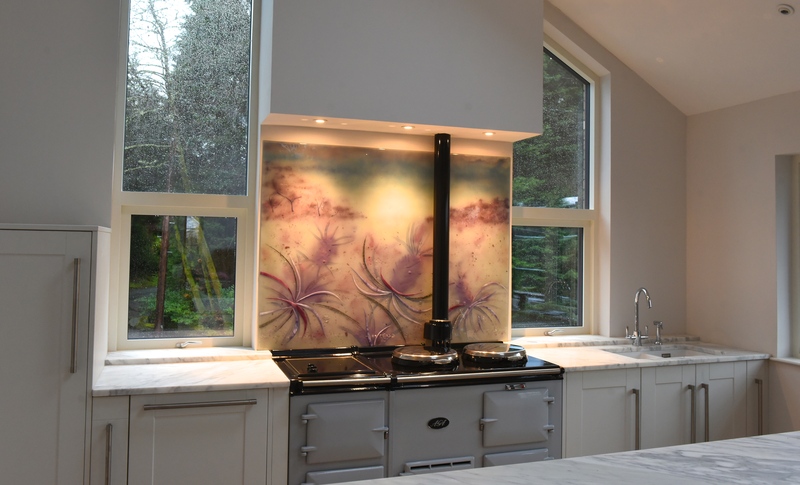 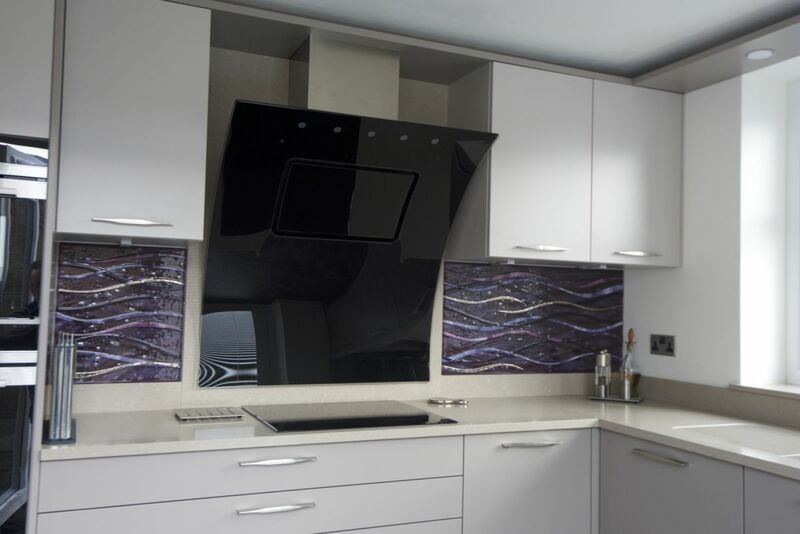 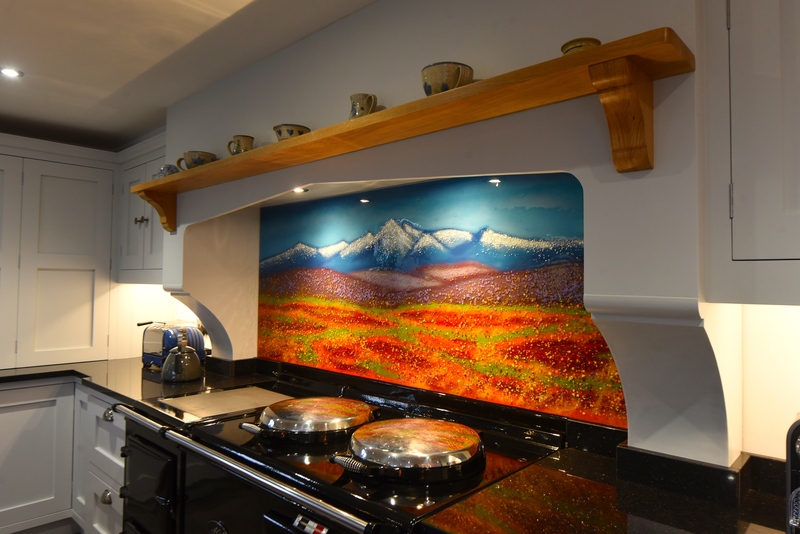 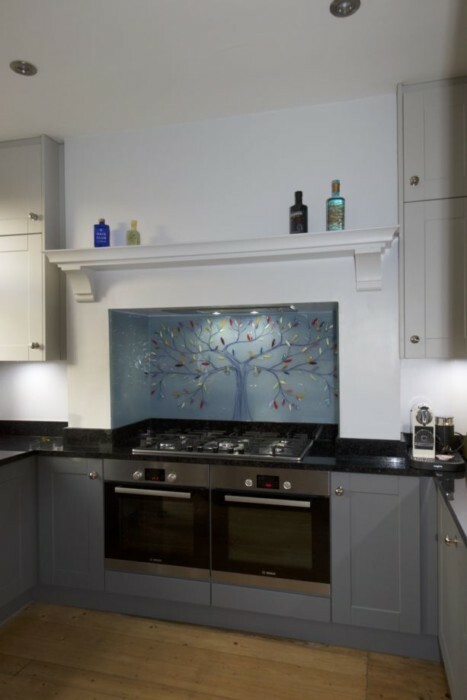 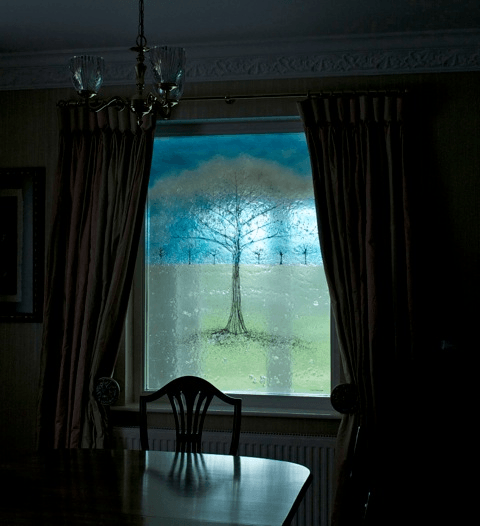 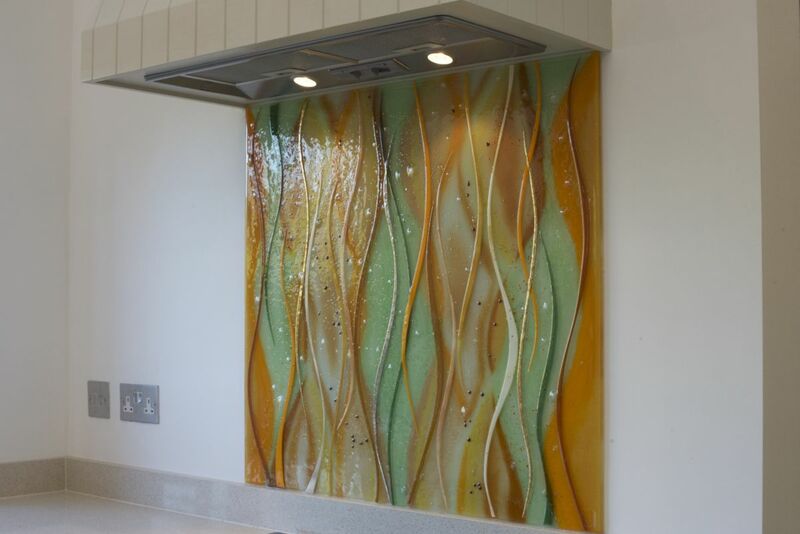 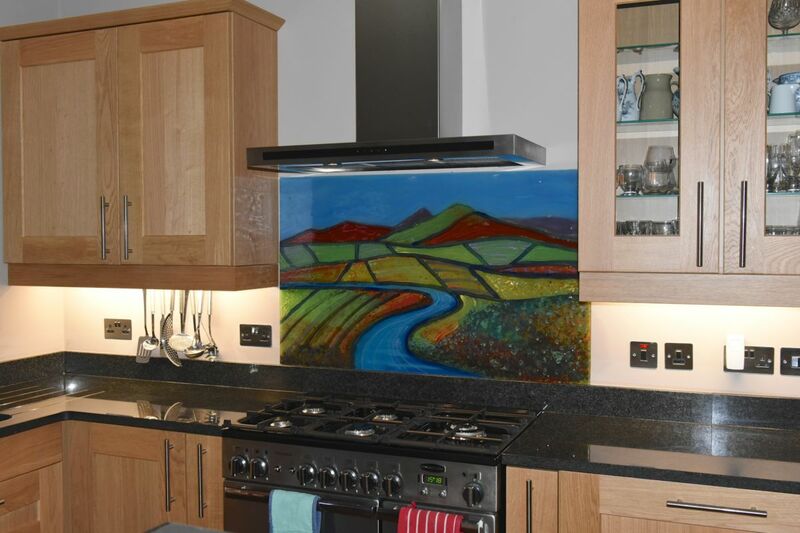 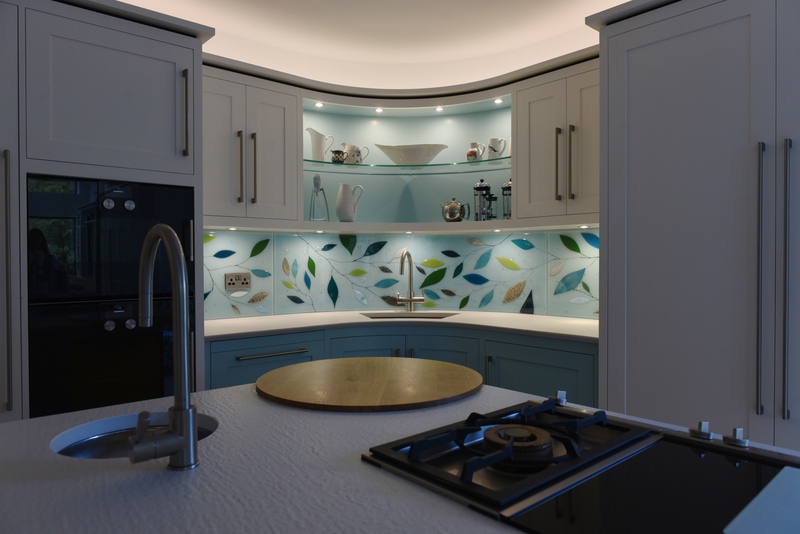 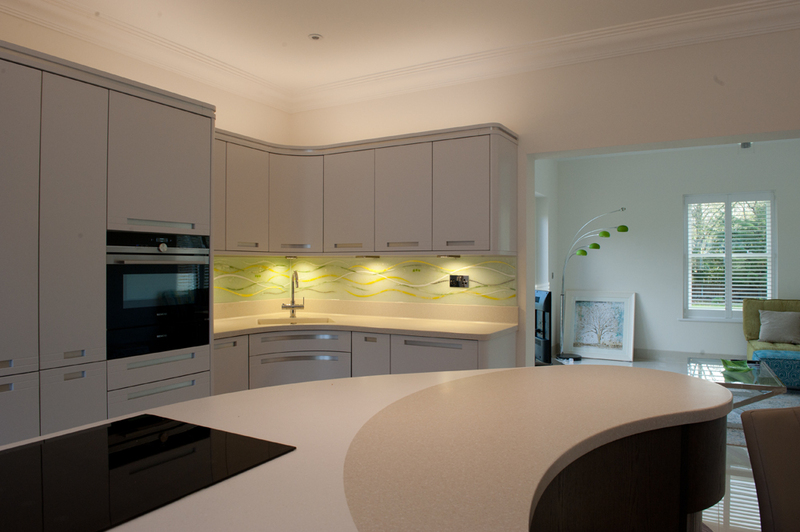 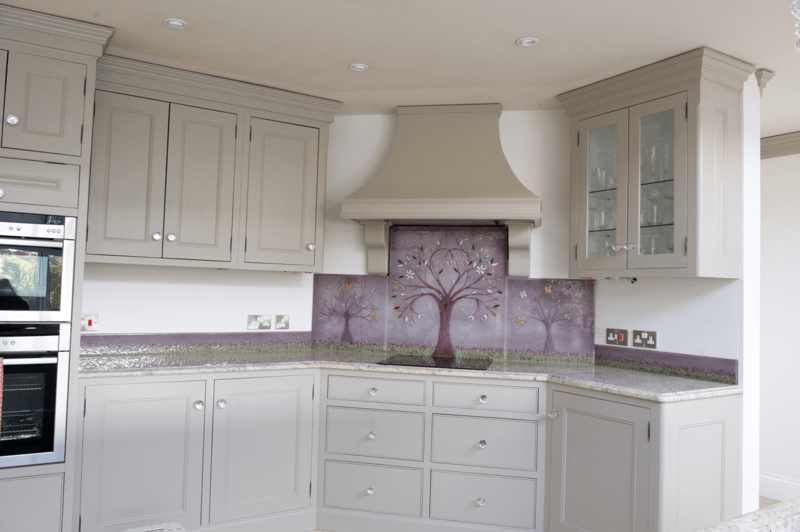 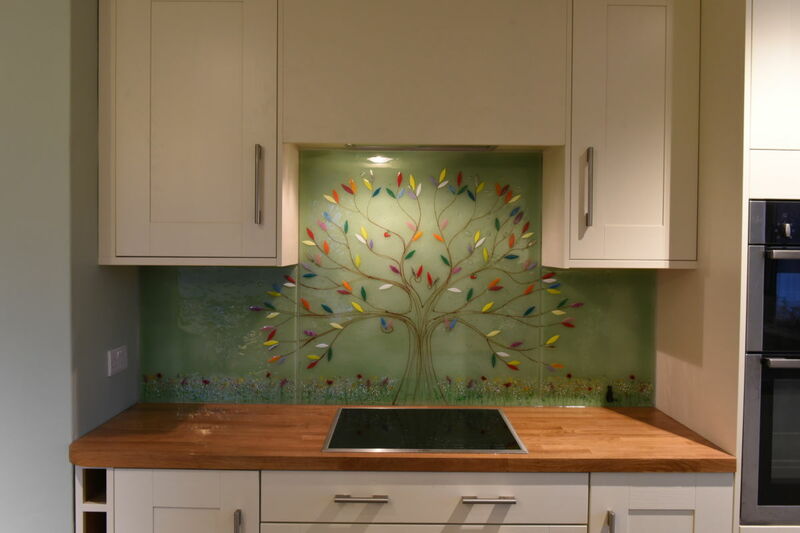 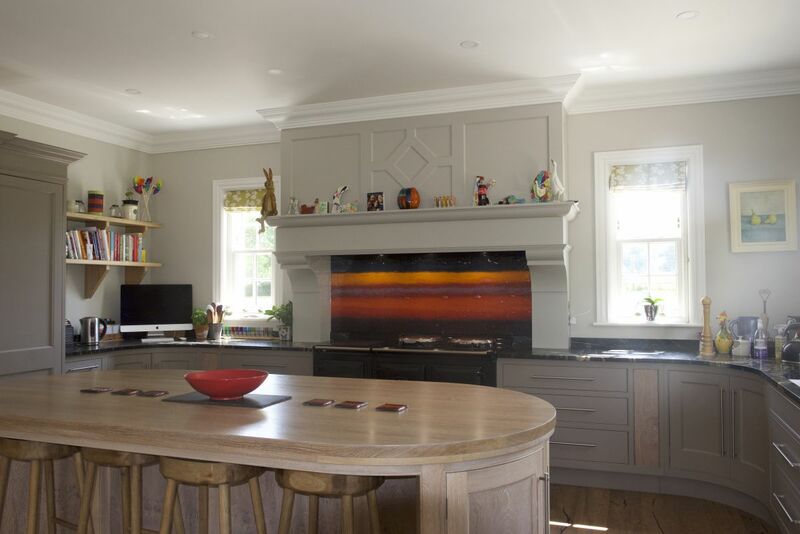 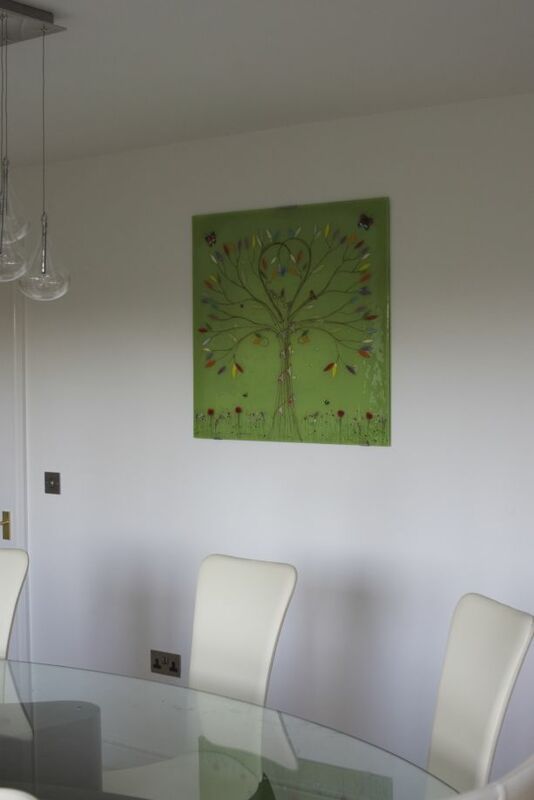 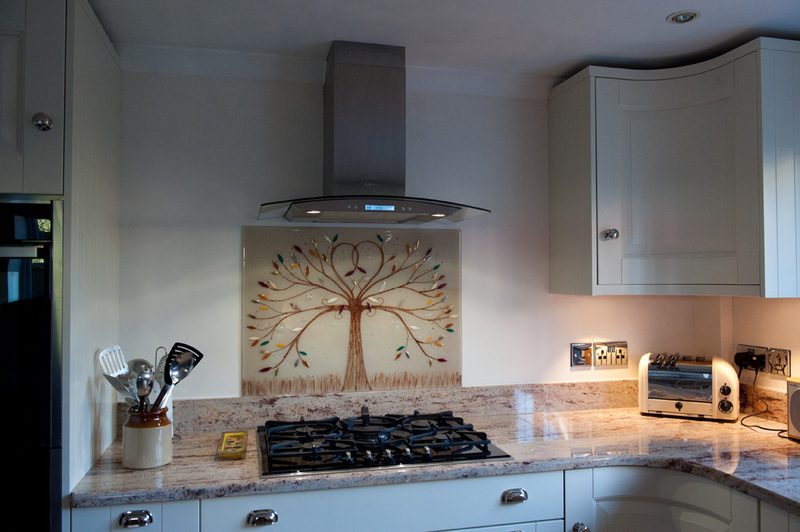 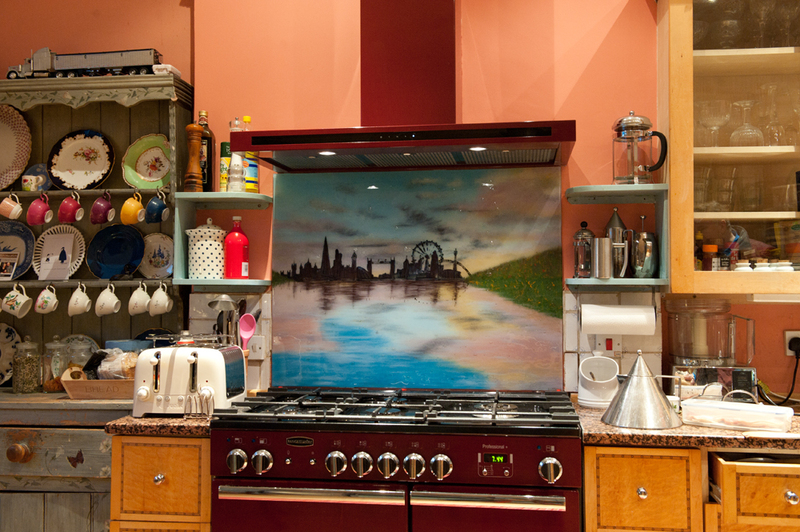 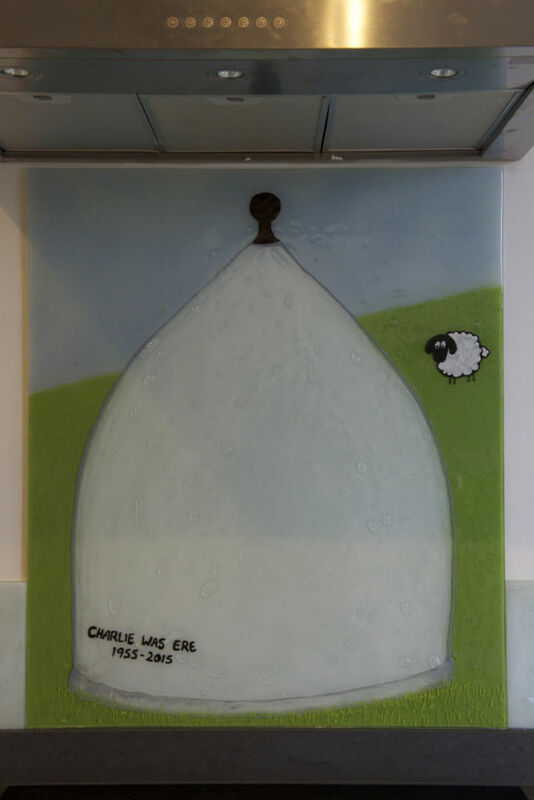 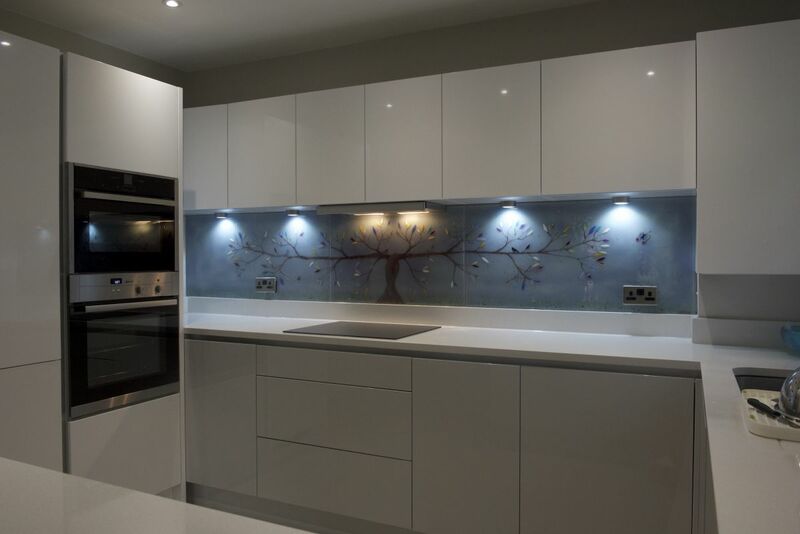 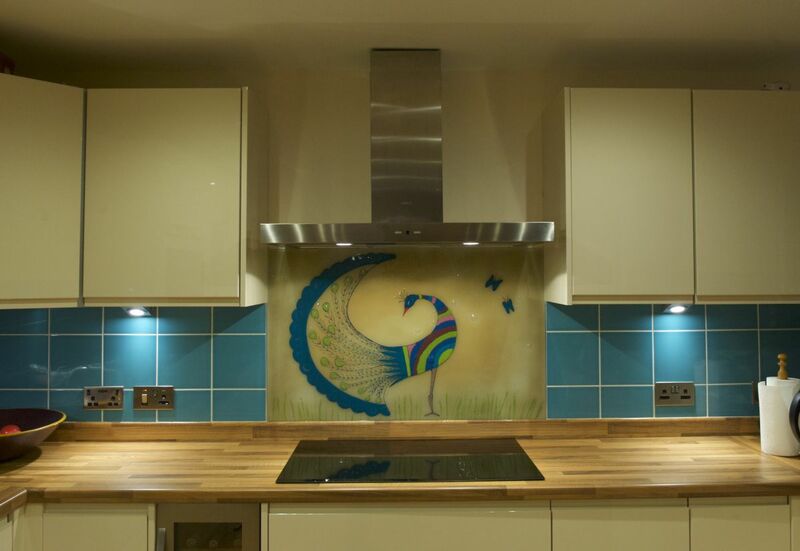 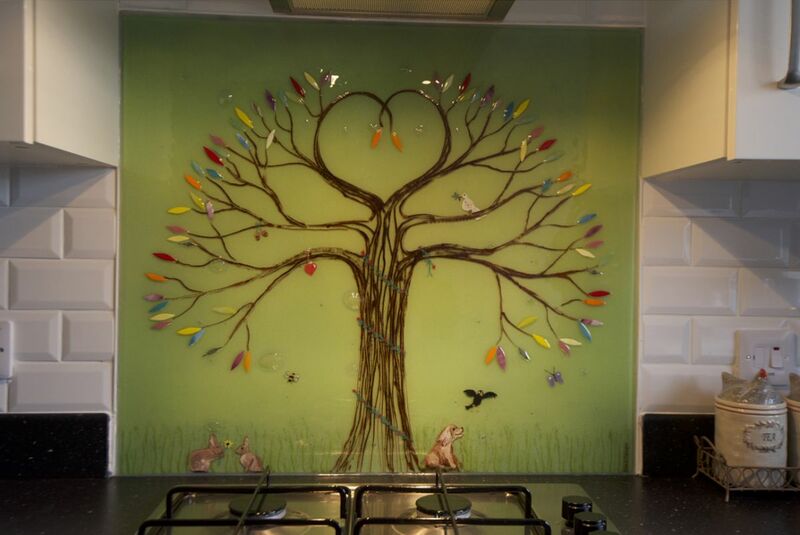 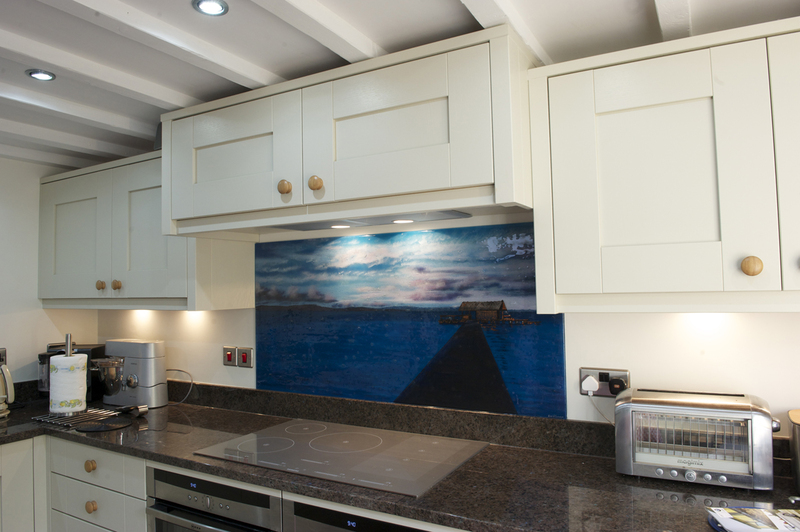 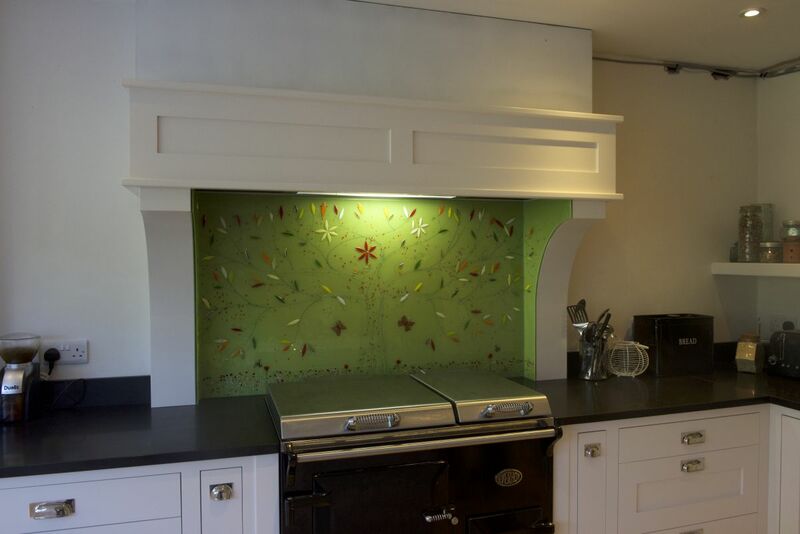 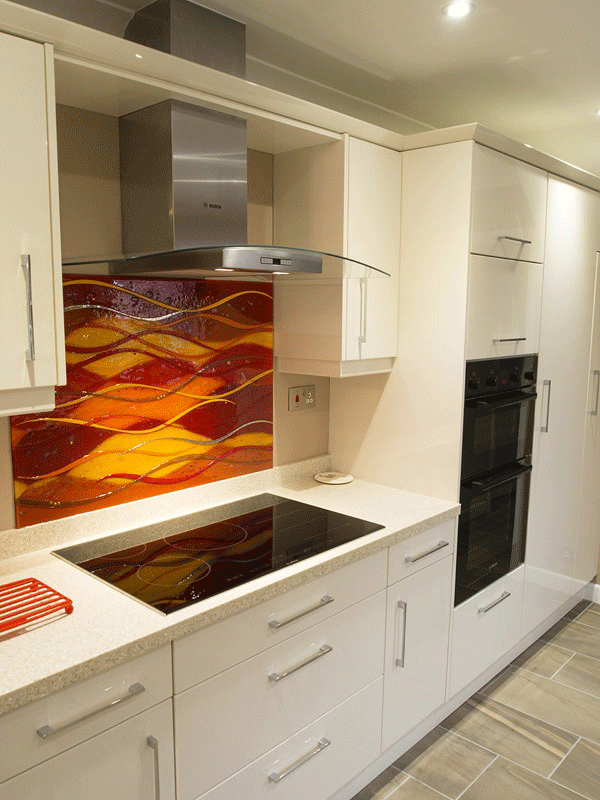 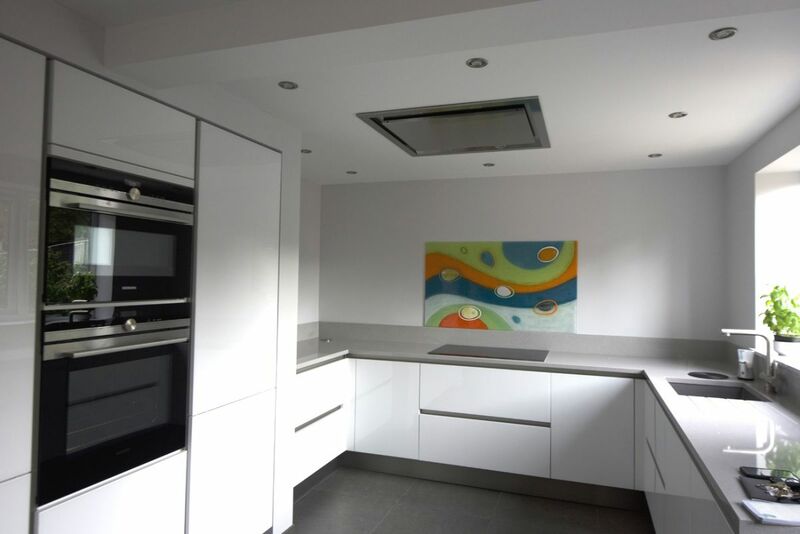 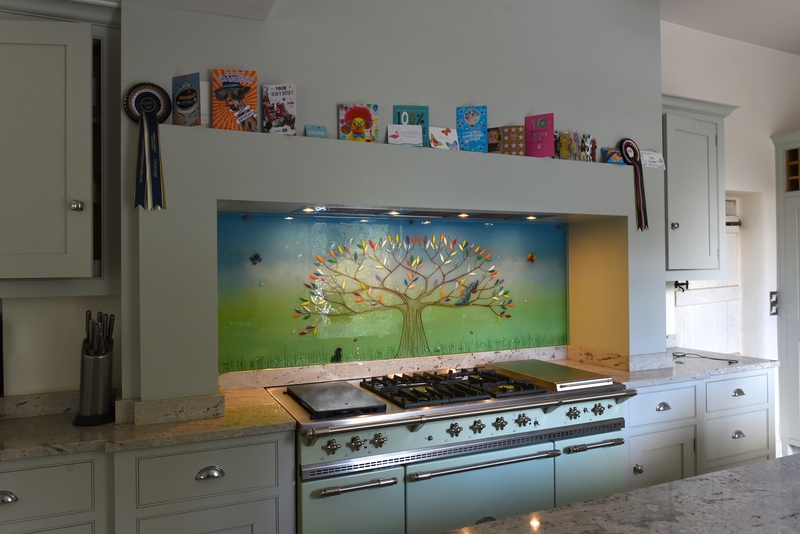 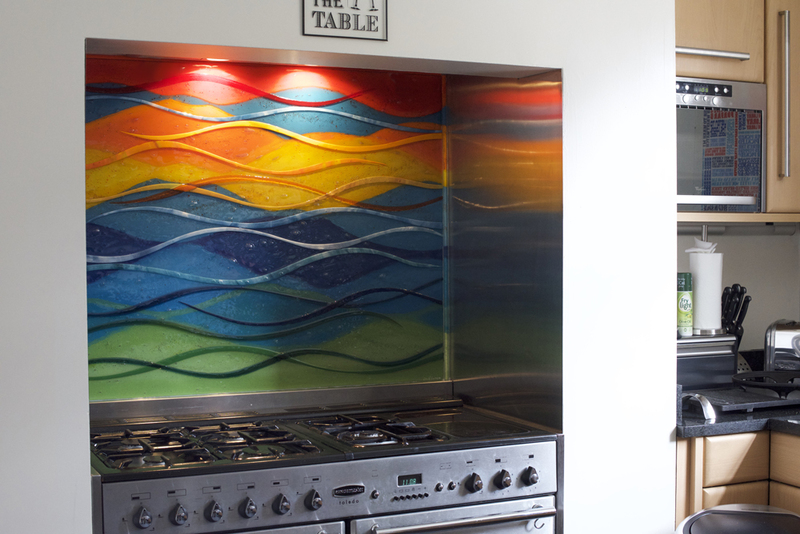 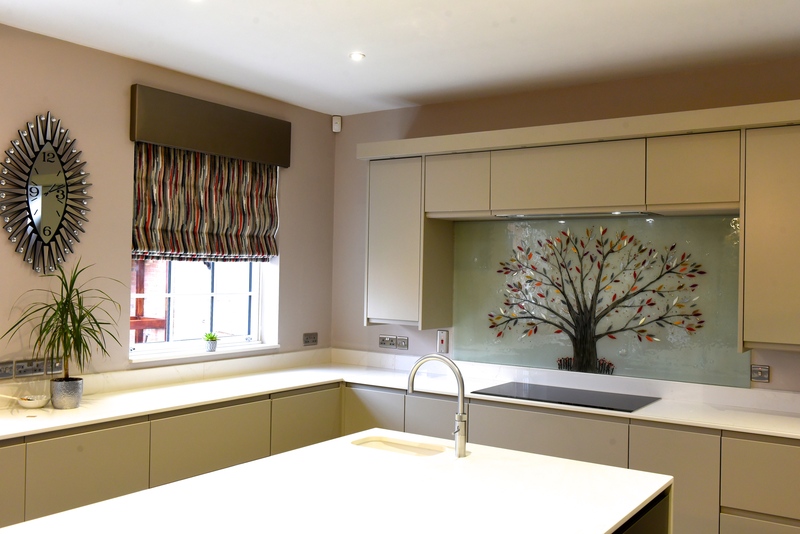 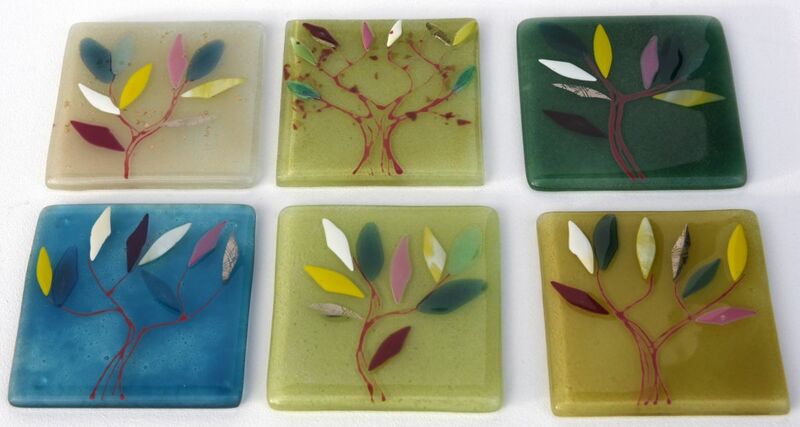 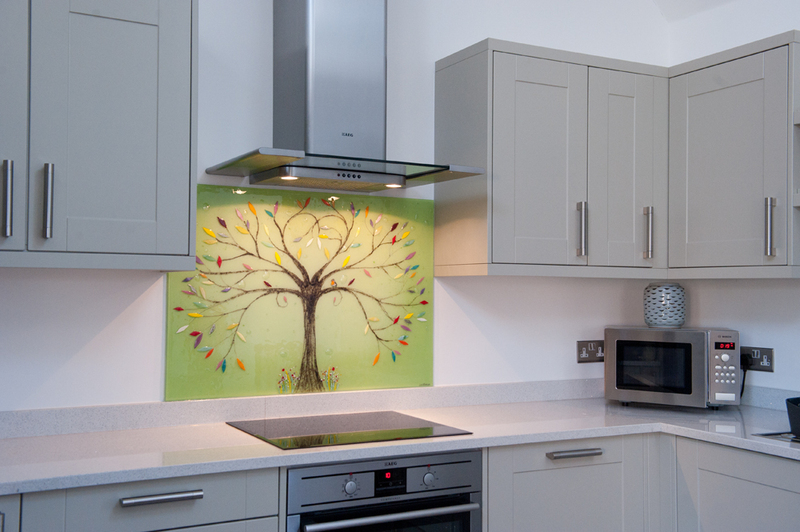 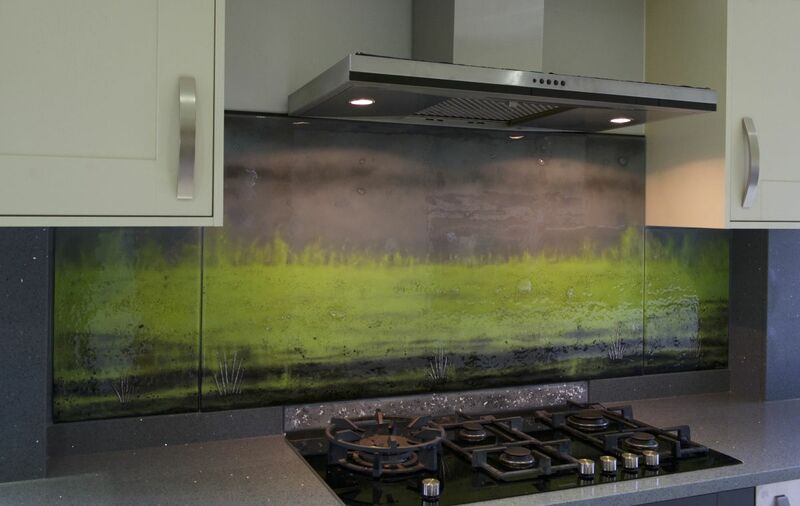 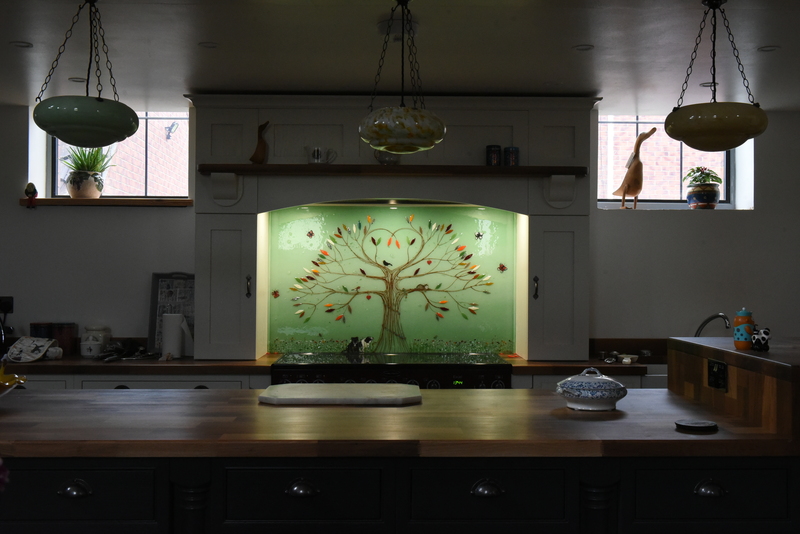 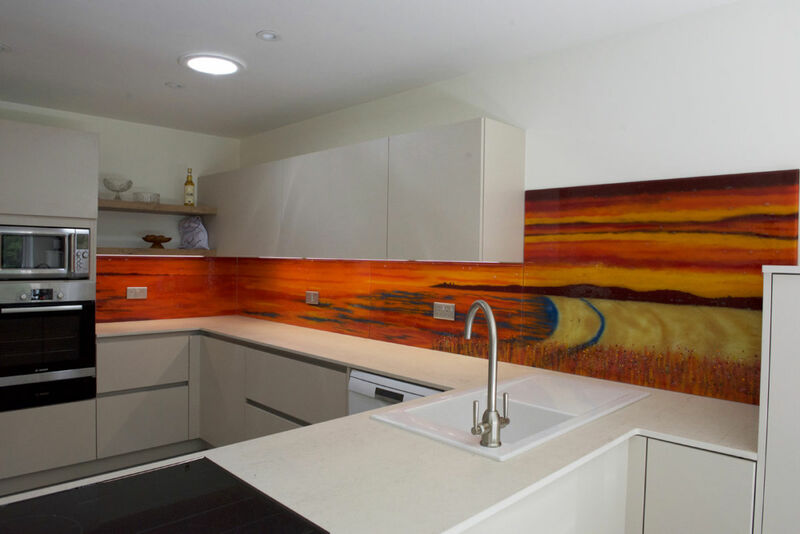 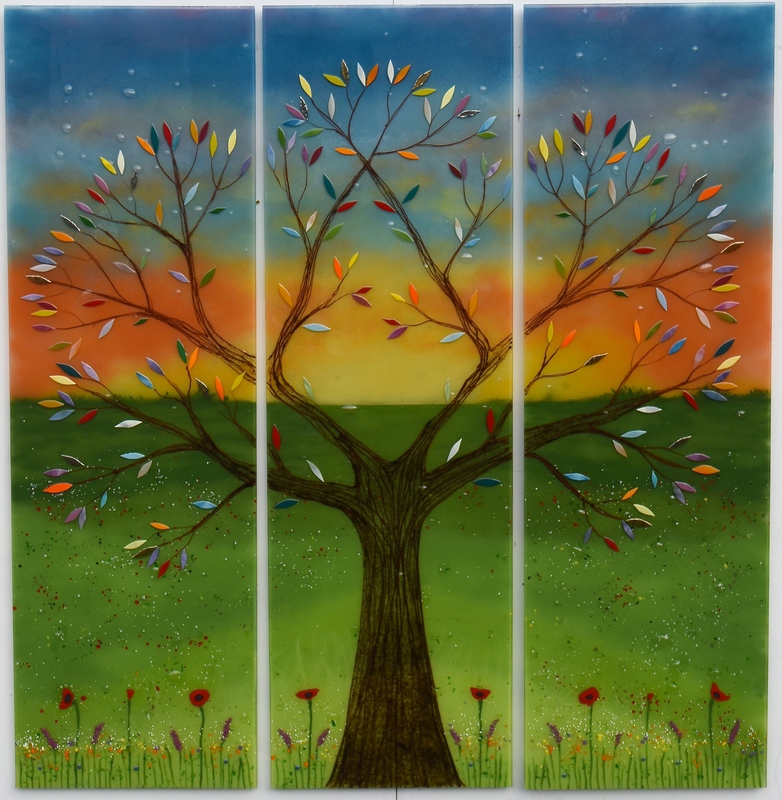 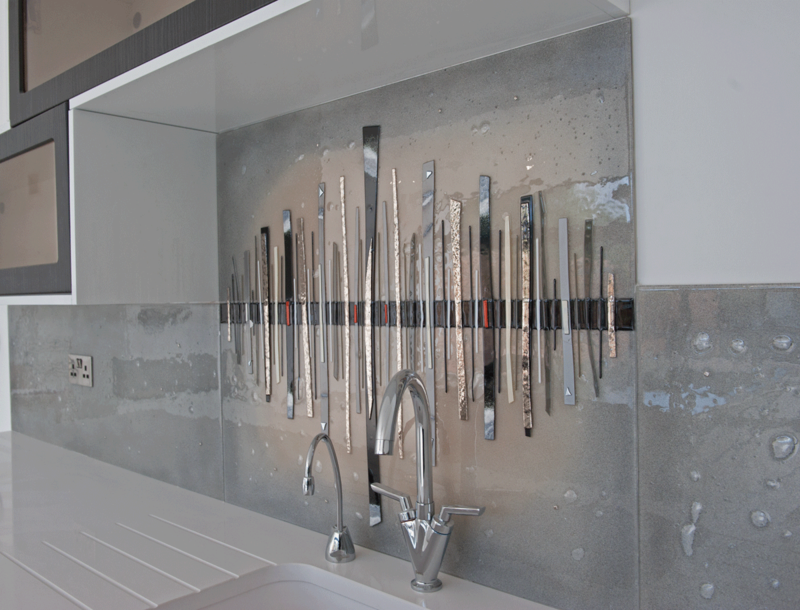 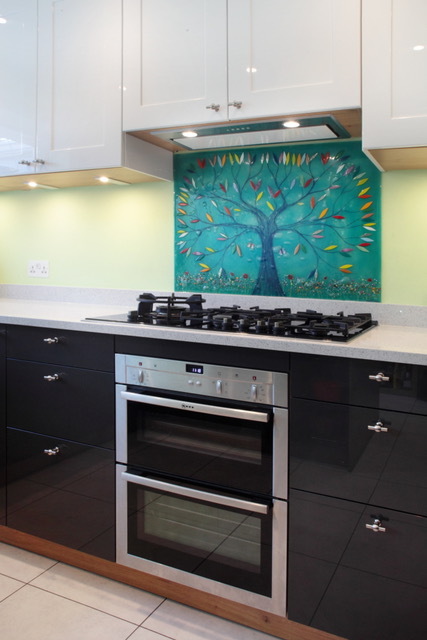 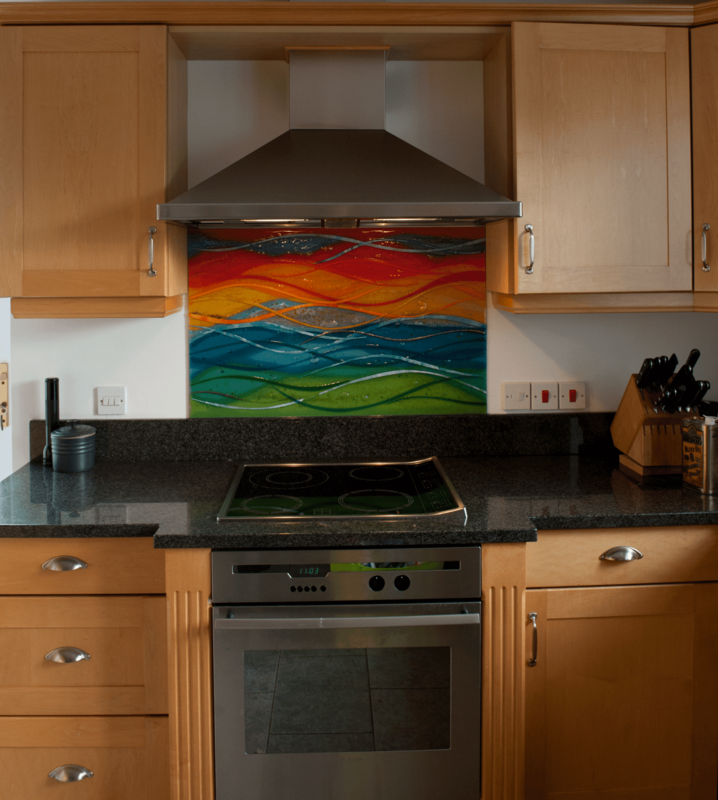 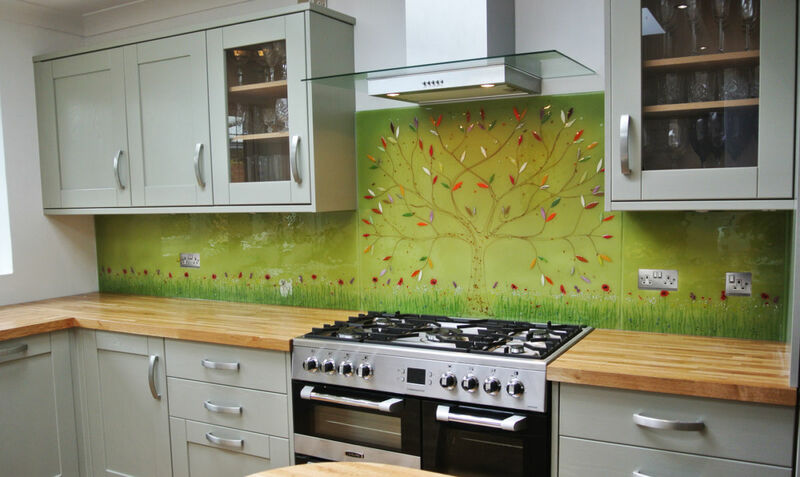 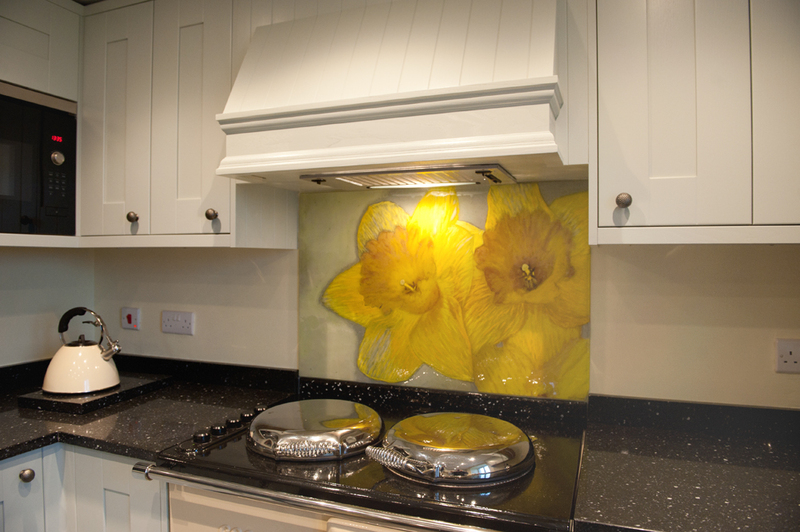 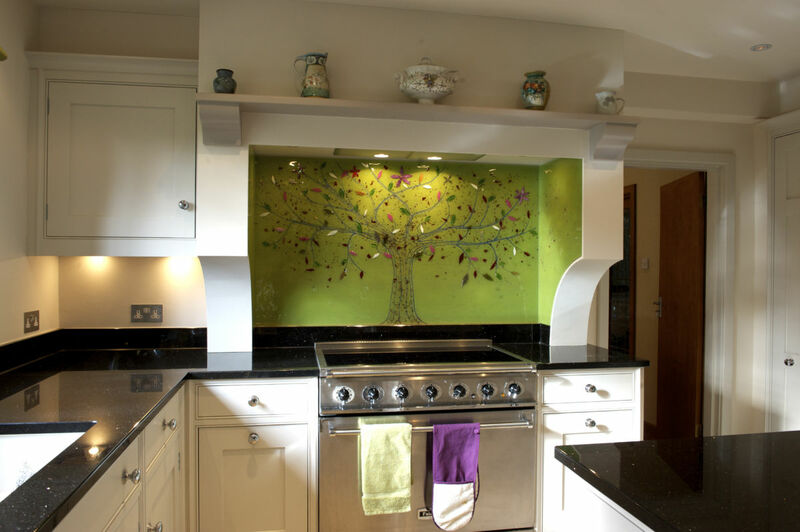 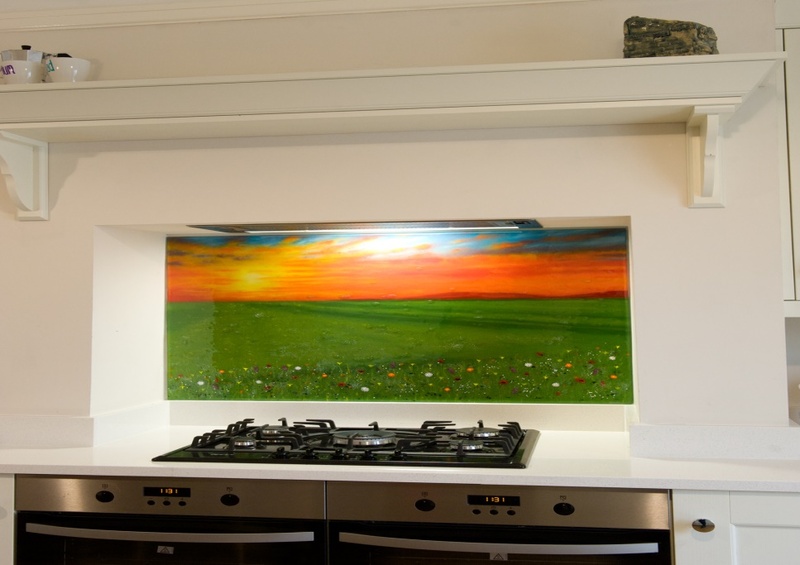 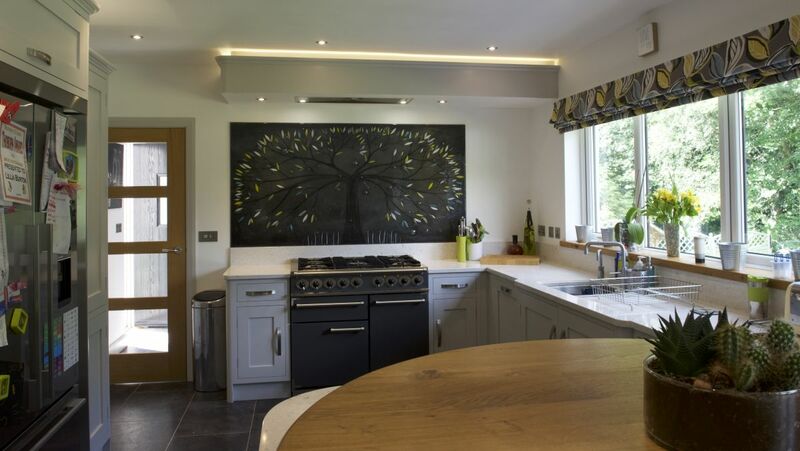 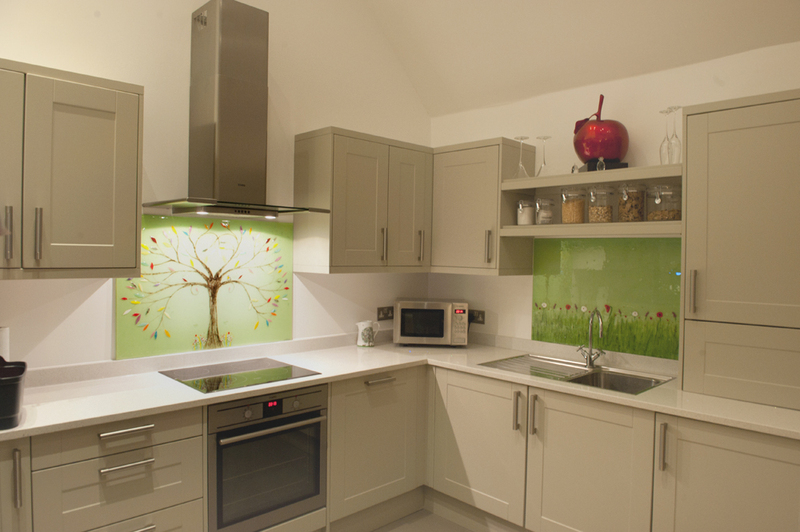 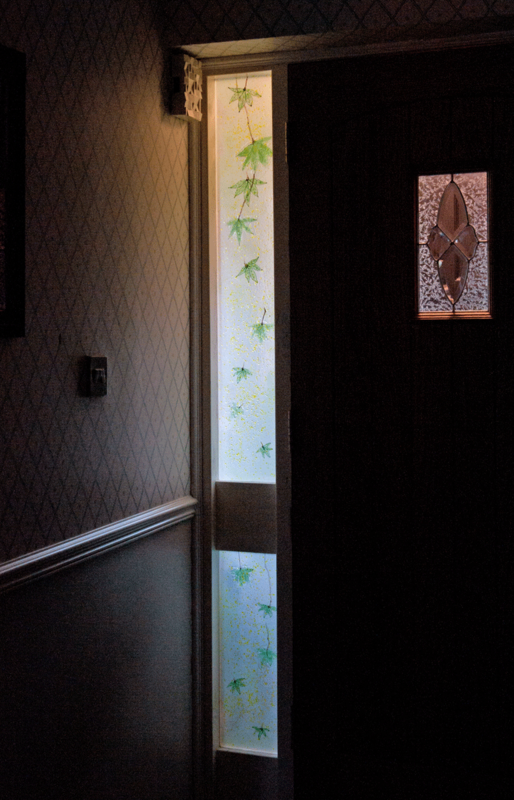 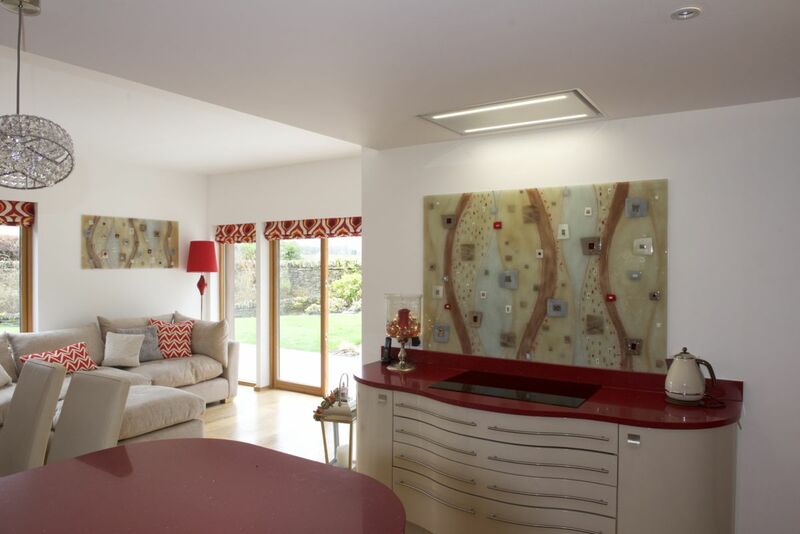 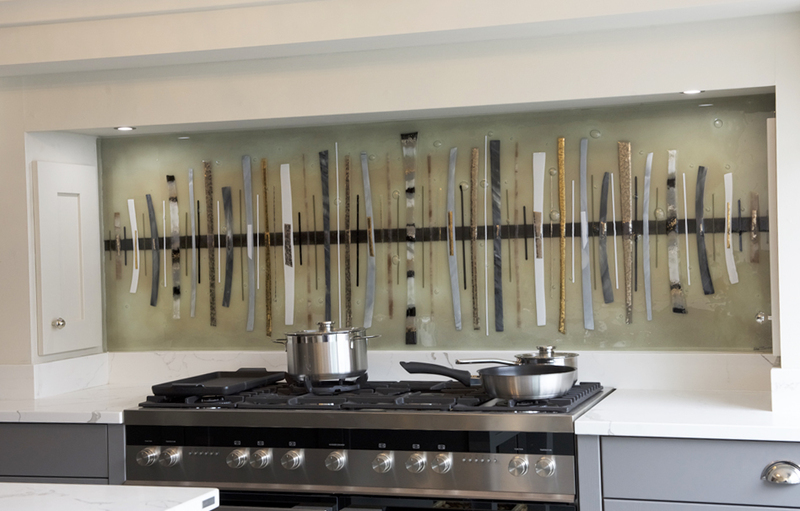 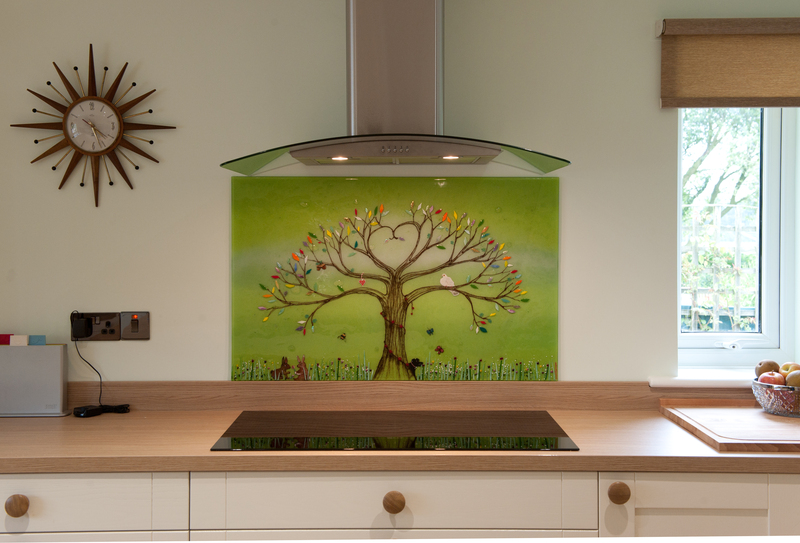 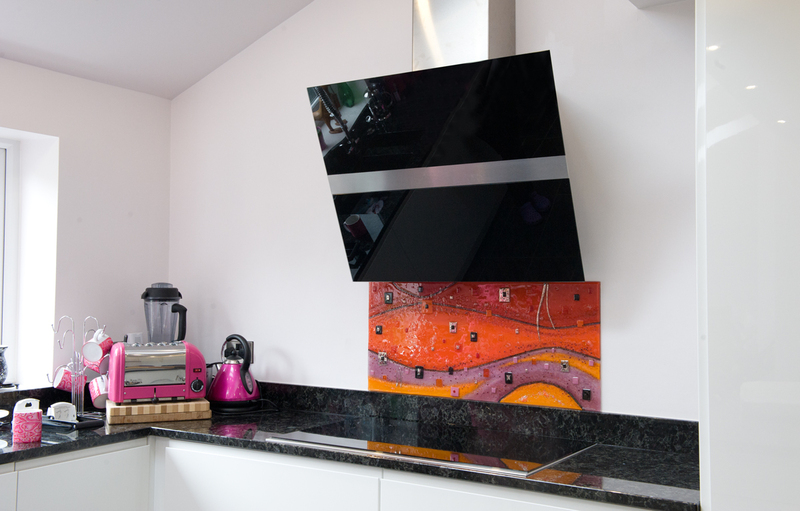 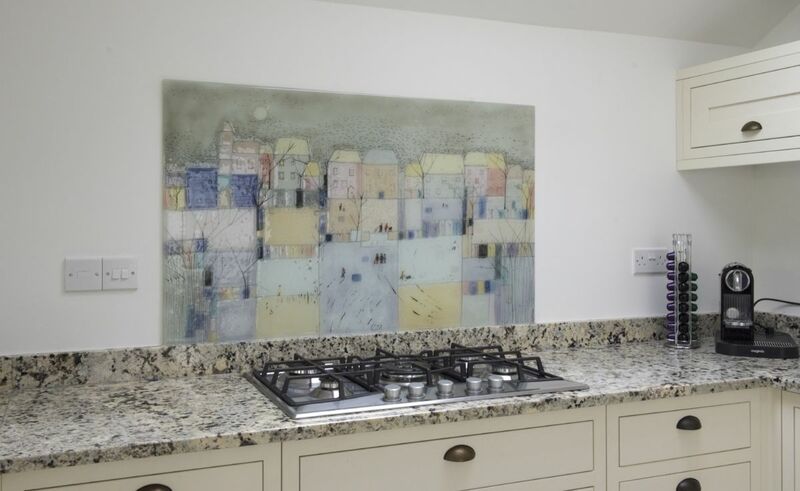 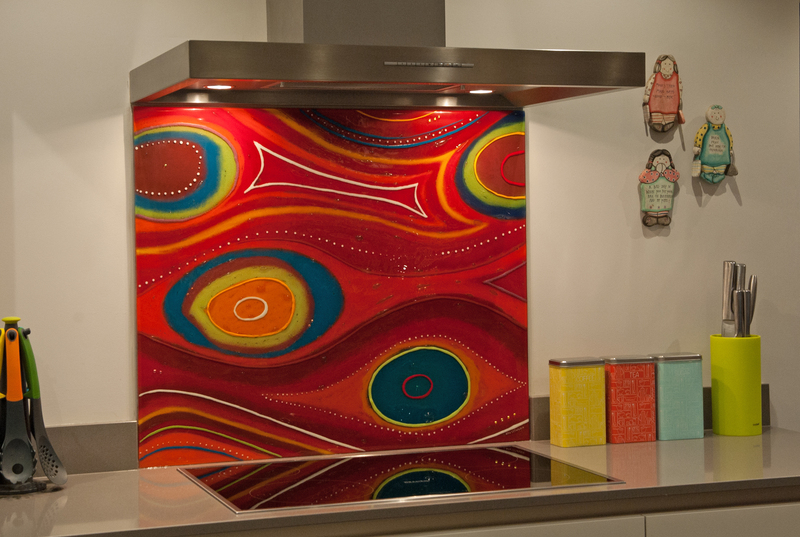 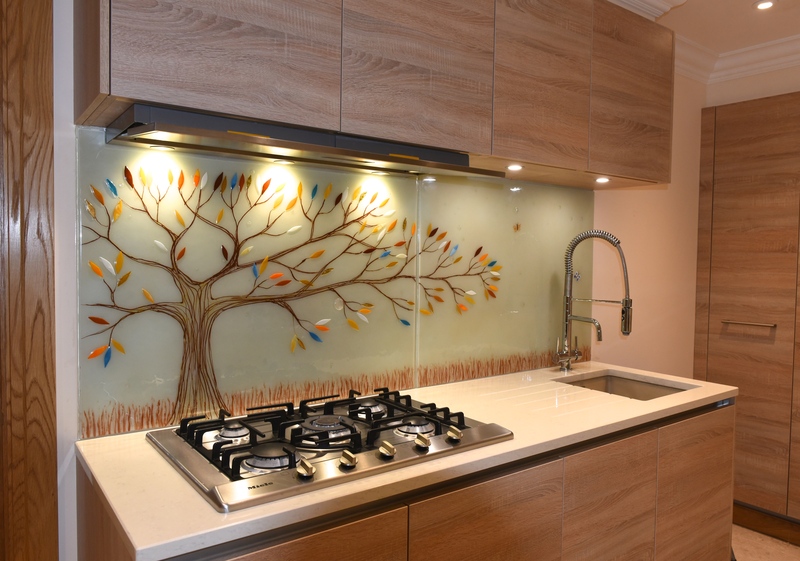 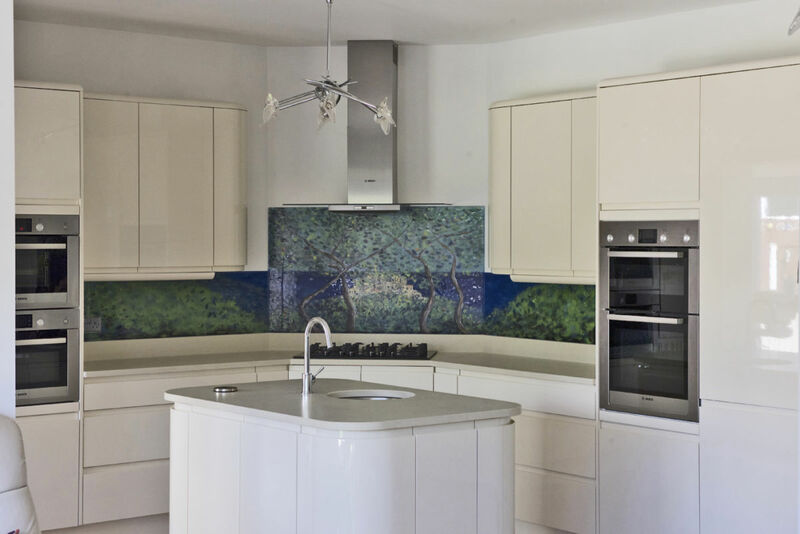 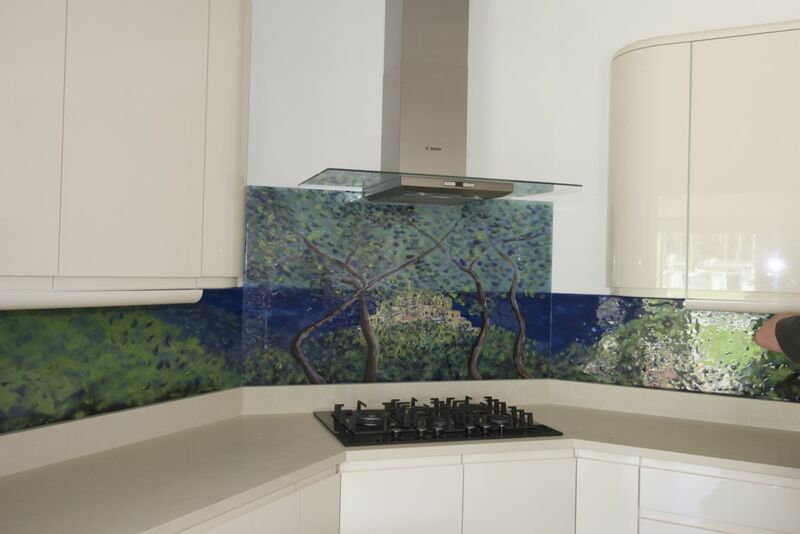 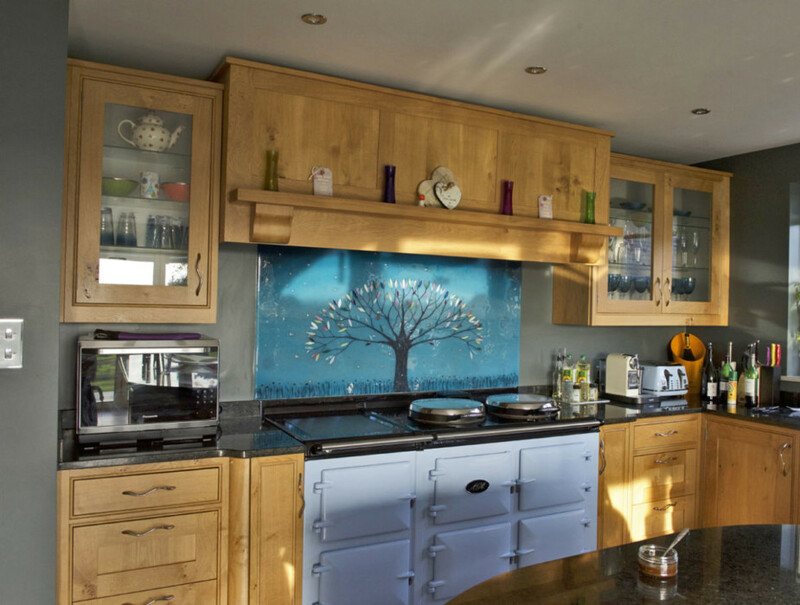 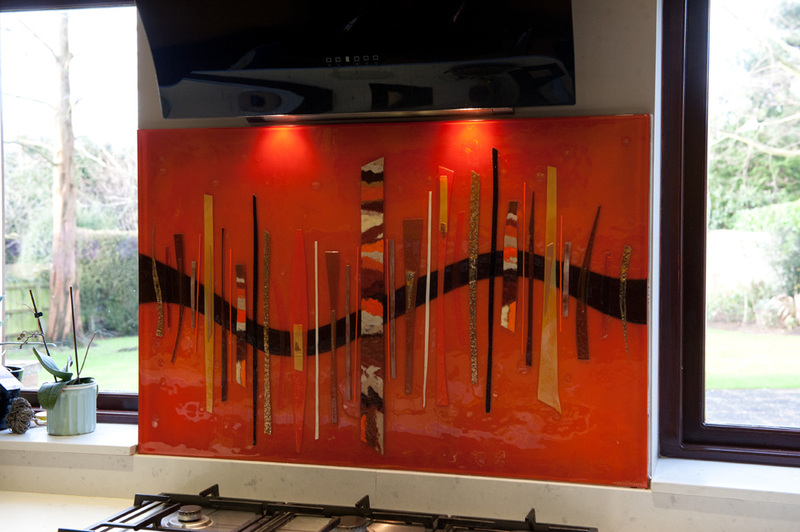 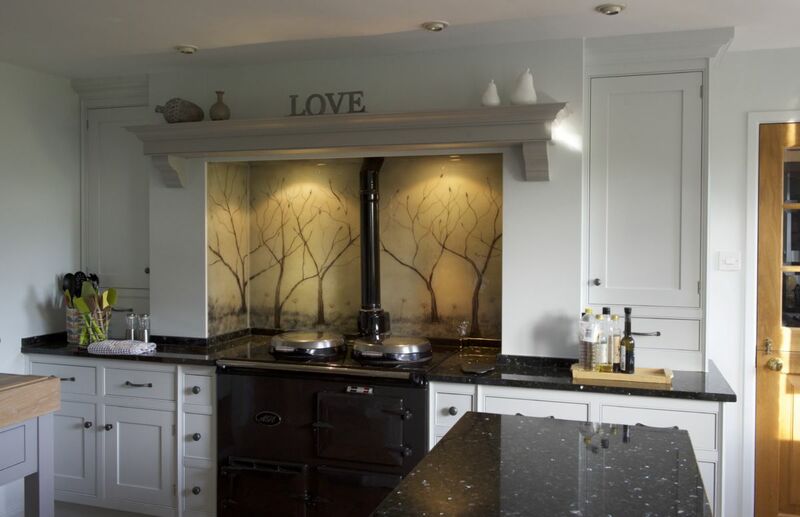 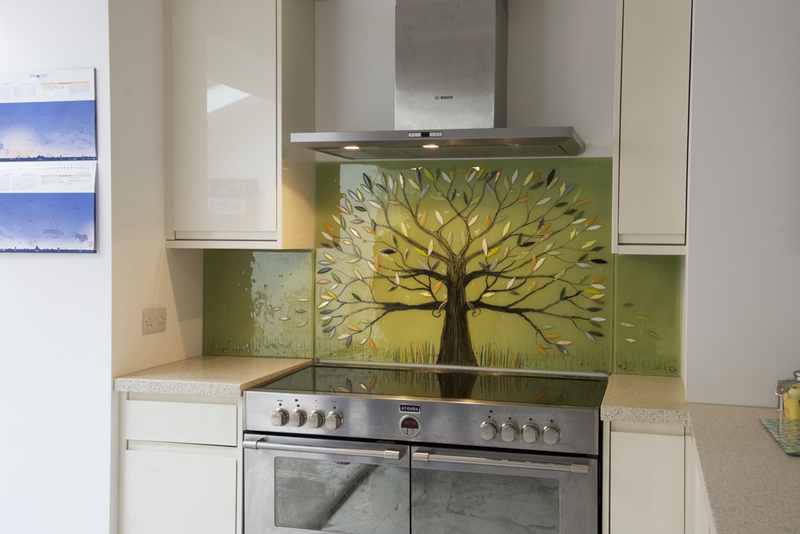 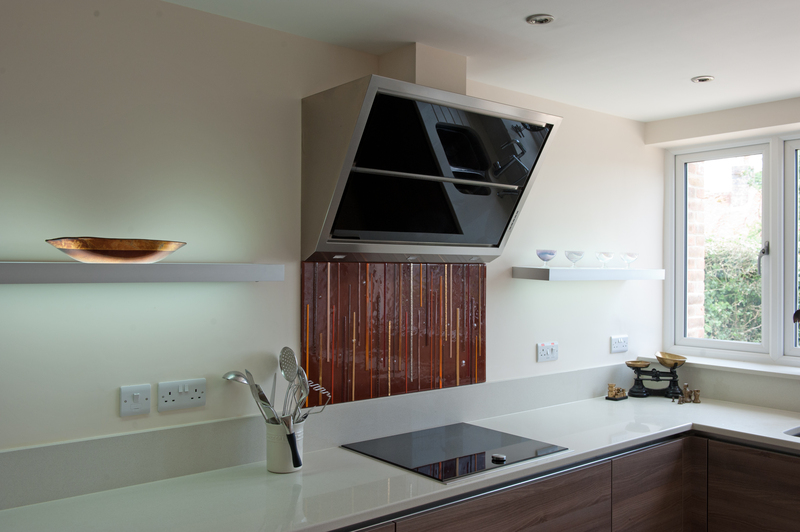 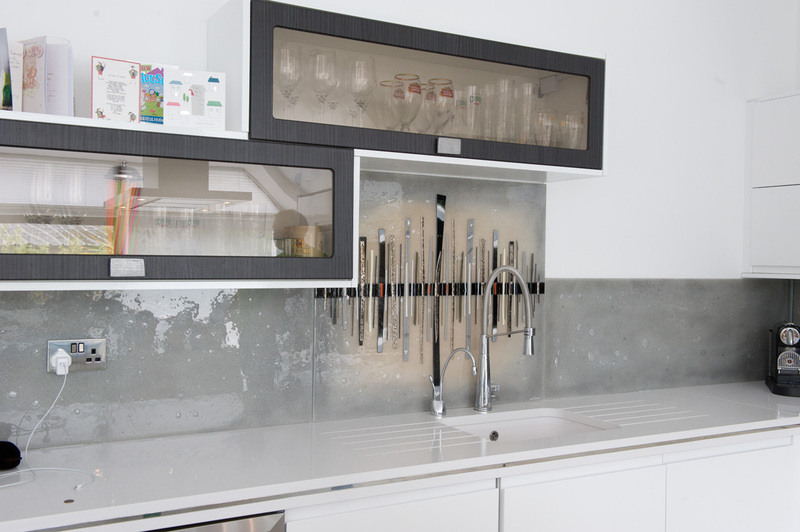 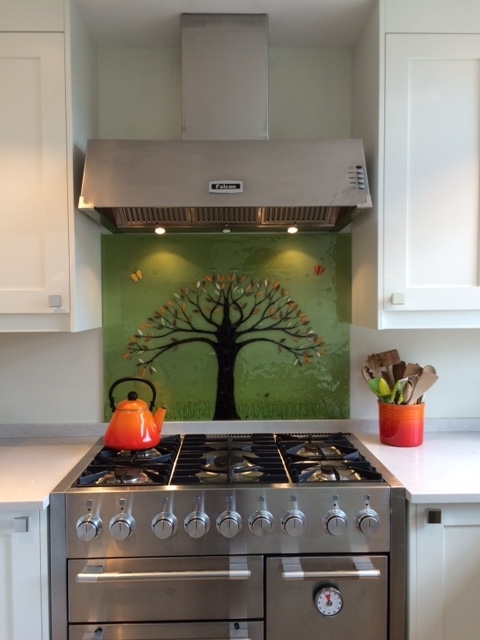 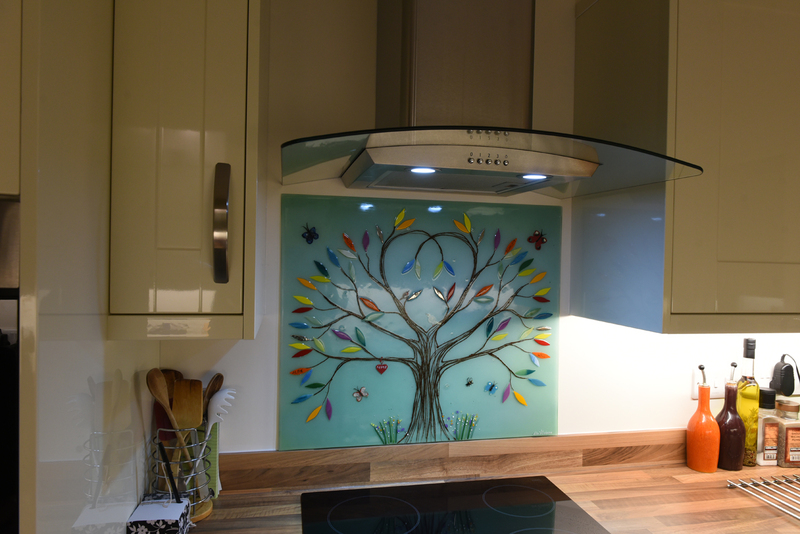 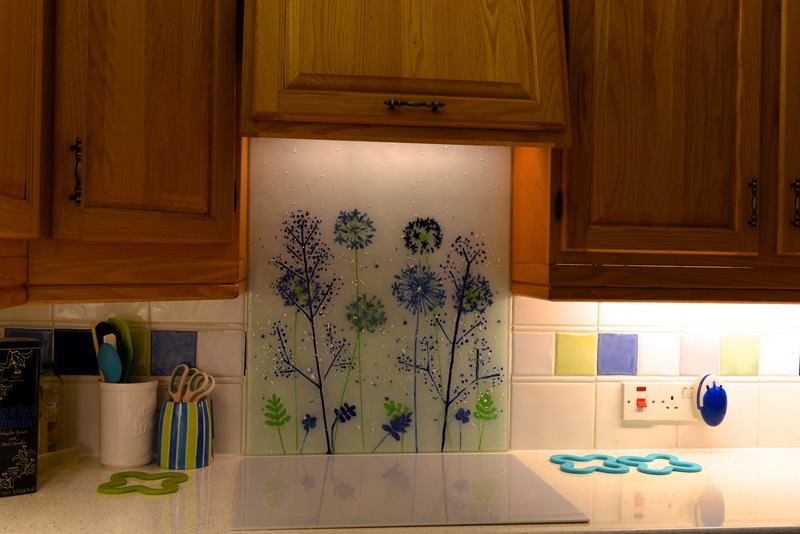 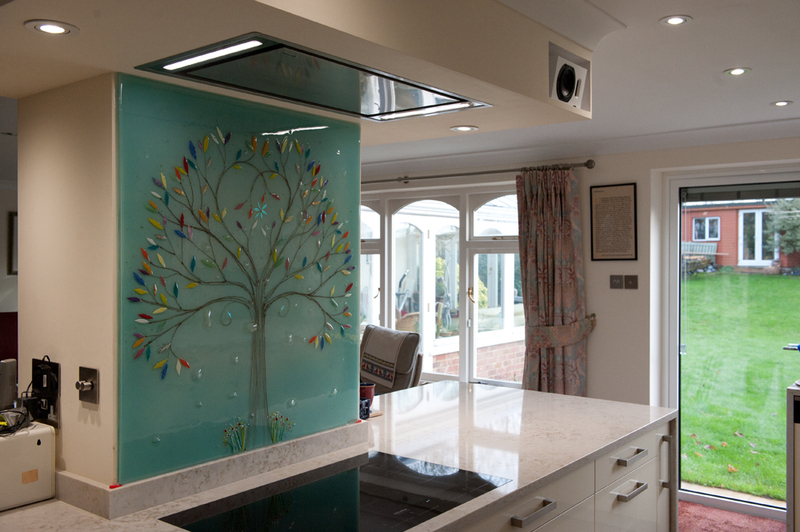 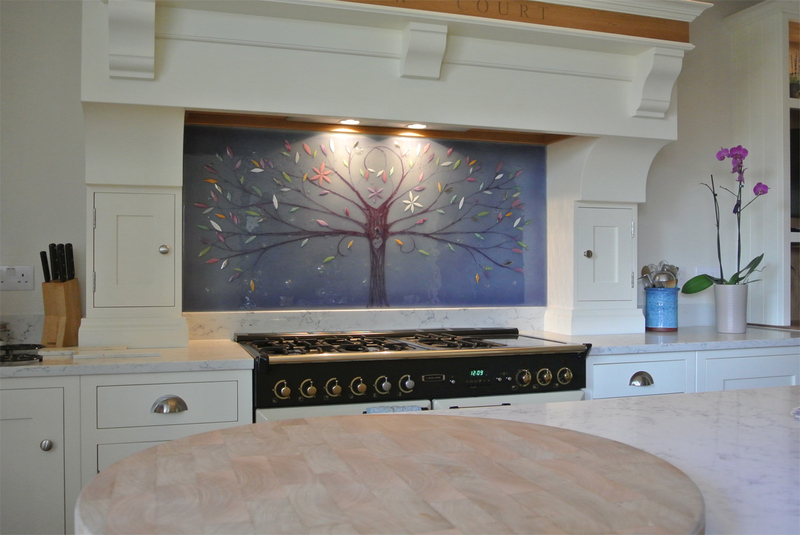 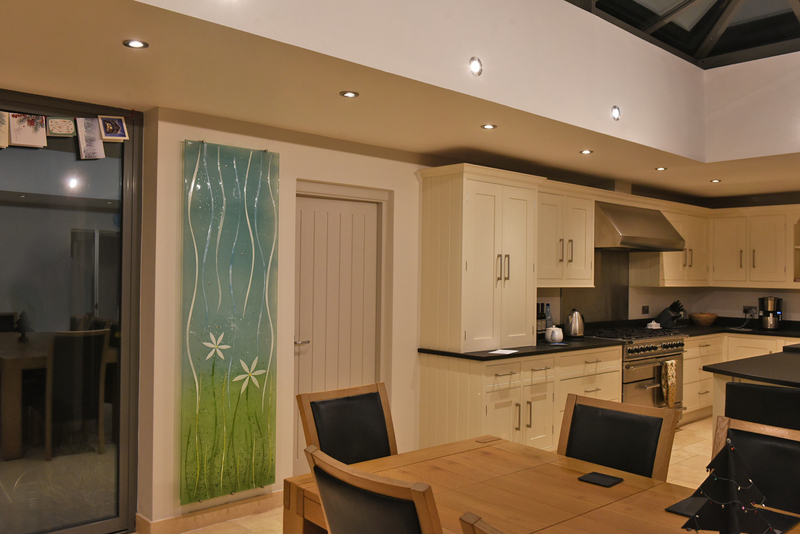 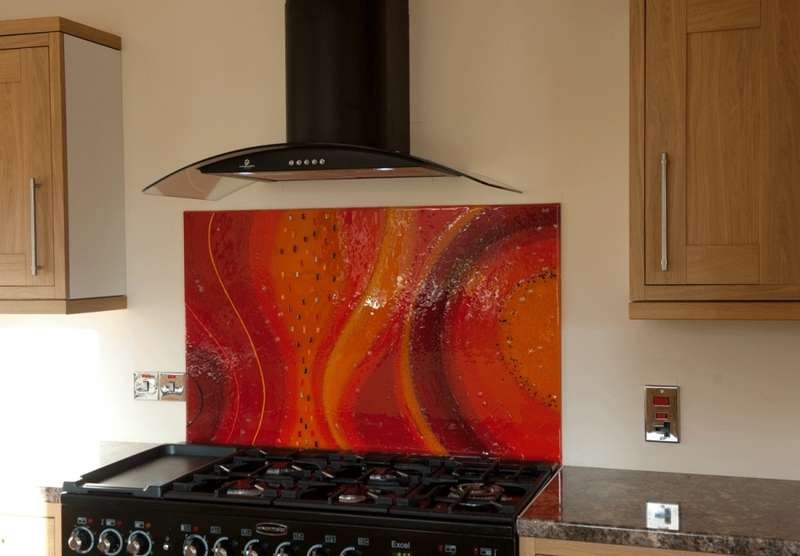 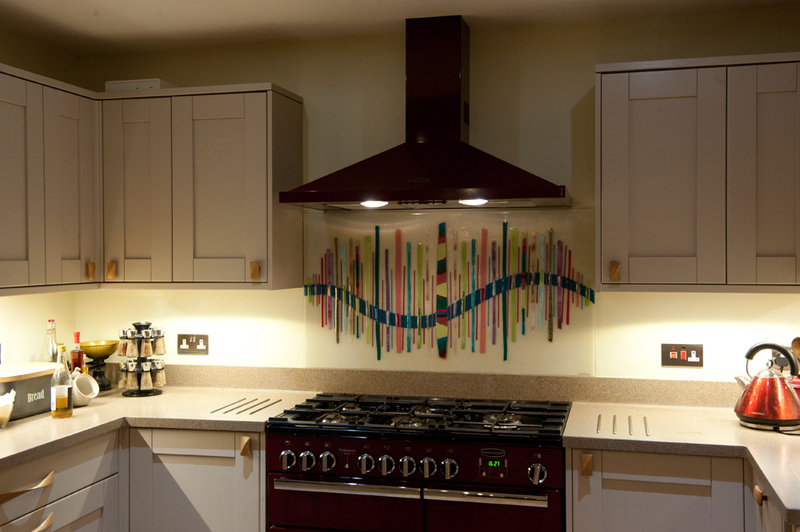 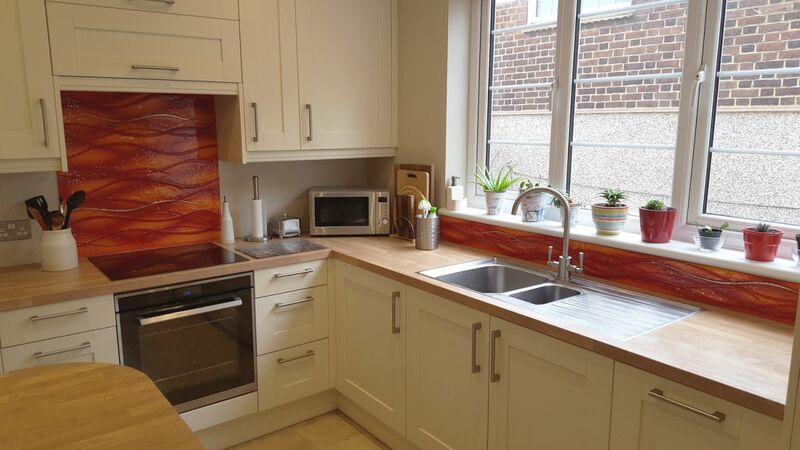 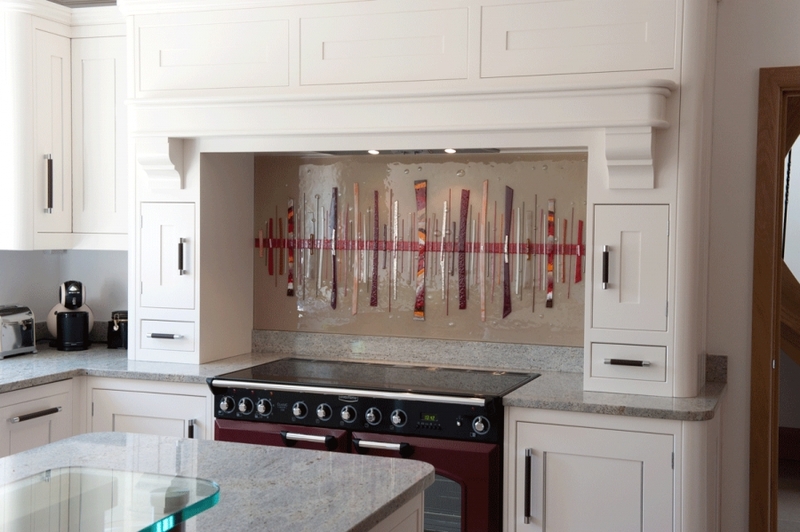 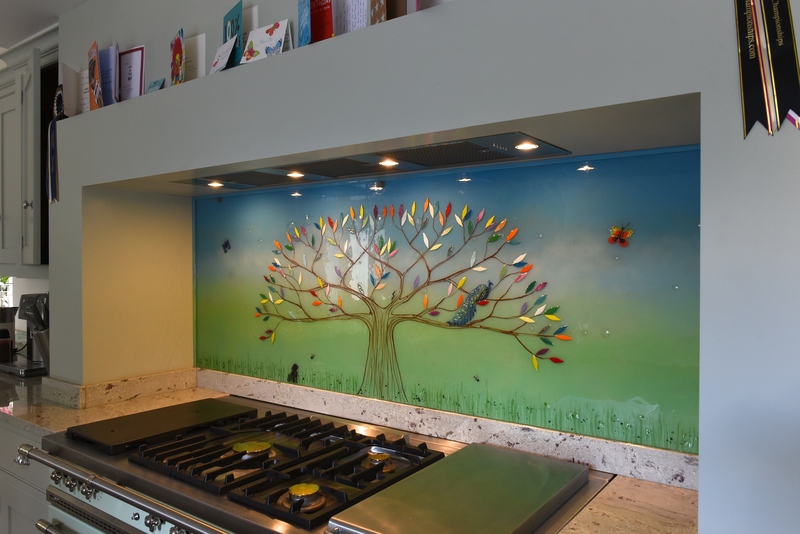 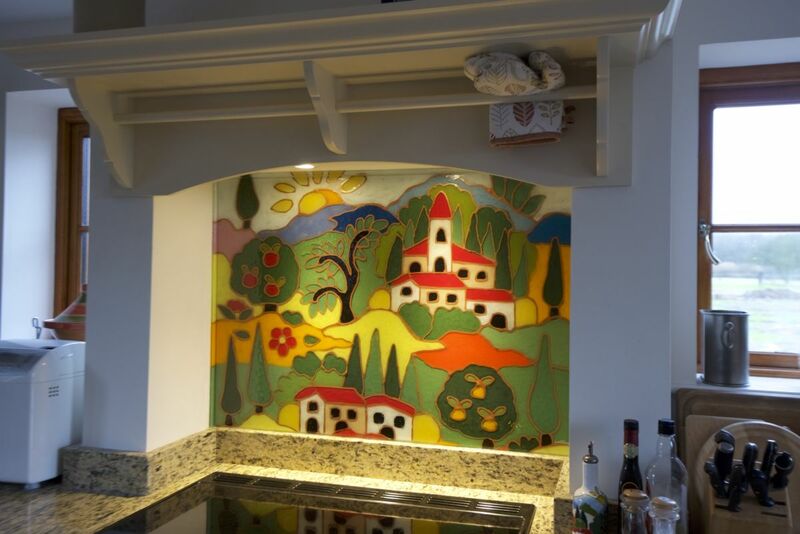 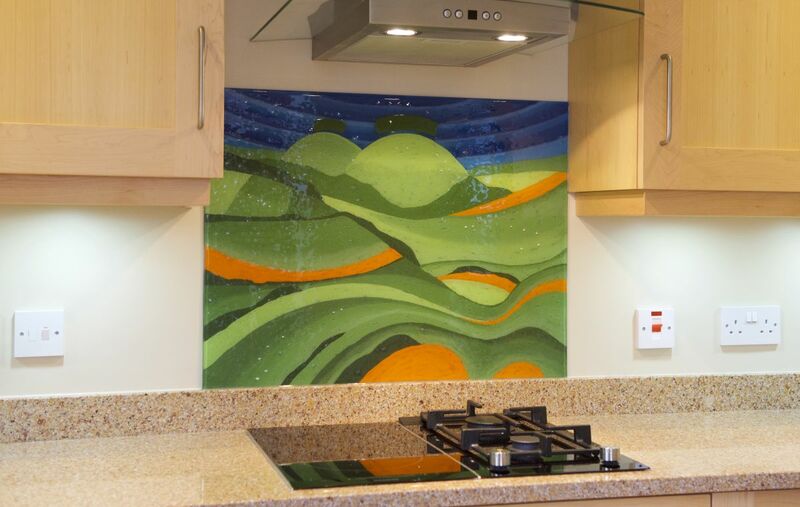 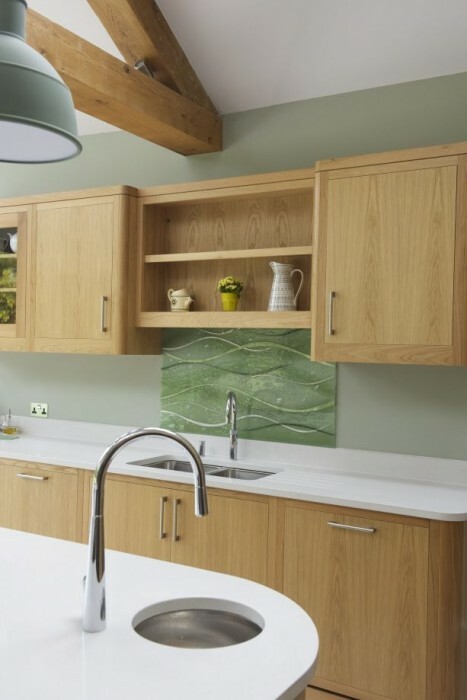 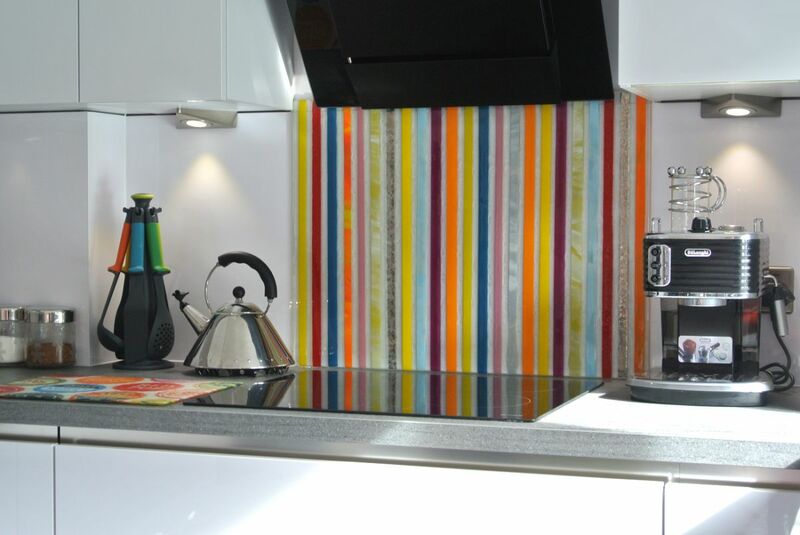 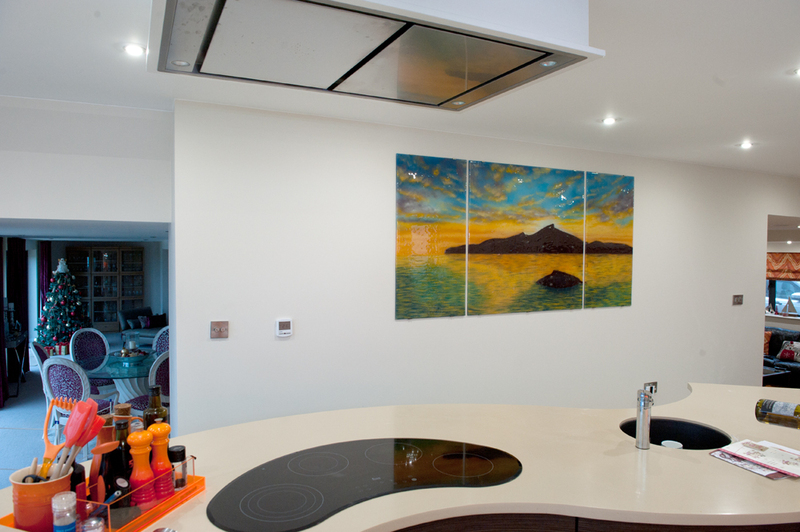 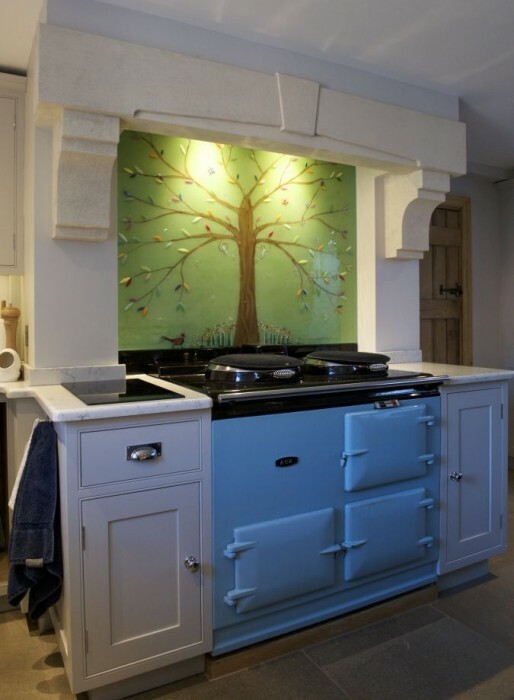 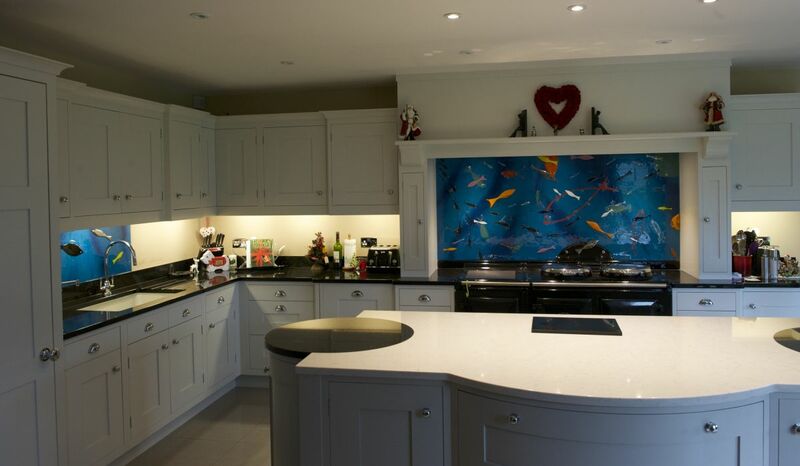 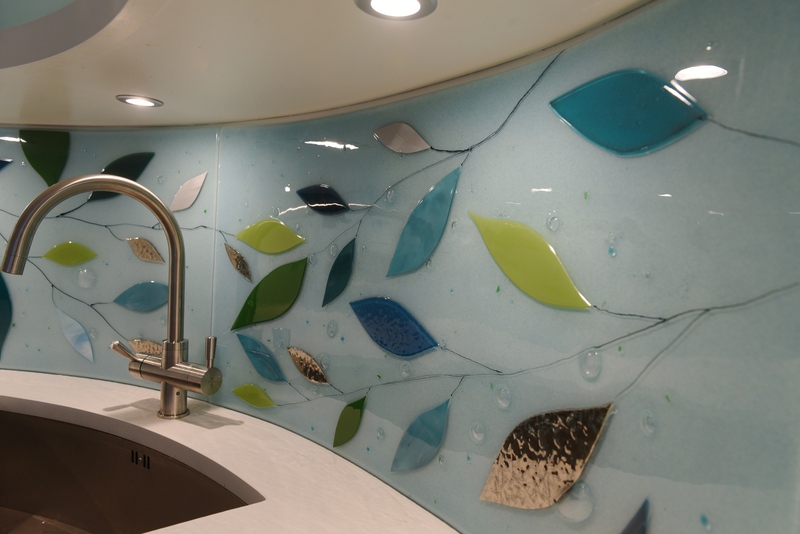 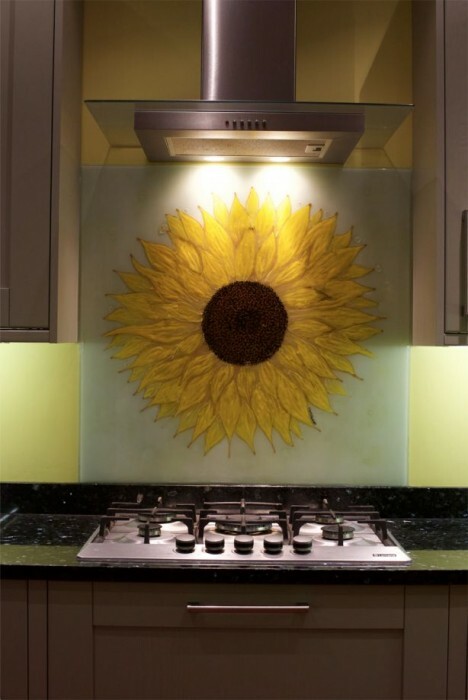 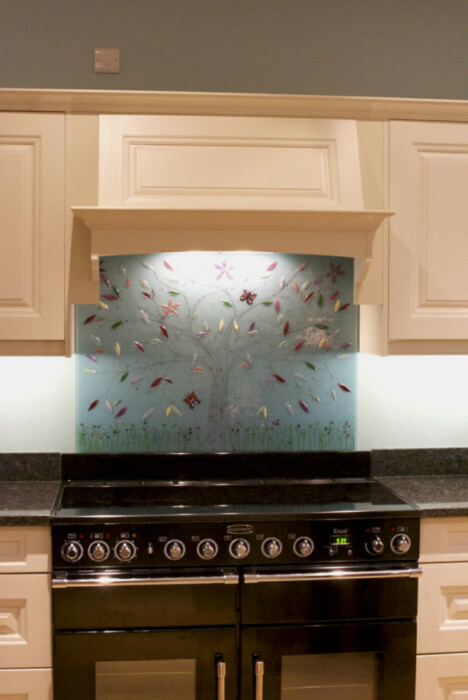 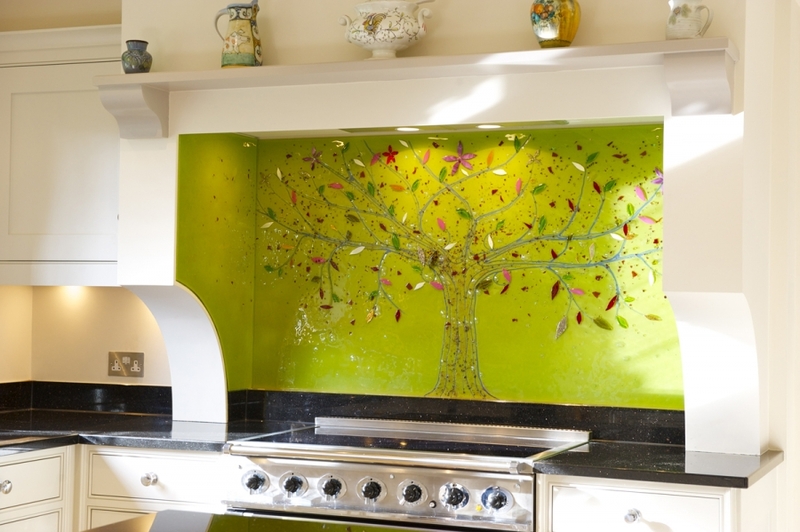 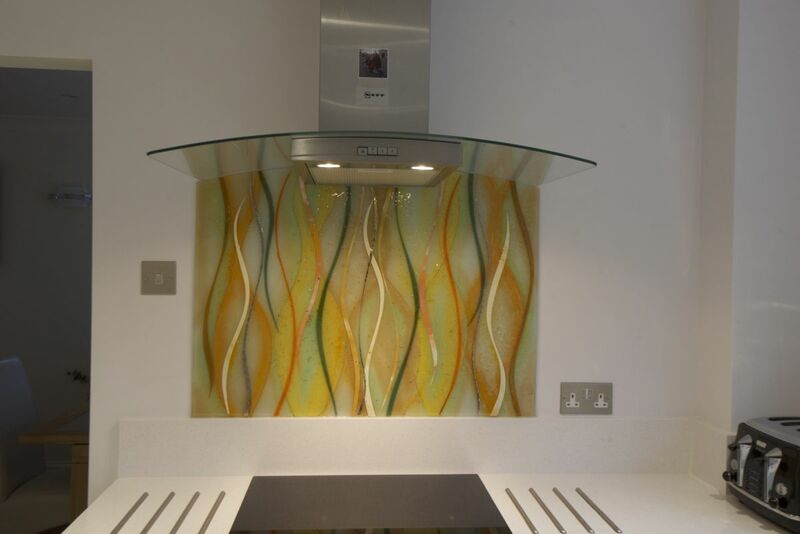 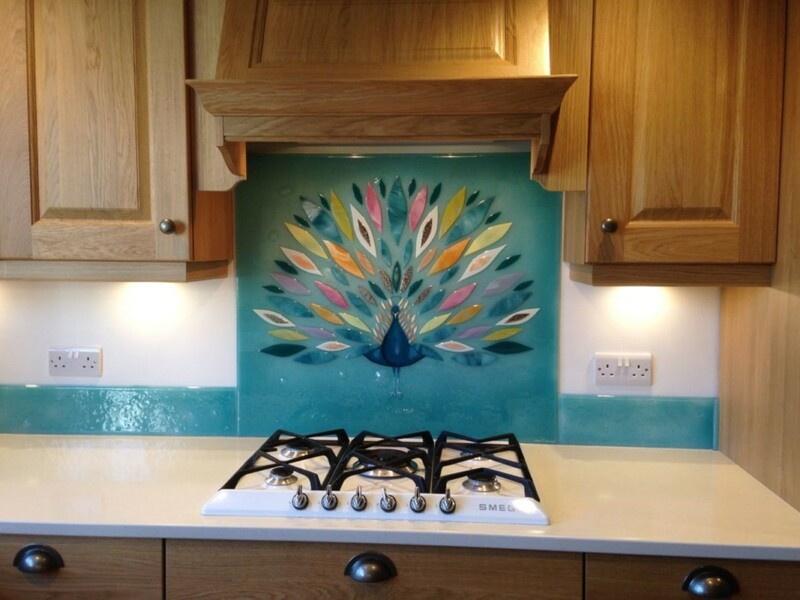 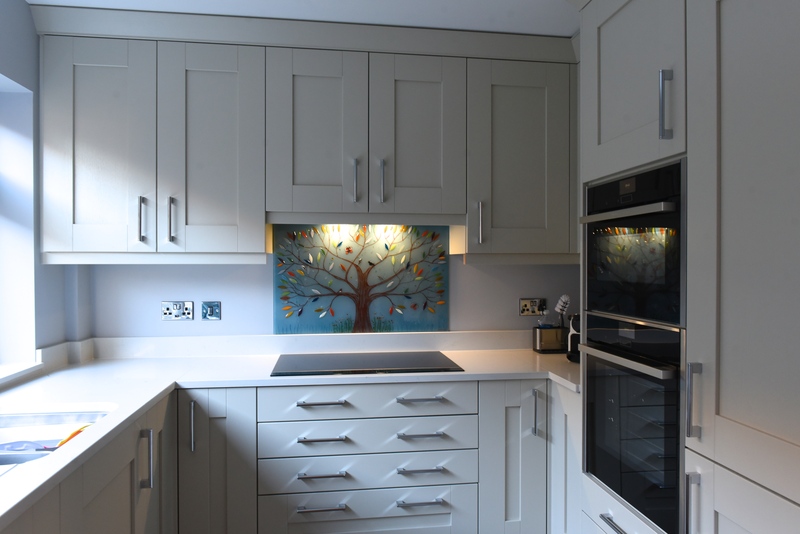 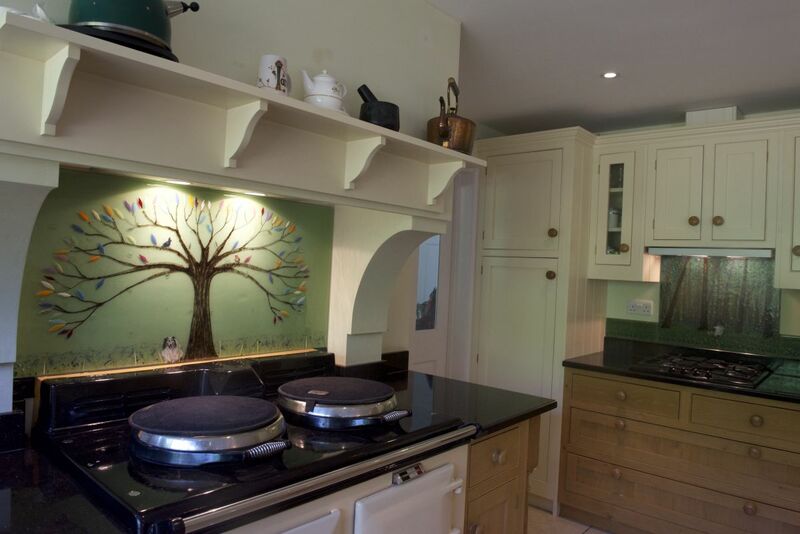 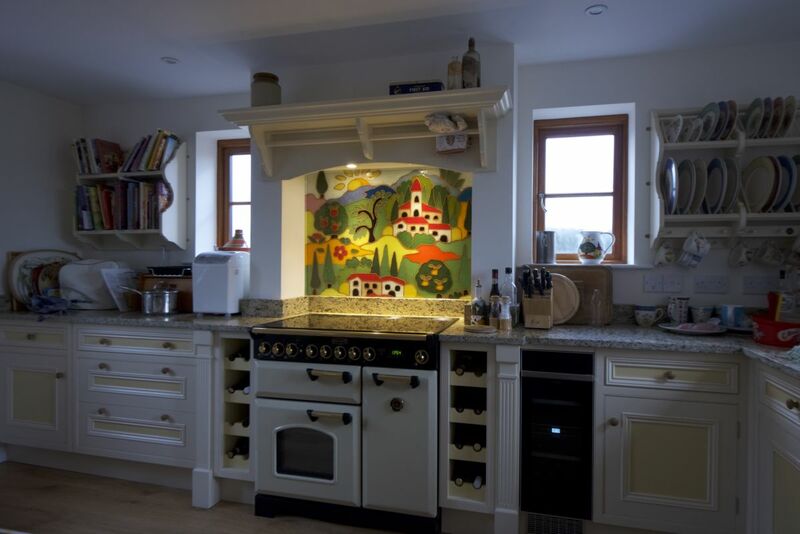 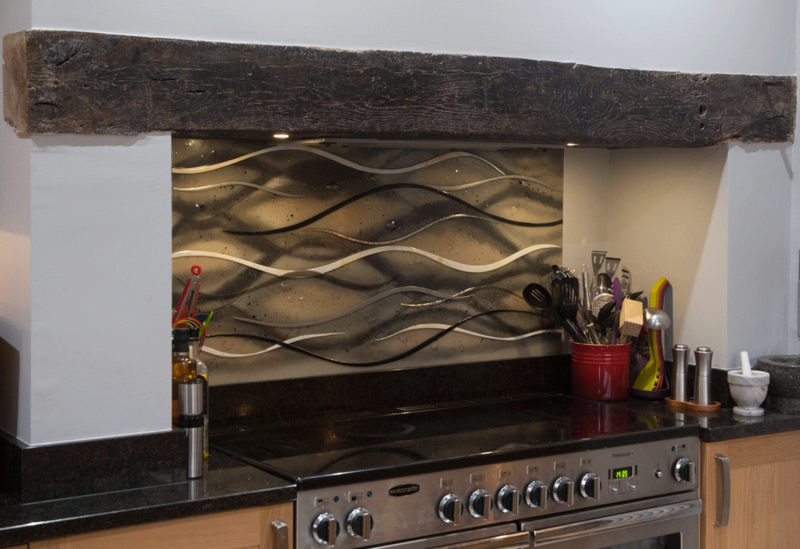 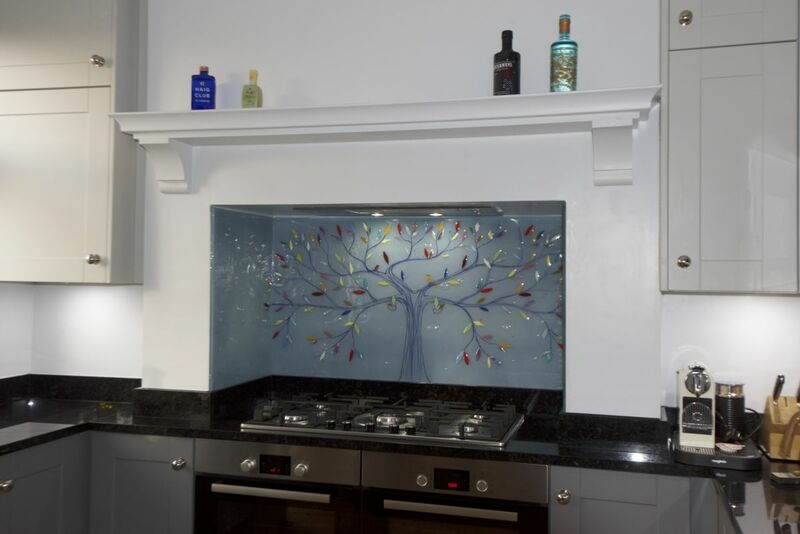 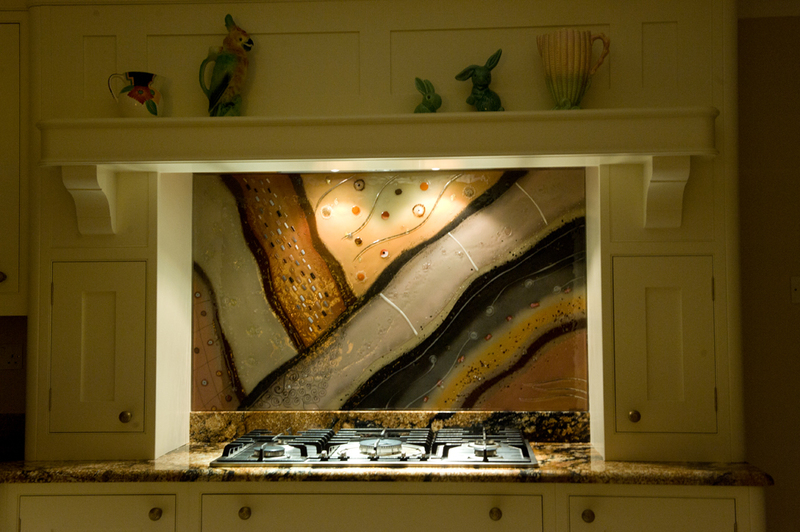 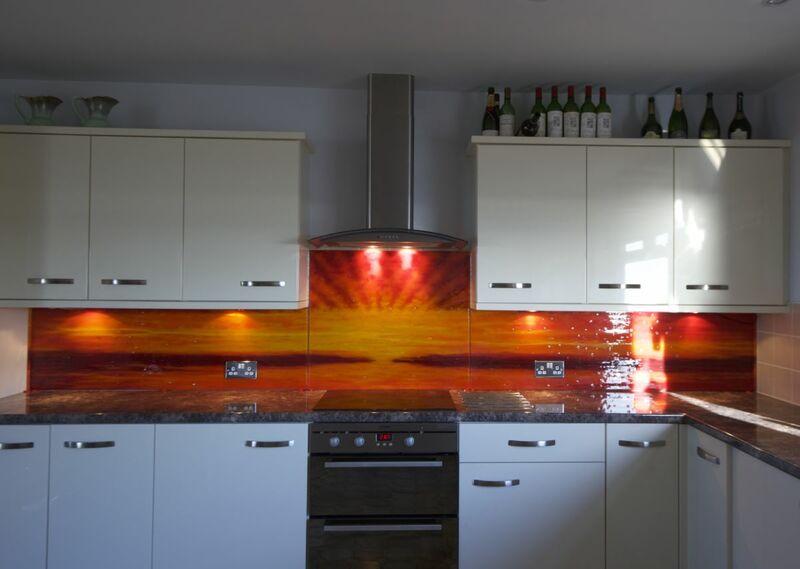 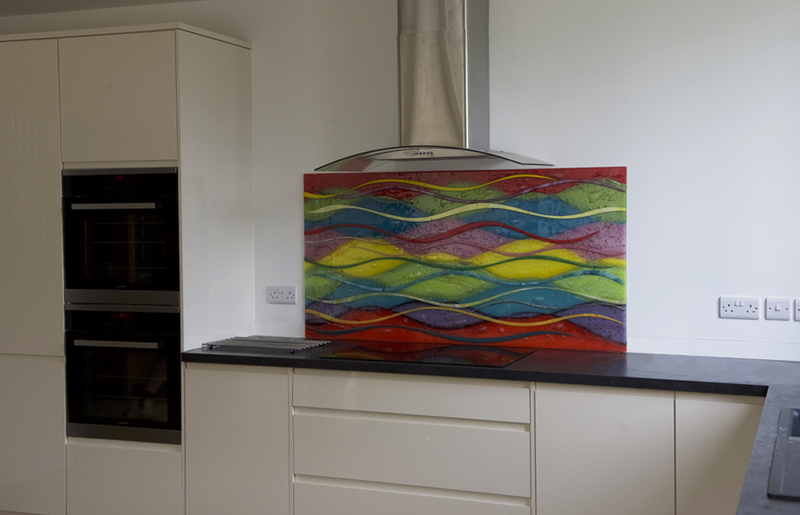 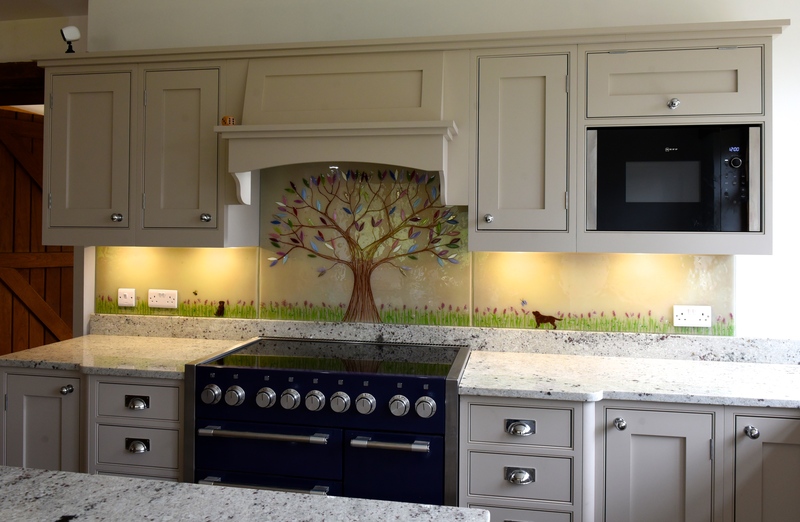 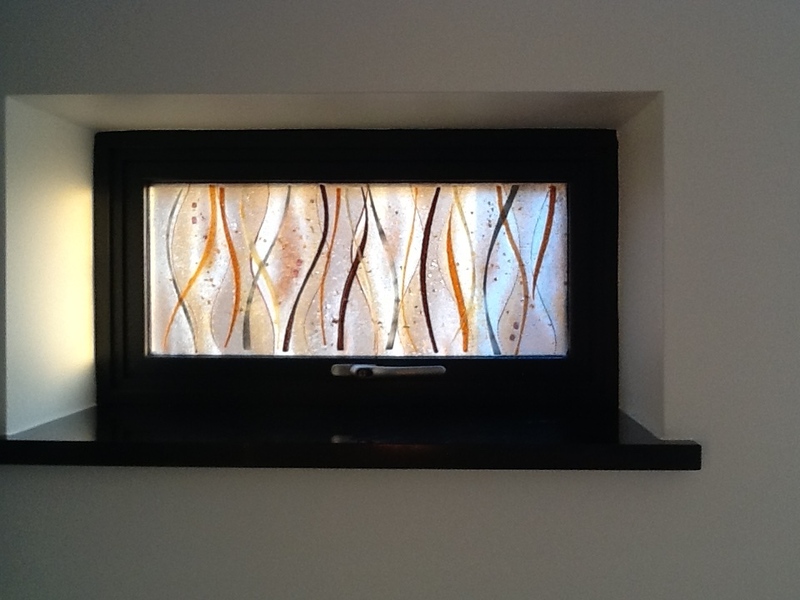 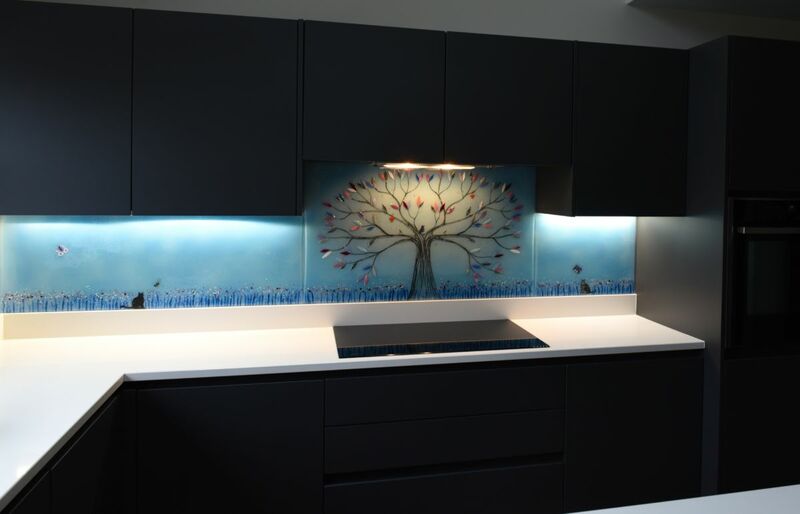 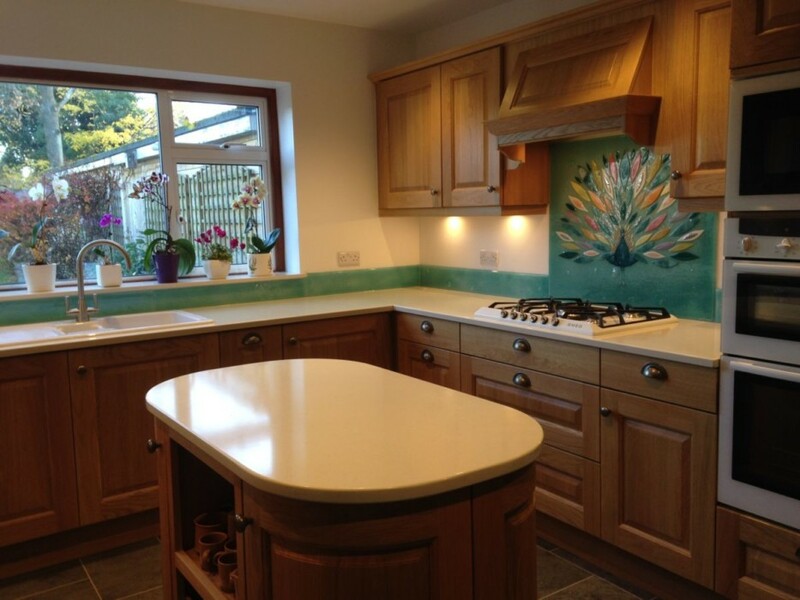 This panel complements the Tree of Life splashback perfectly, continuing the theme of nature inside of the kitchen. 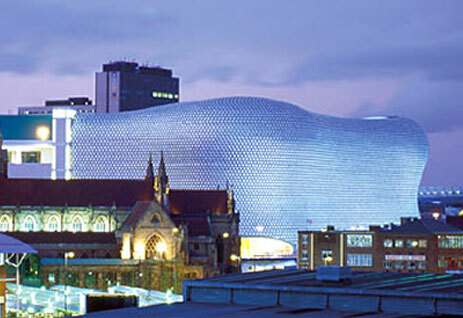 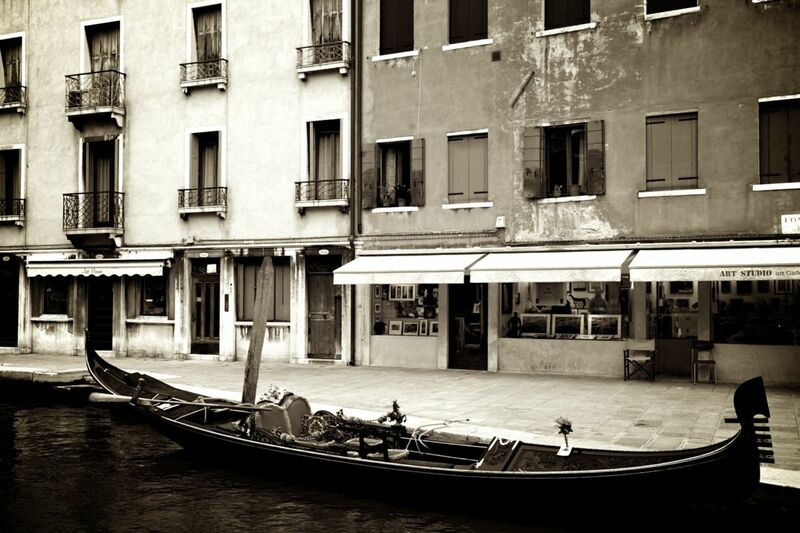 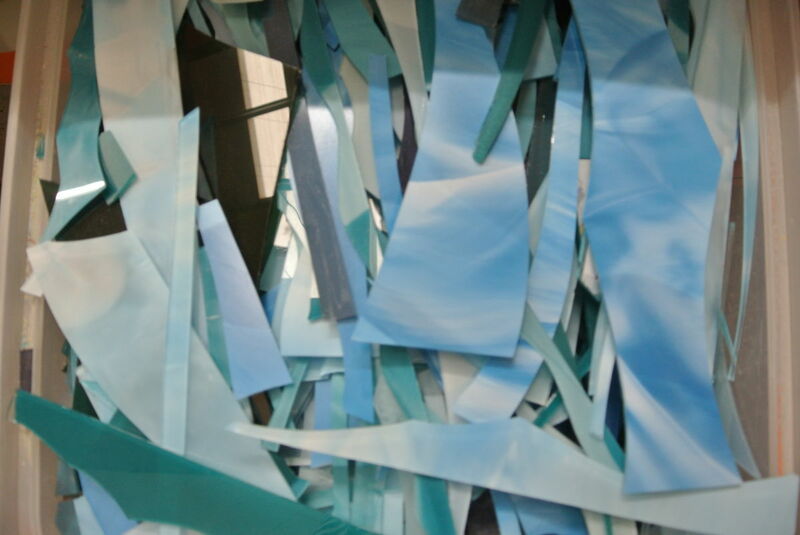 Now, we remember this job very well! 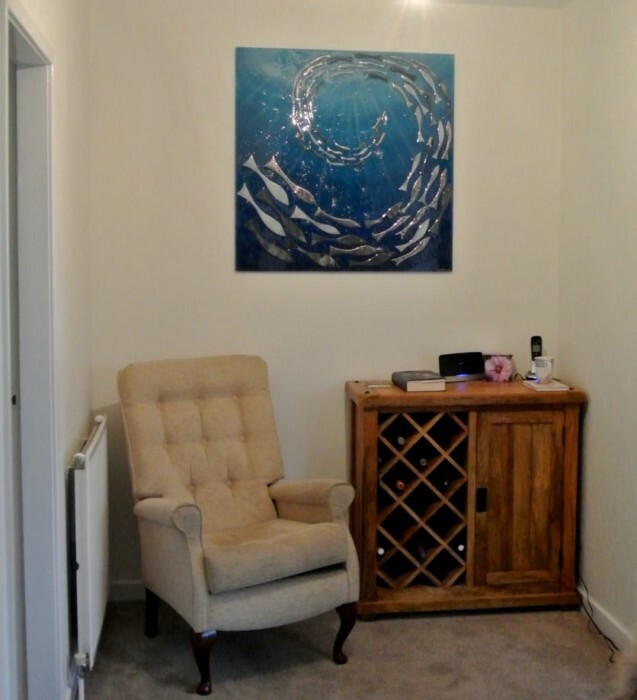 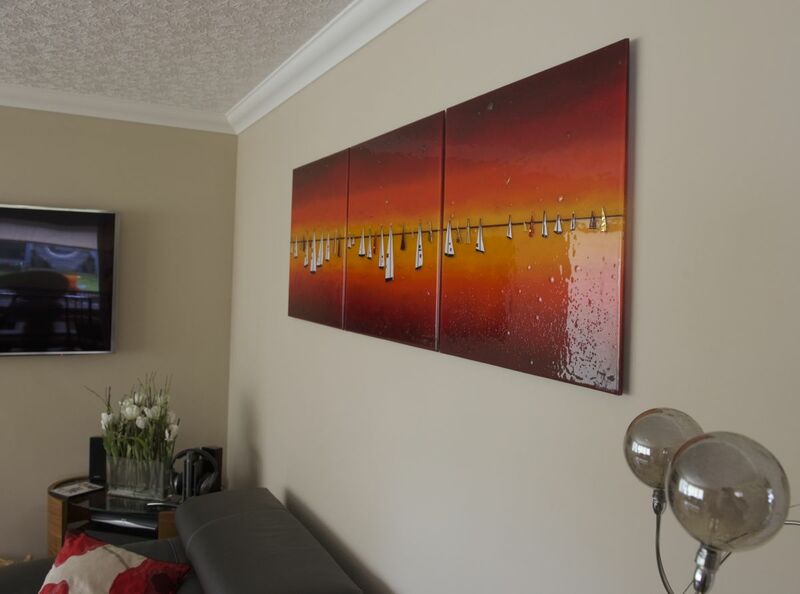 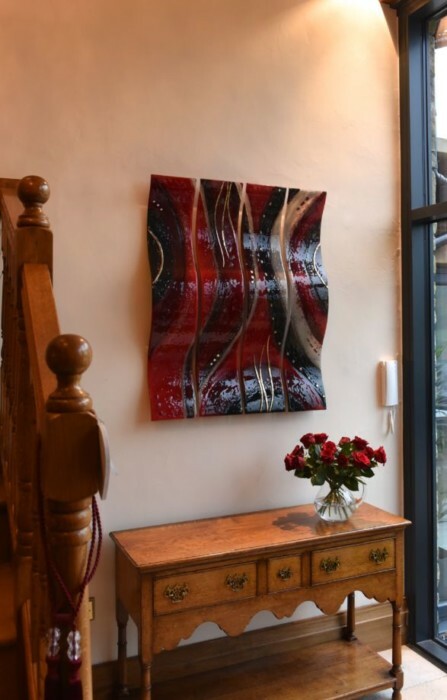 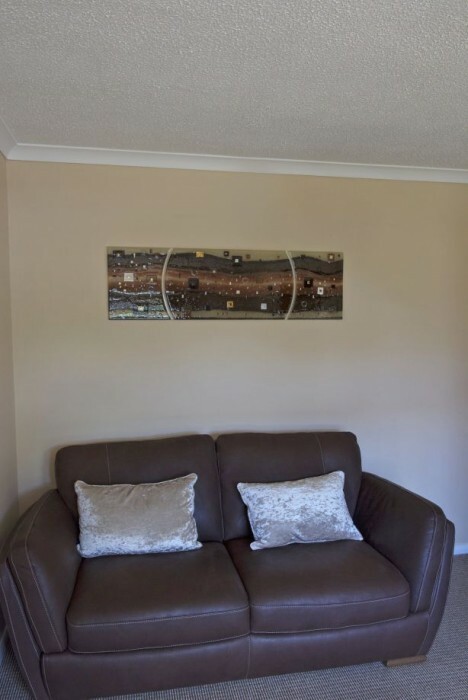 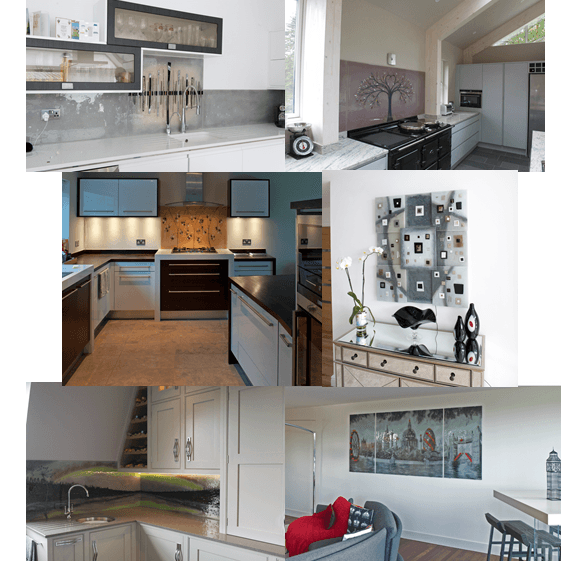 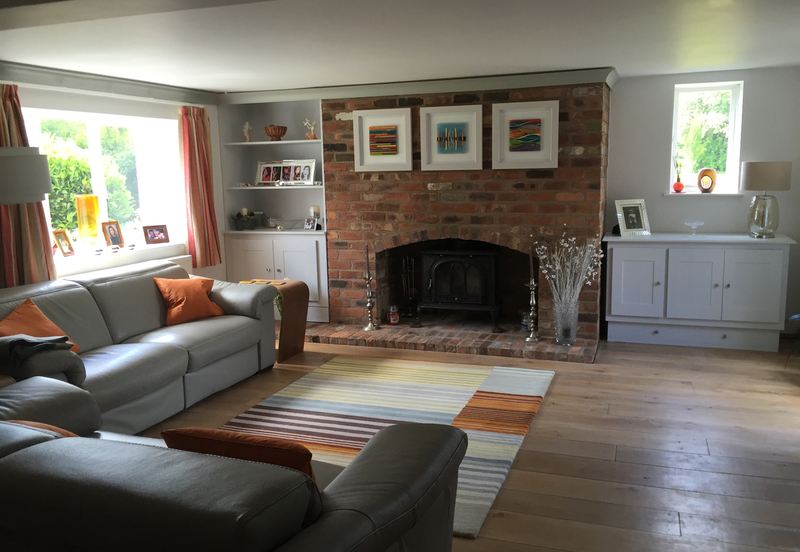 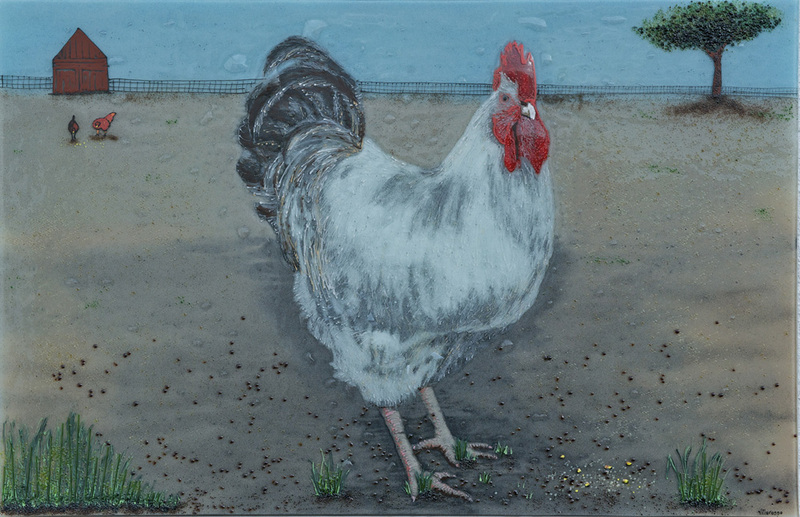 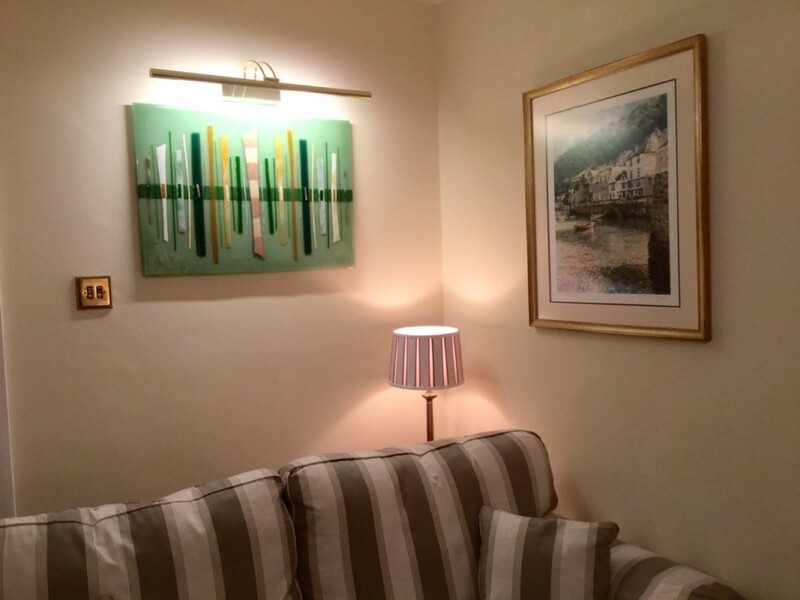 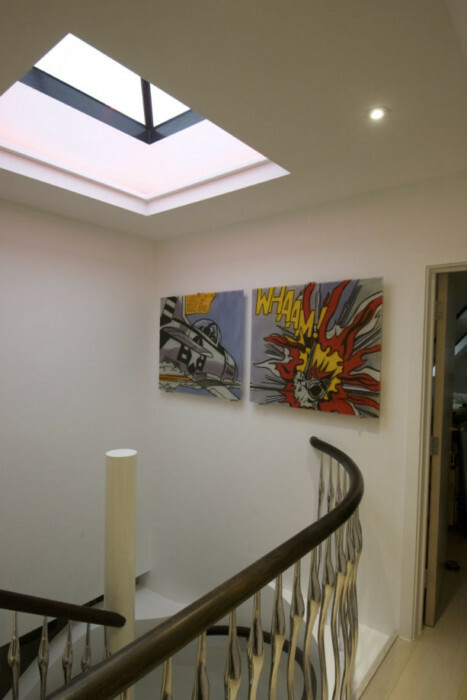 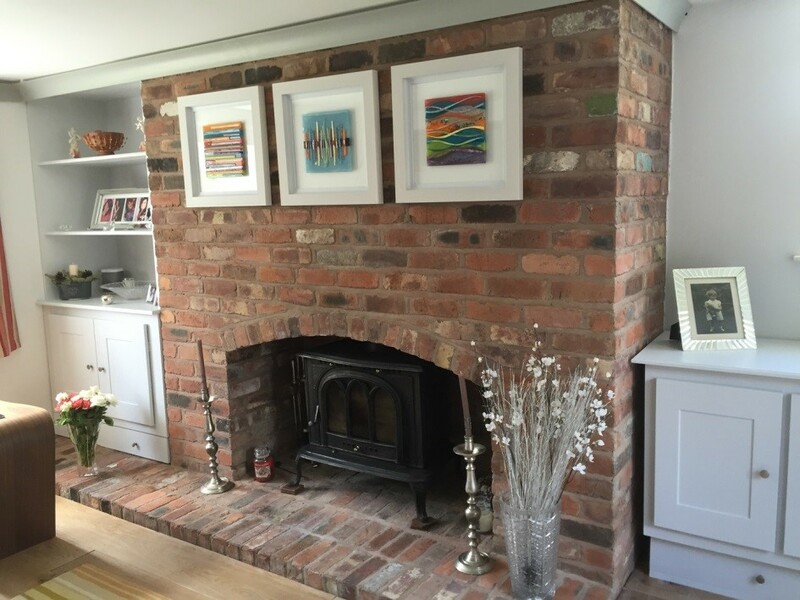 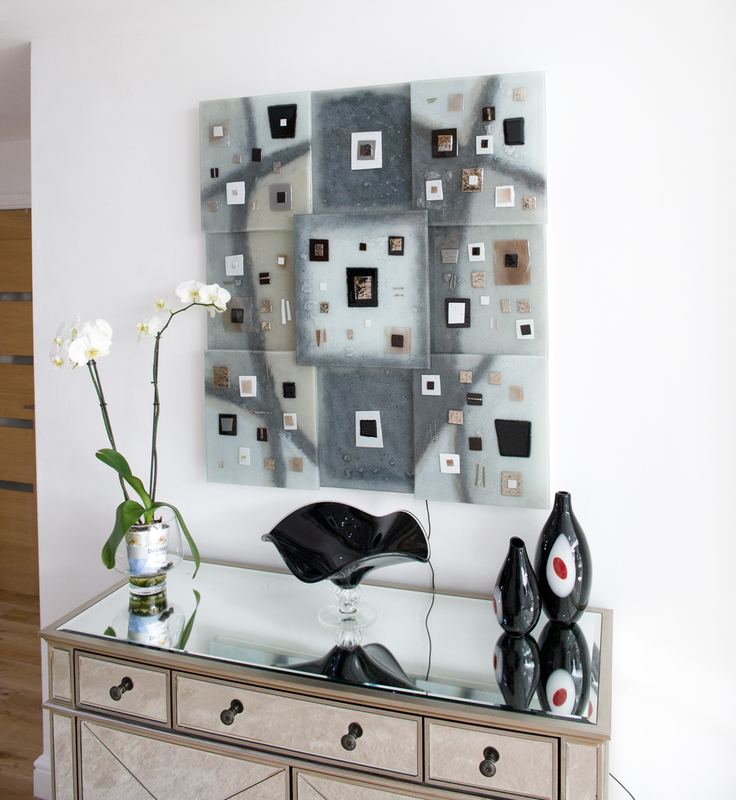 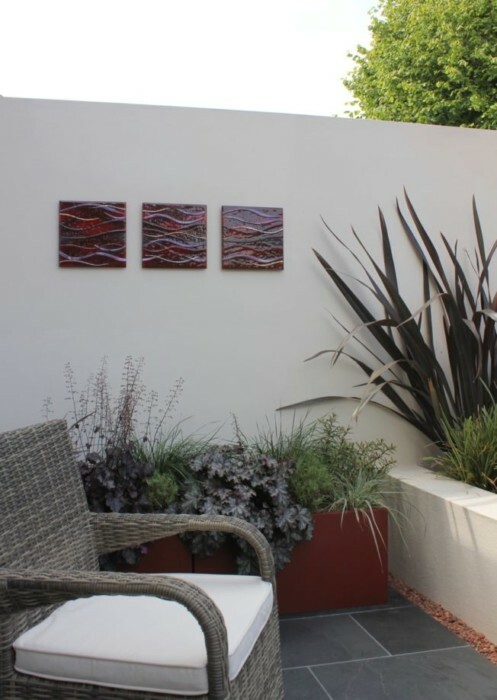 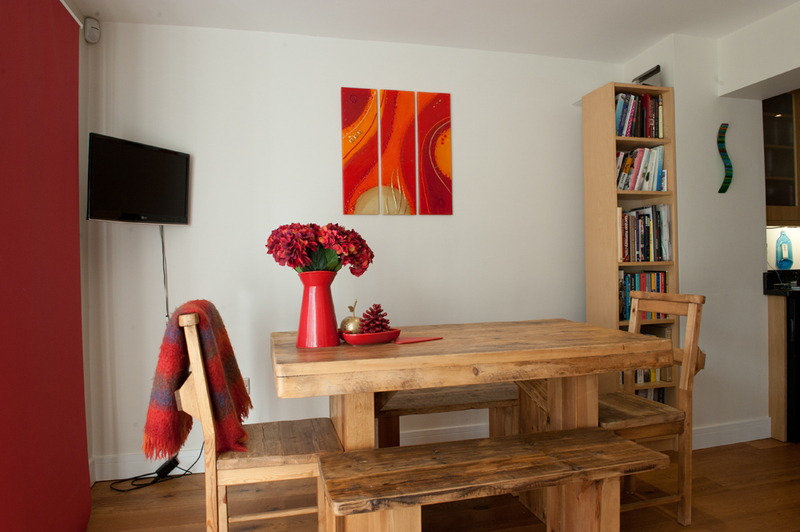 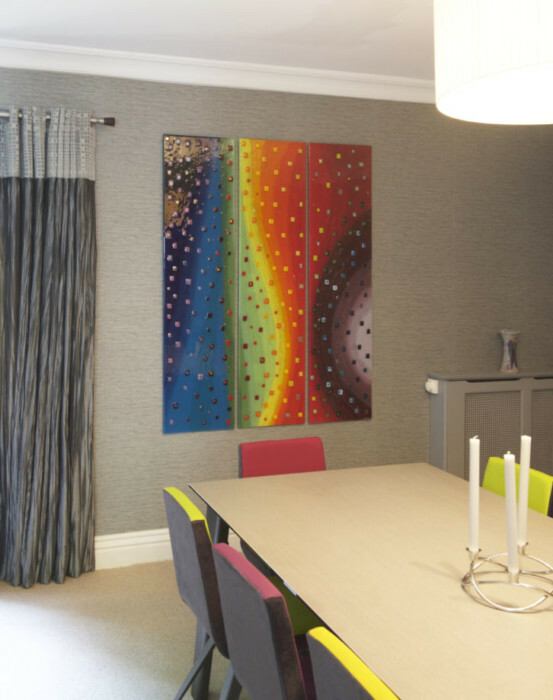 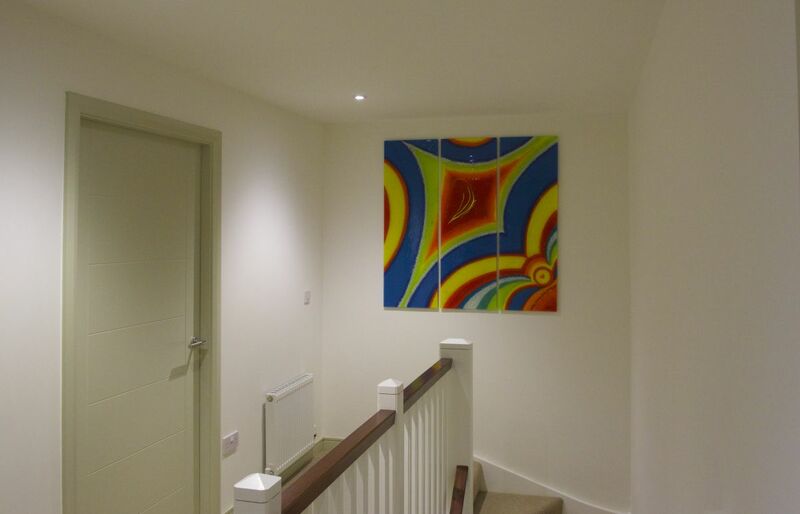 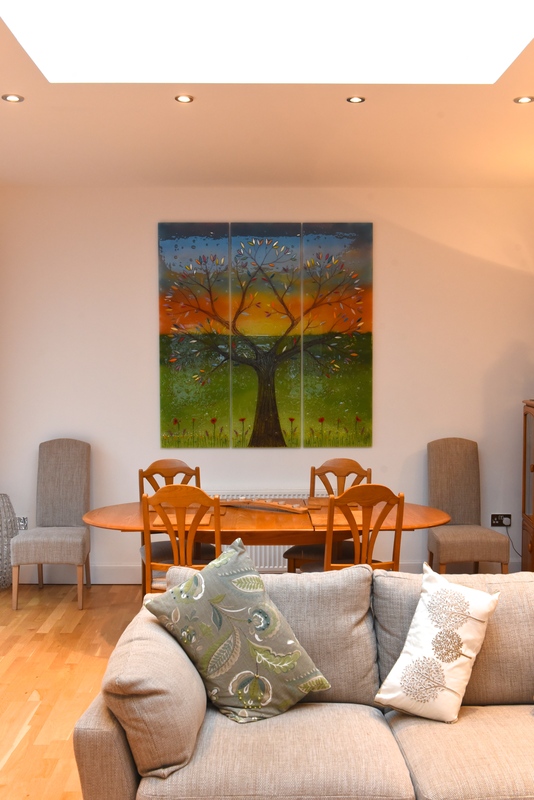 This client came to us looking for some art for their home in Hertford, so naturally, they came to us full of great ideas and a whole variety of inspirations. 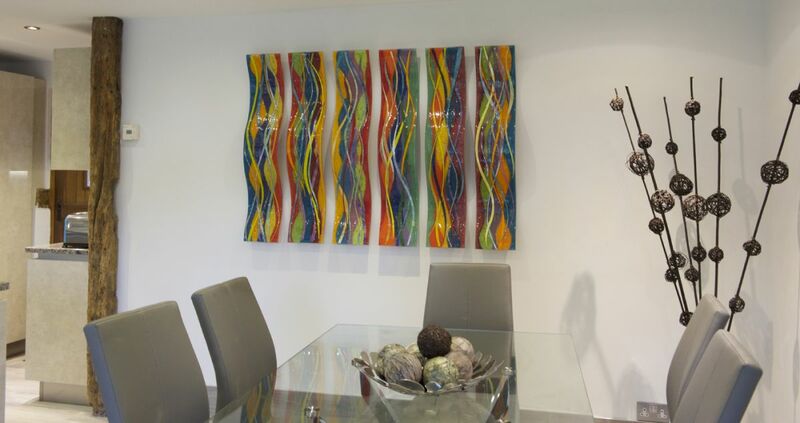 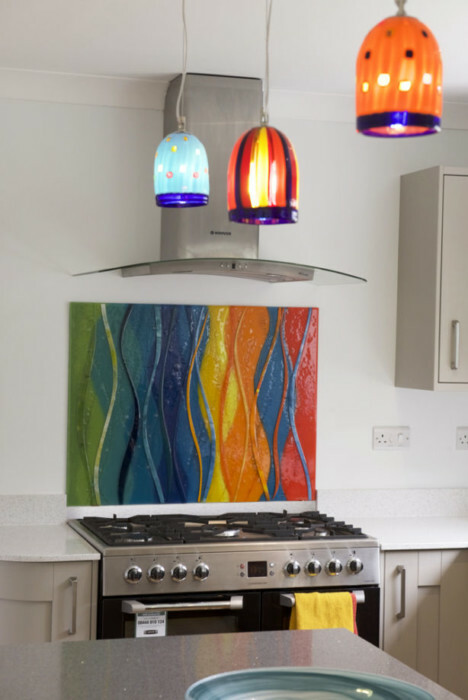 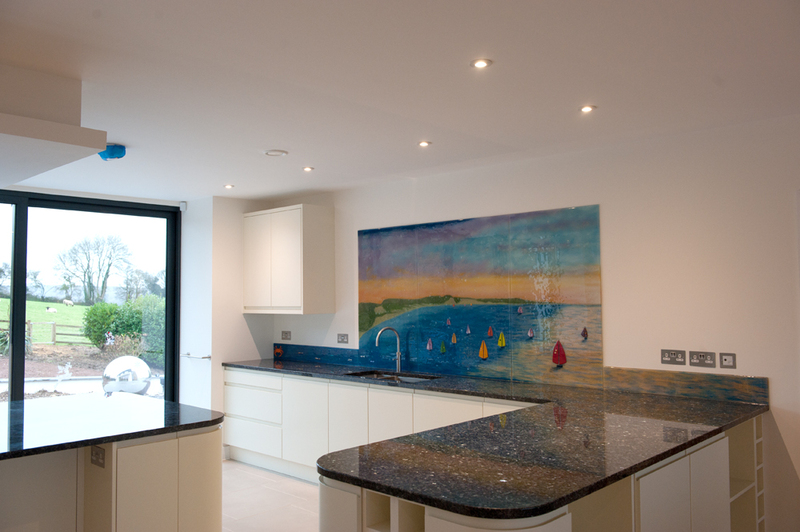 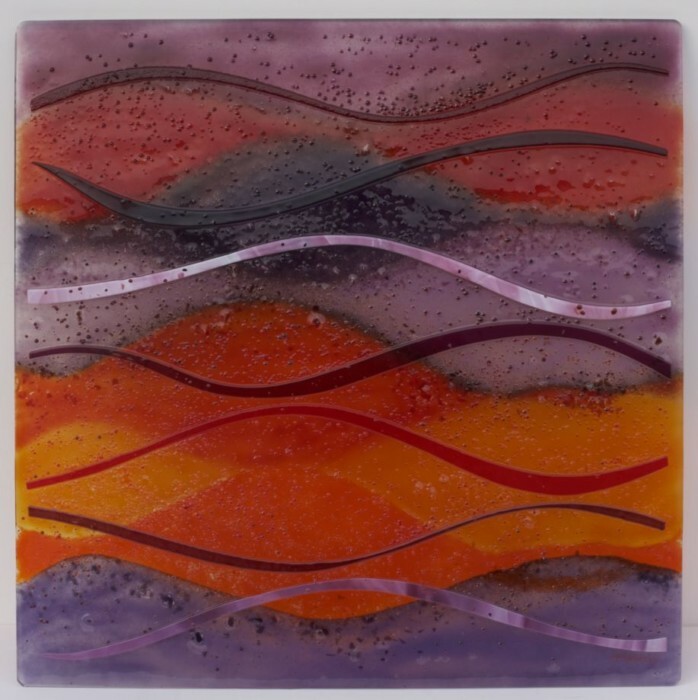 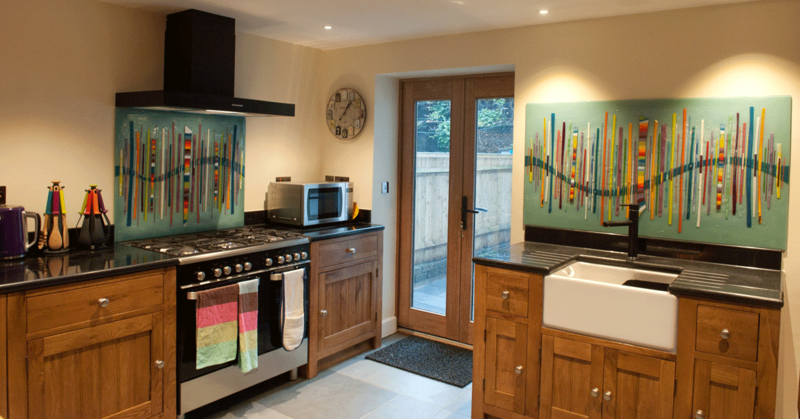 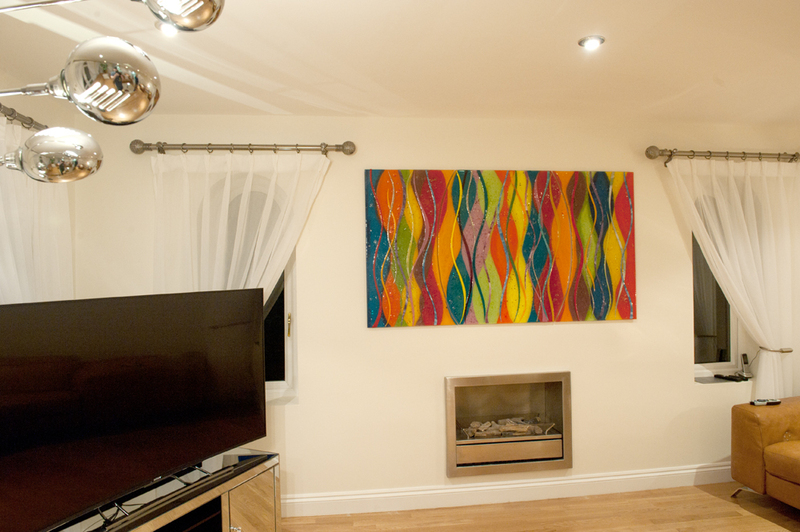 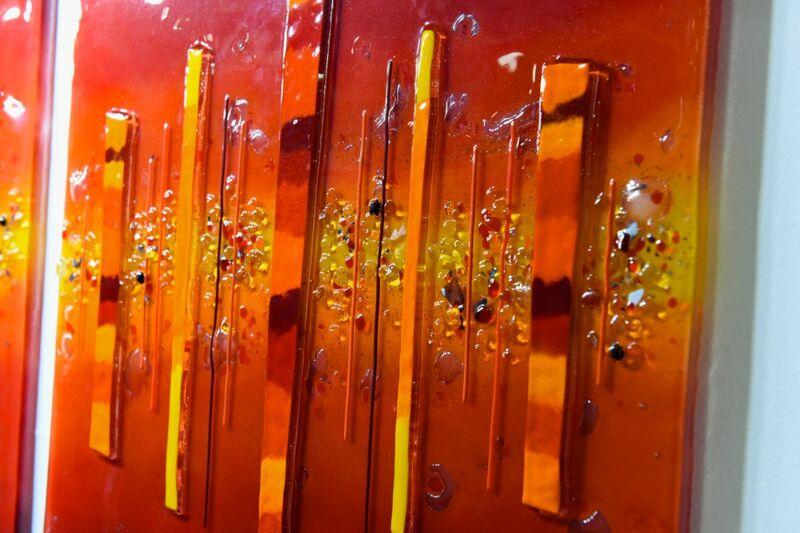 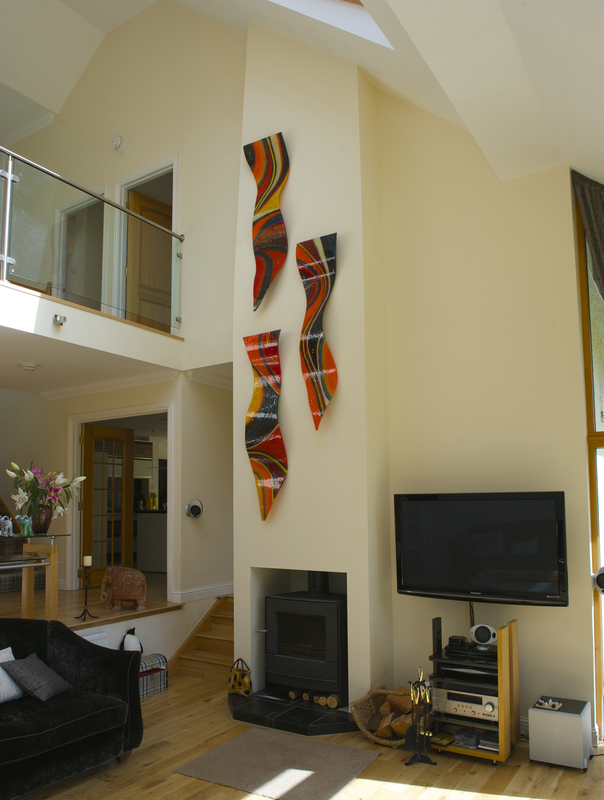 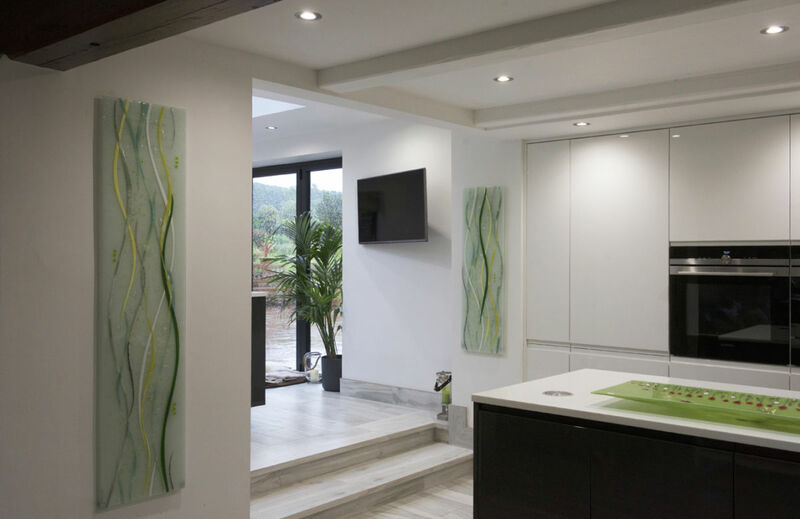 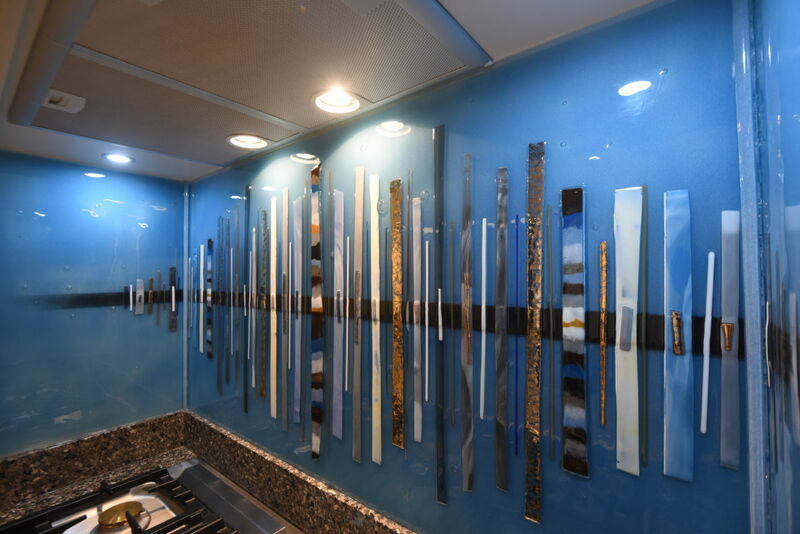 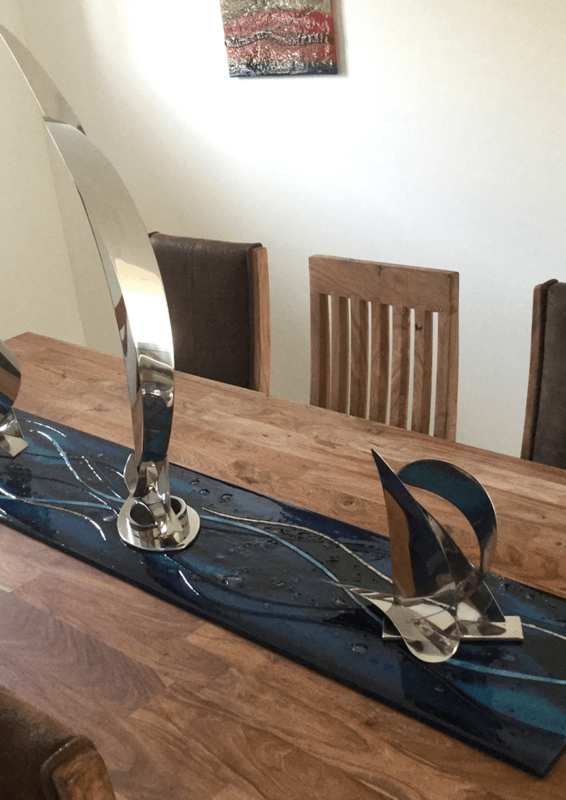 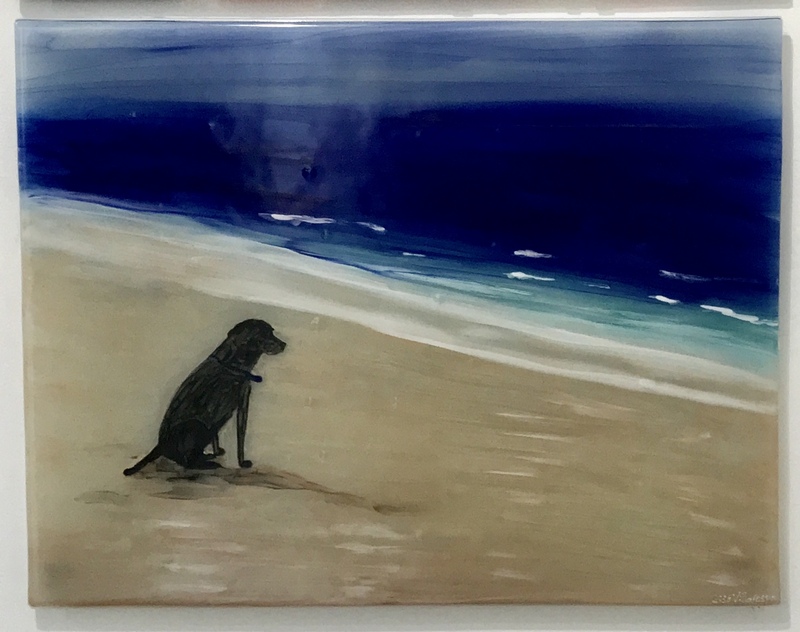 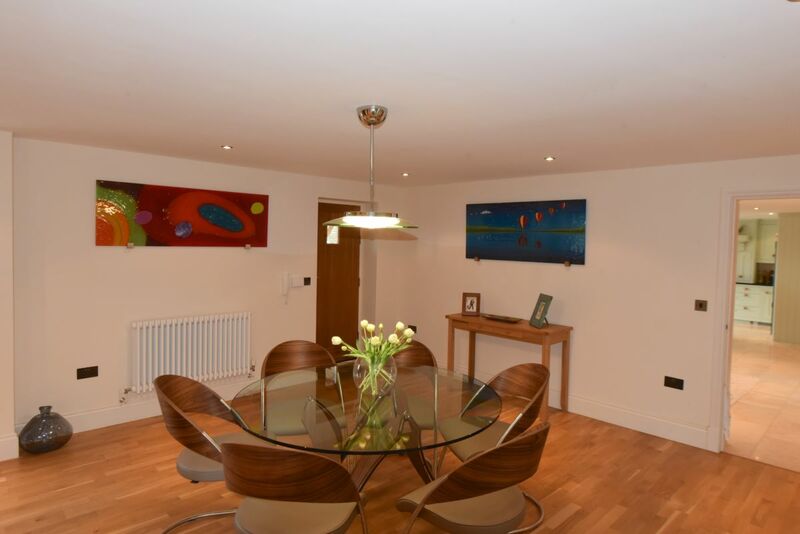 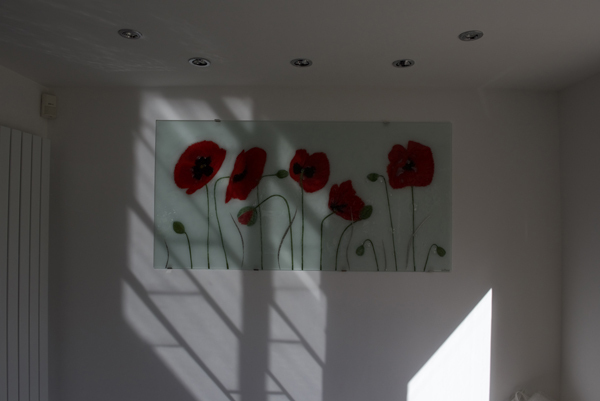 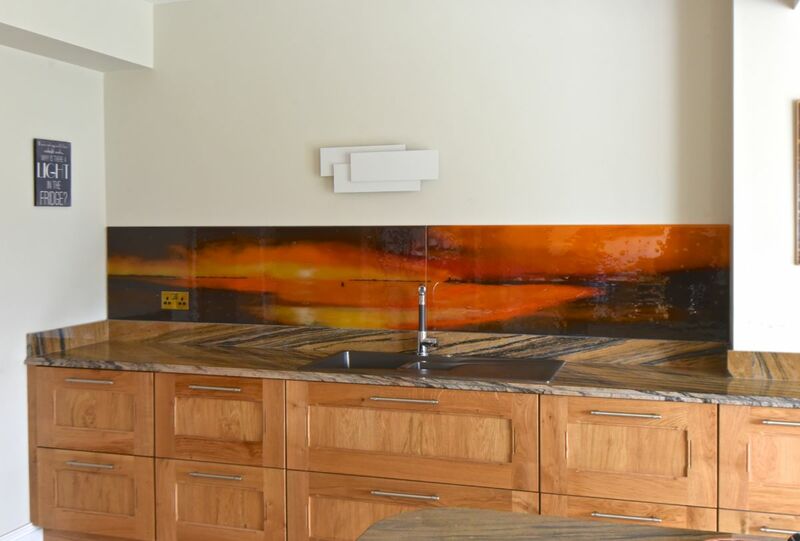 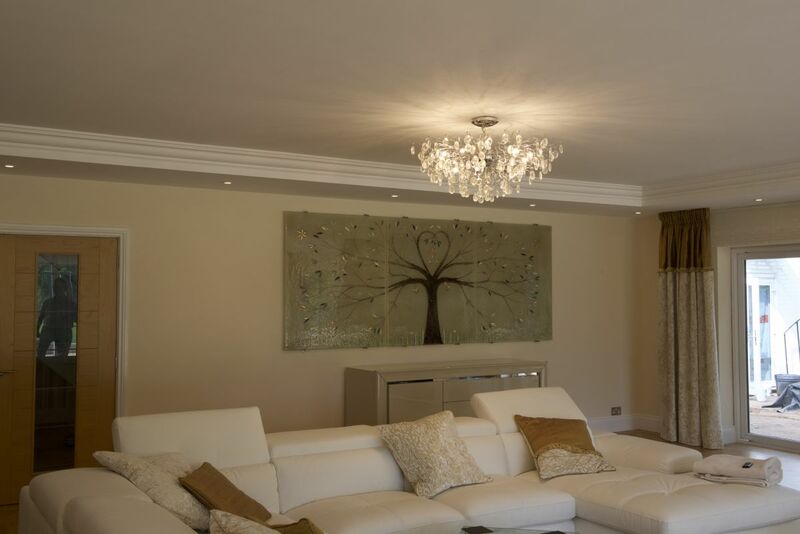 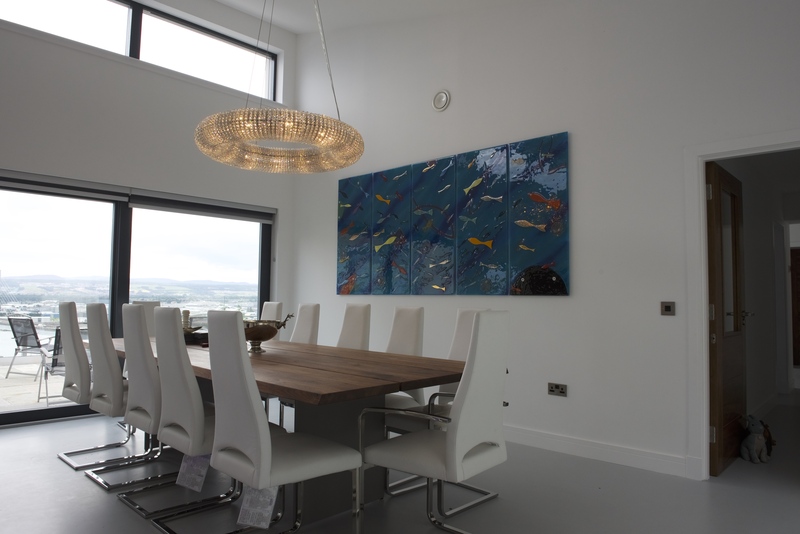 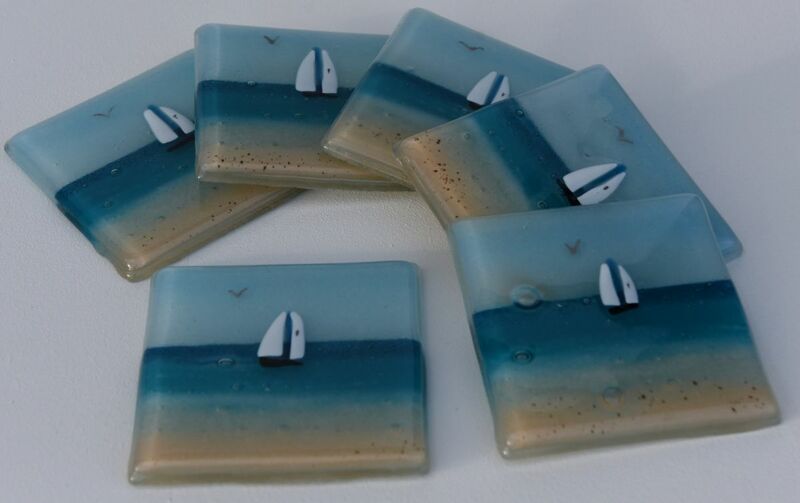 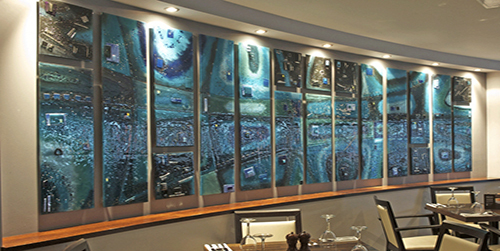 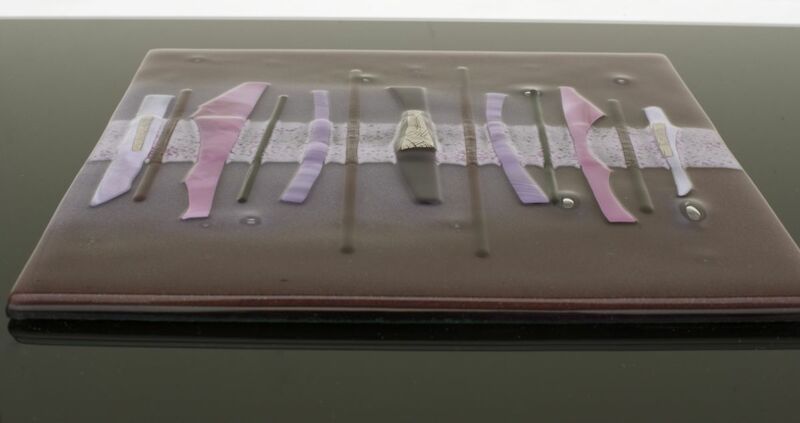 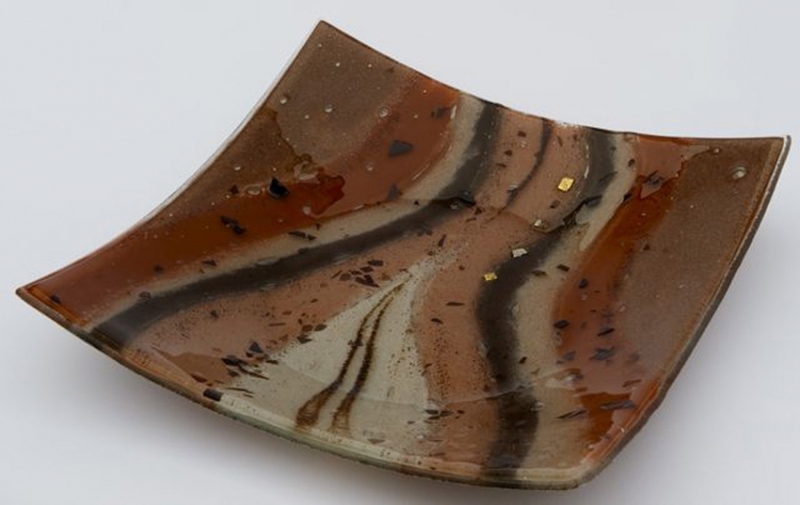 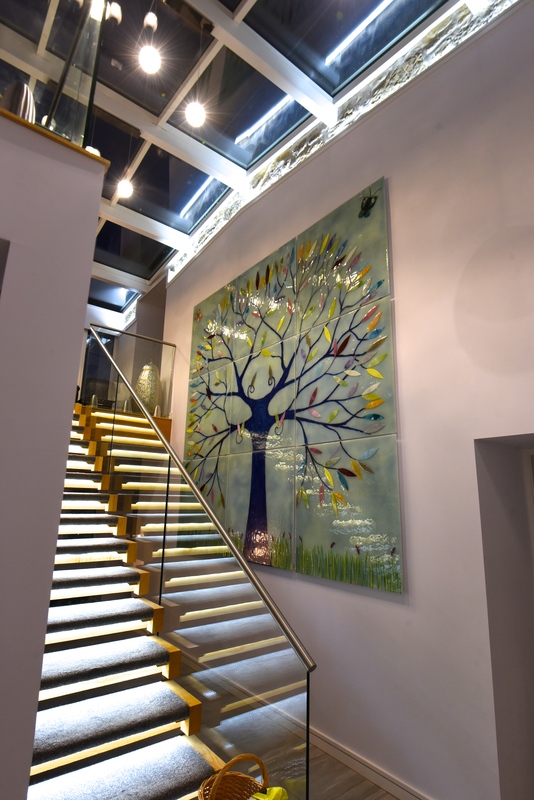 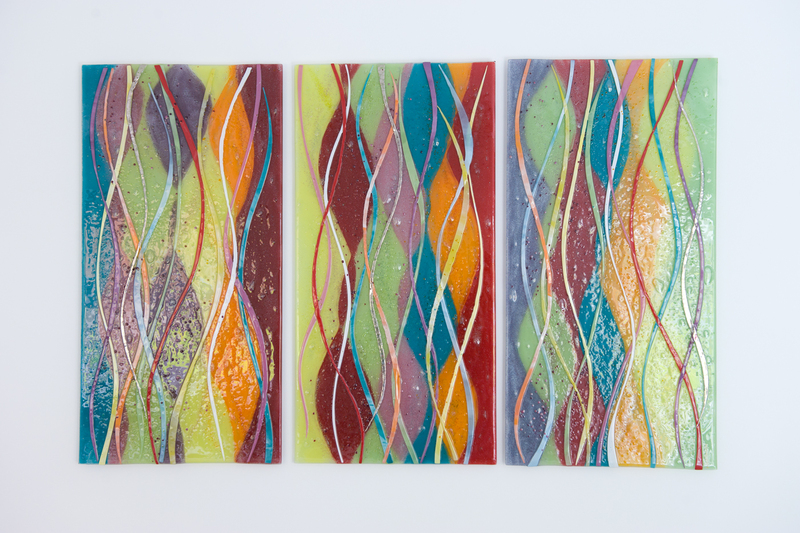 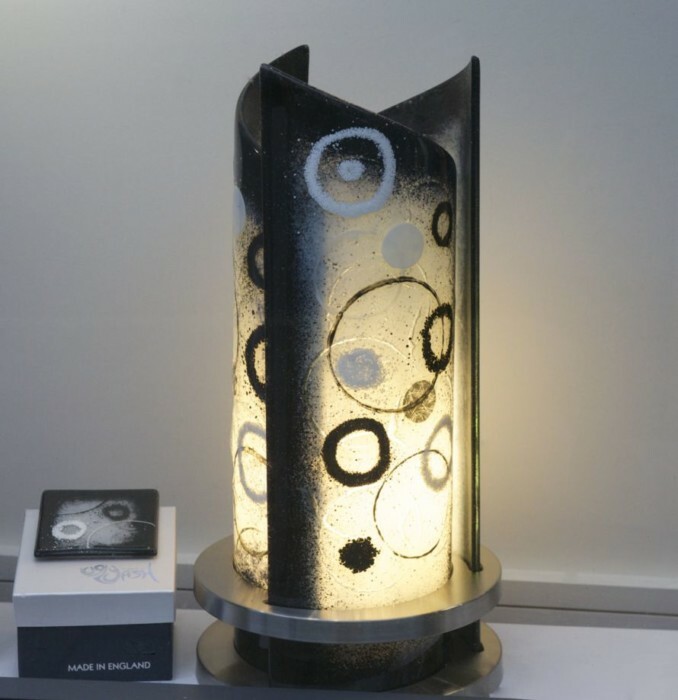 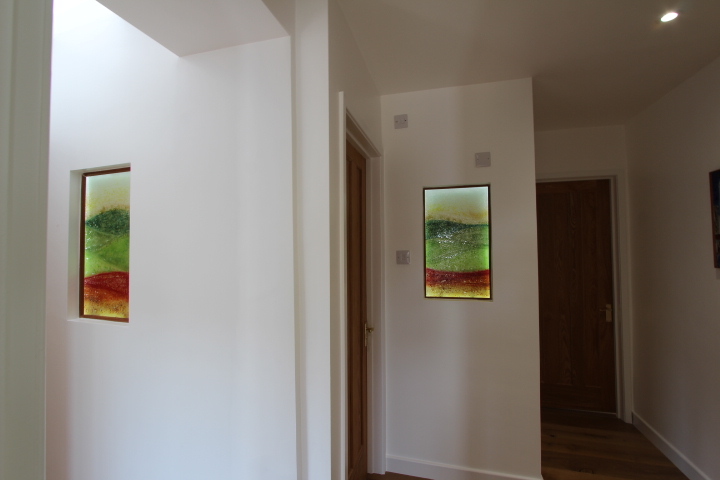 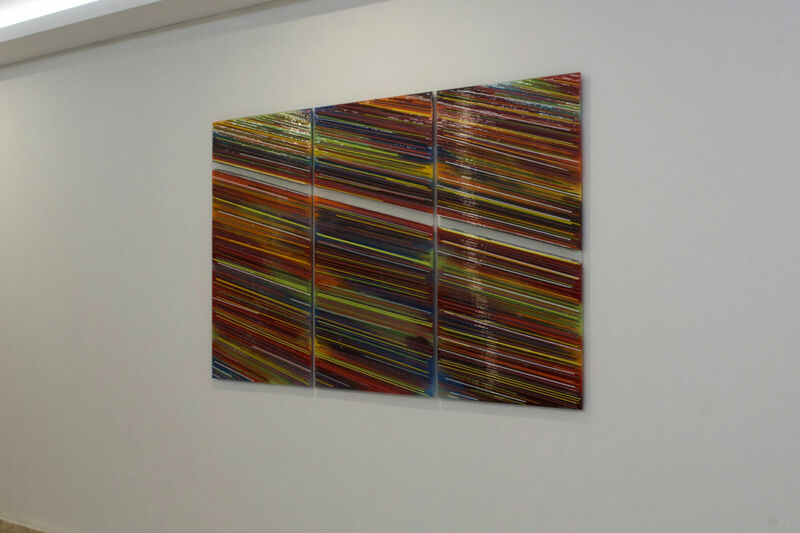 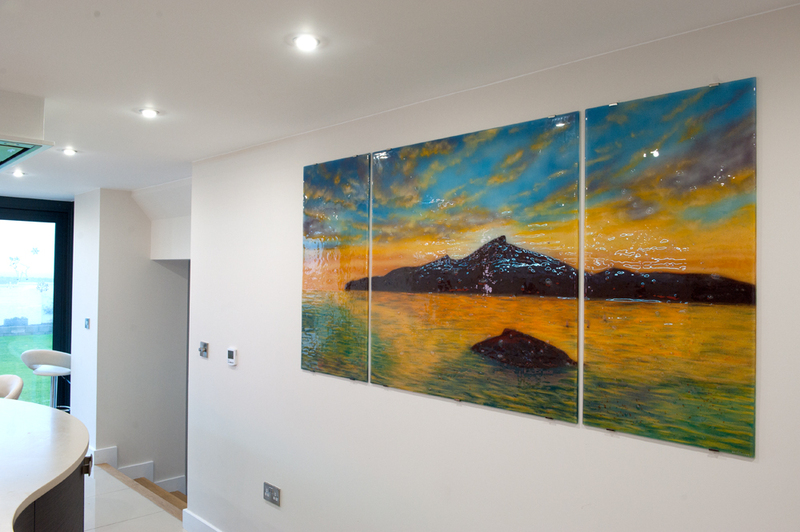 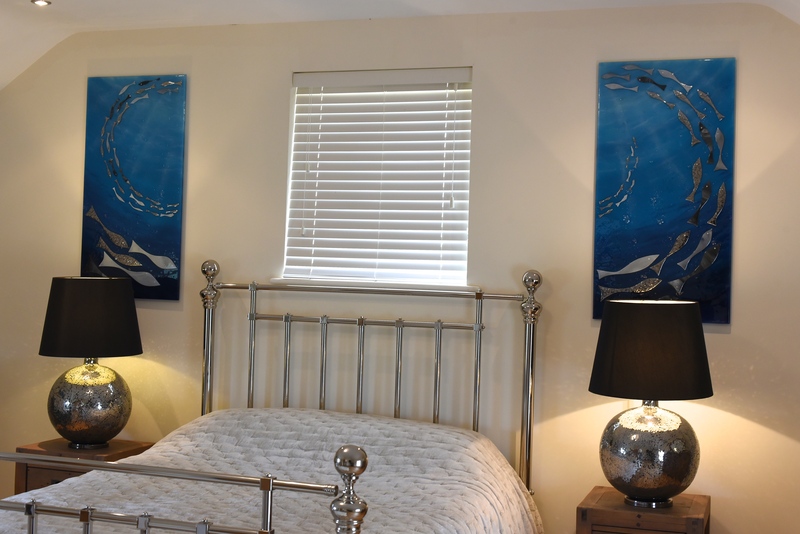 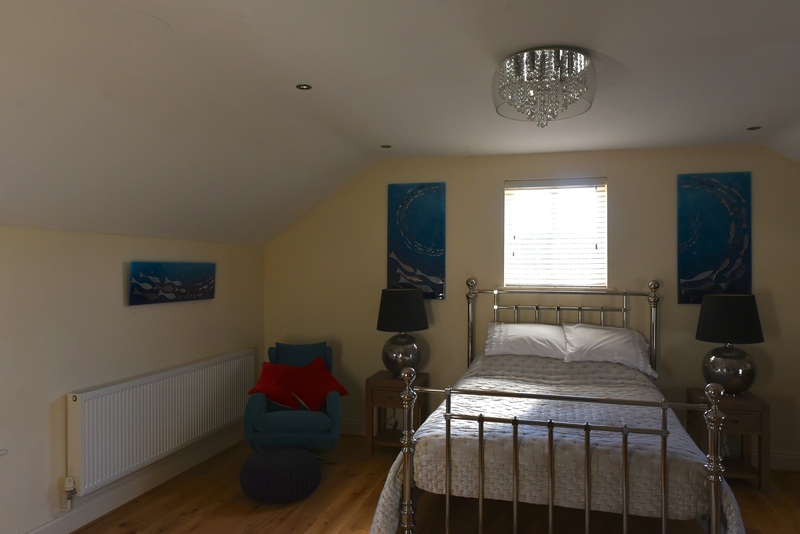 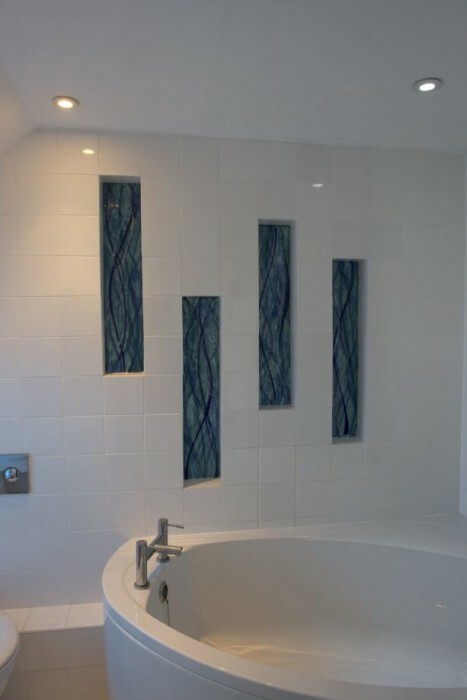 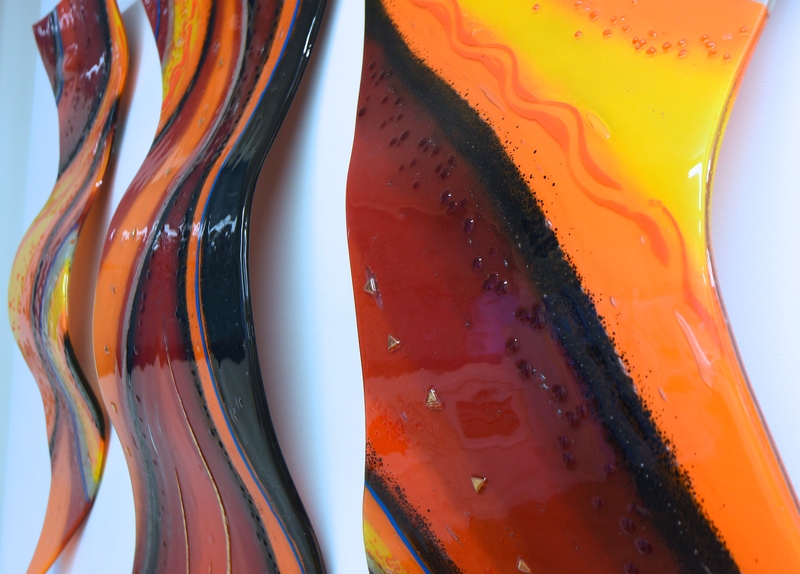 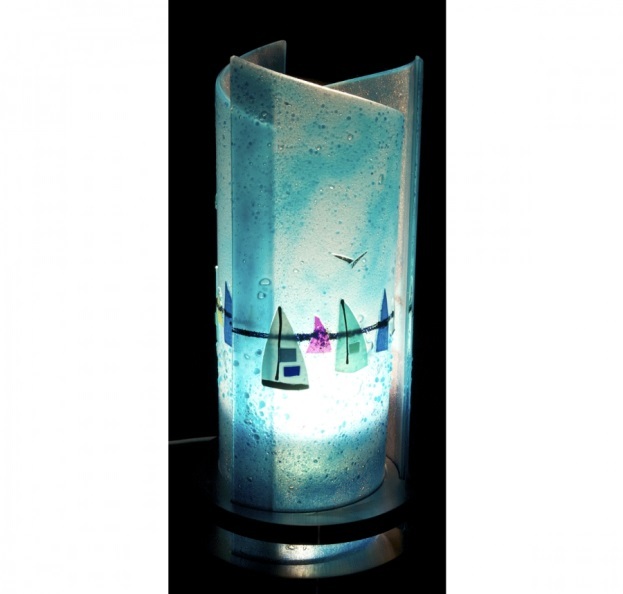 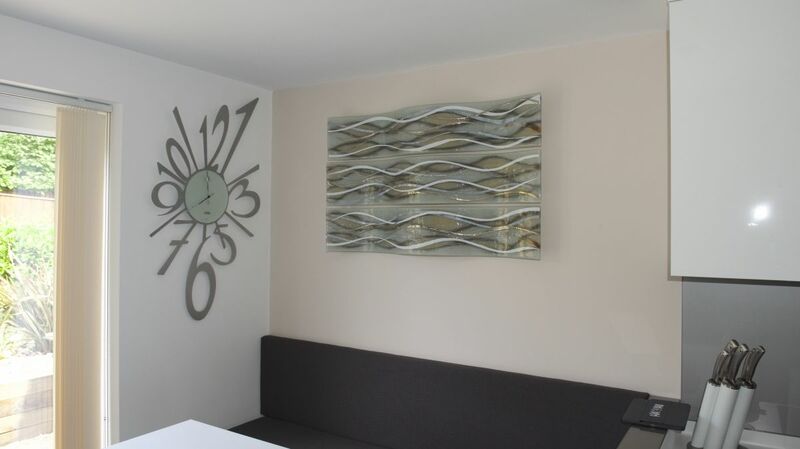 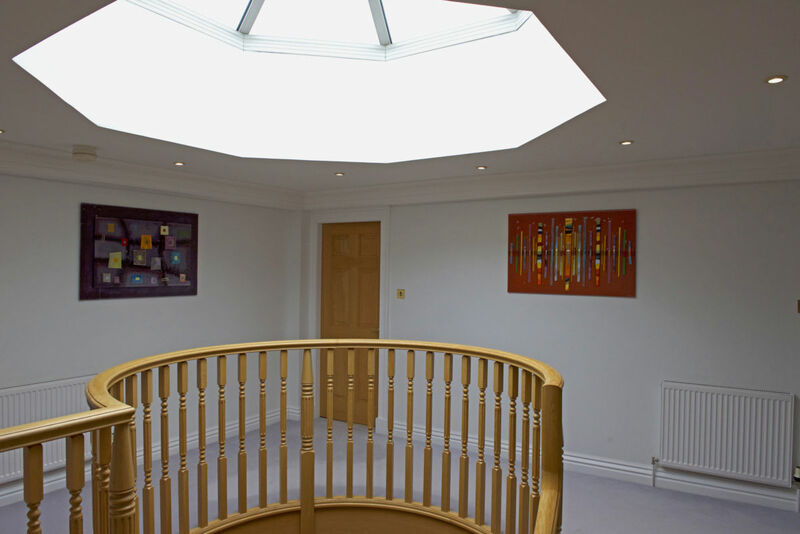 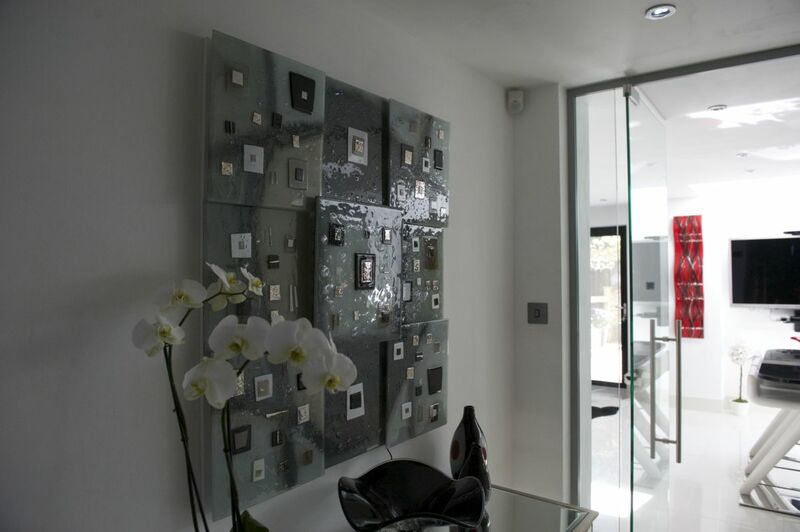 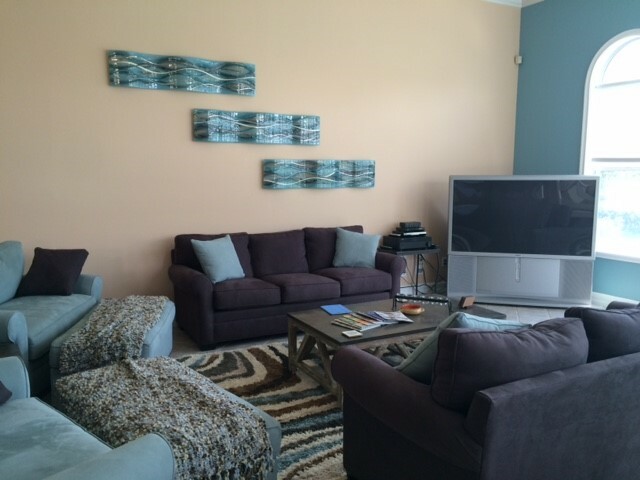 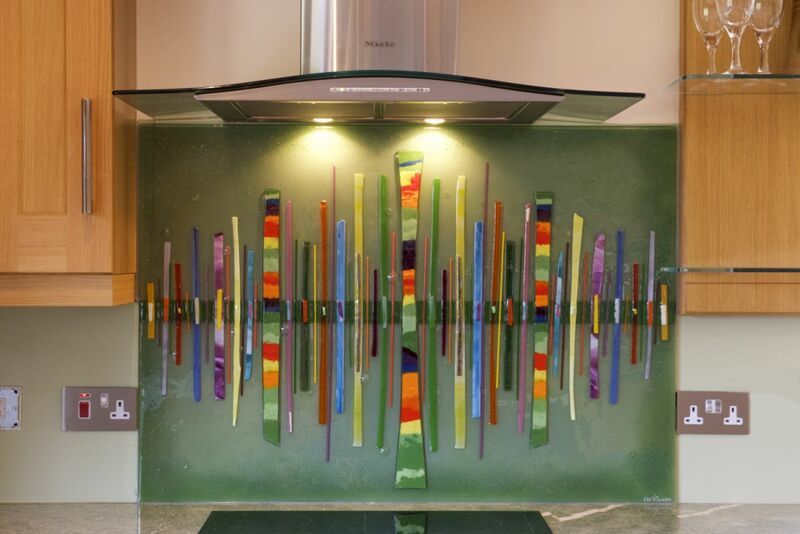 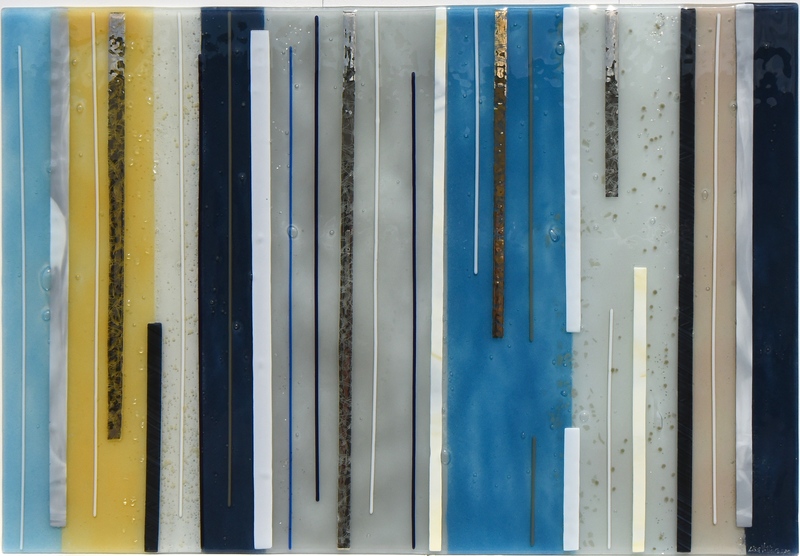 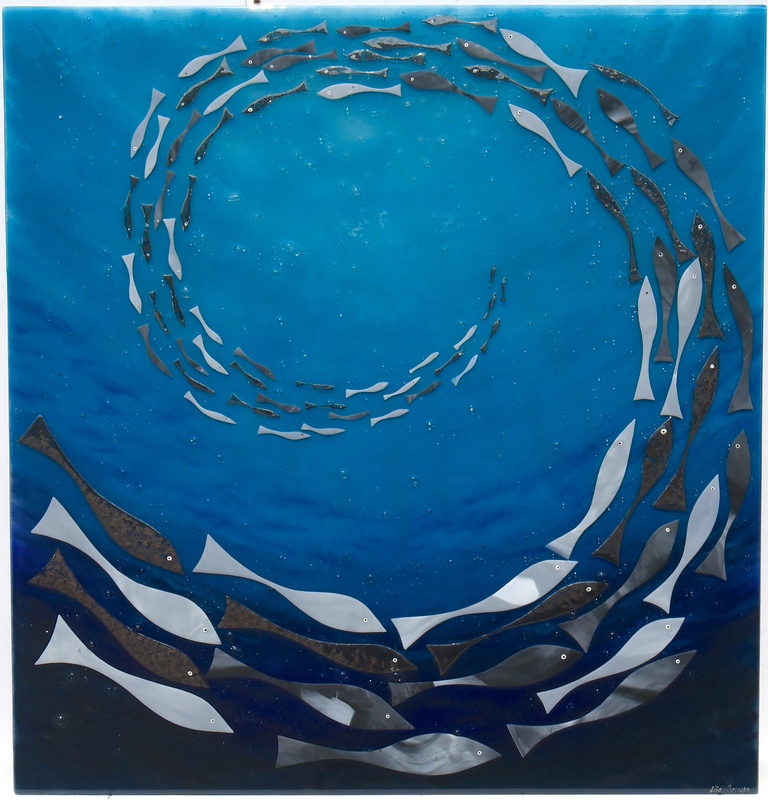 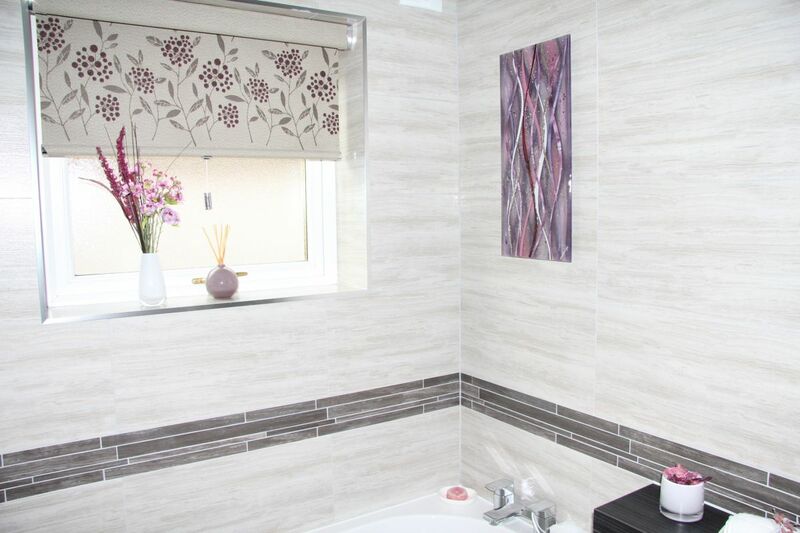 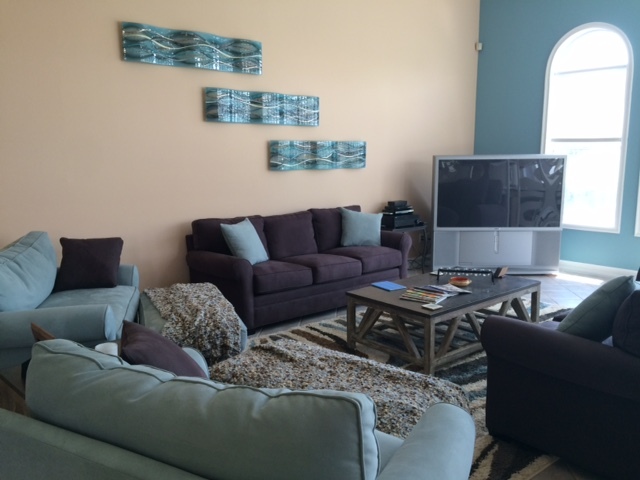 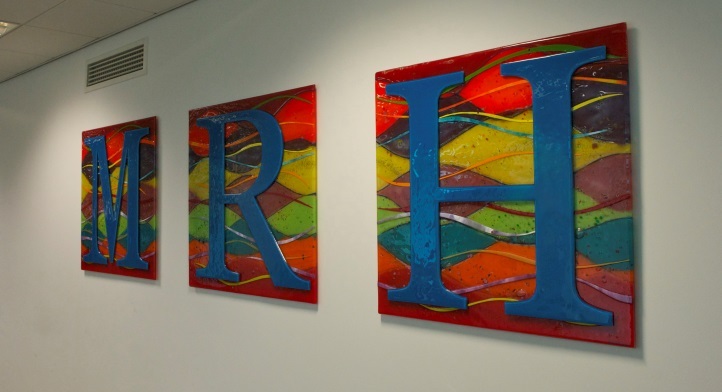 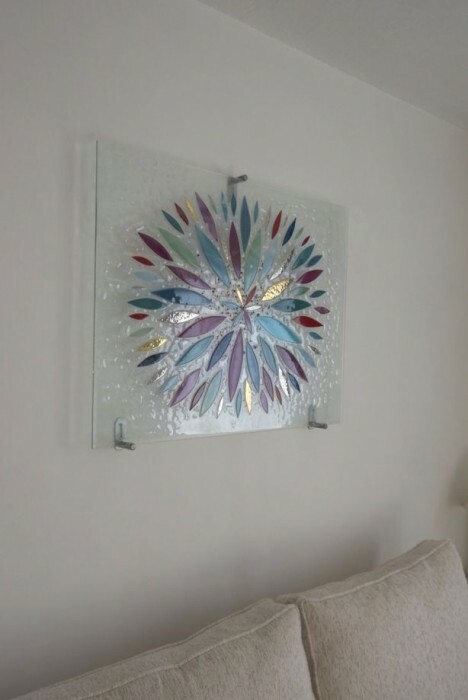 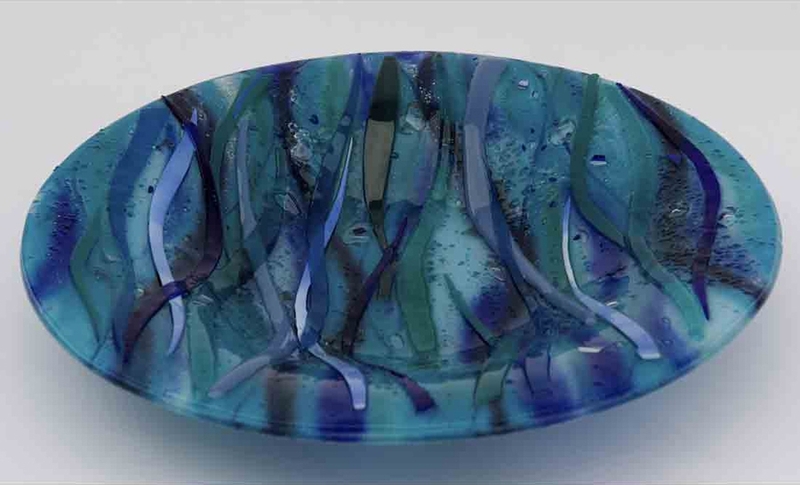 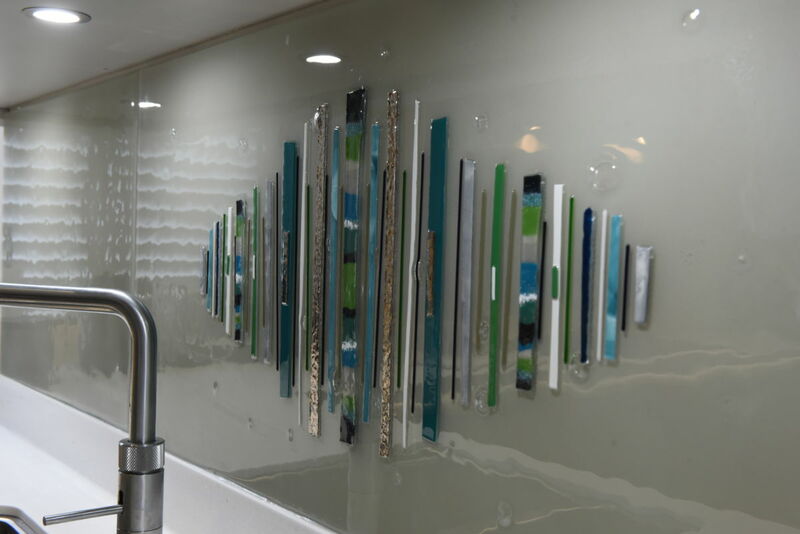 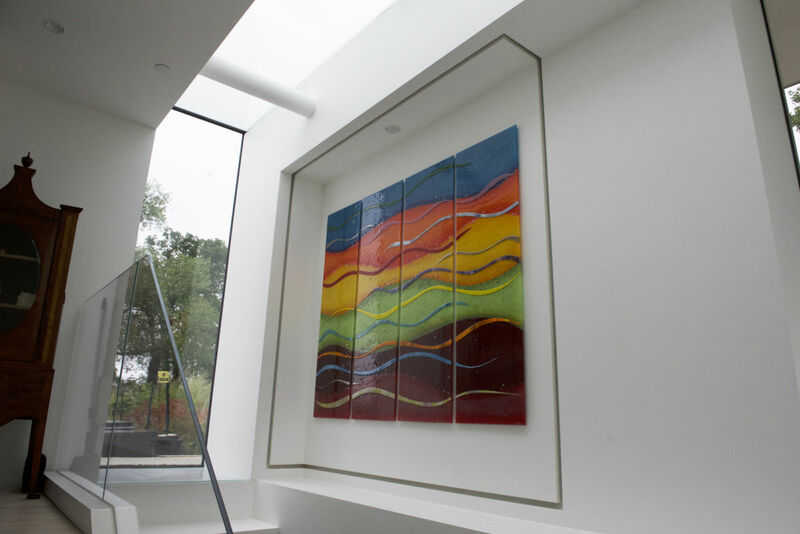 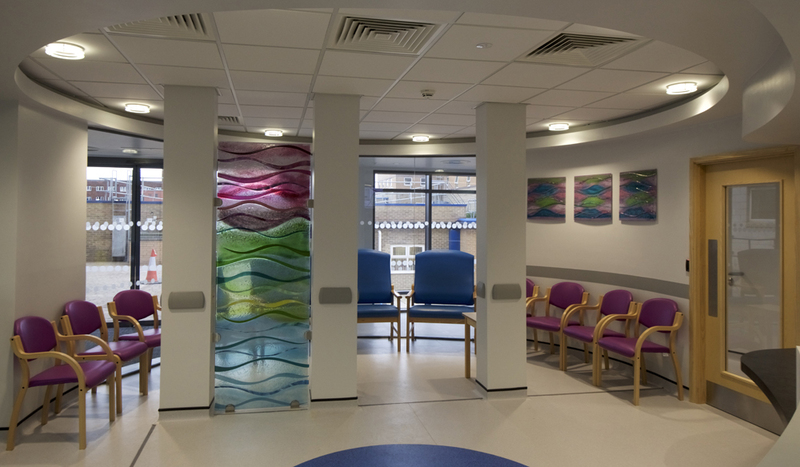 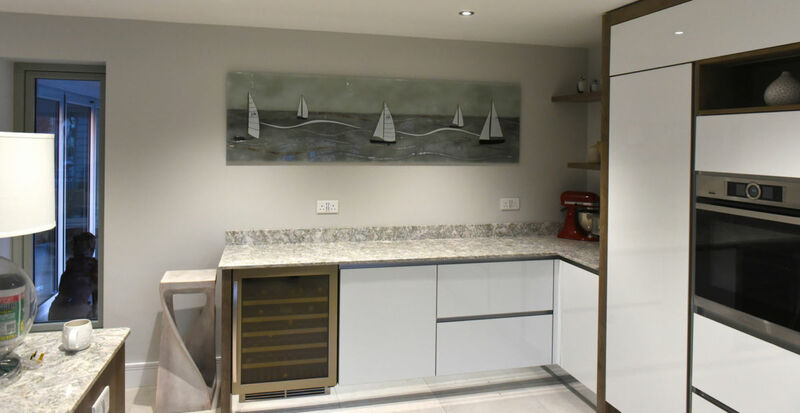 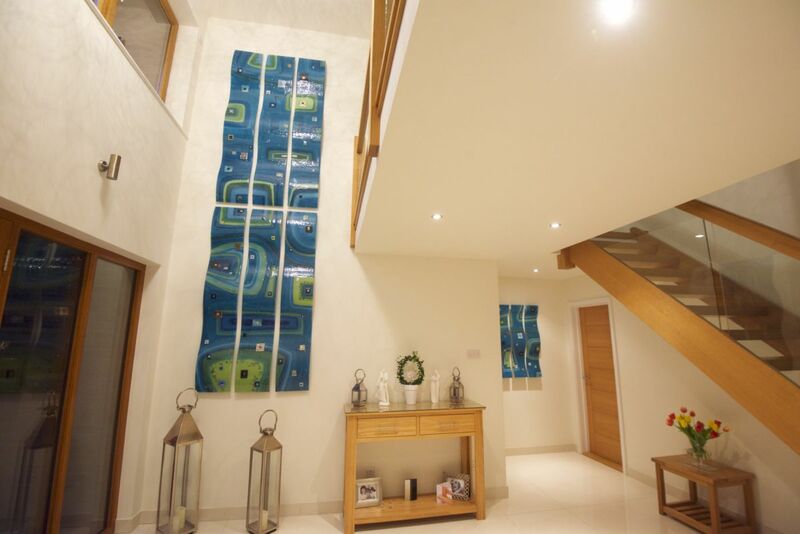 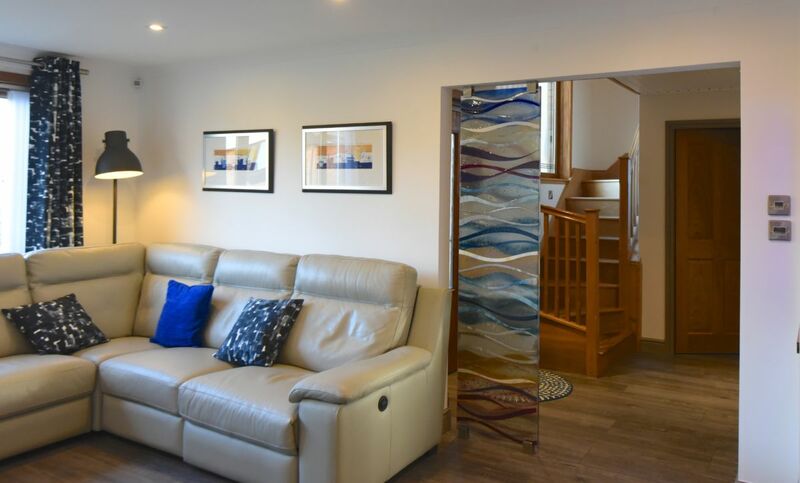 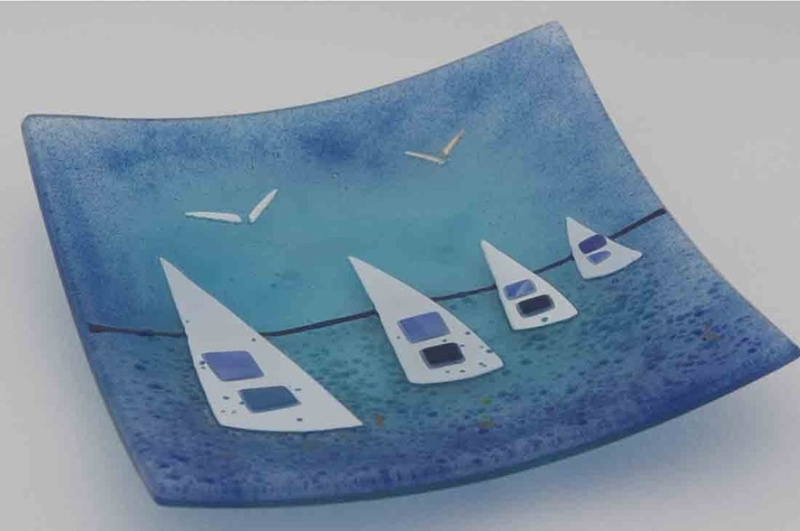 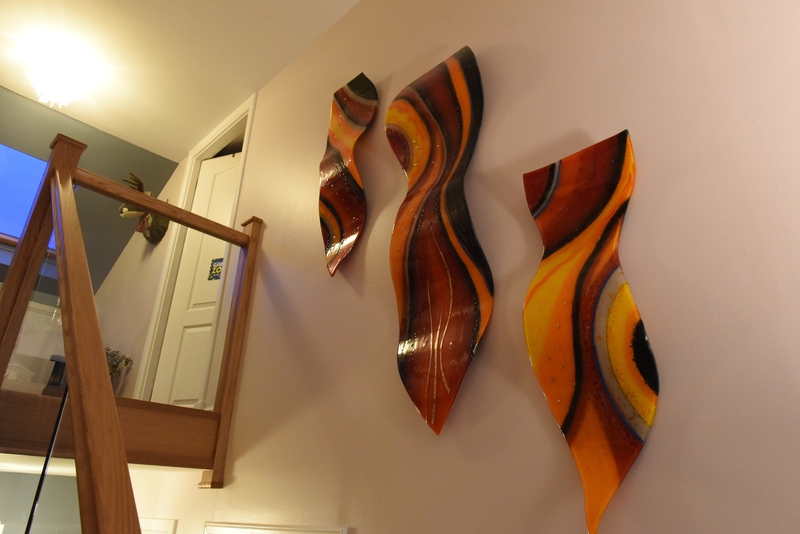 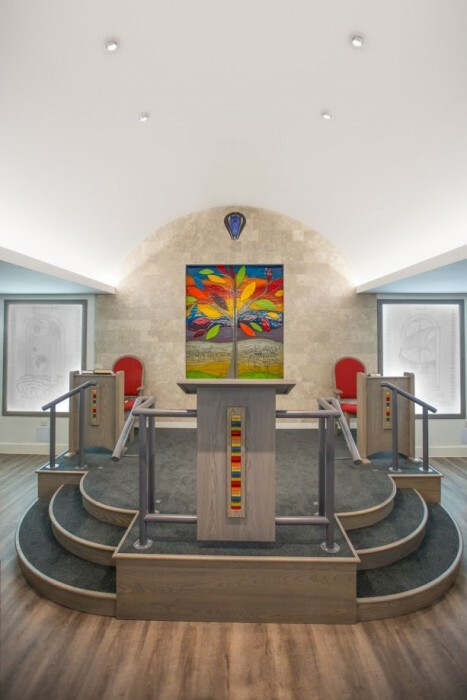 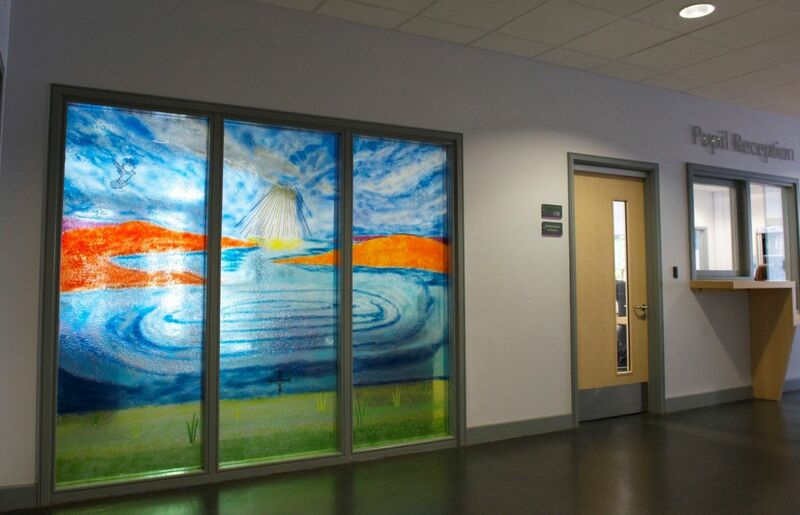 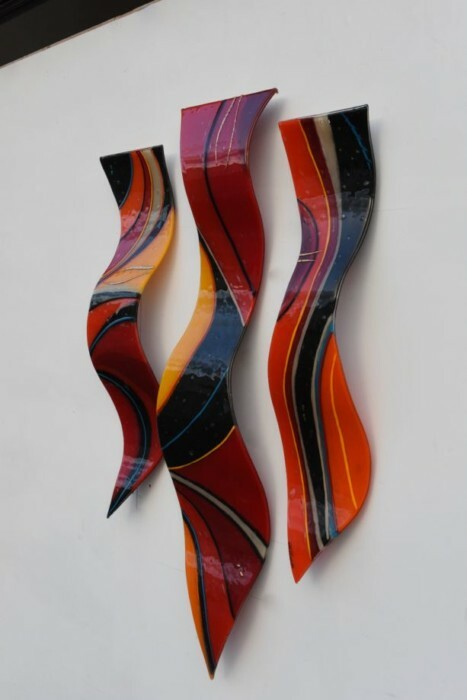 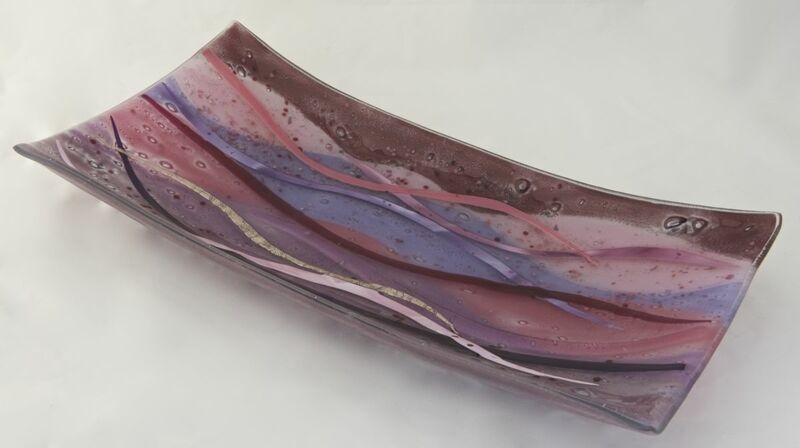 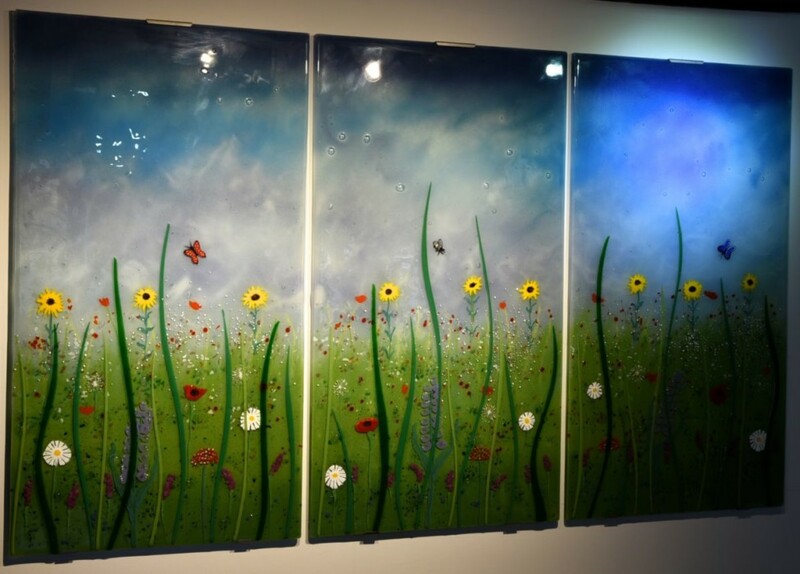 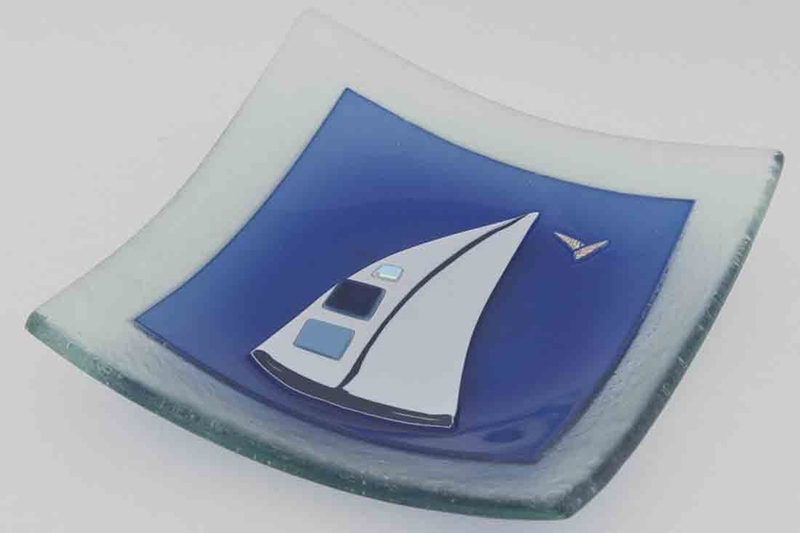 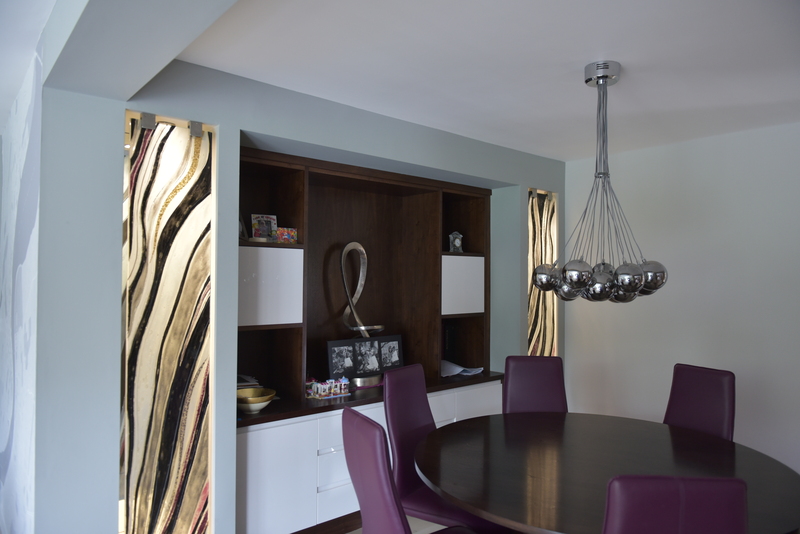 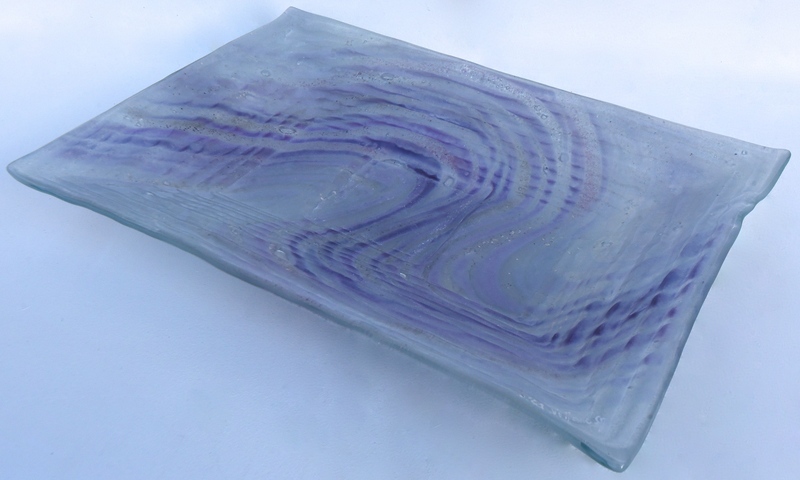 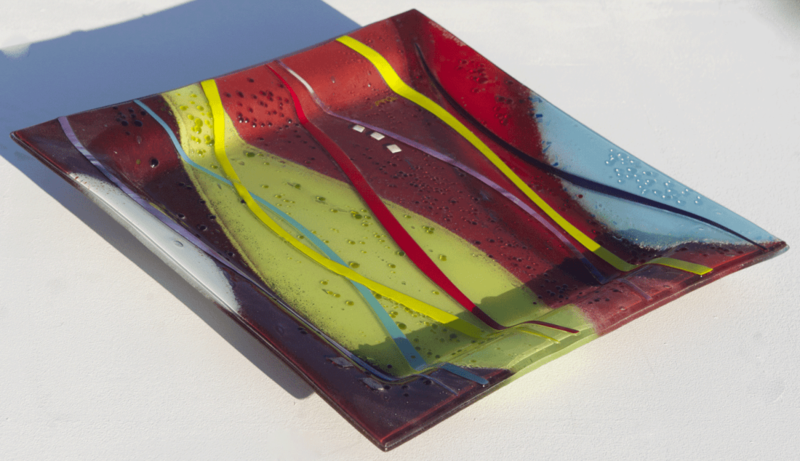 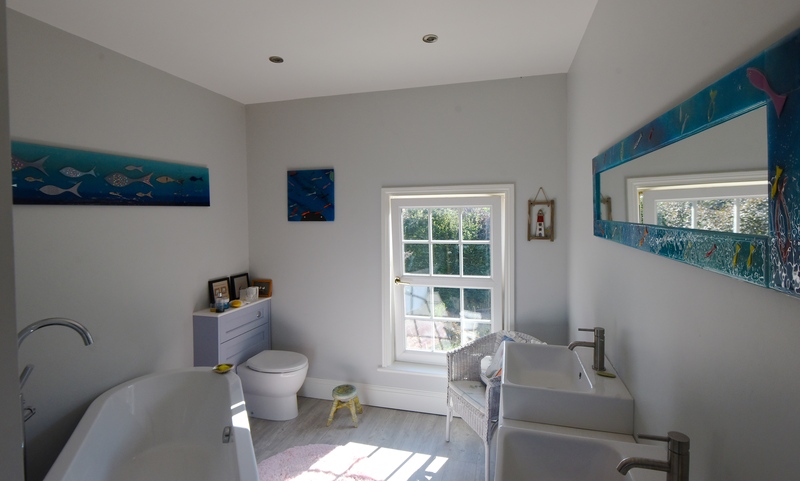 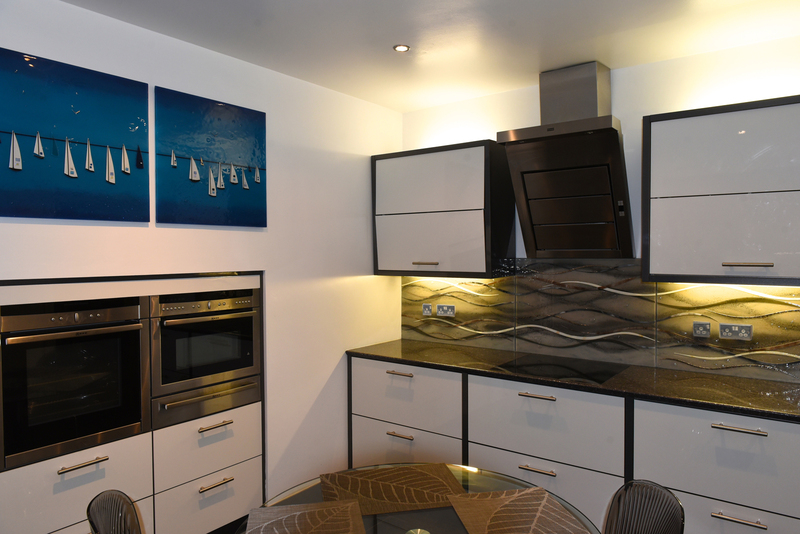 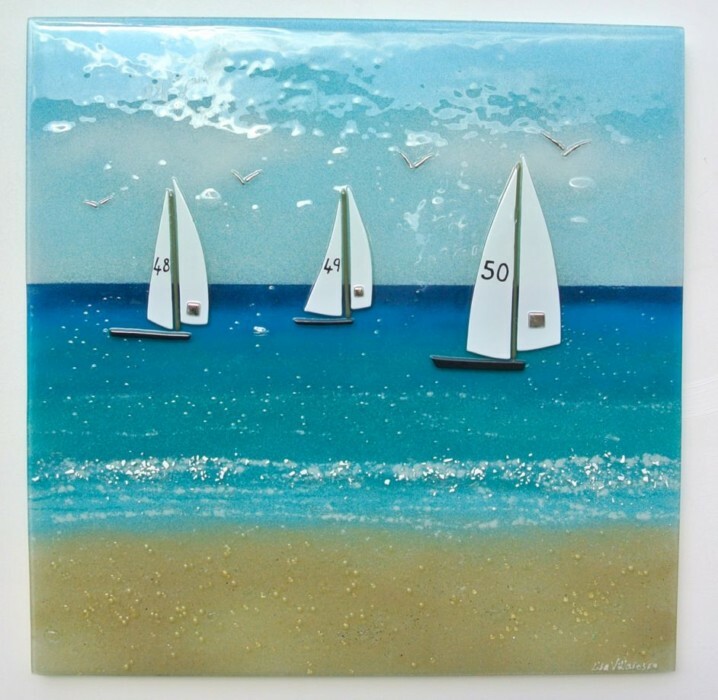 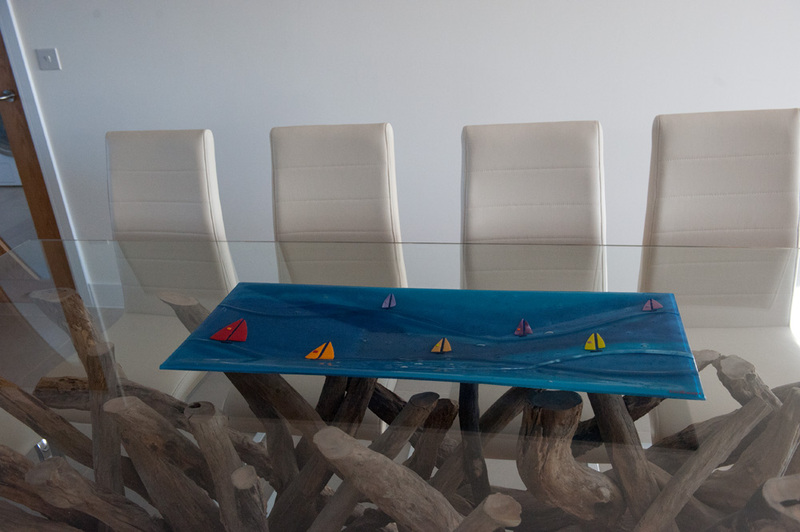 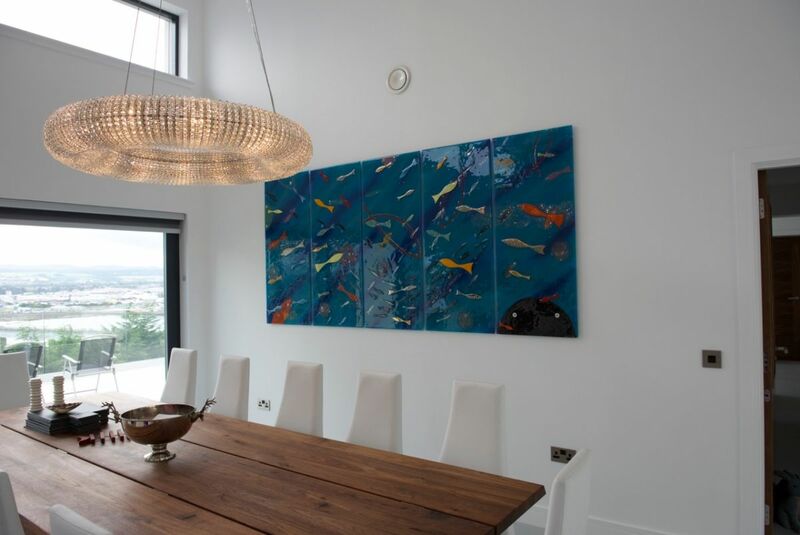 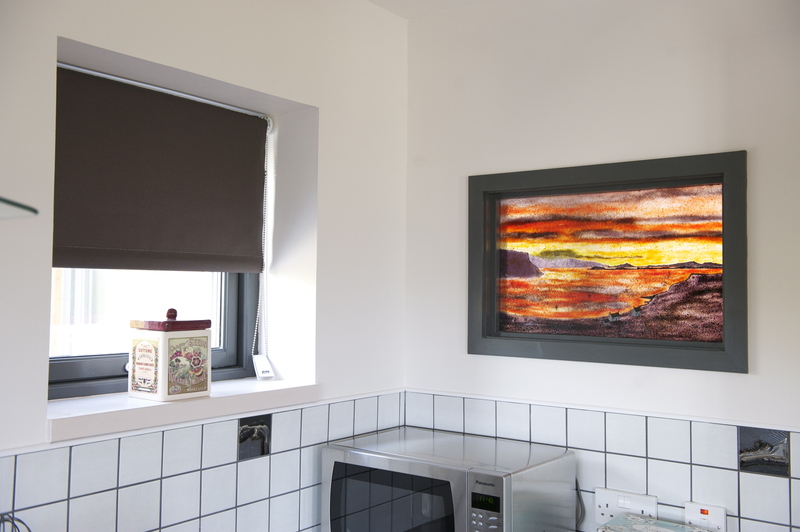 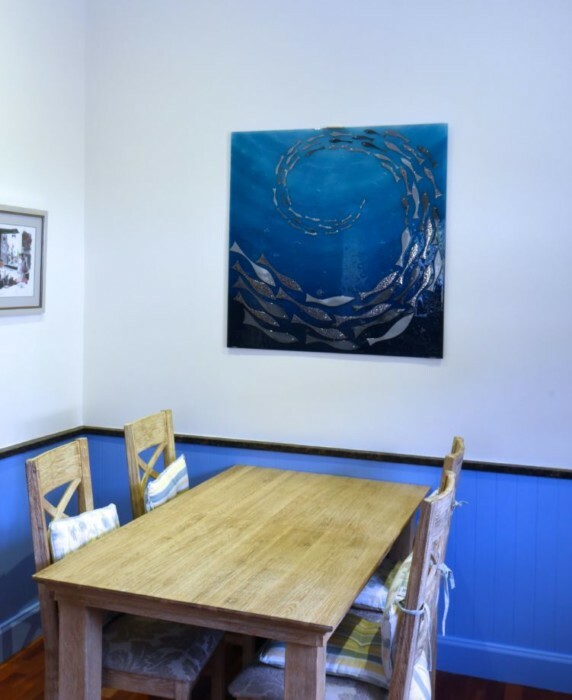 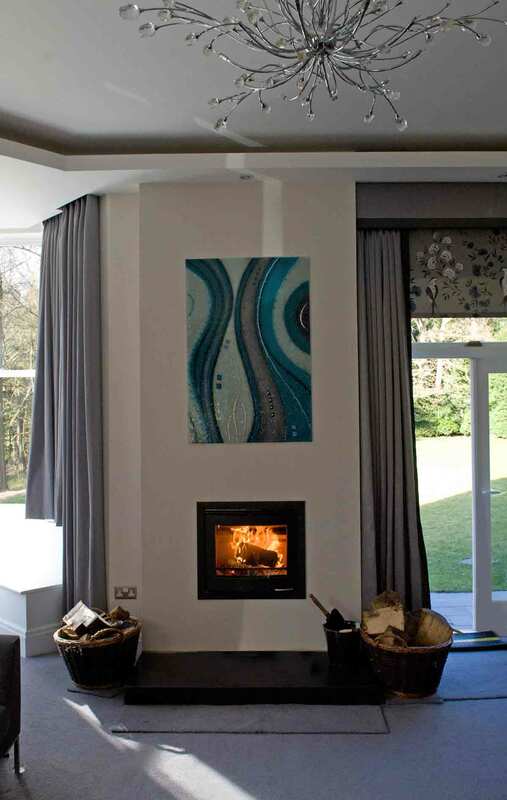 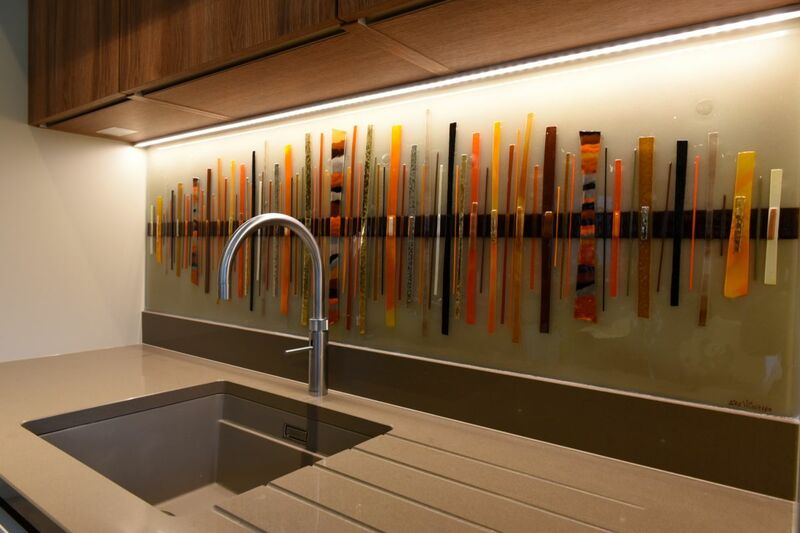 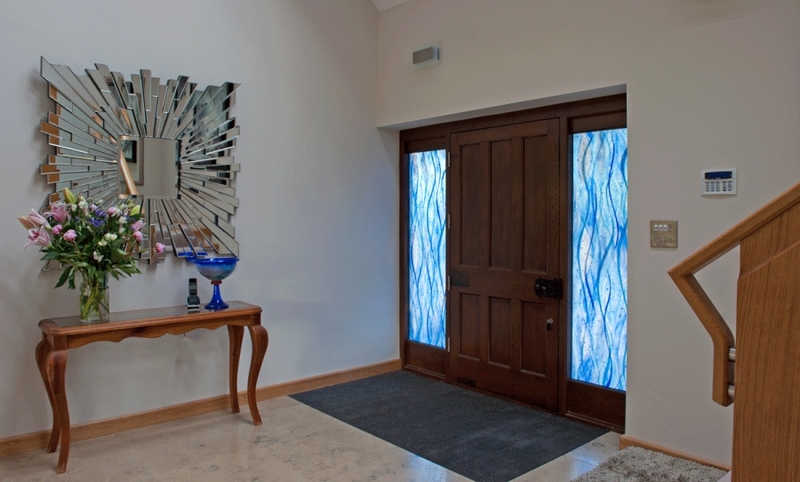 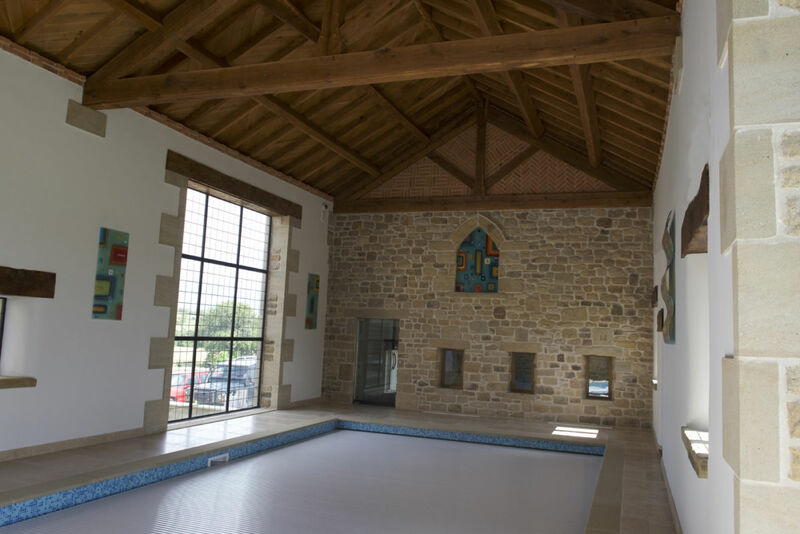 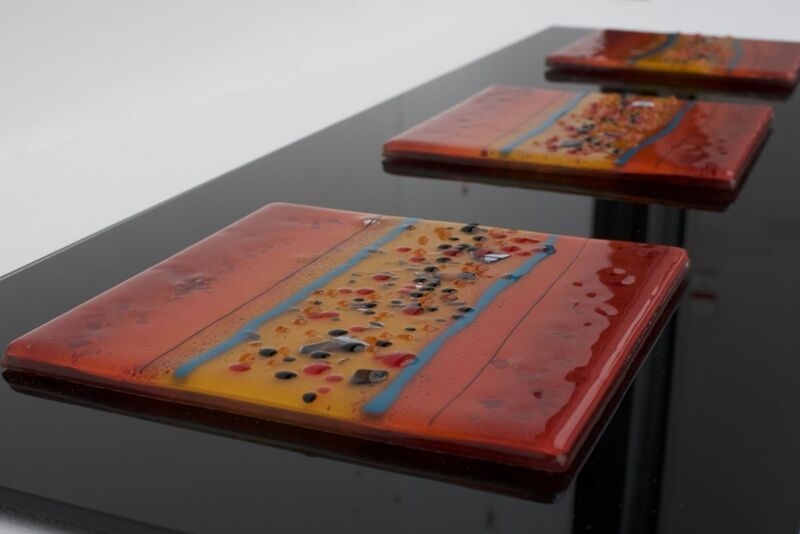 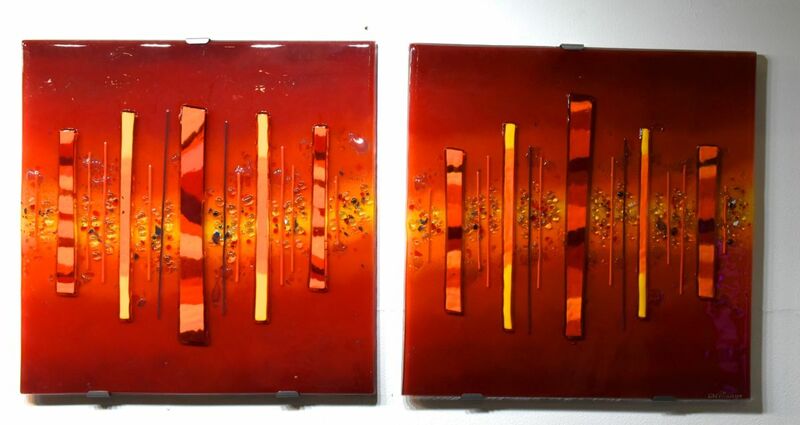 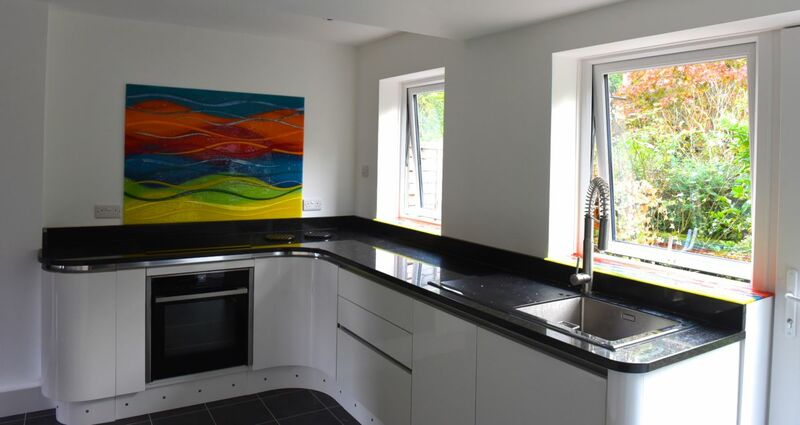 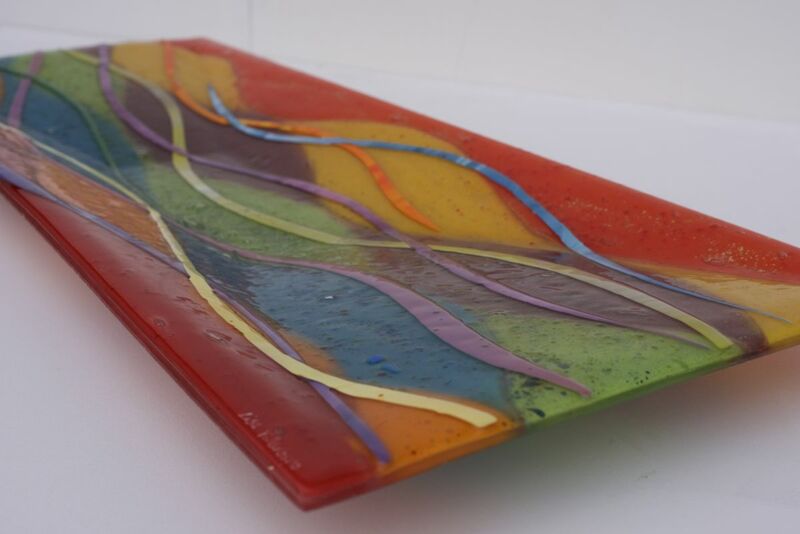 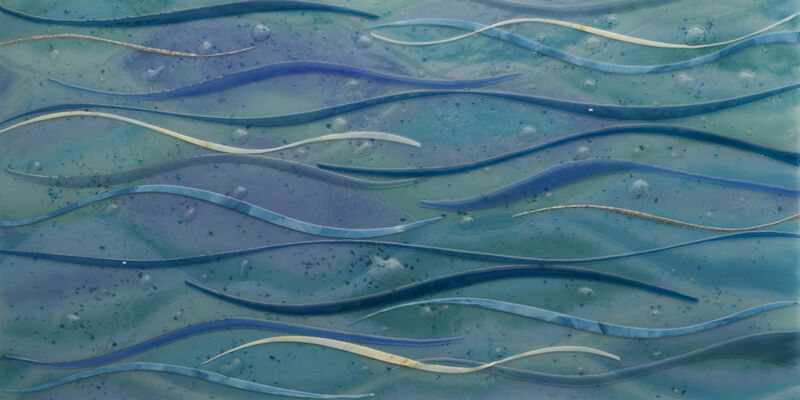 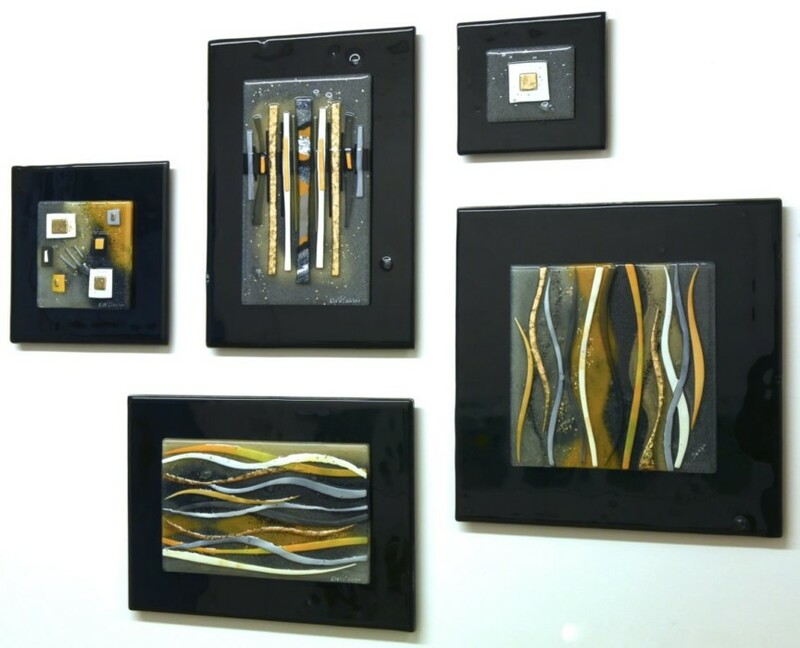 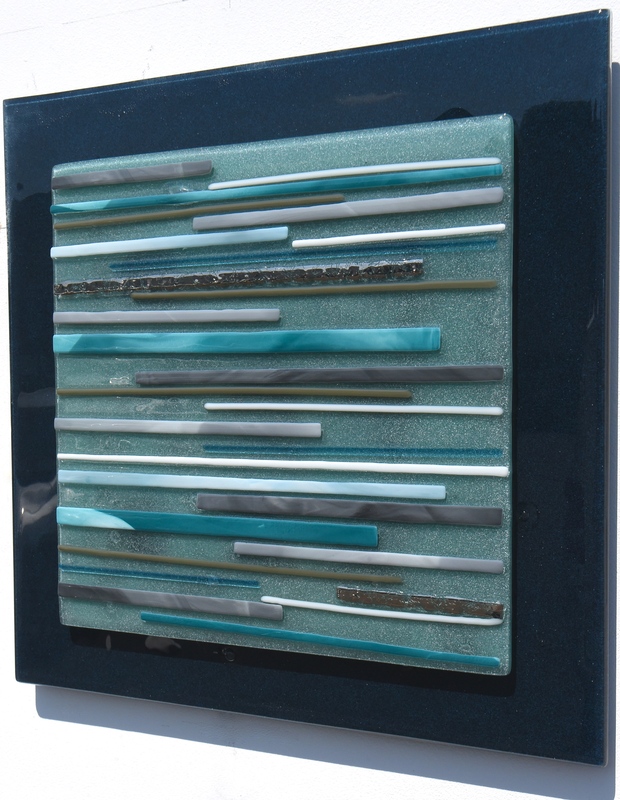 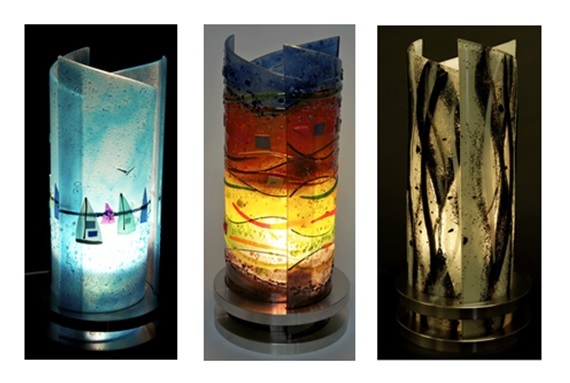 We were more than happy to show them the endless possibilities of fused glass art, and what kind of design best fit what they were looking for in order to make their home look the best it could do. 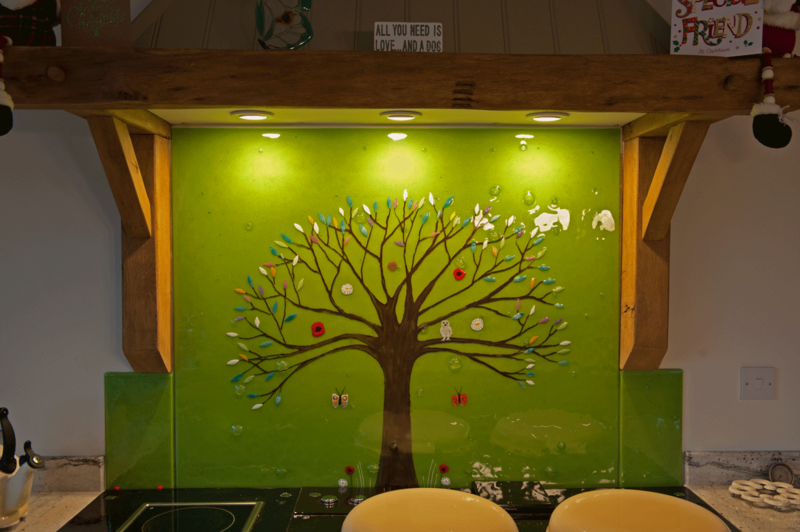 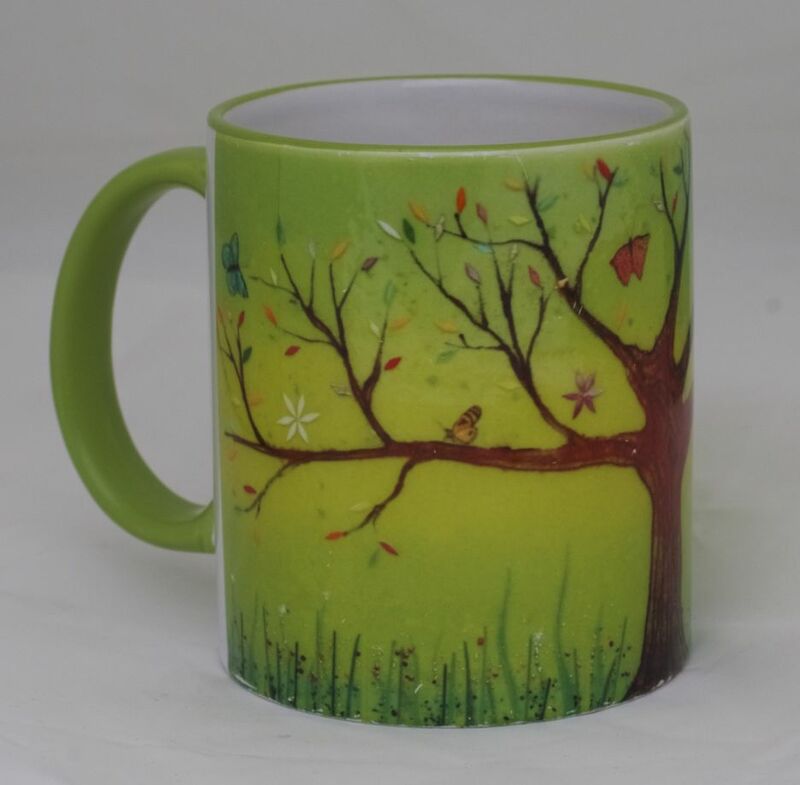 Eventually, they decided upon a Tree of Life design, opting to put their own spin on a classic style of ours. 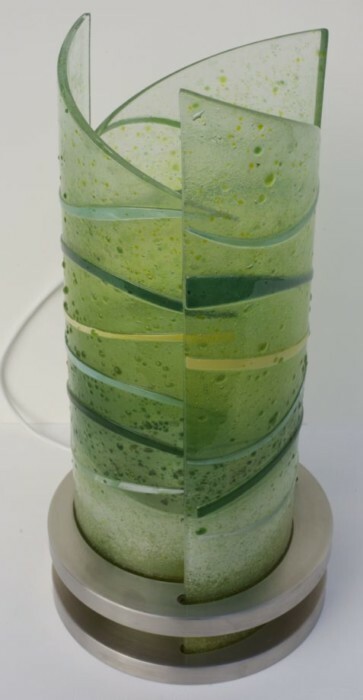 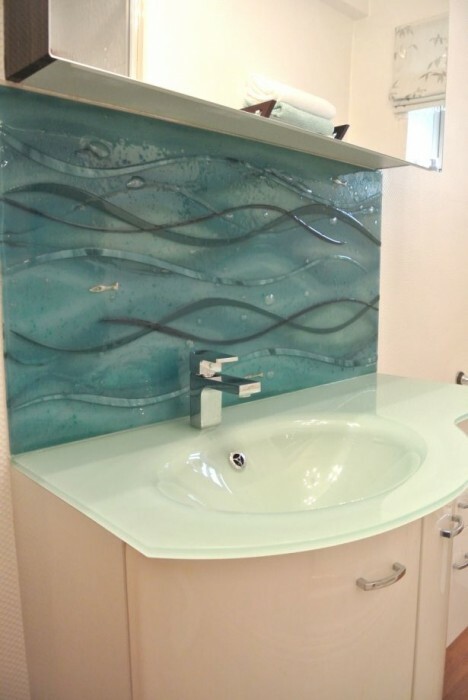 As you can see from the image above, they opted in for a very unique looking turquoise colour that we hadn’t seen on many pieces at the time. 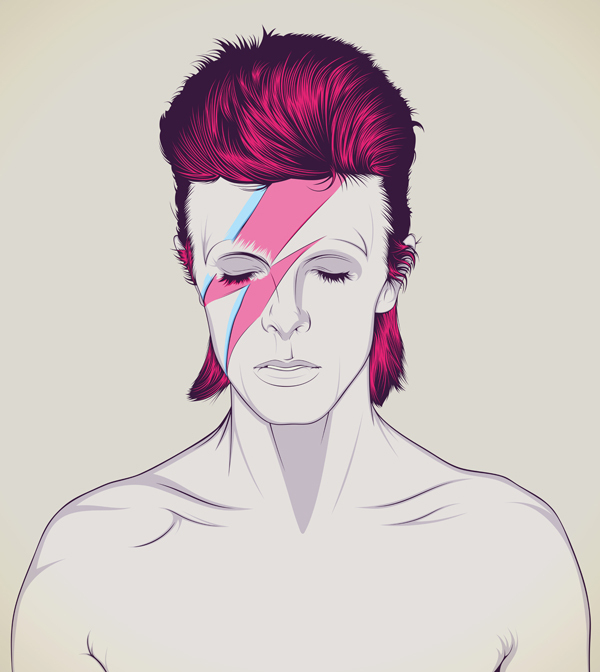 They definitely had the right idea, however, as it looked absolutely stunning even in the concept phase and was begging to be brought to life. 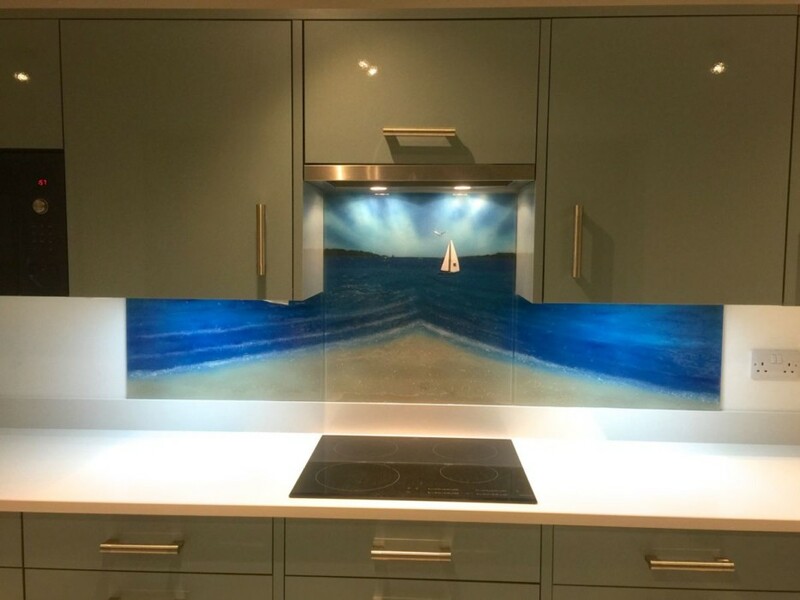 Of course, it didn’t end there. 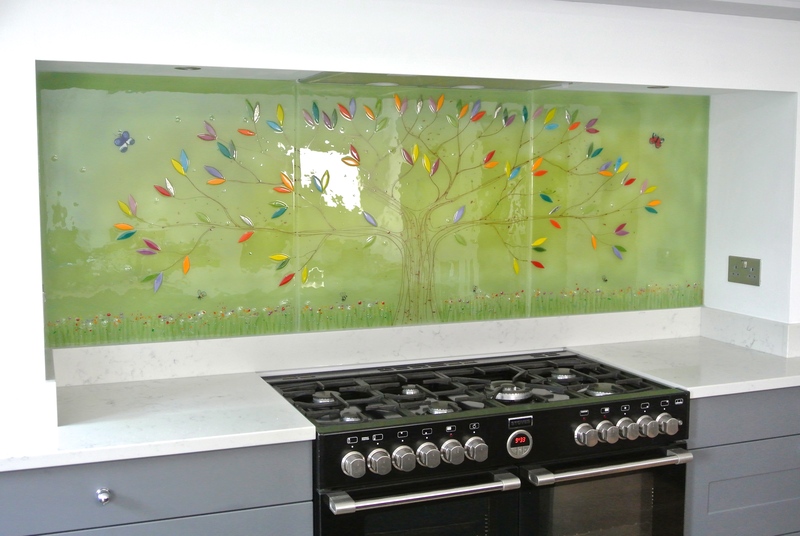 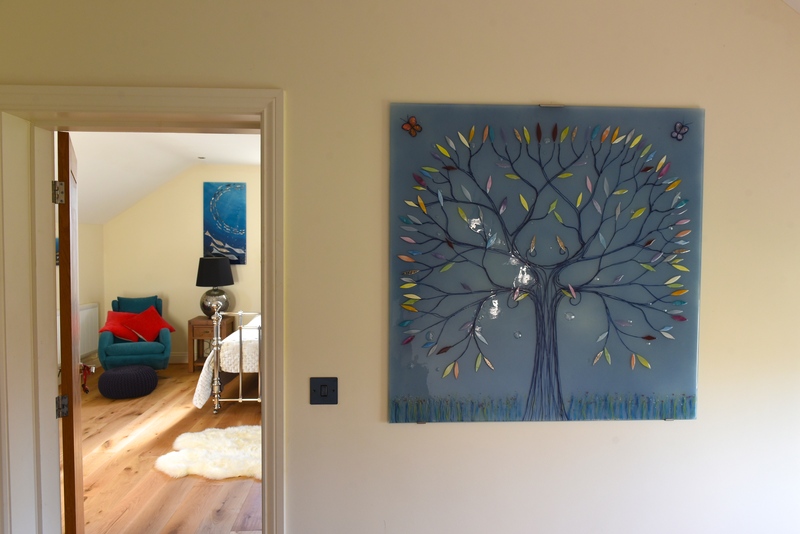 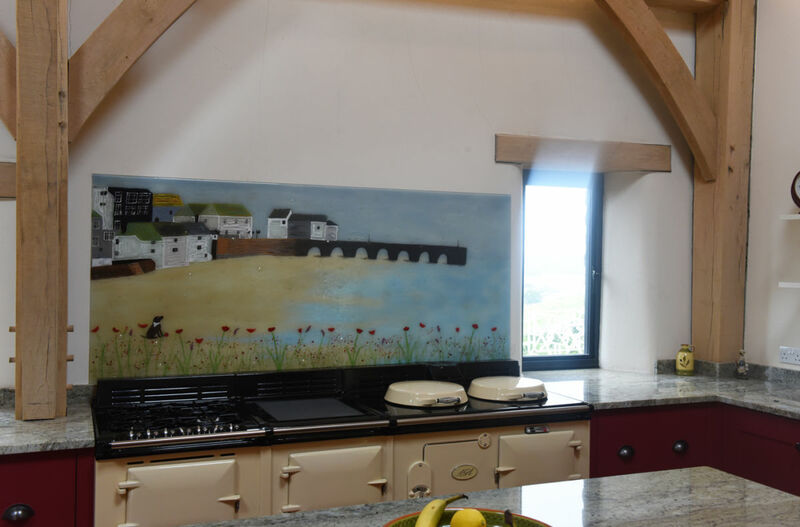 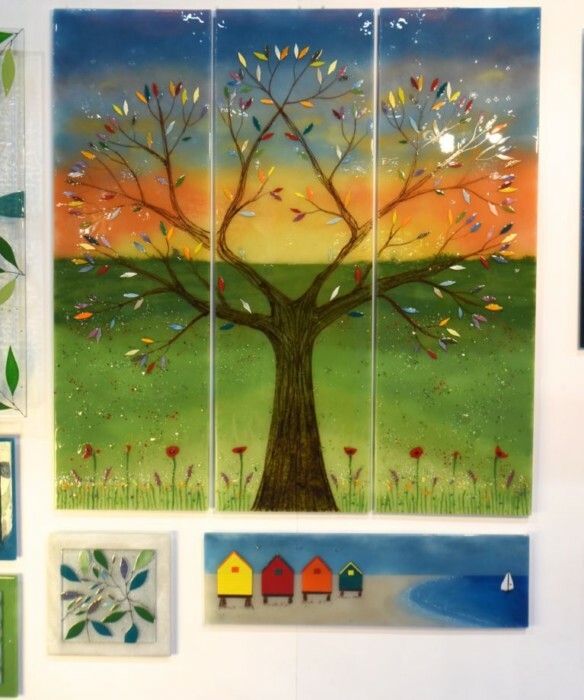 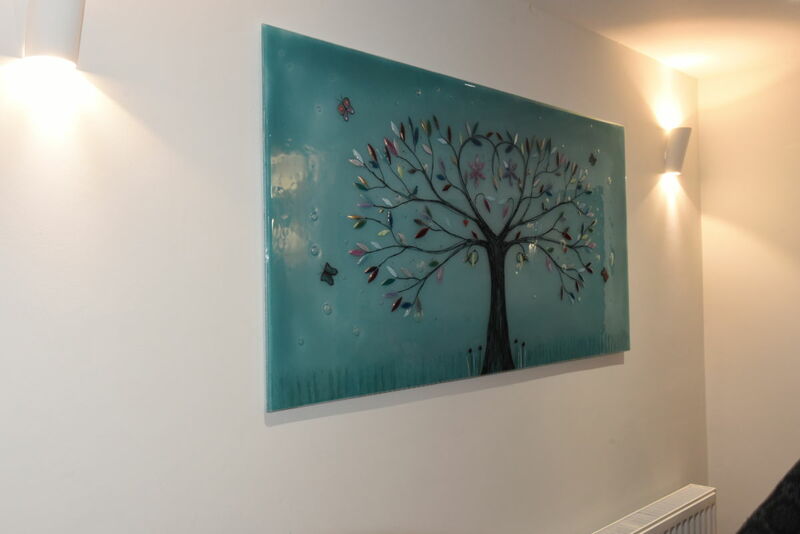 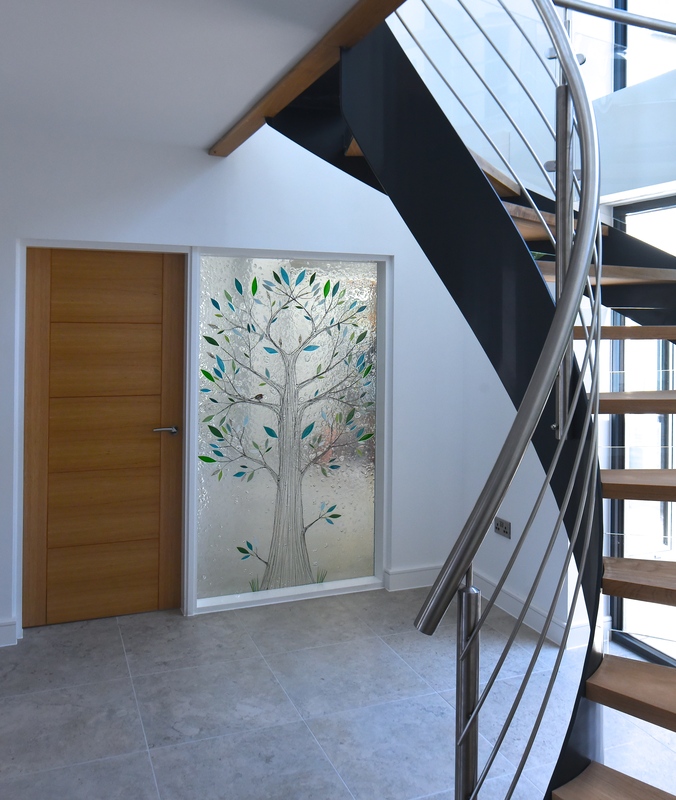 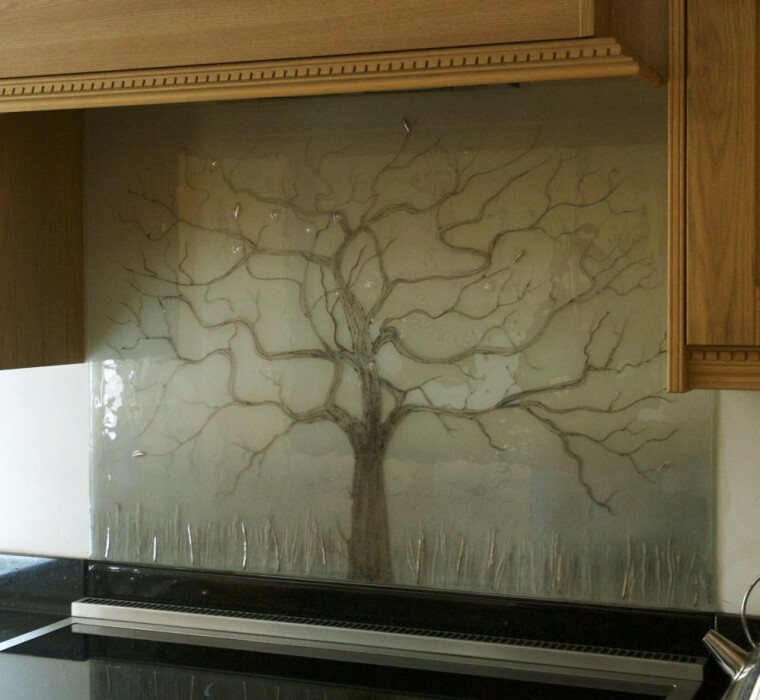 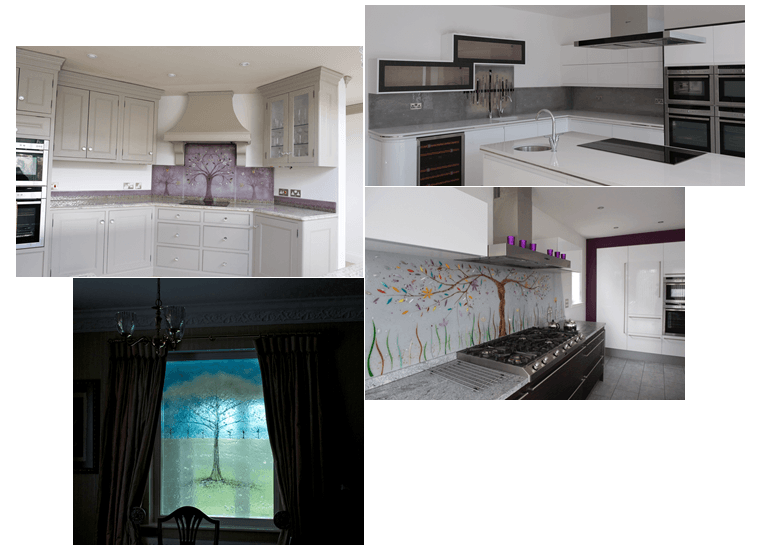 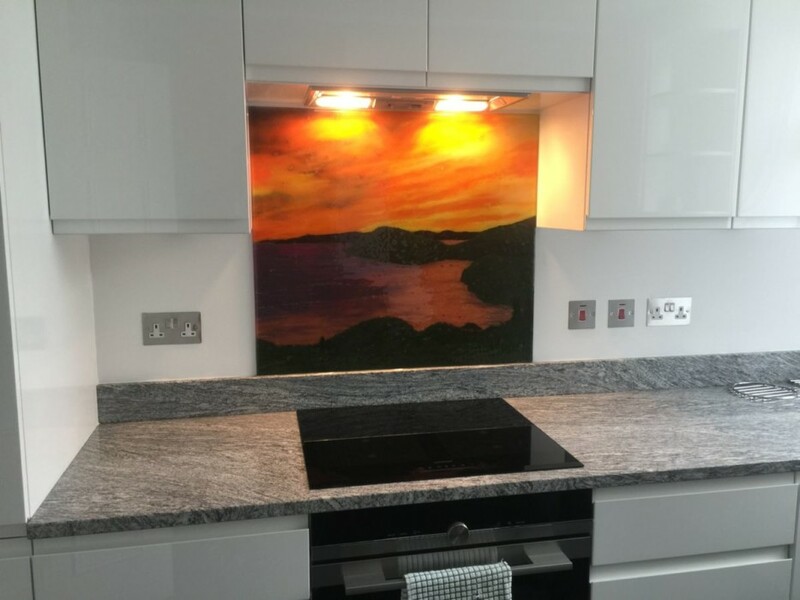 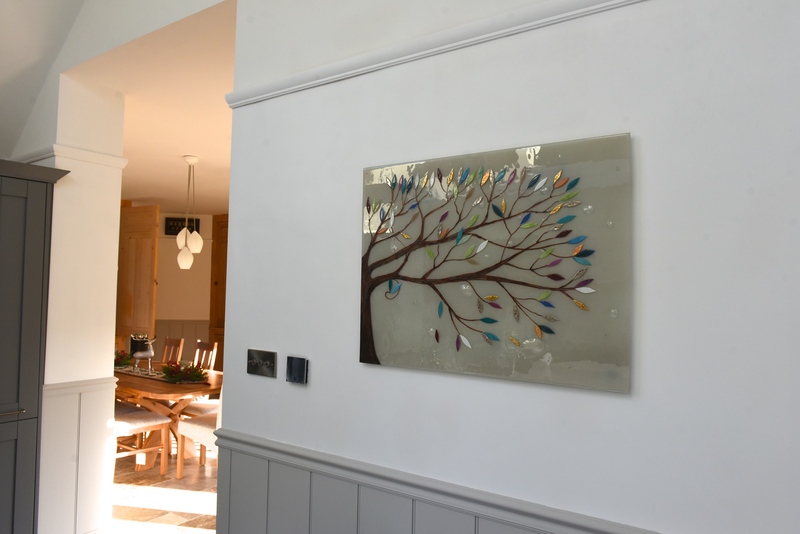 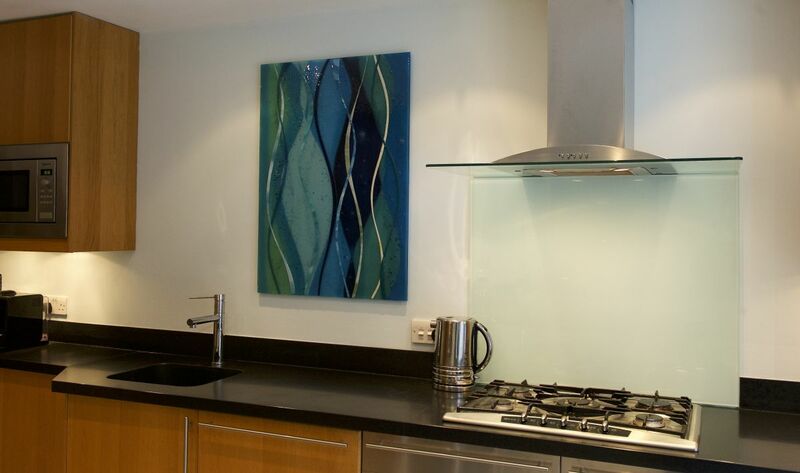 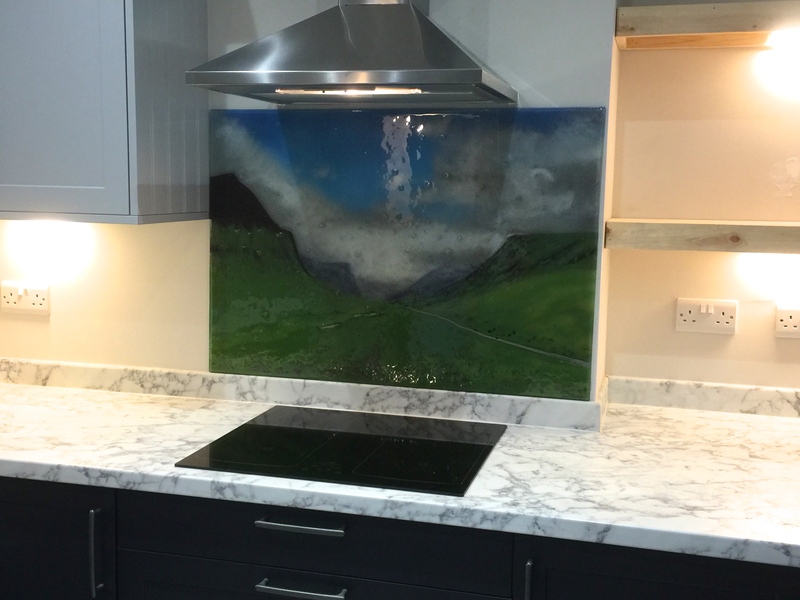 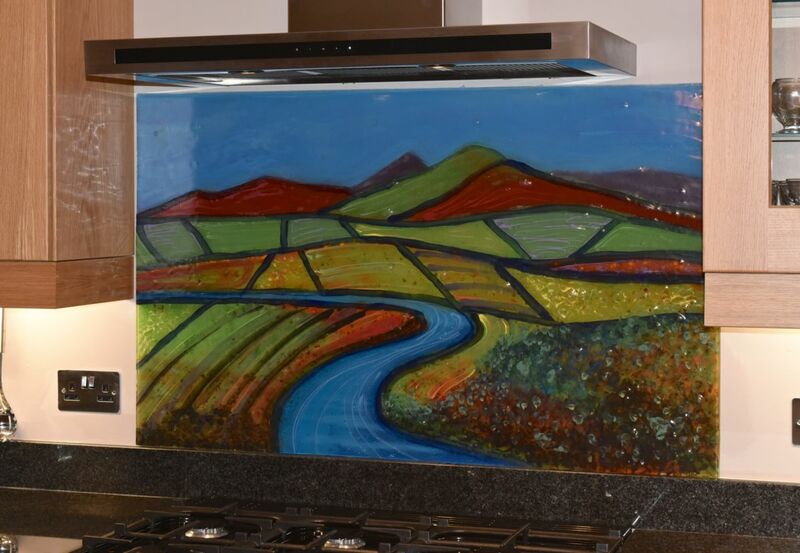 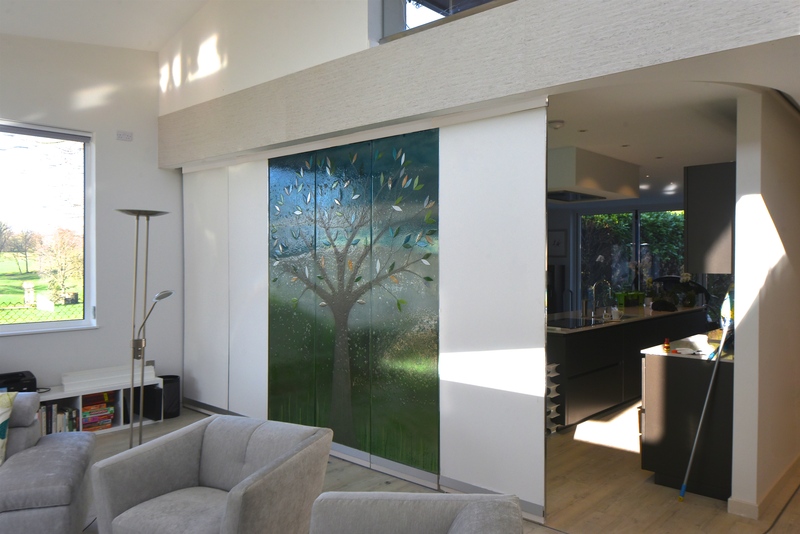 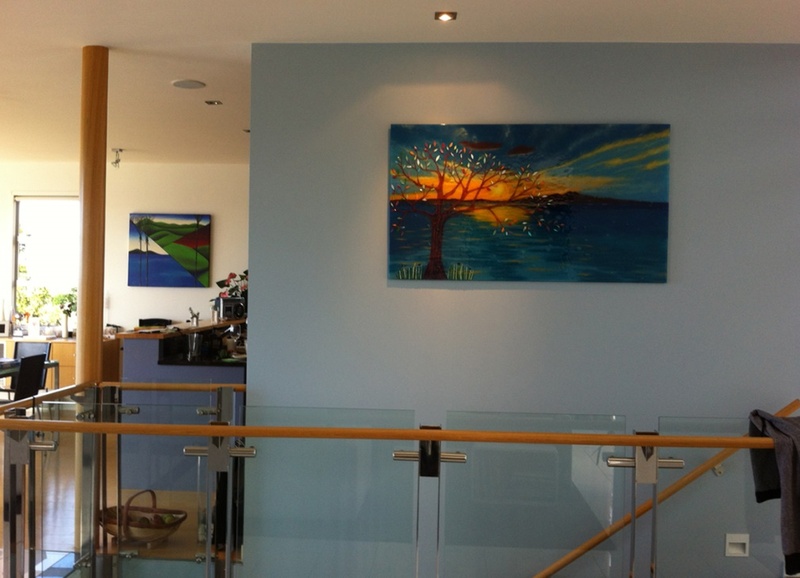 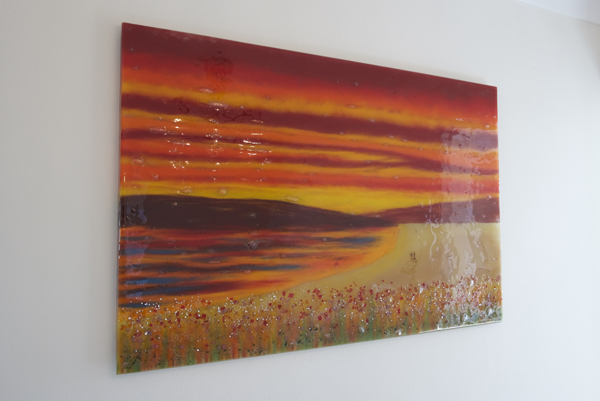 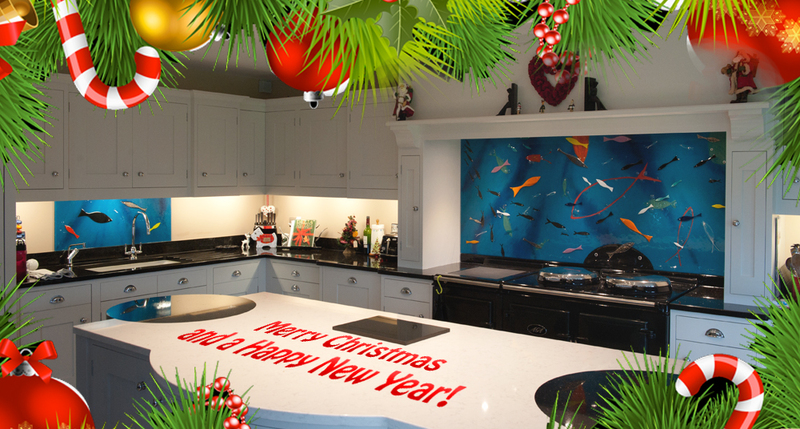 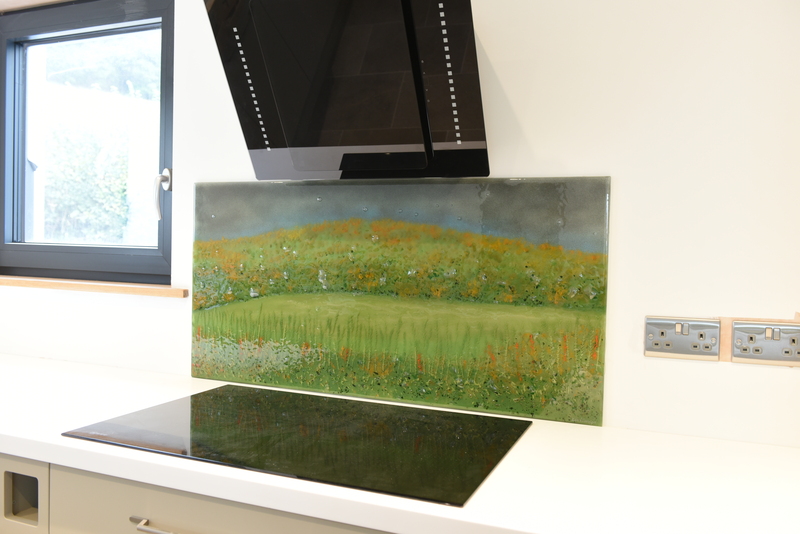 They wanted another complementary panel to go with the tree, but not necessarily another one of our bespoke glass splashbacks. 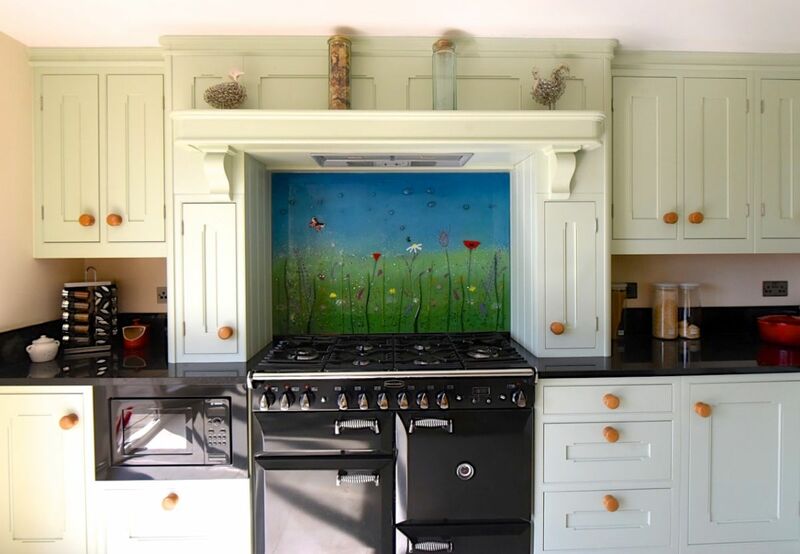 They decided on the panel you can also see pictured in this blog, which brings nature into the kitchen. 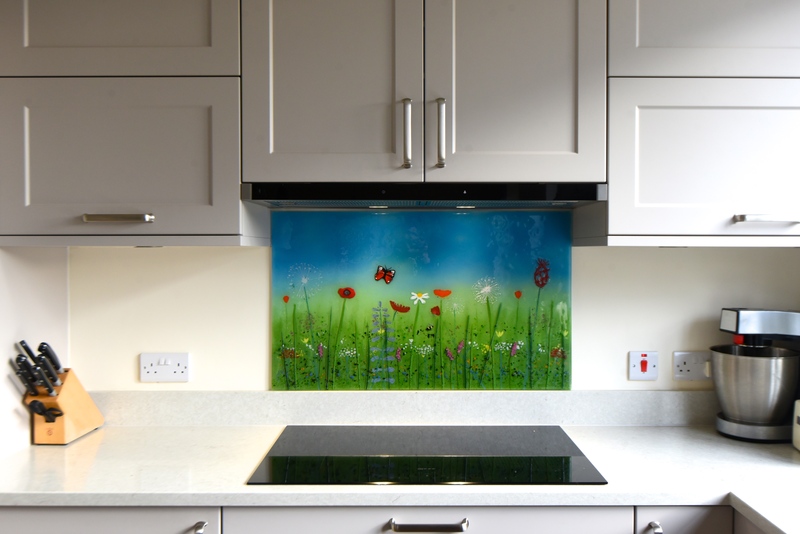 It’s a beautiful addition to the kitchen and almost looks like another window out onto their scenic garden! 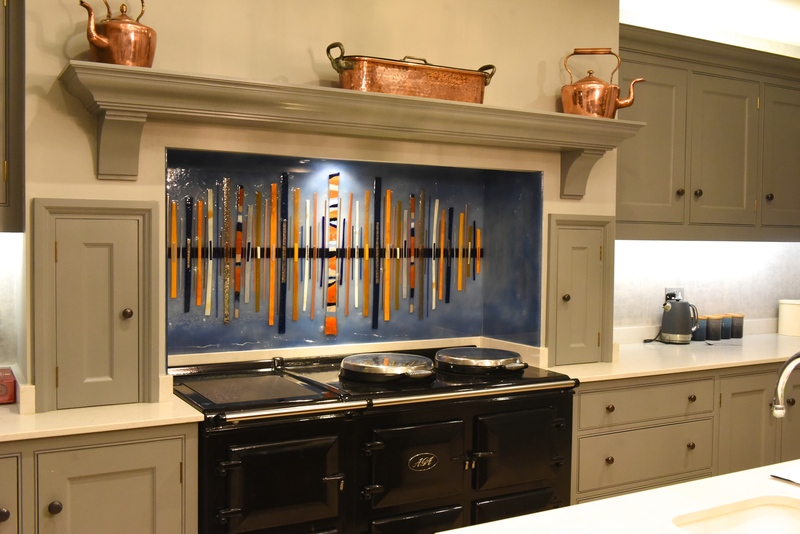 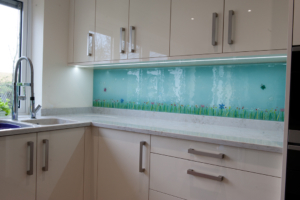 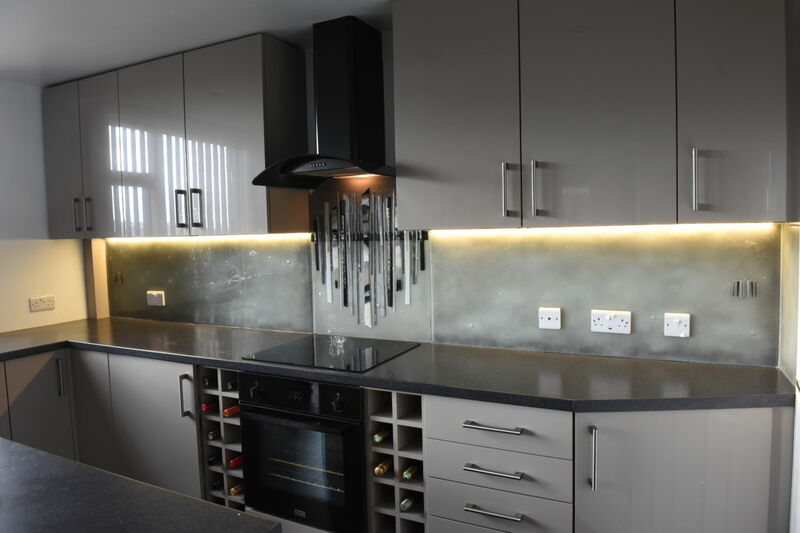 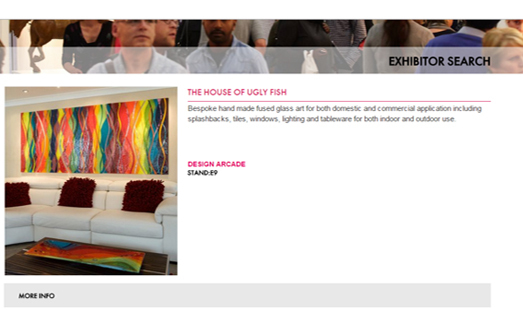 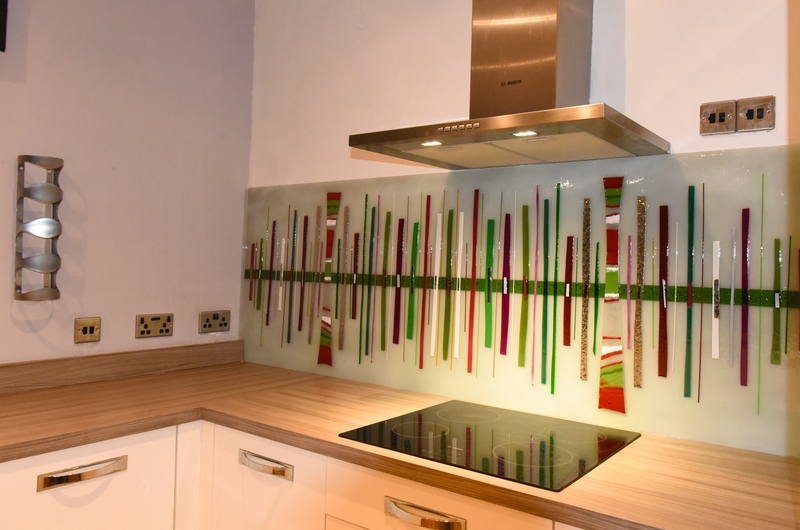 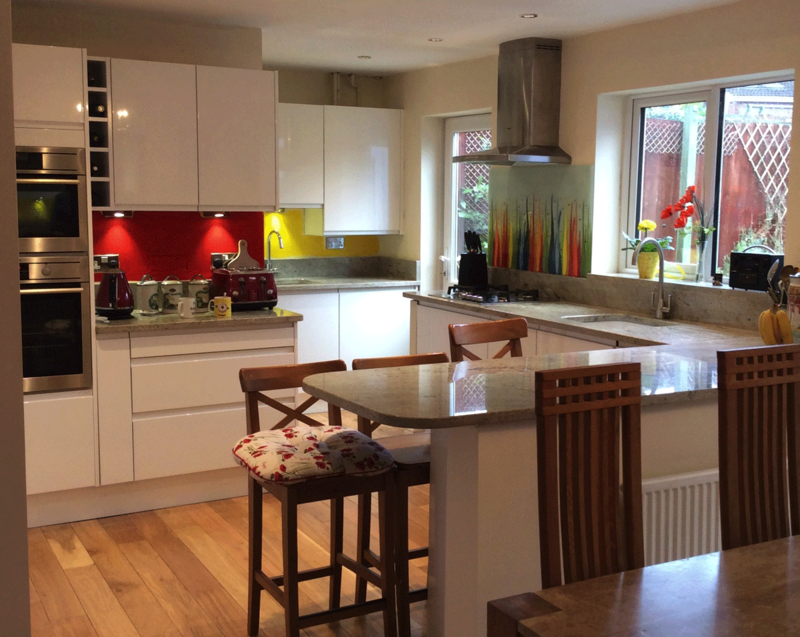 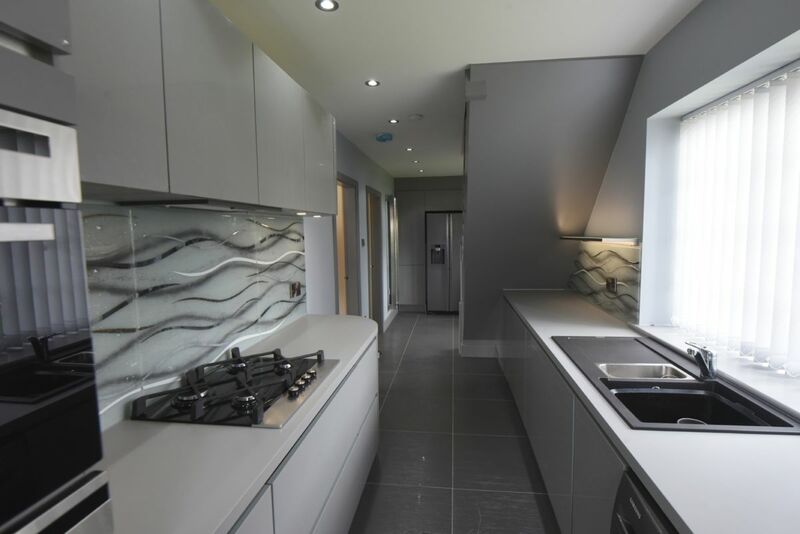 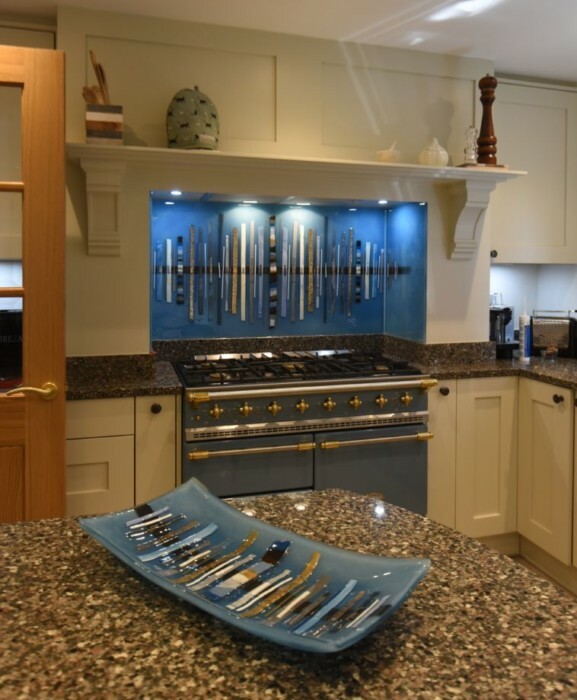 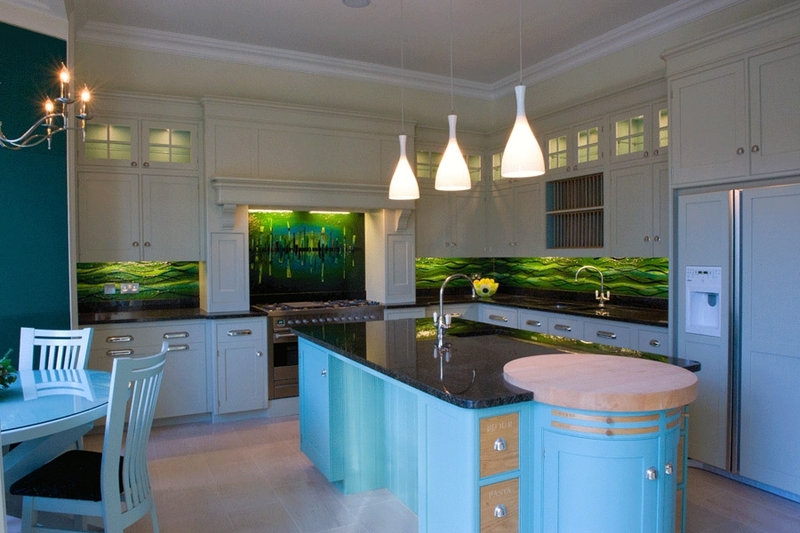 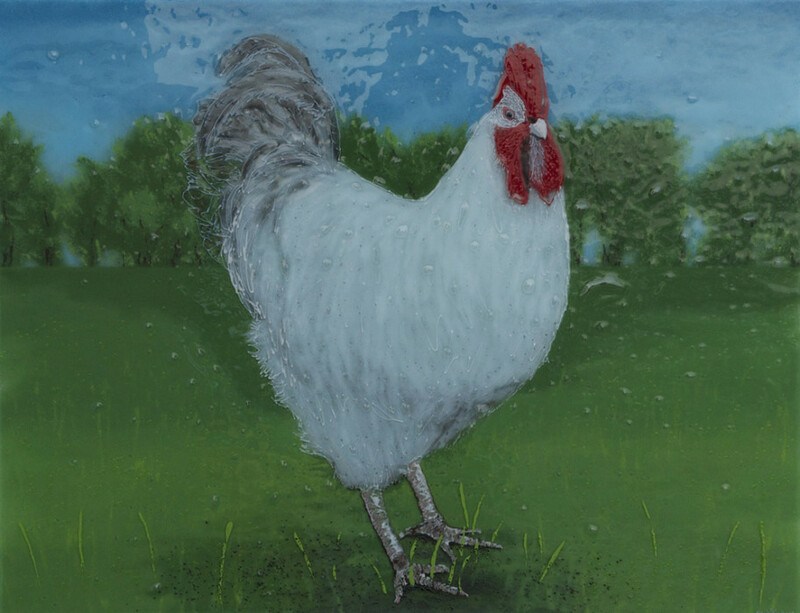 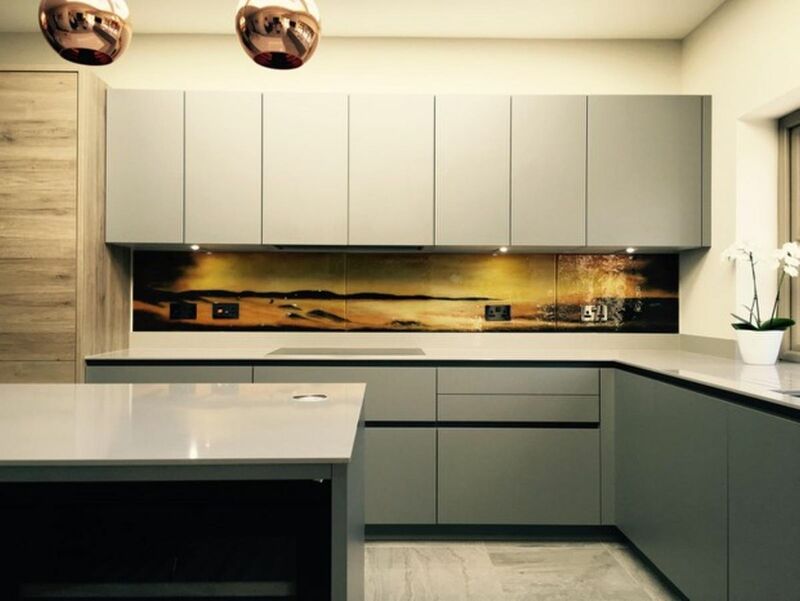 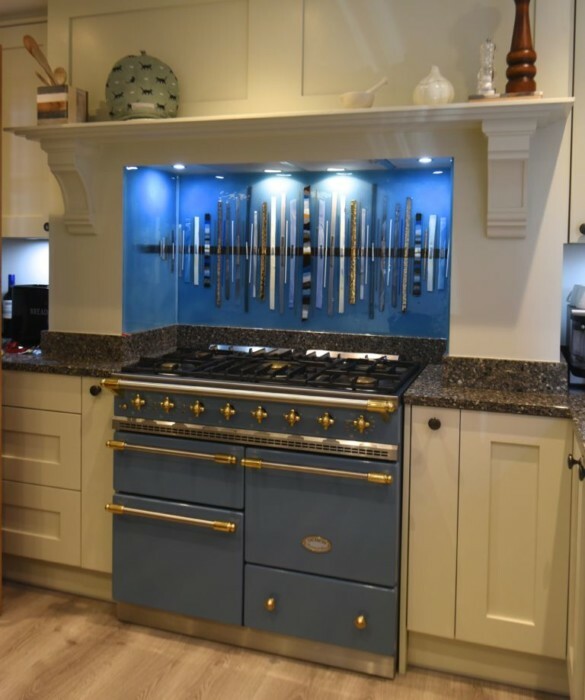 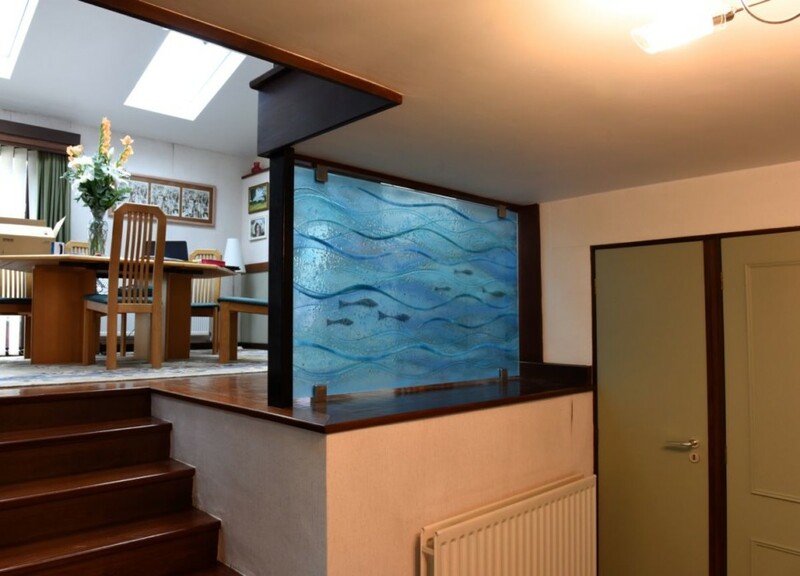 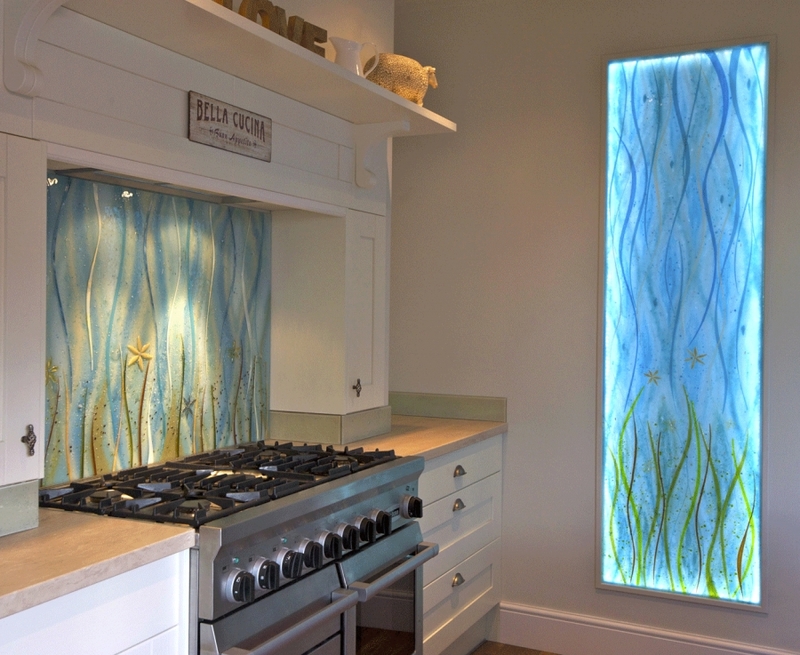 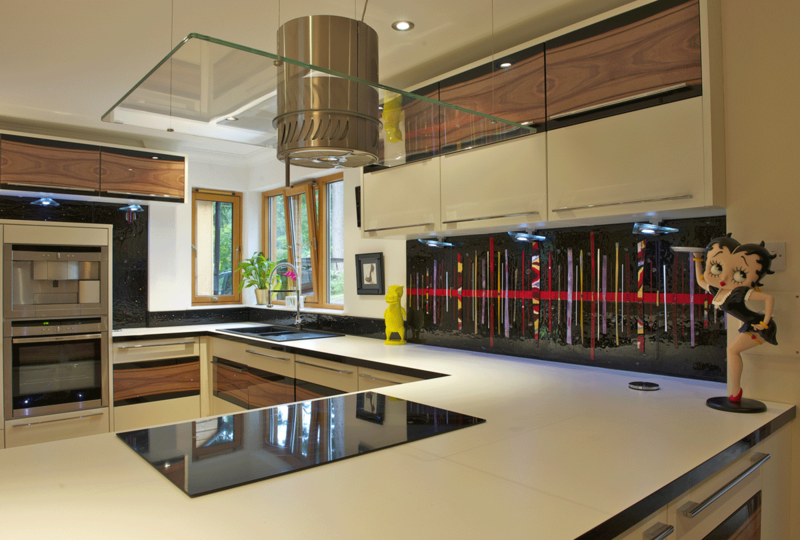 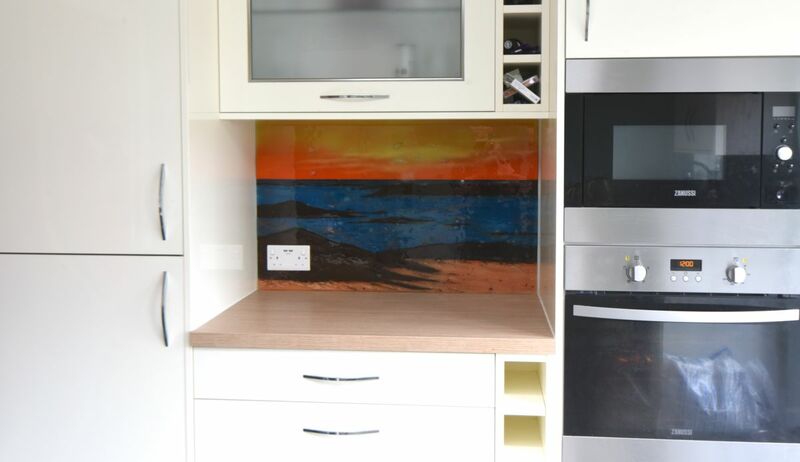 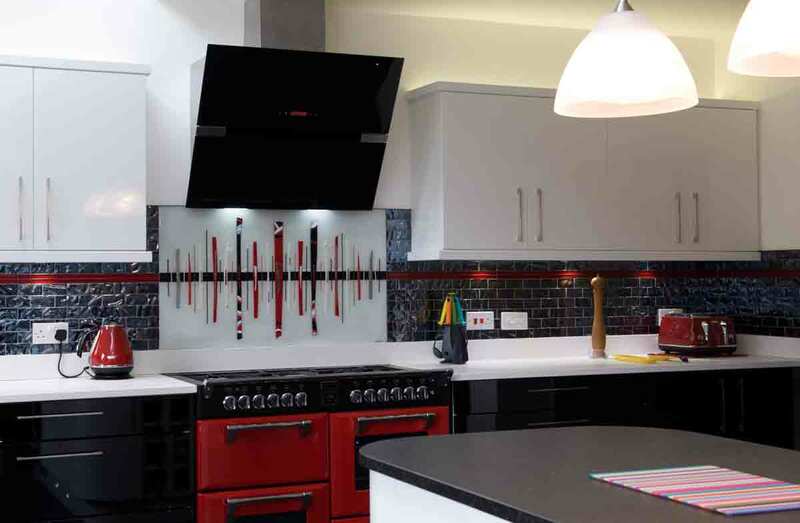 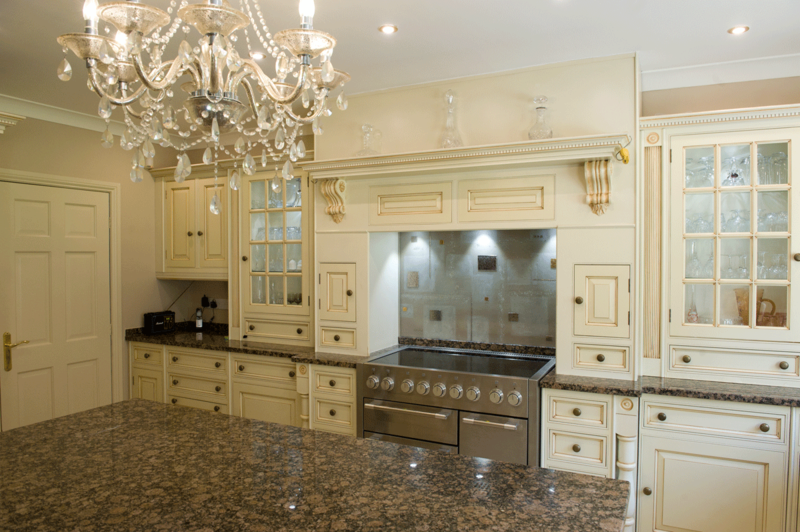 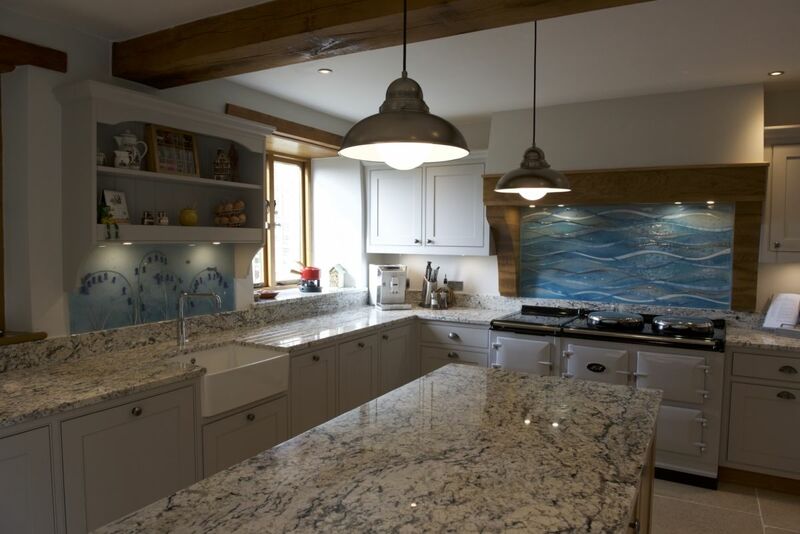 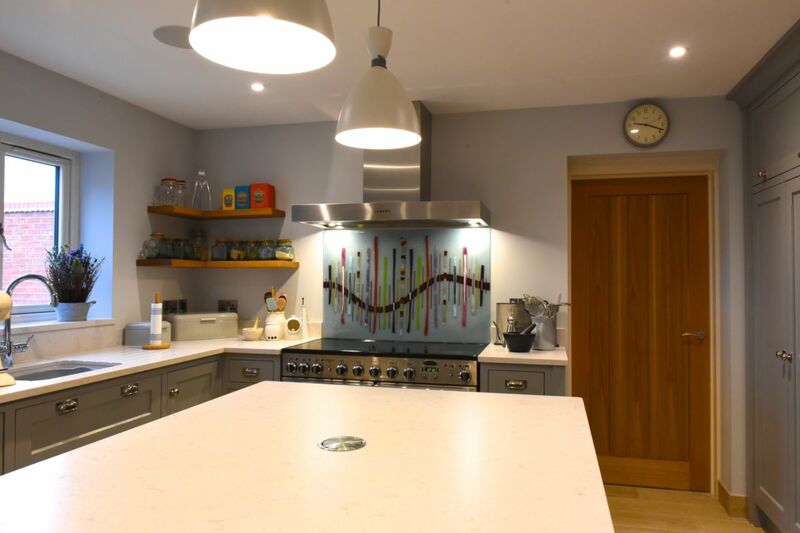 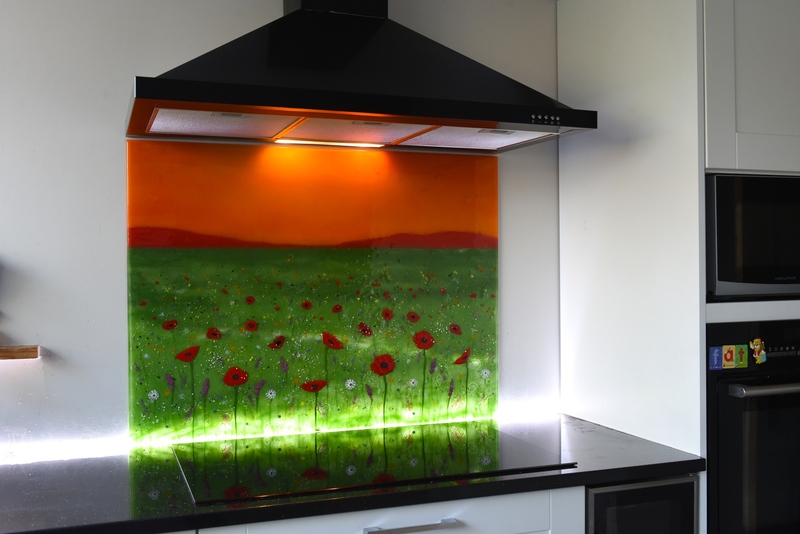 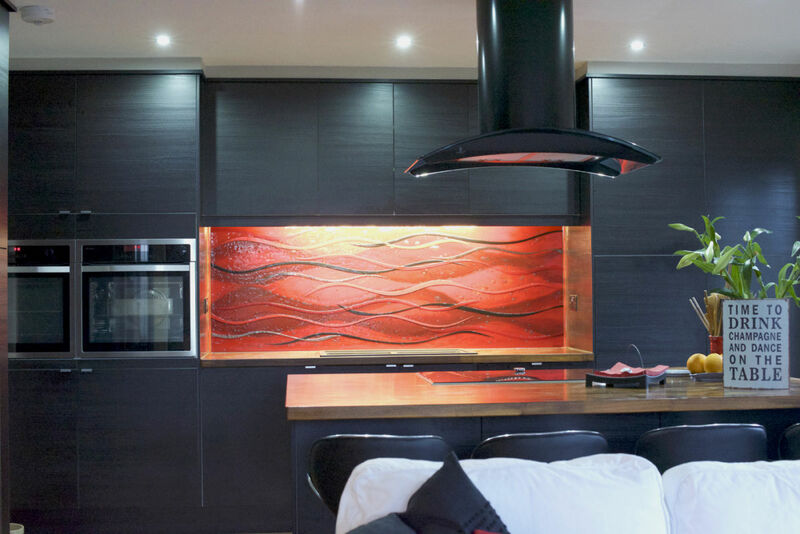 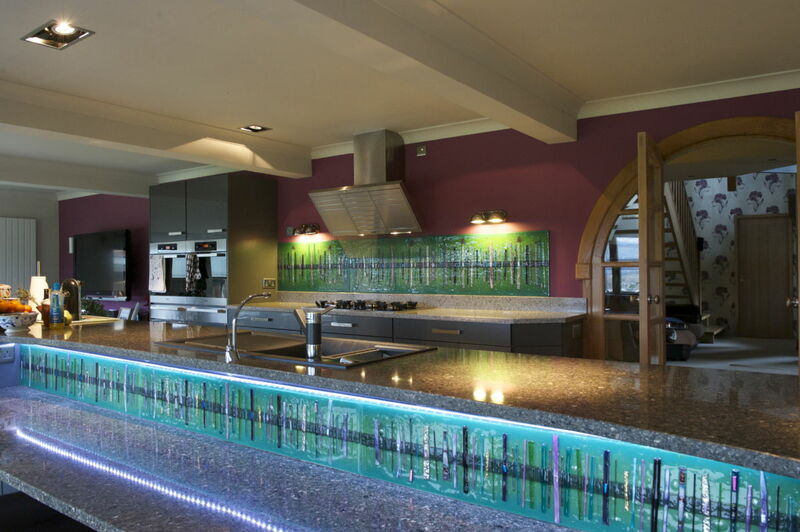 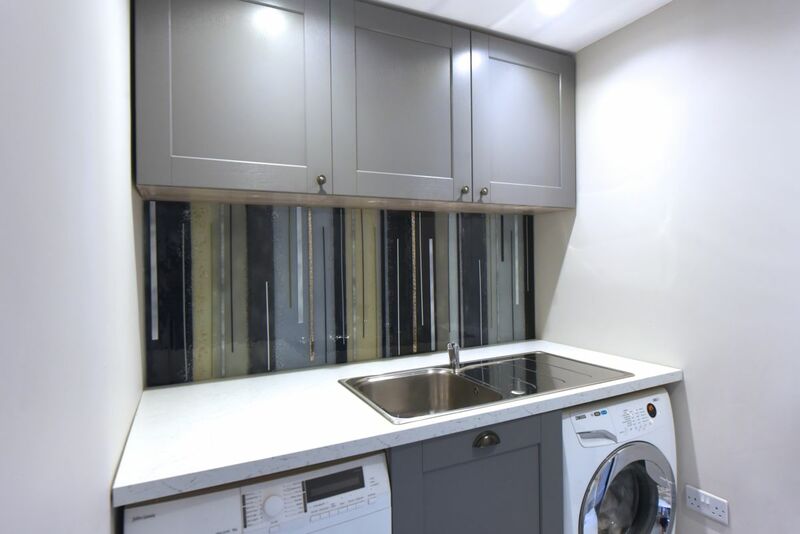 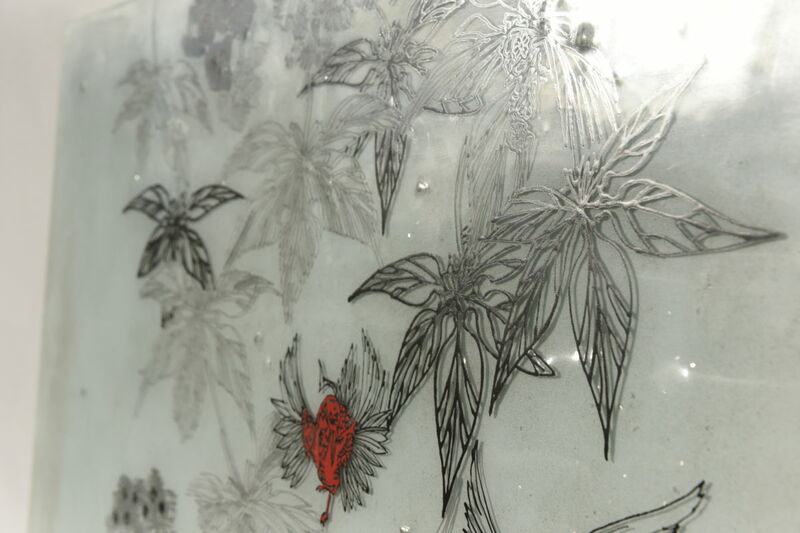 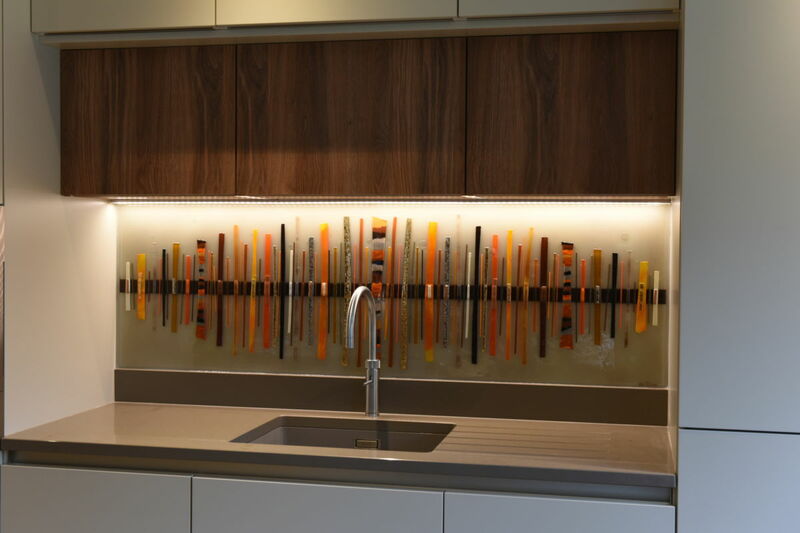 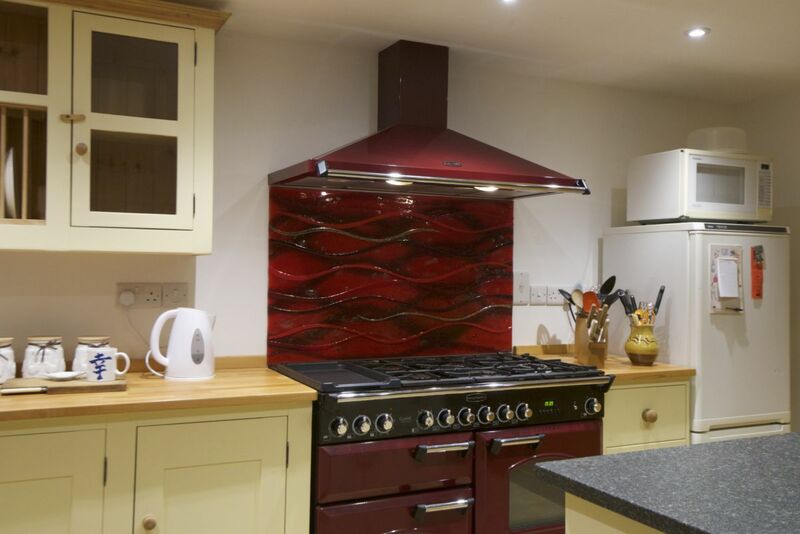 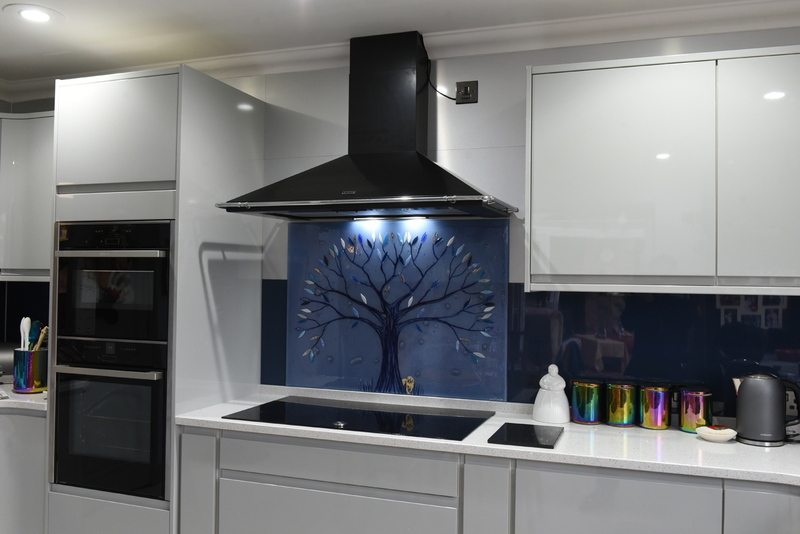 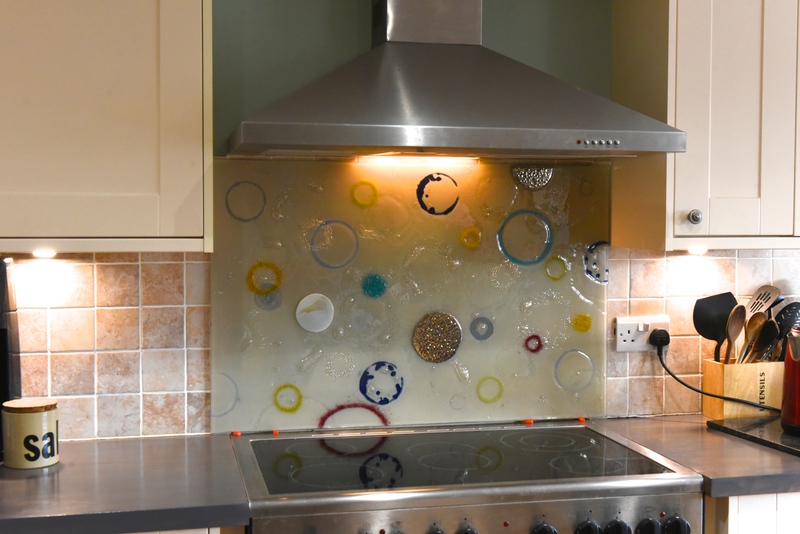 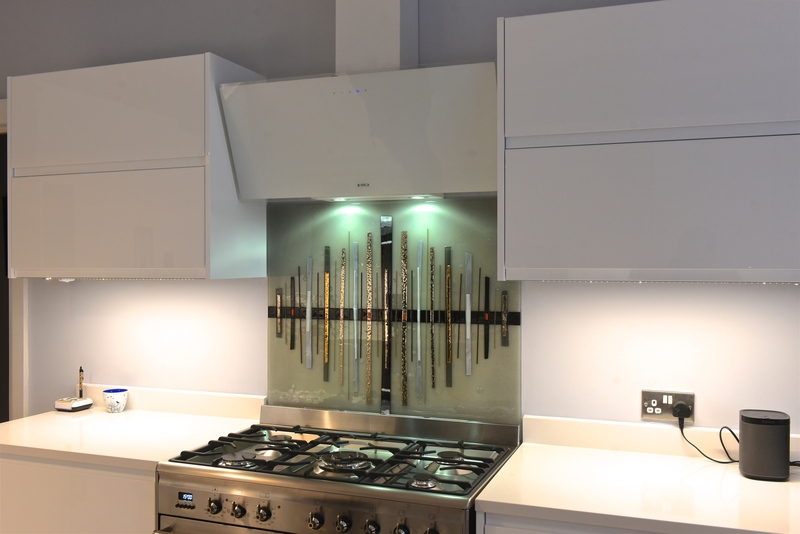 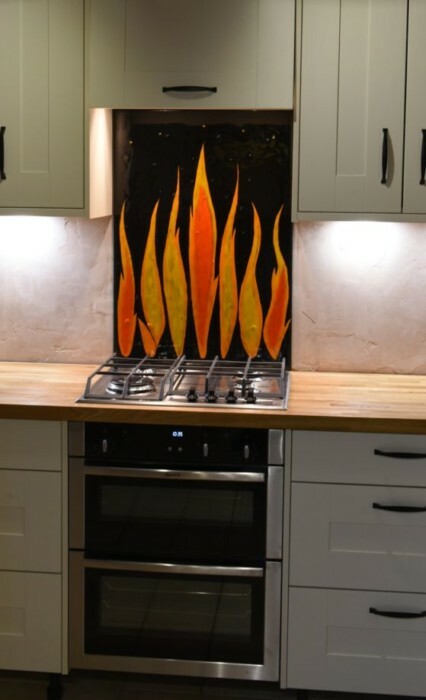 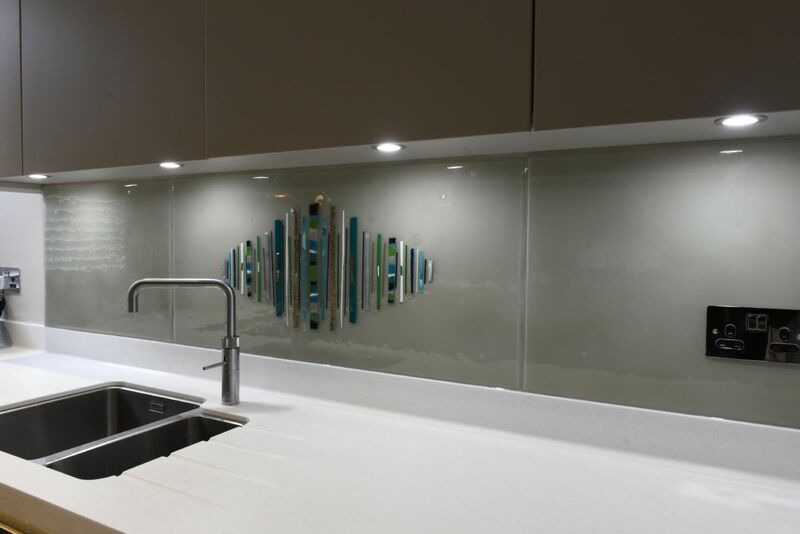 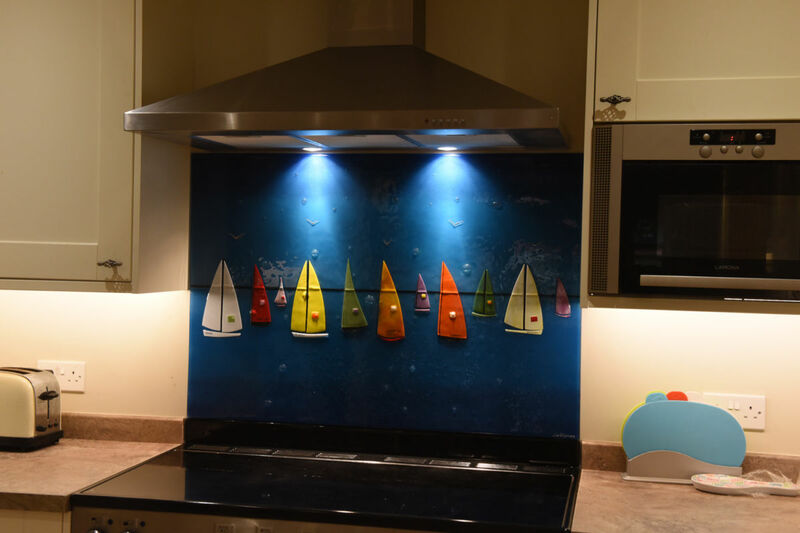 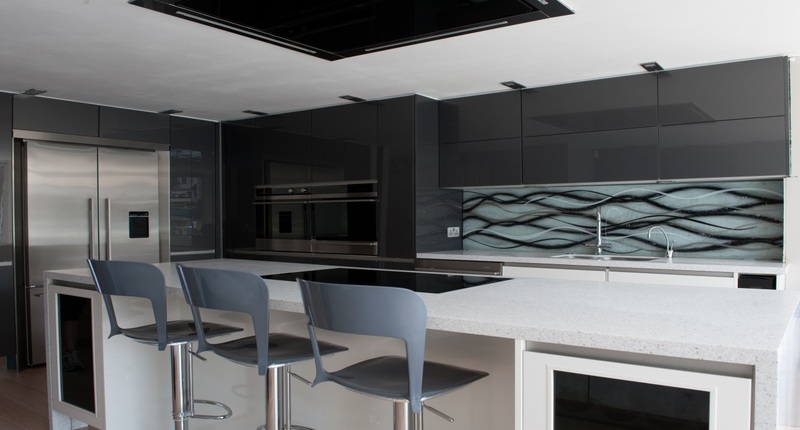 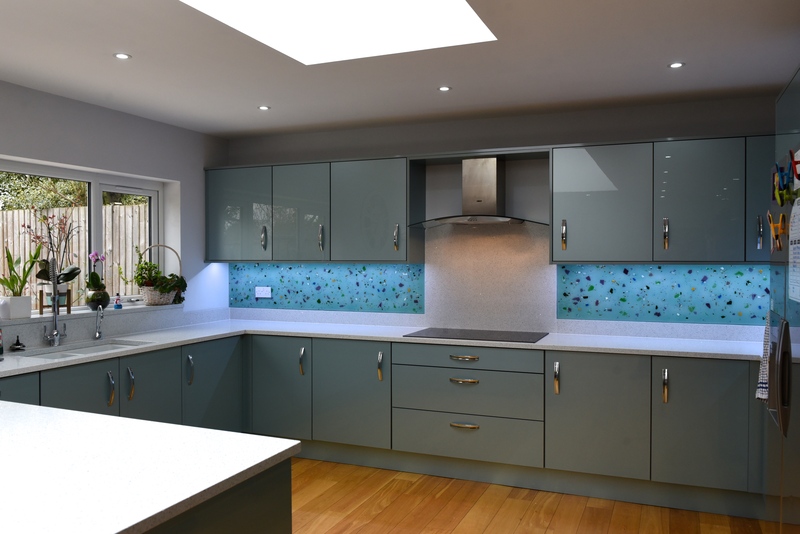 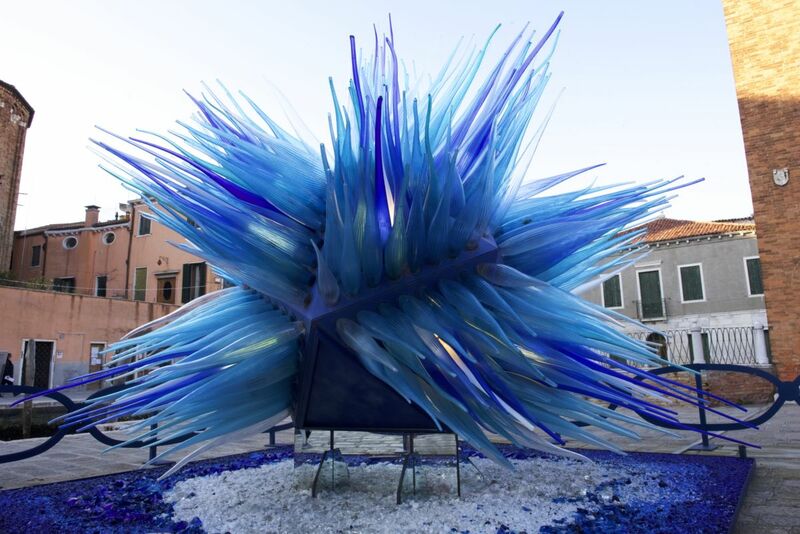 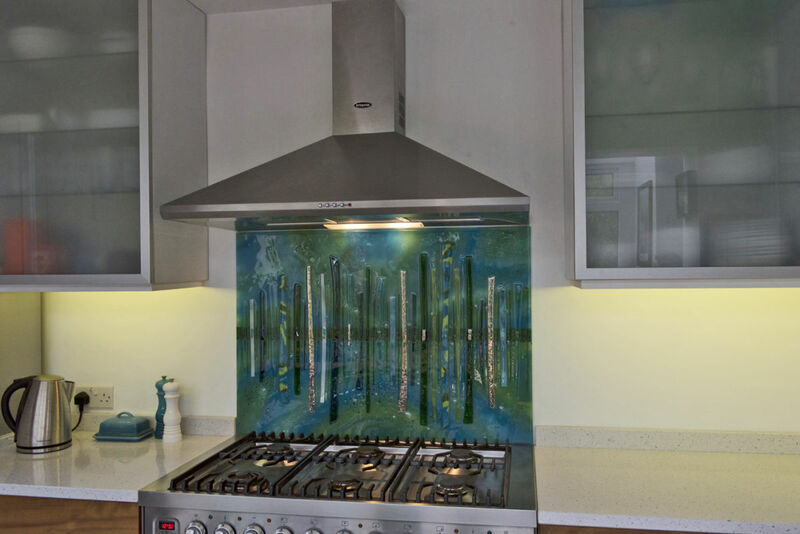 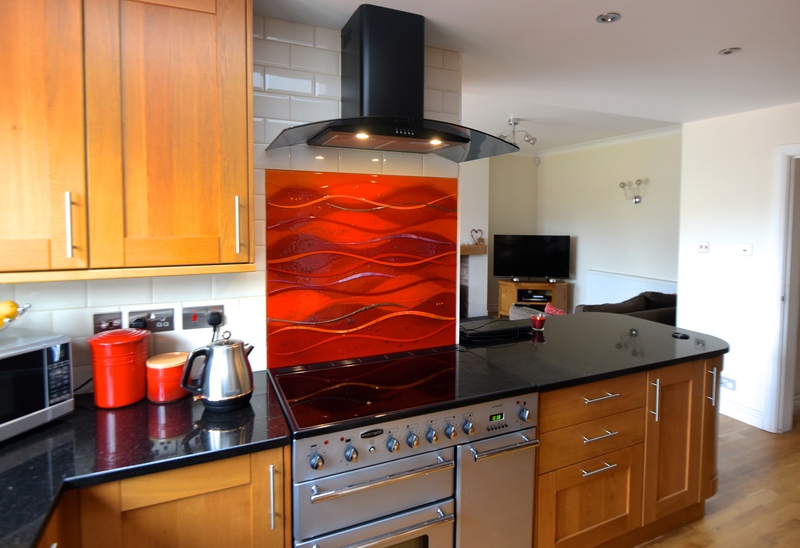 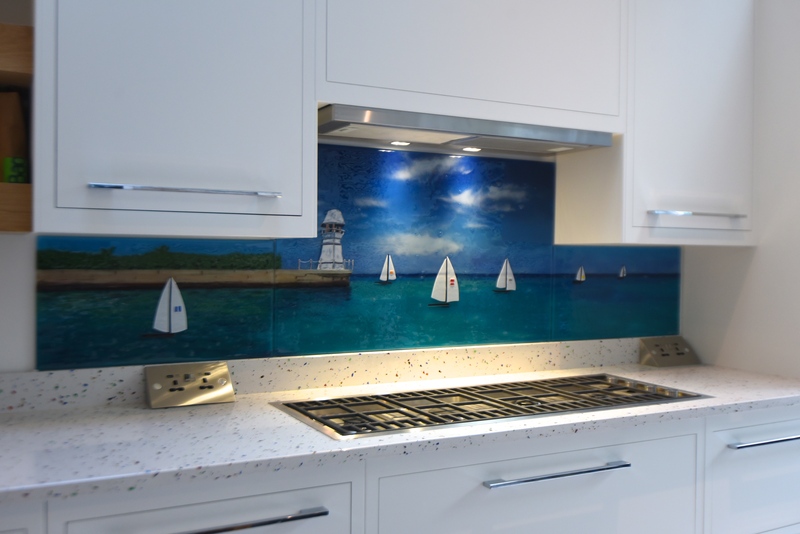 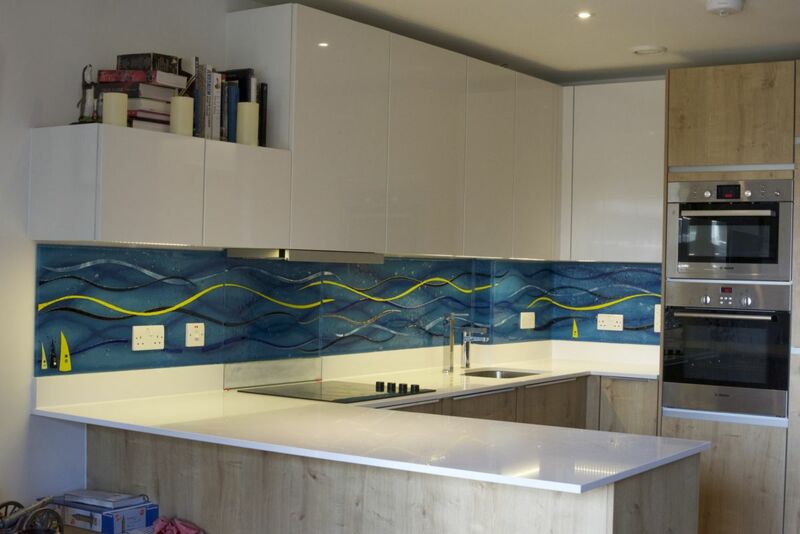 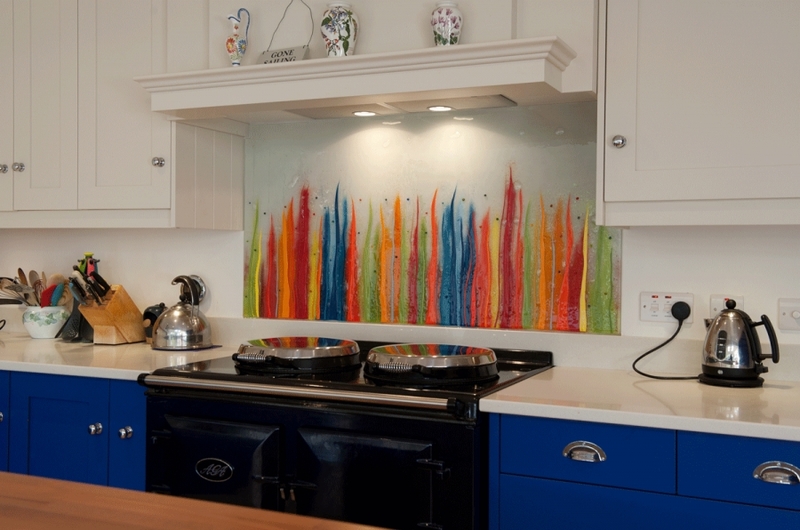 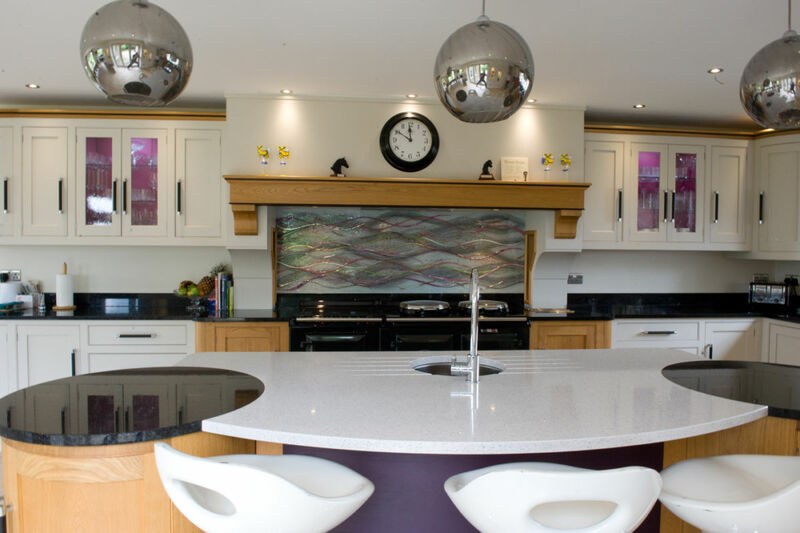 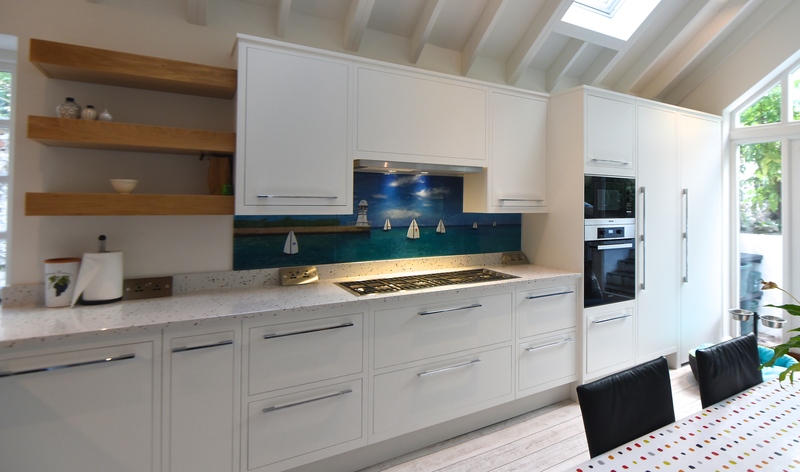 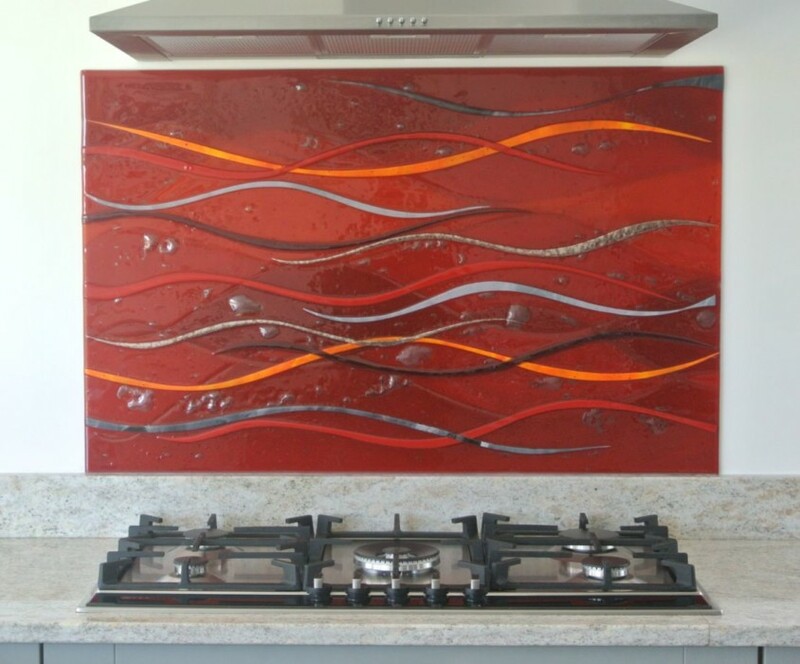 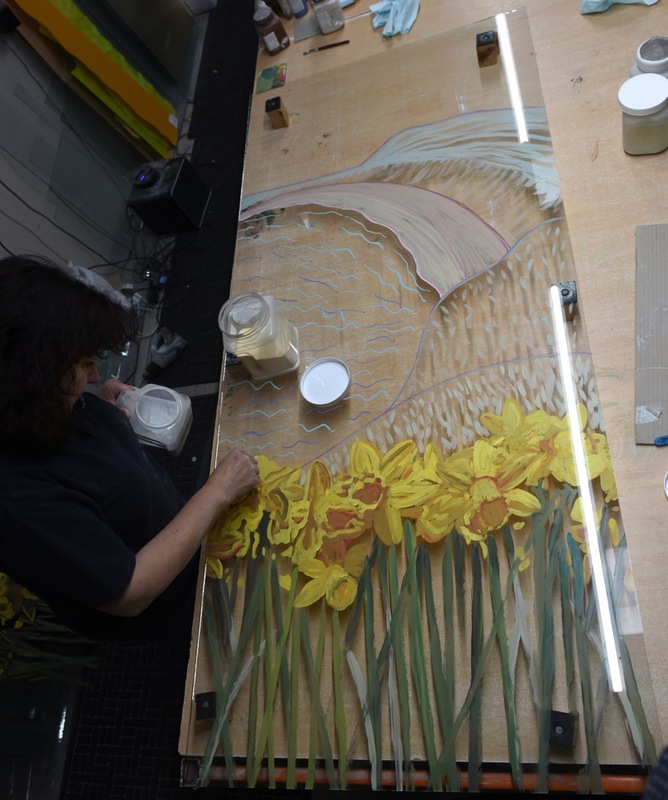 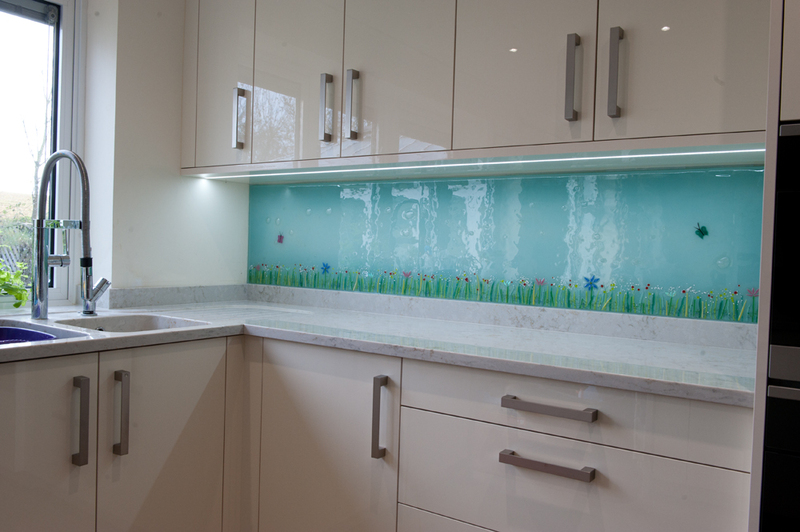 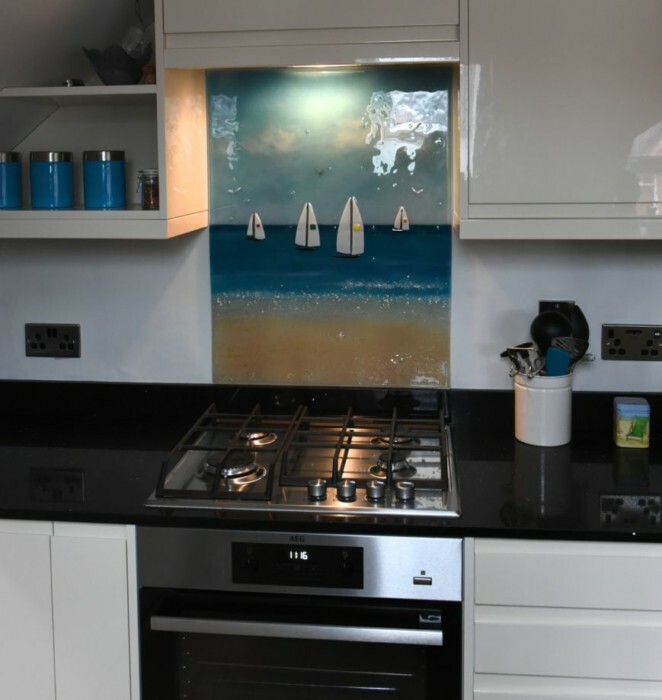 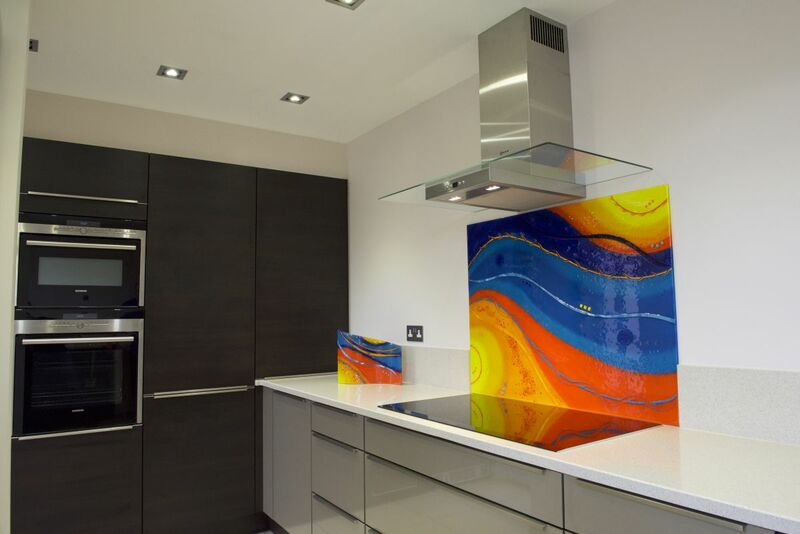 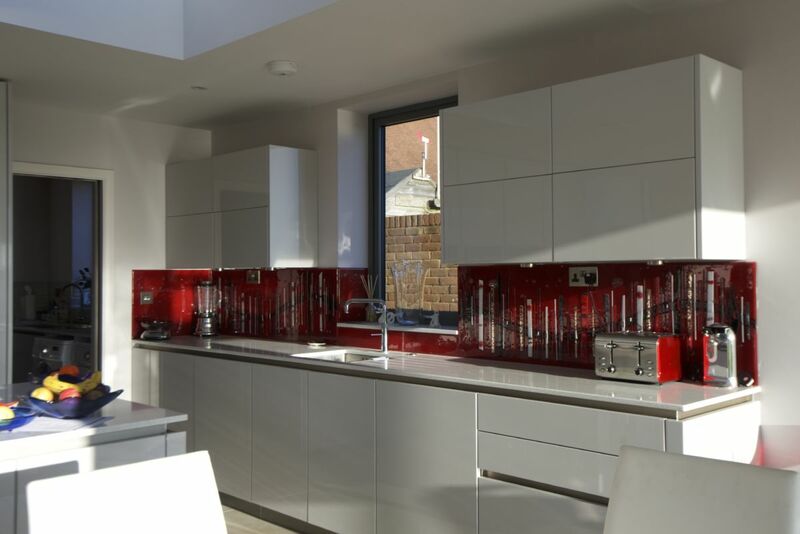 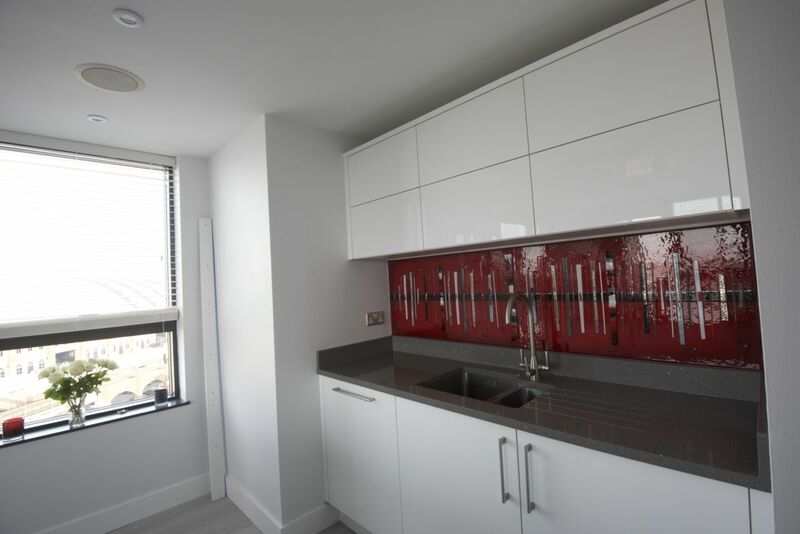 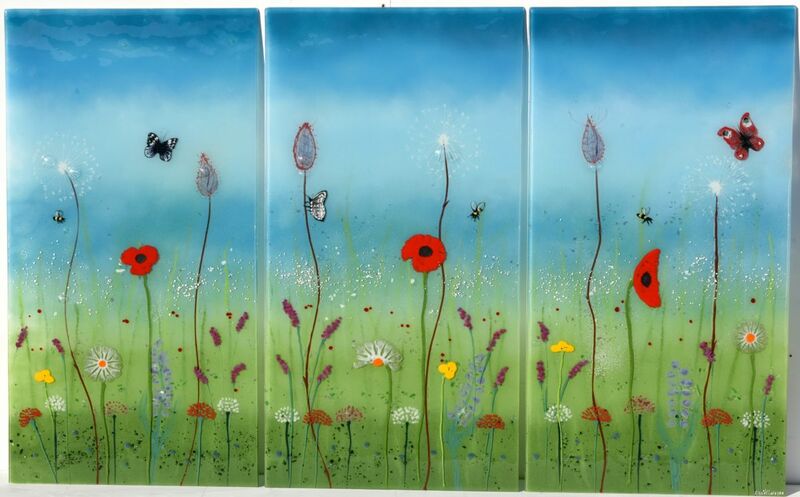 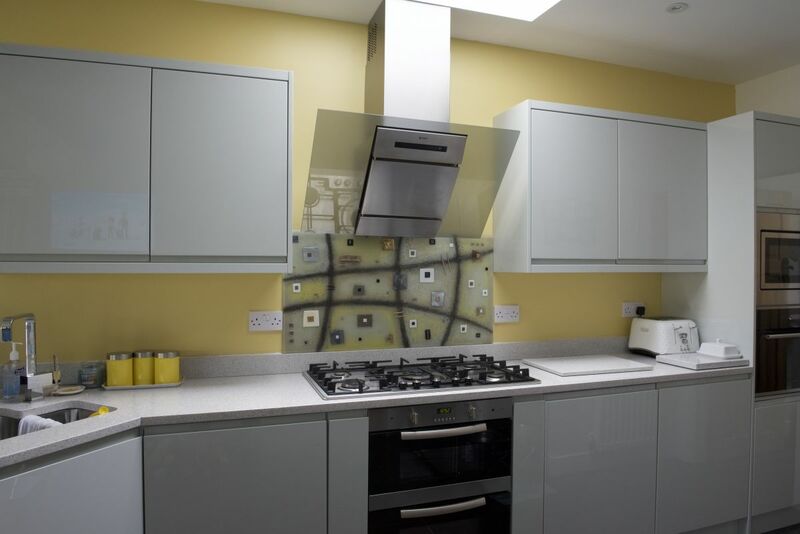 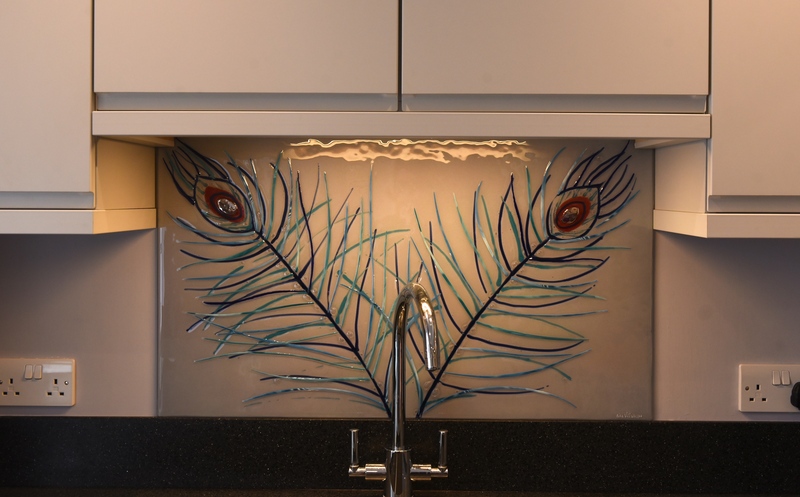 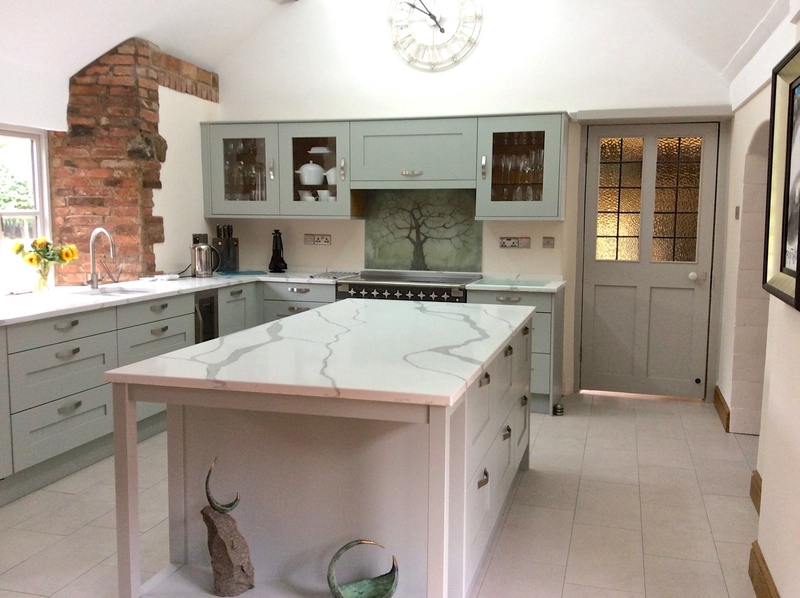 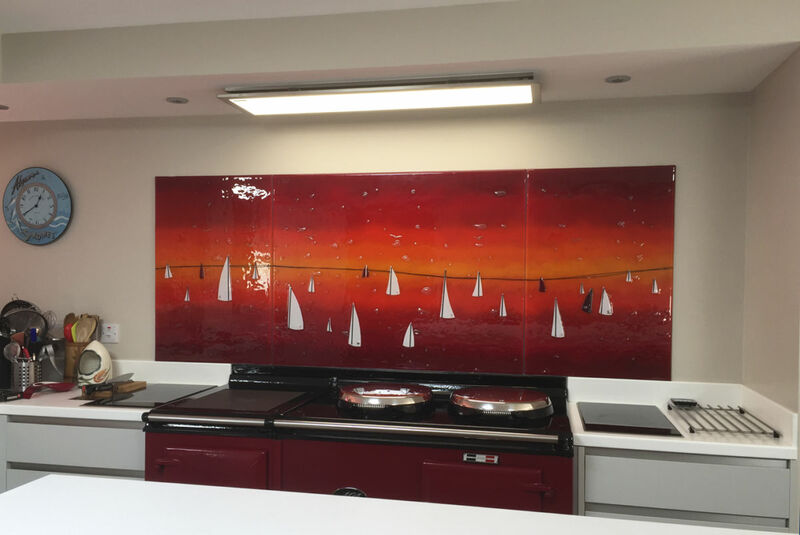 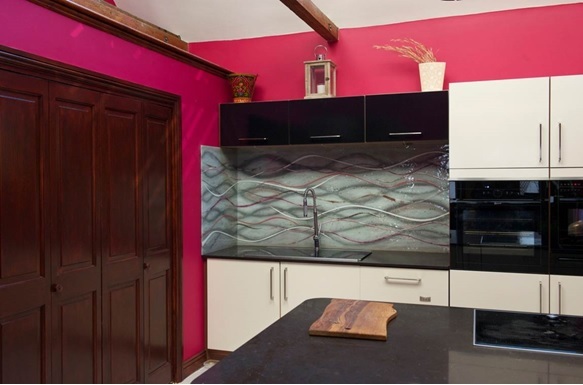 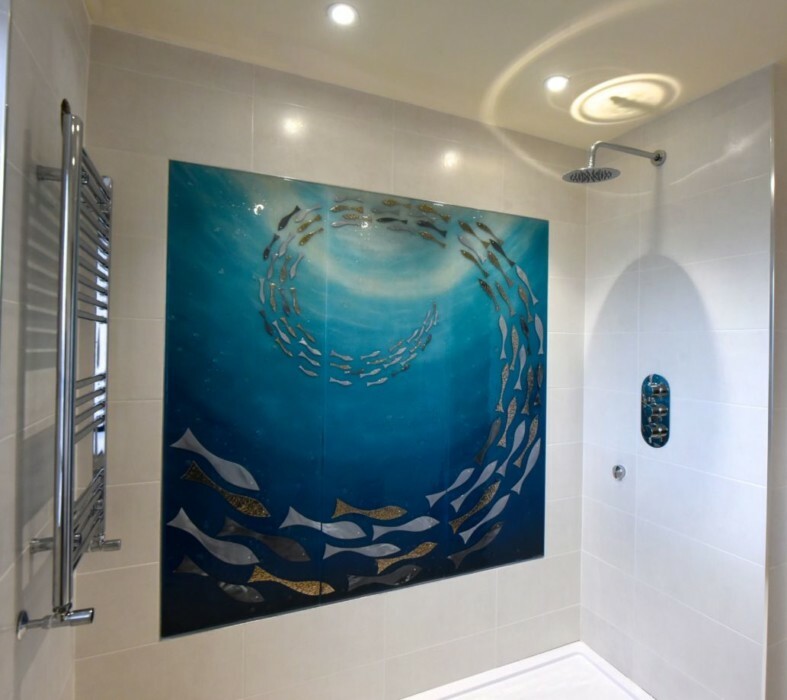 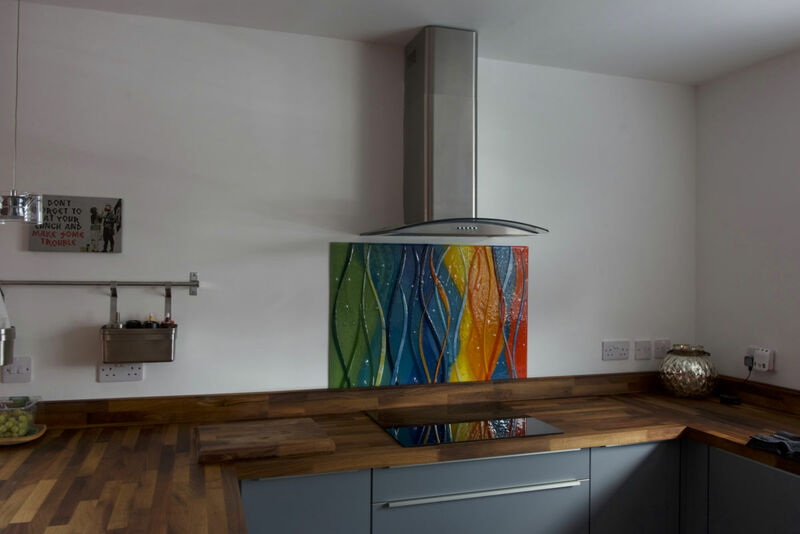 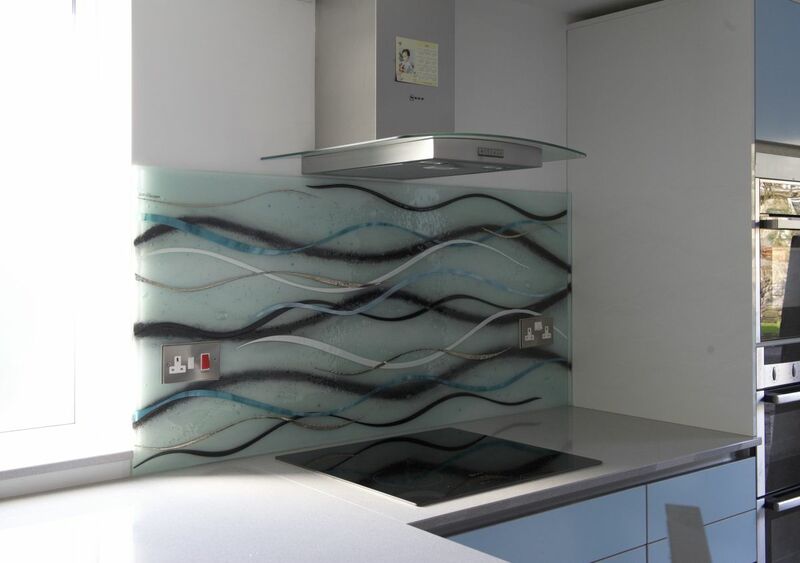 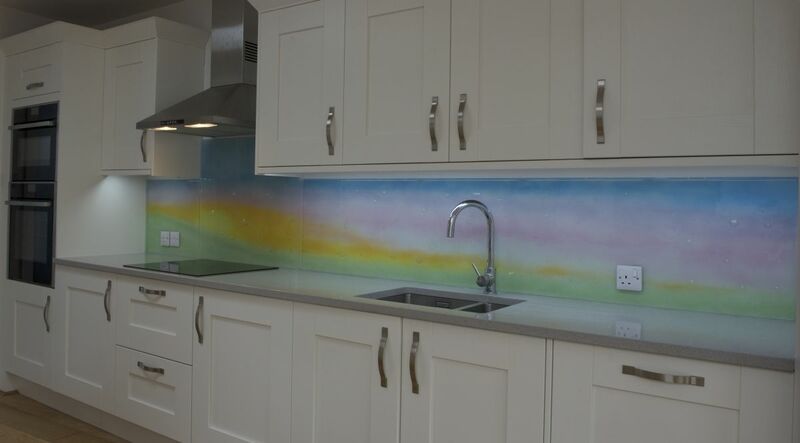 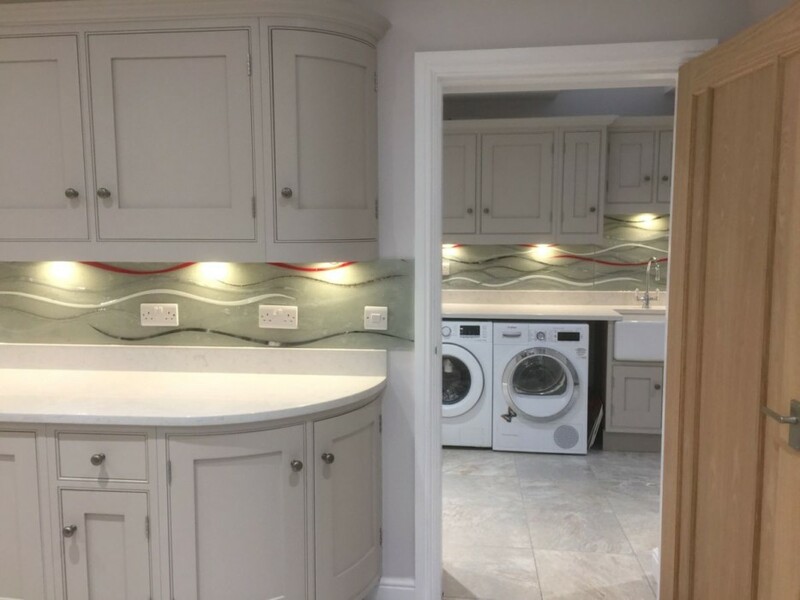 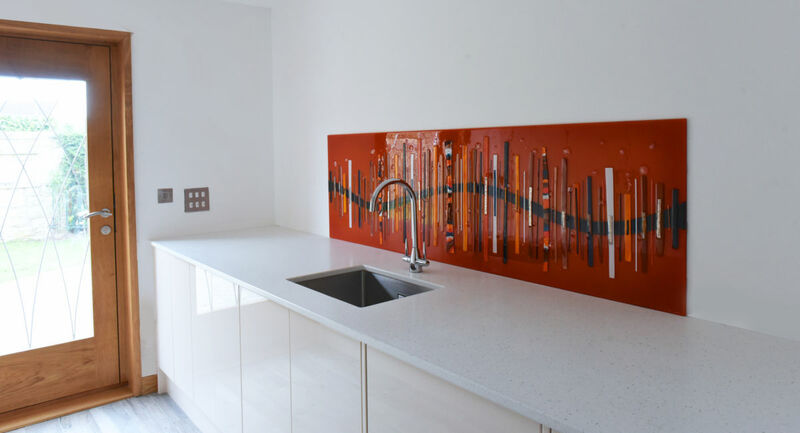 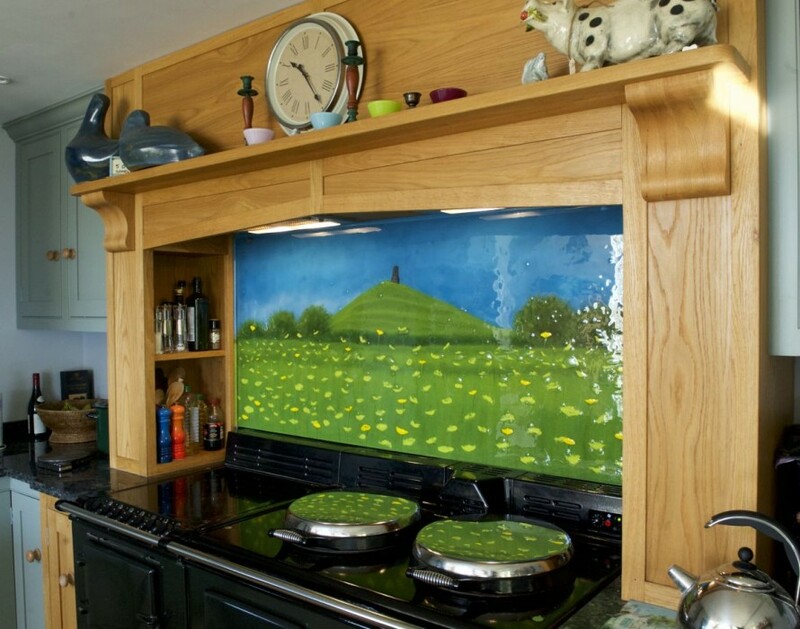 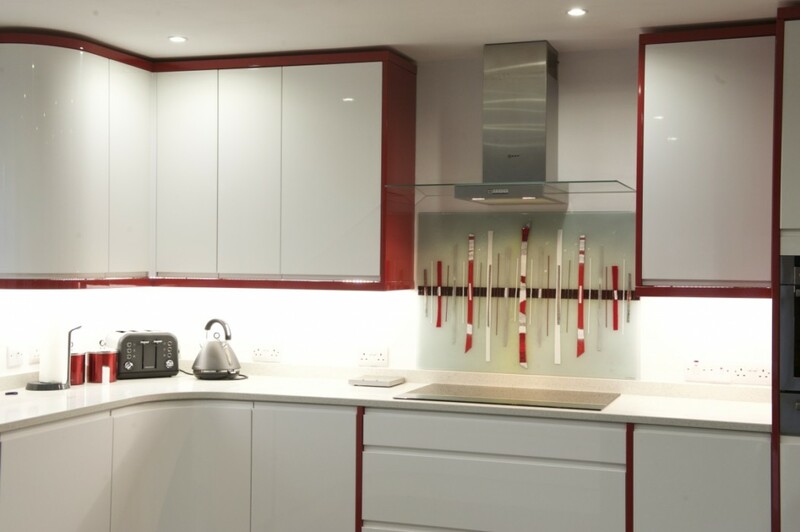 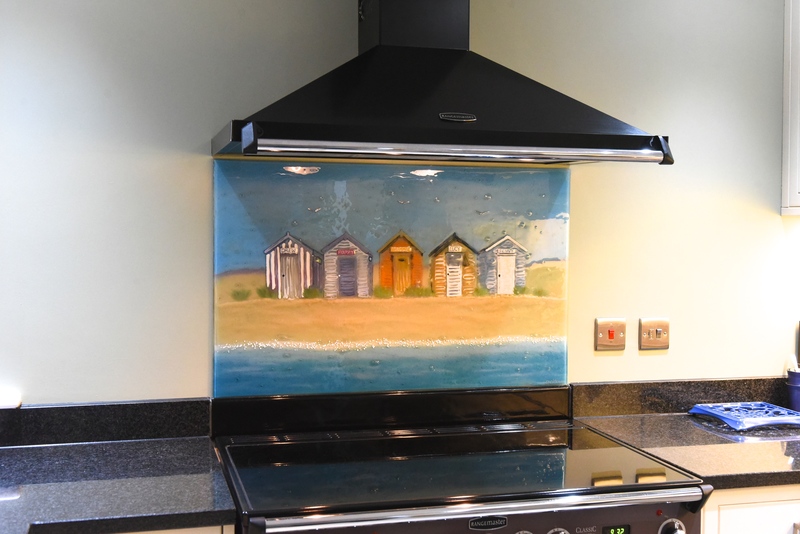 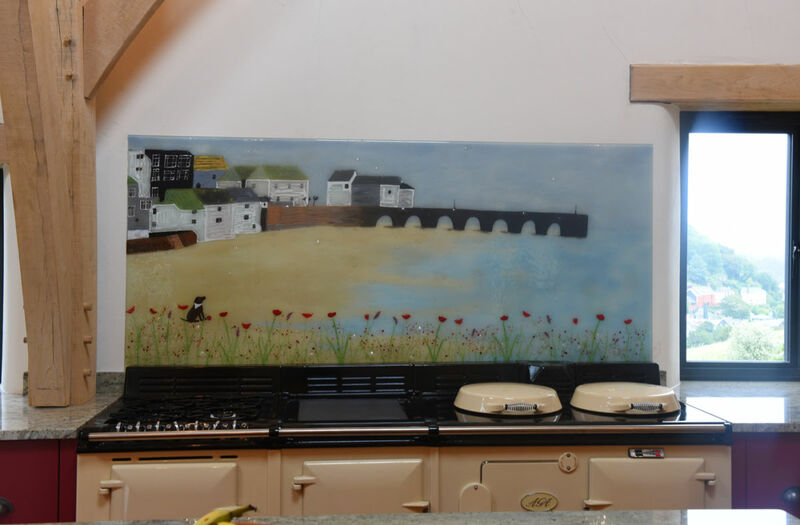 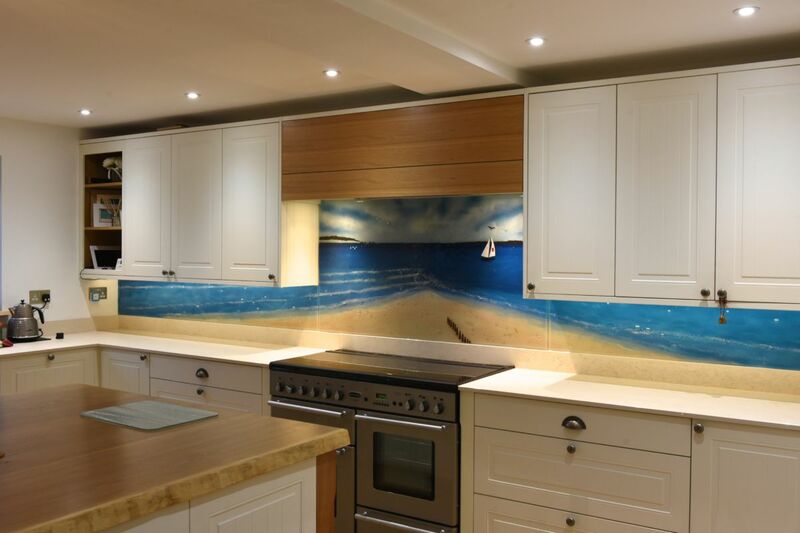 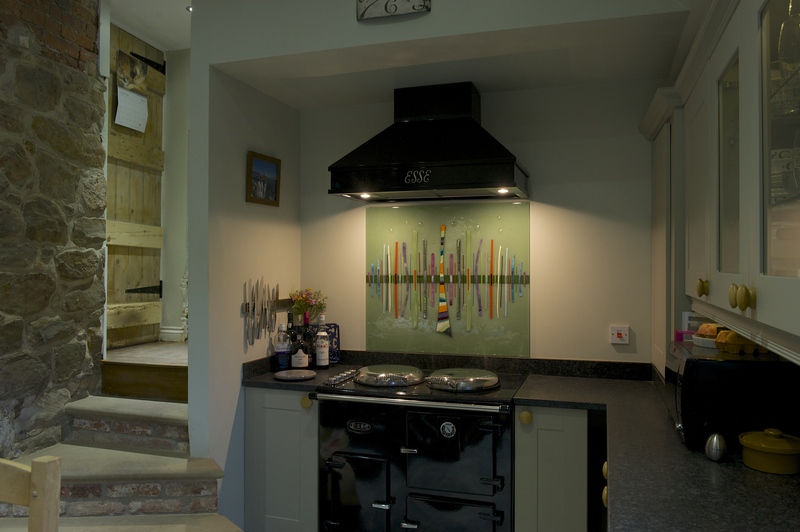 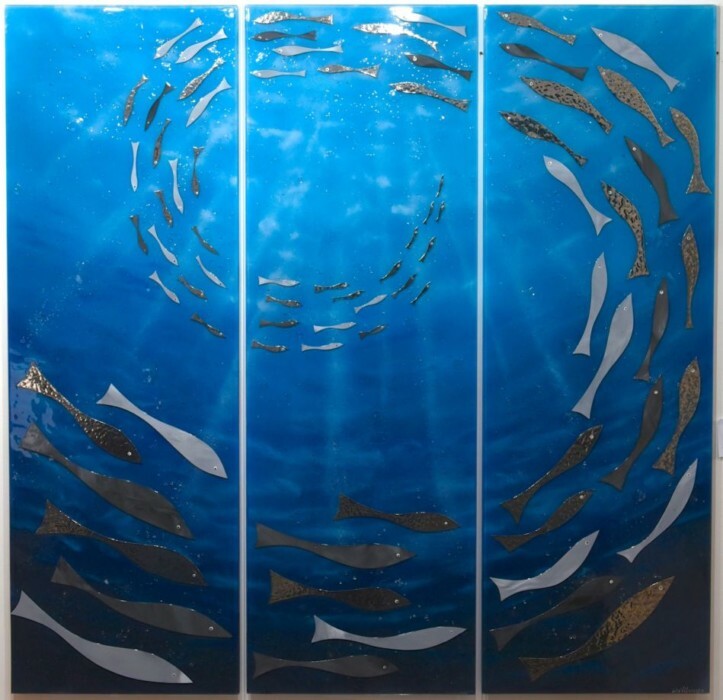 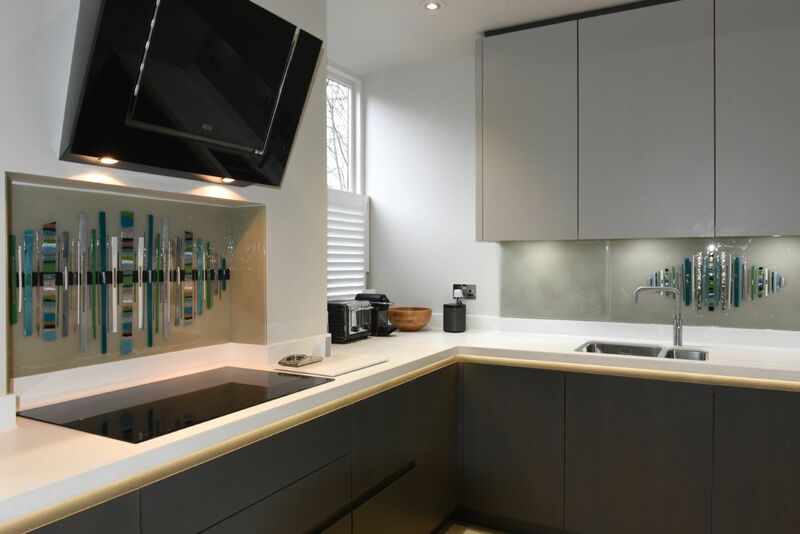 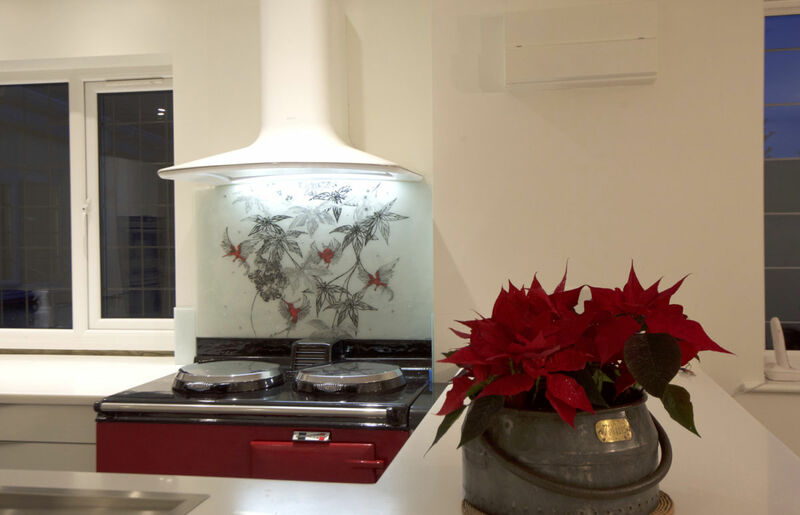 Here at The House of Ugly Fish, we’re always looking eagerly forward to the next bespoke glass splashbacks that we get to create for our customers. 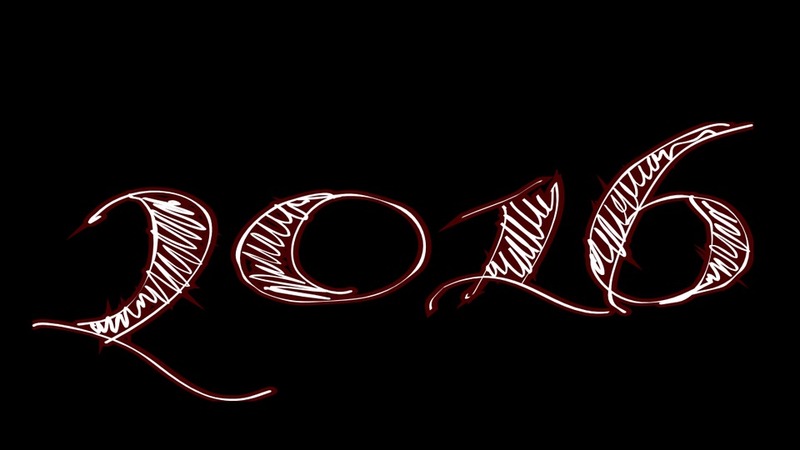 Fortunately, we never have to wait too long! 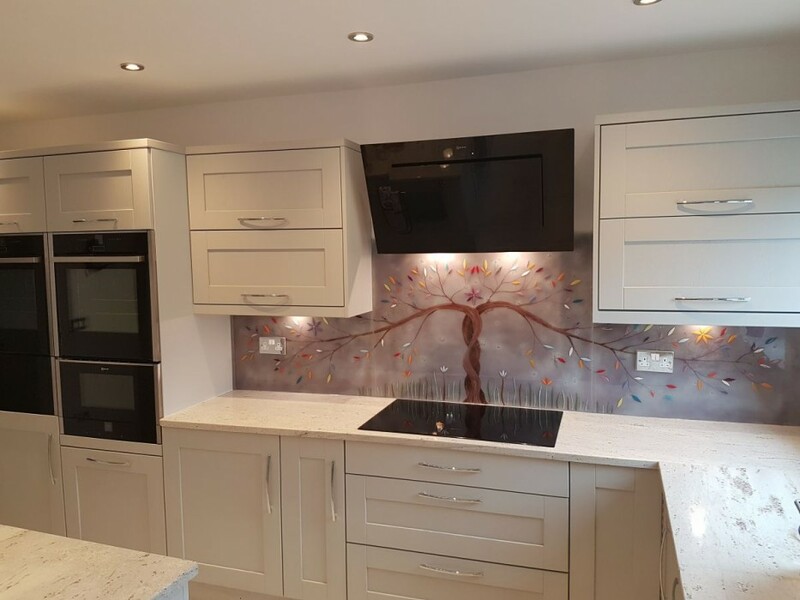 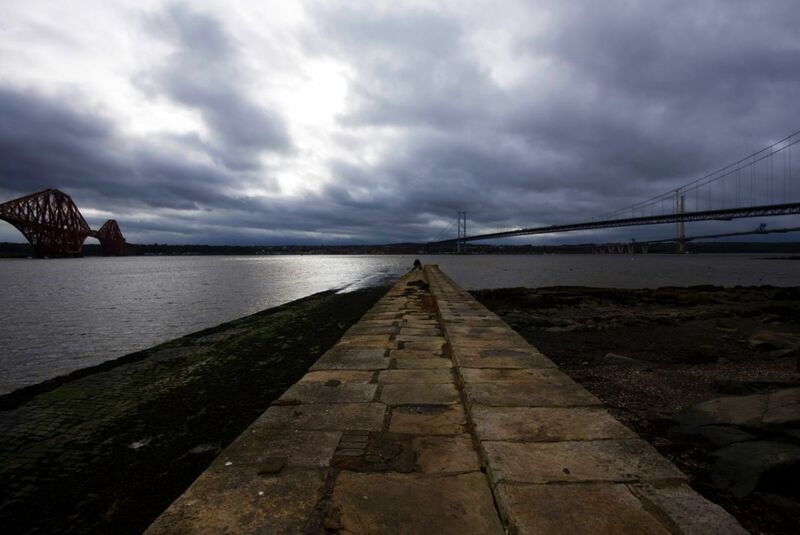 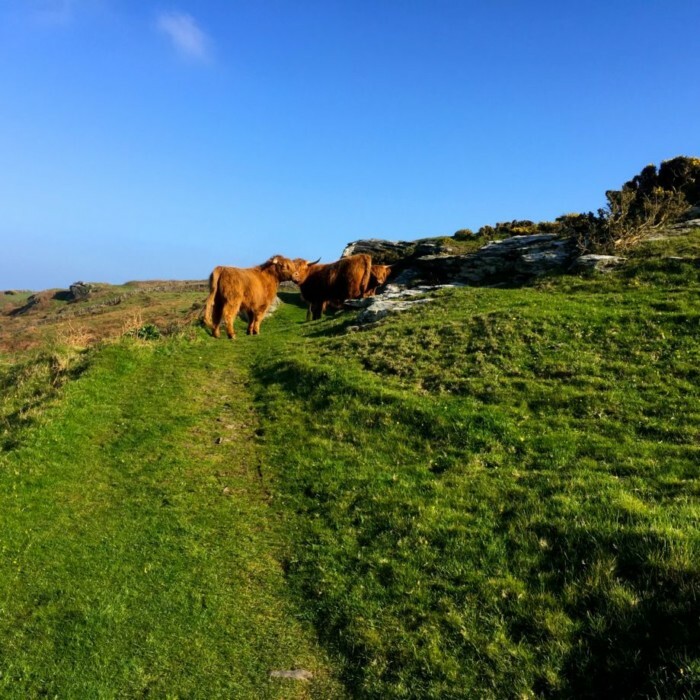 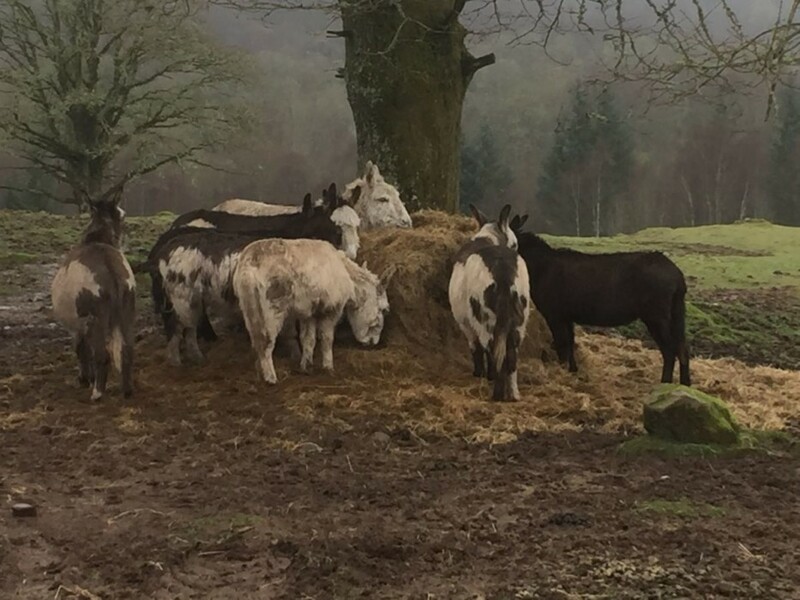 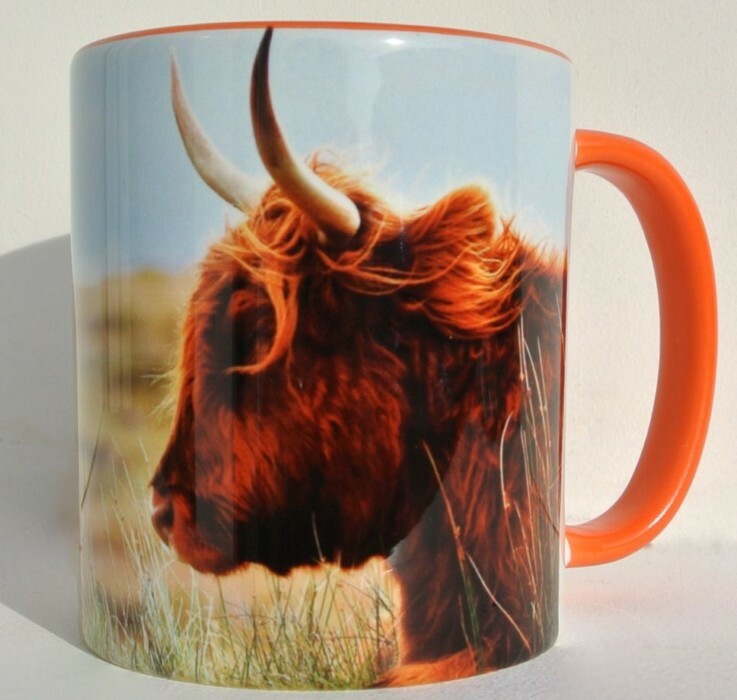 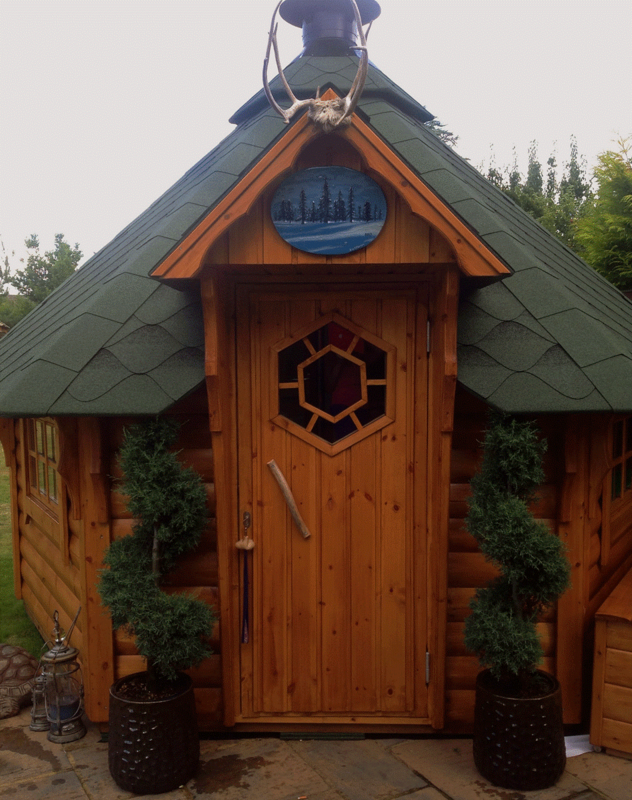 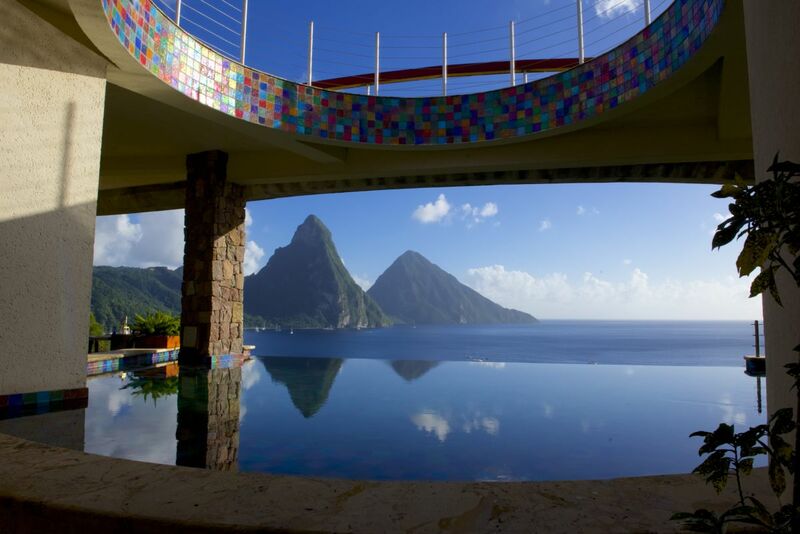 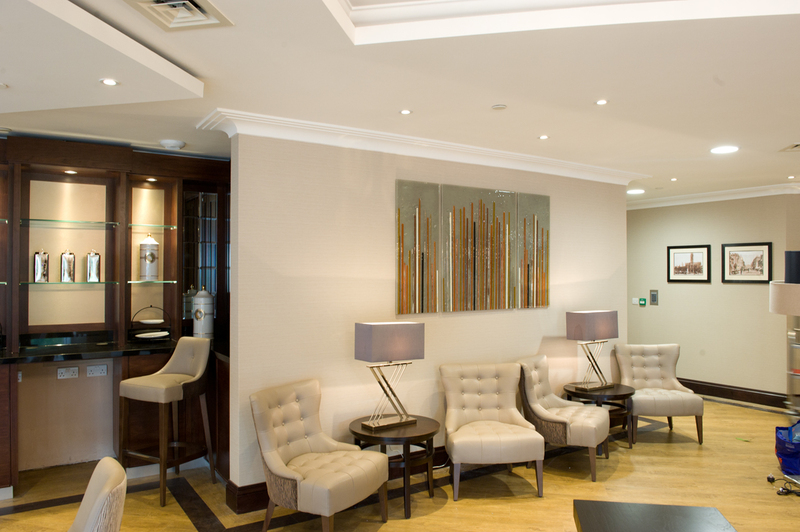 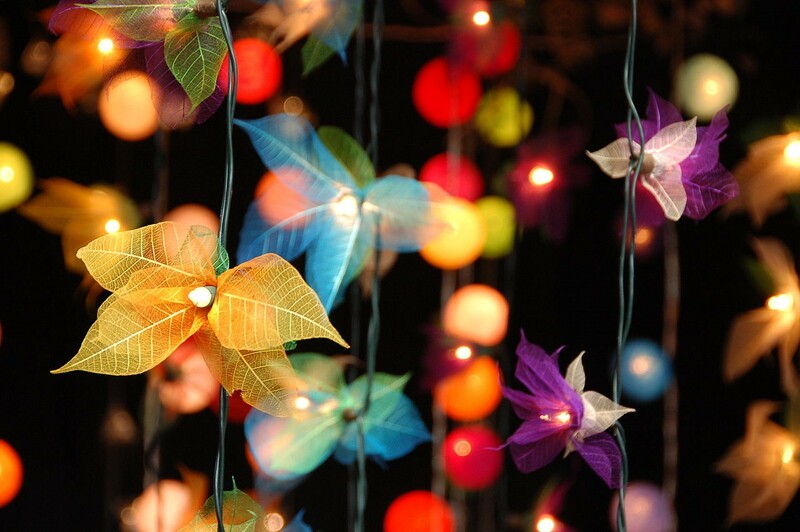 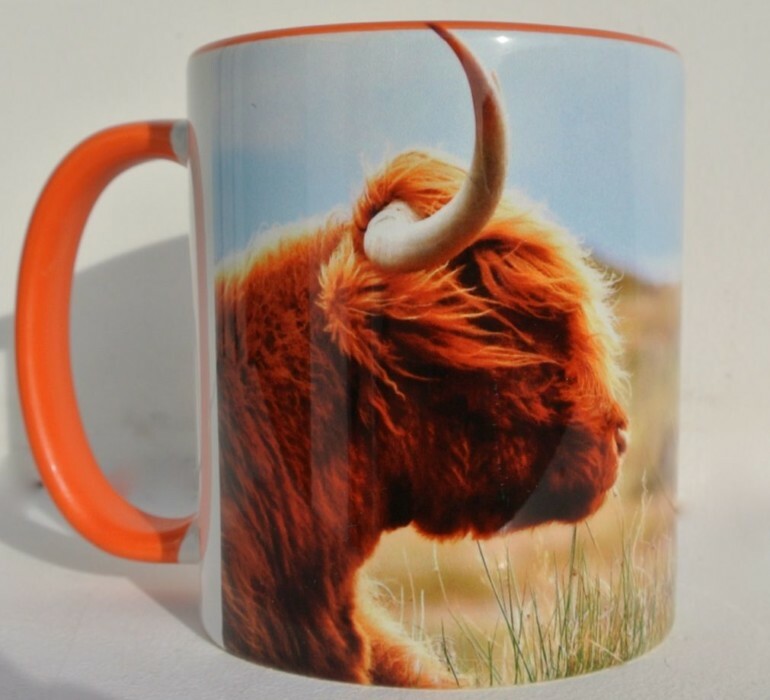 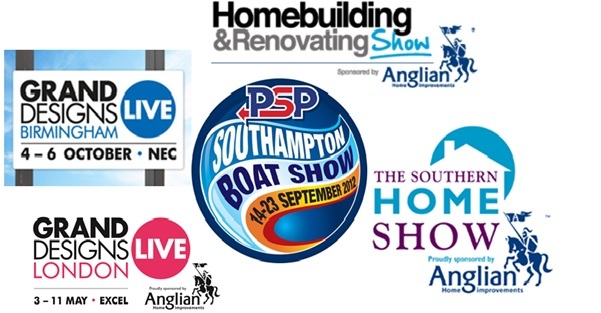 Make sure you don’t wait to get in touch as soon as you can, as the sooner you add yourself to our ever expanding list of satisfied customers, the better for it. 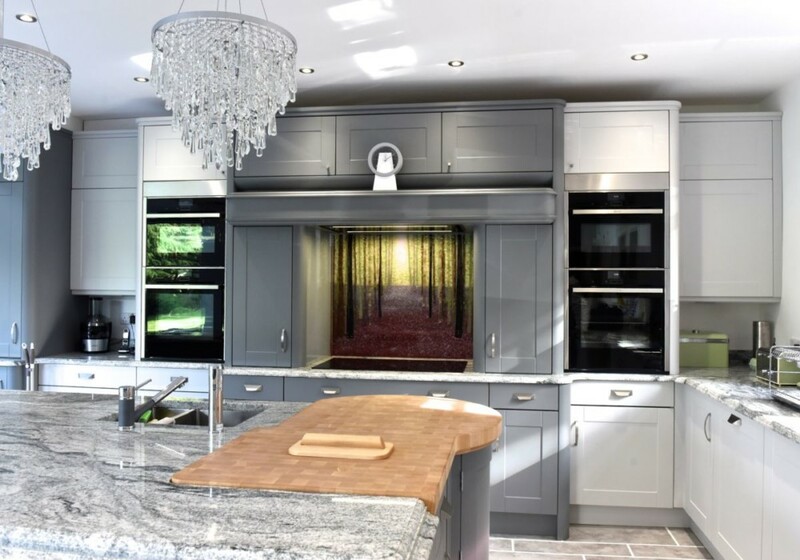 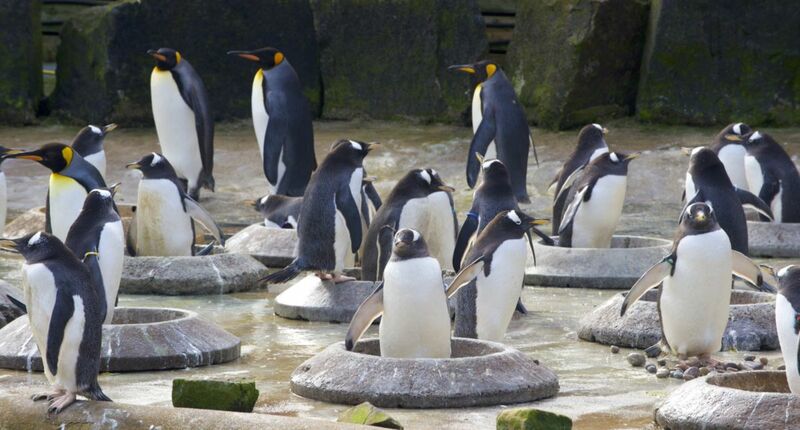 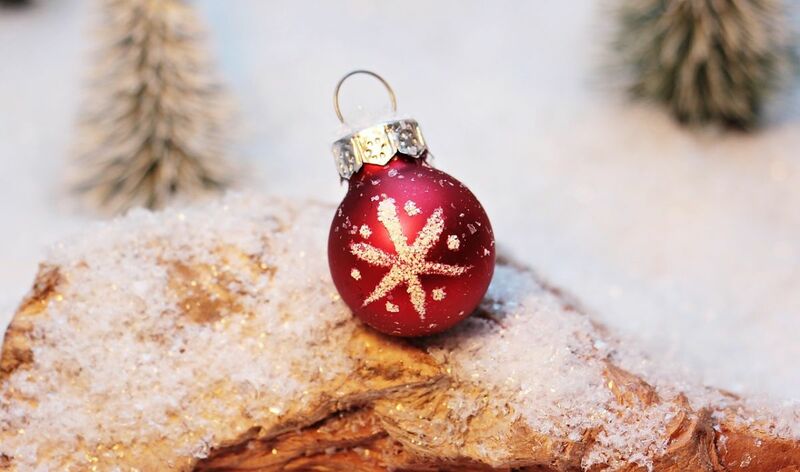 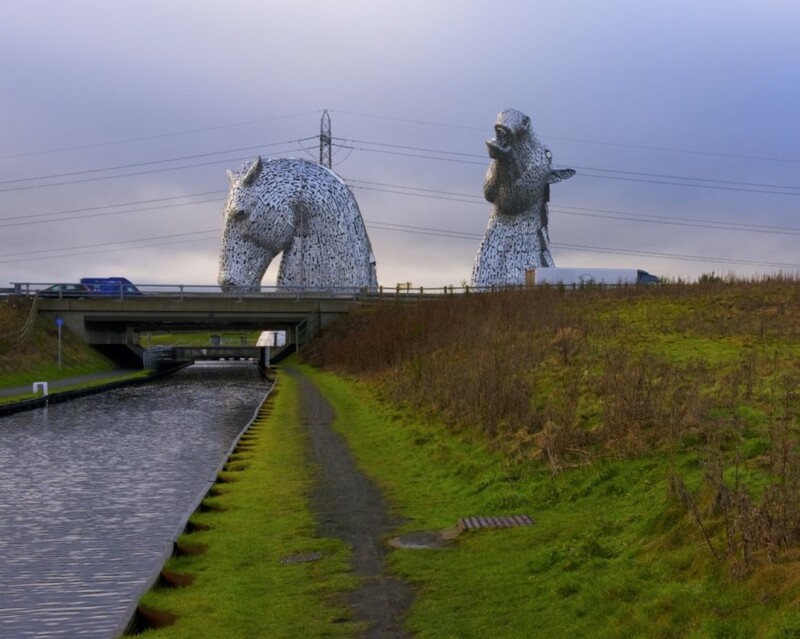 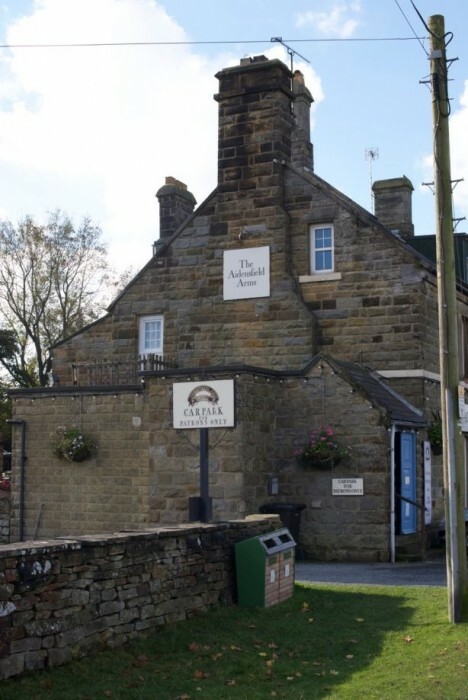 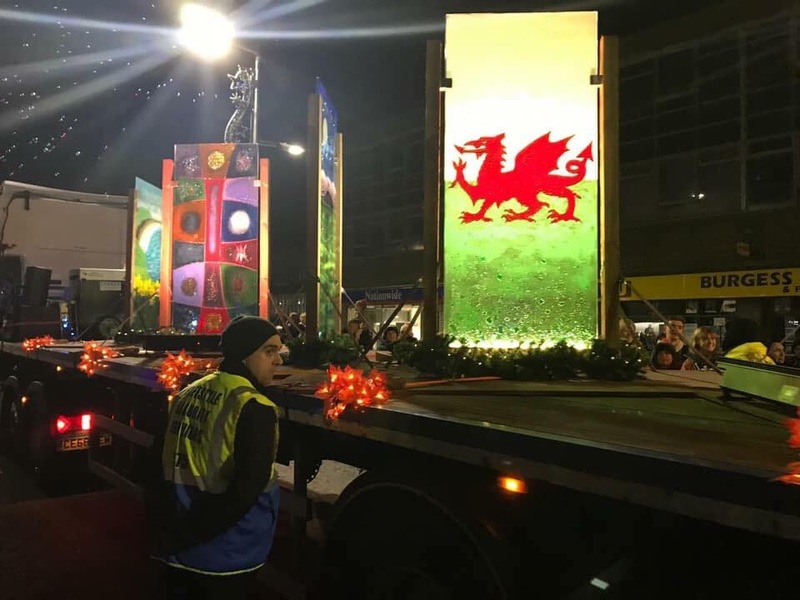 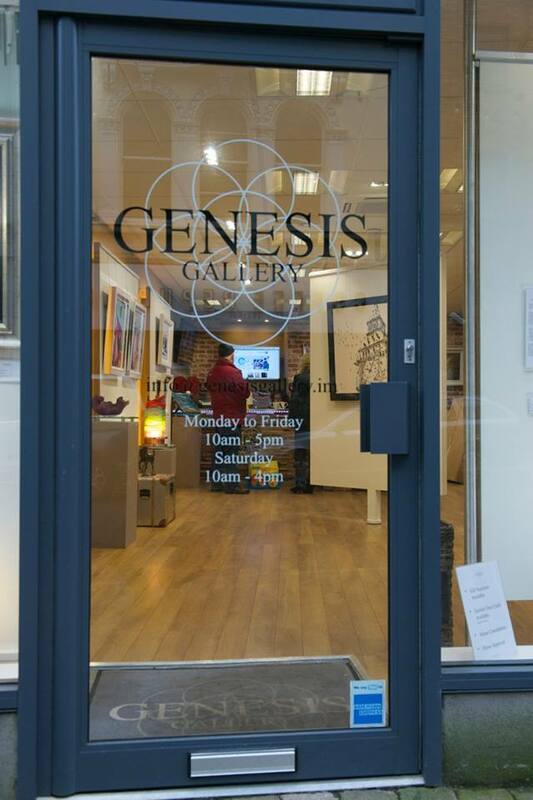 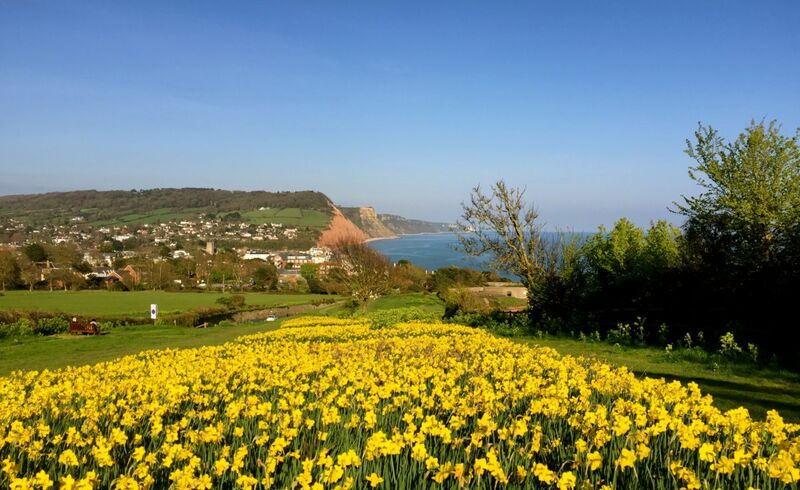 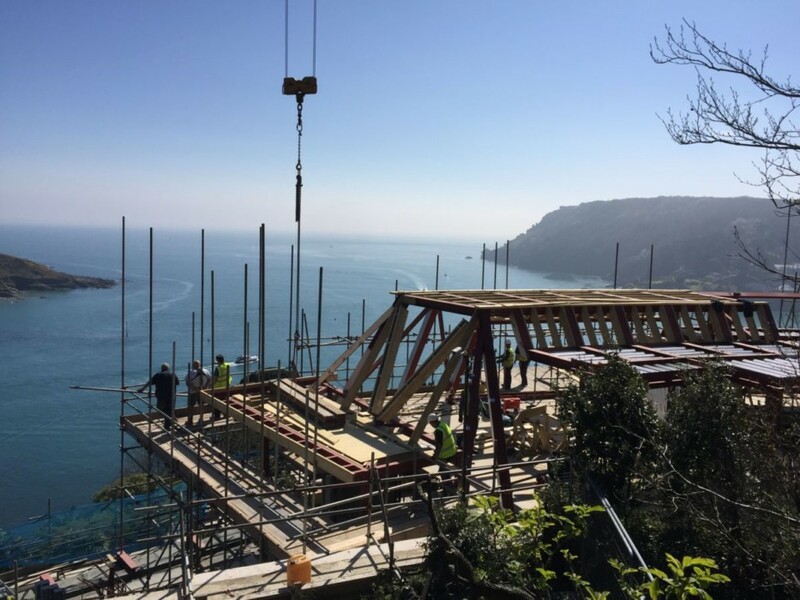 There’s no better time than now to pick up the phone or drop us an email, and you can find all necessary details right here on our website.